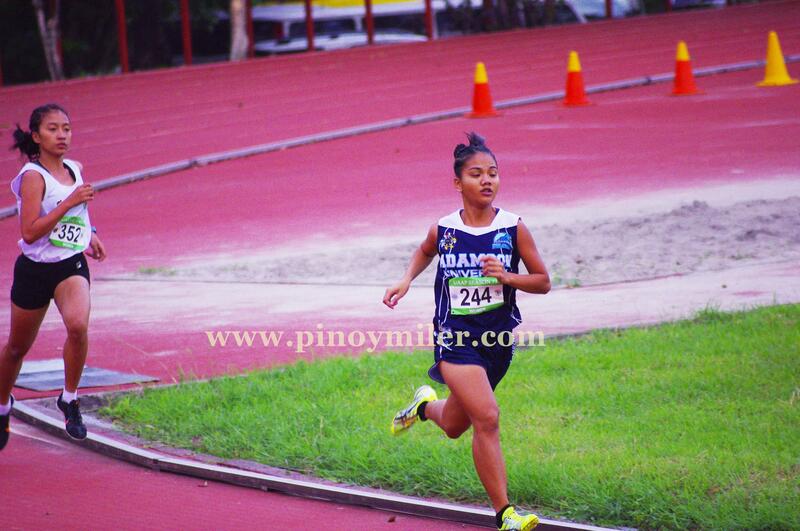 Photos taken on November 16, 2014 at the PATAFA Relays Finals. 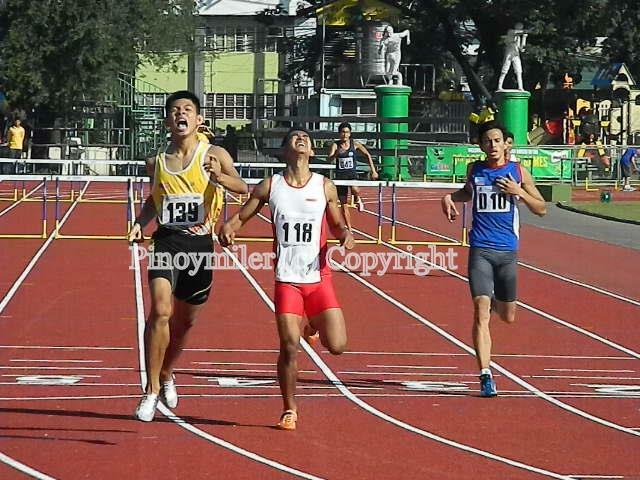 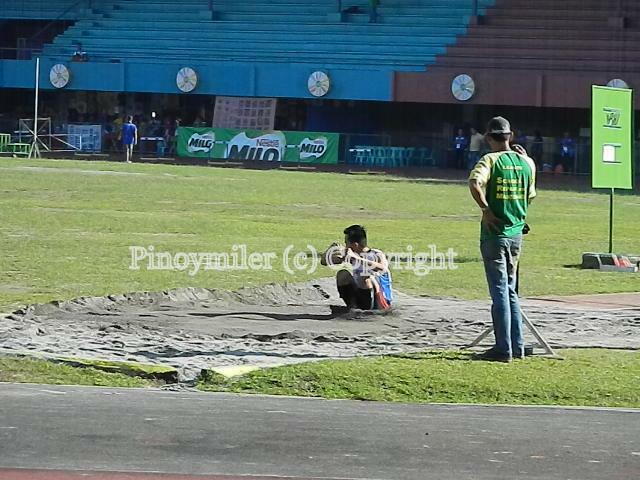 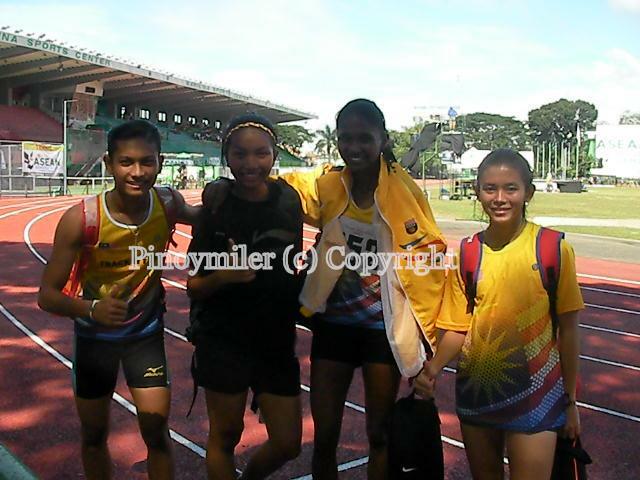 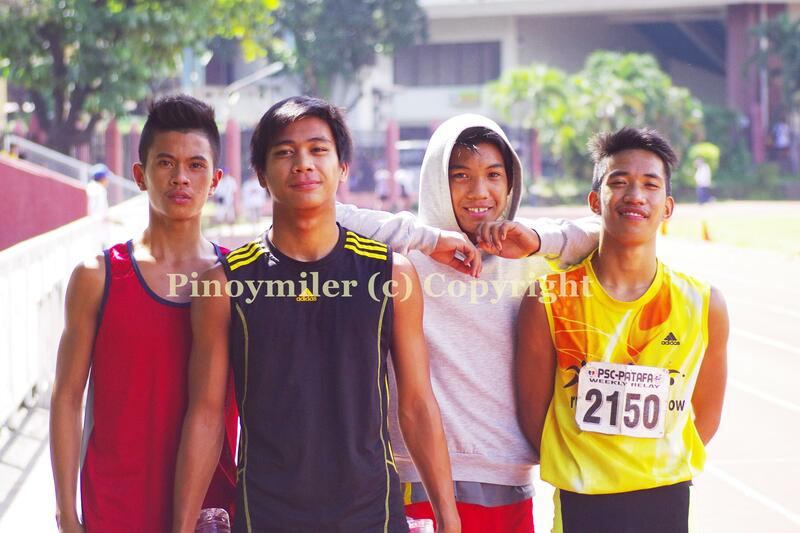 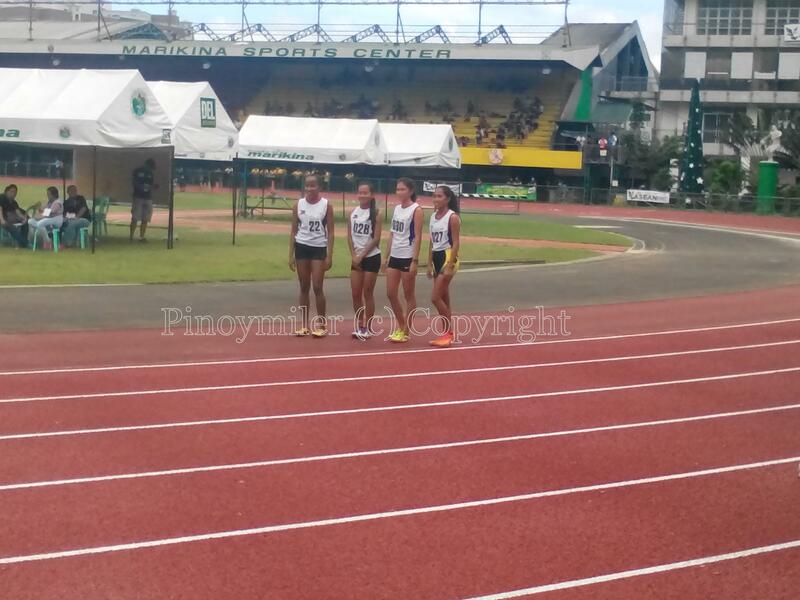 Photos taken on November 16, 2014 during the PATAFA Relays Finals. 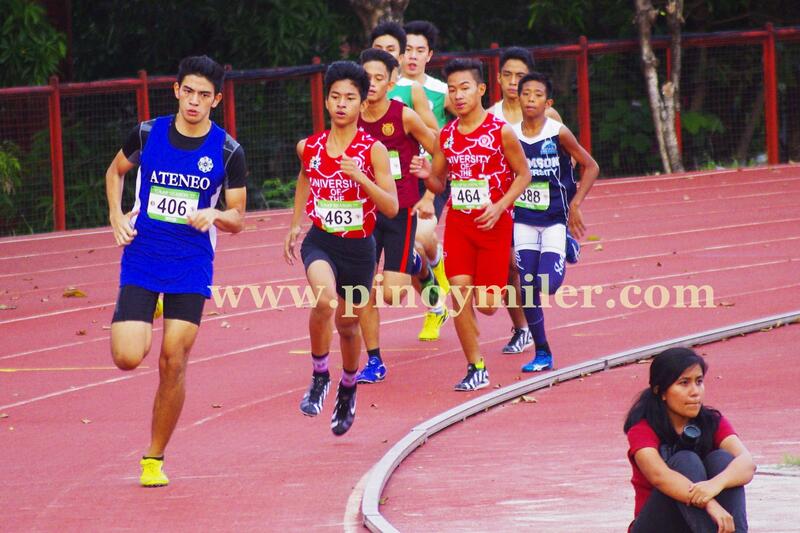 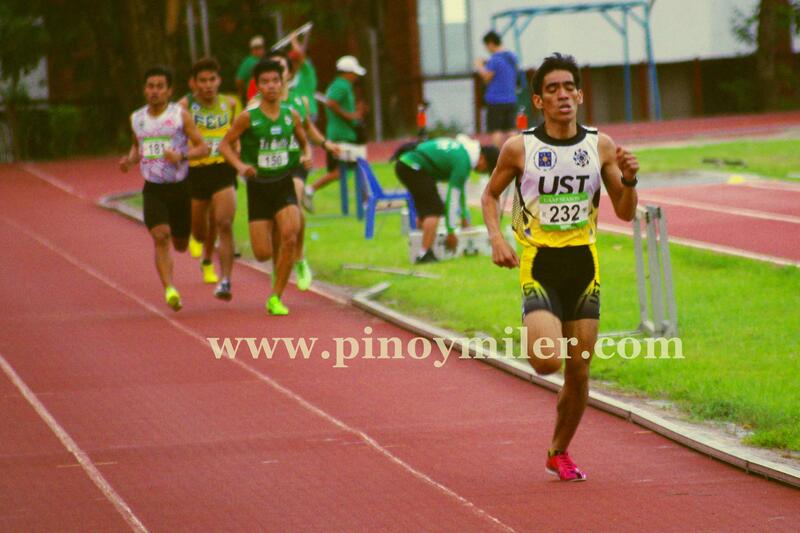 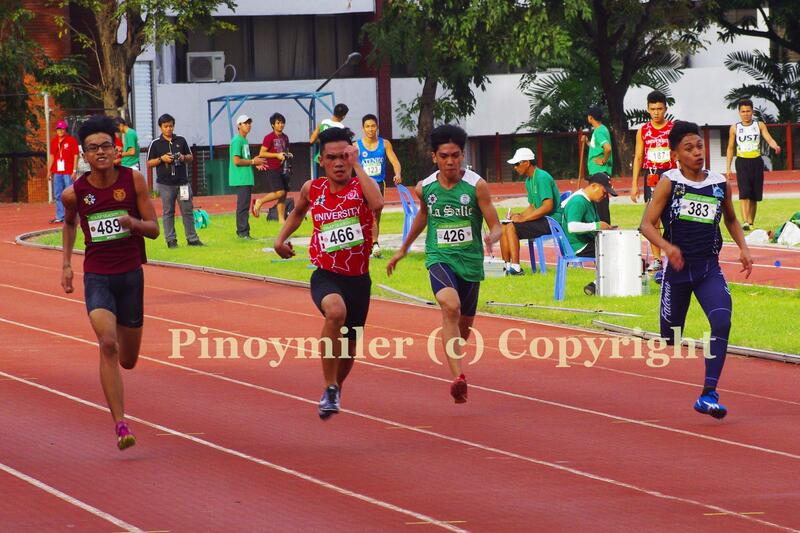 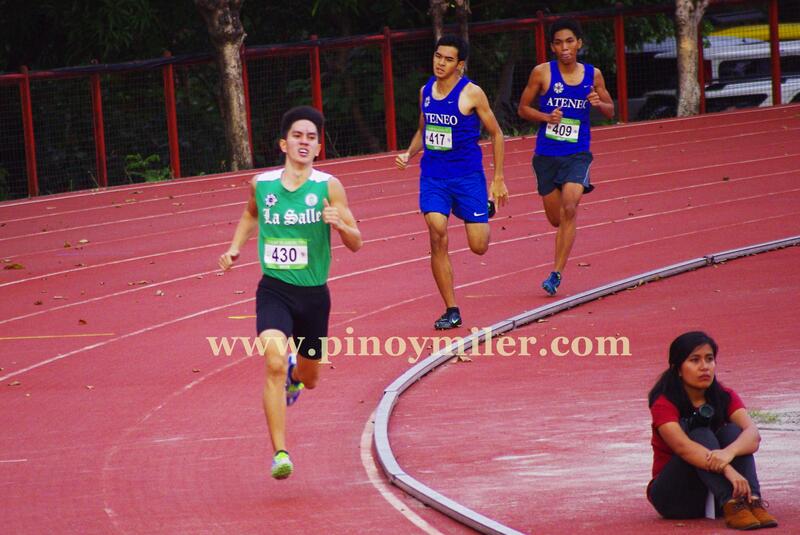 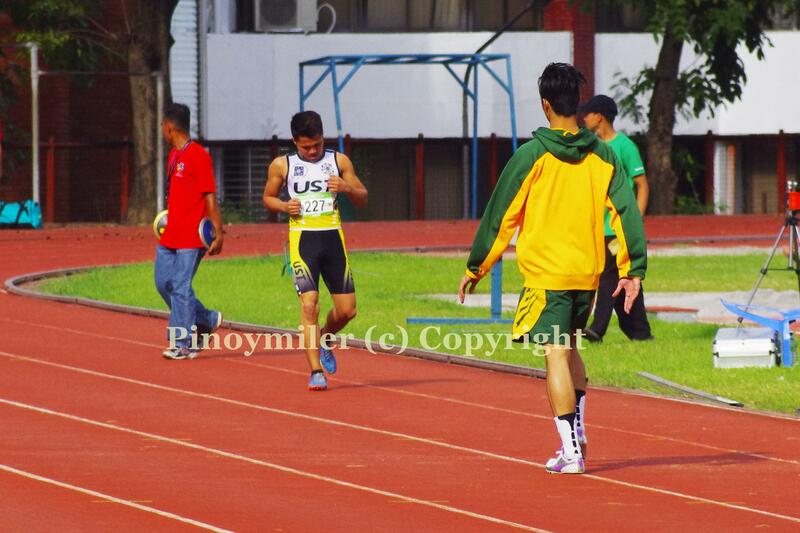 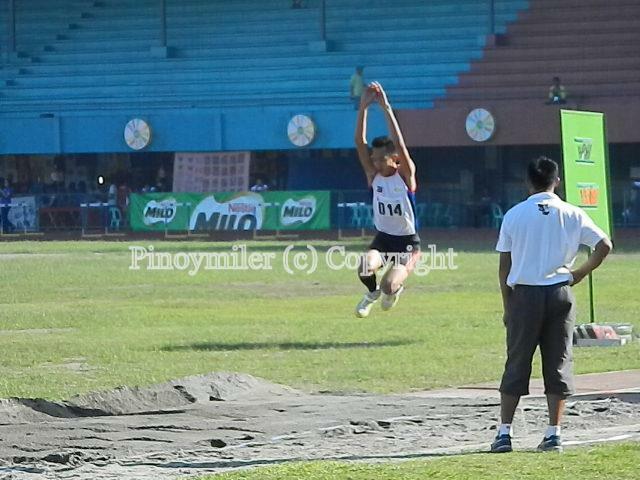 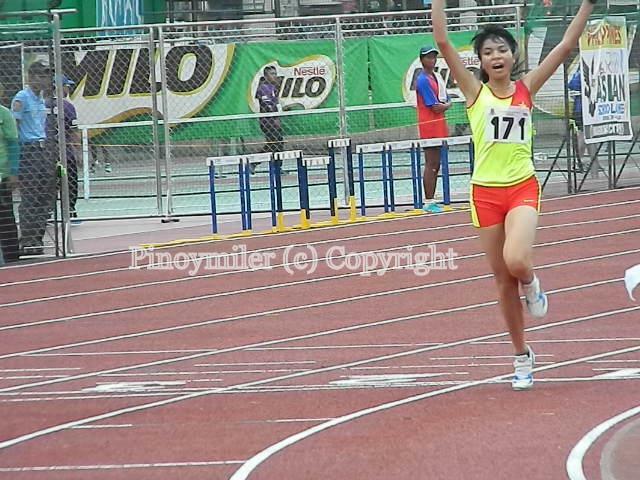 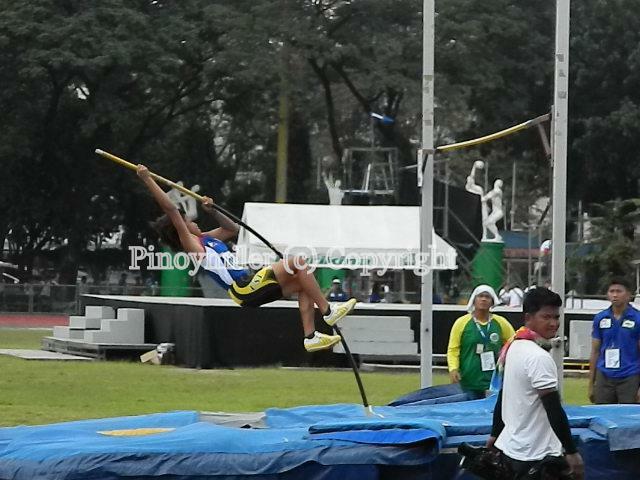 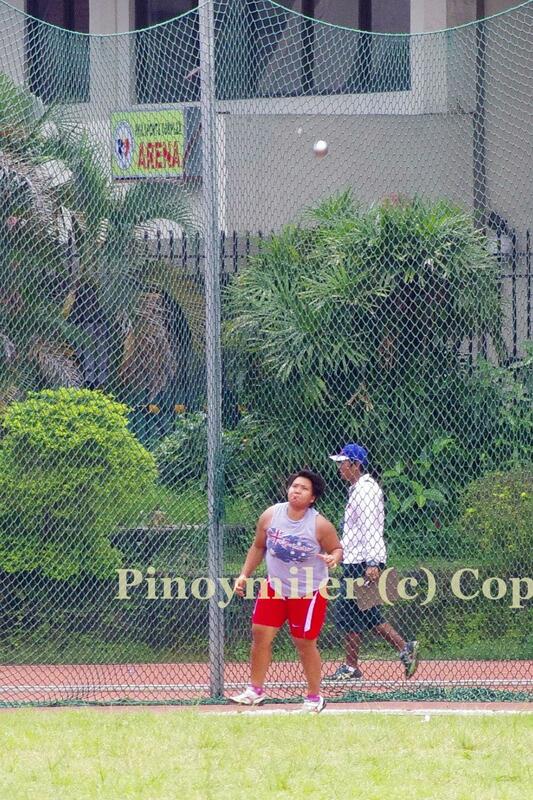 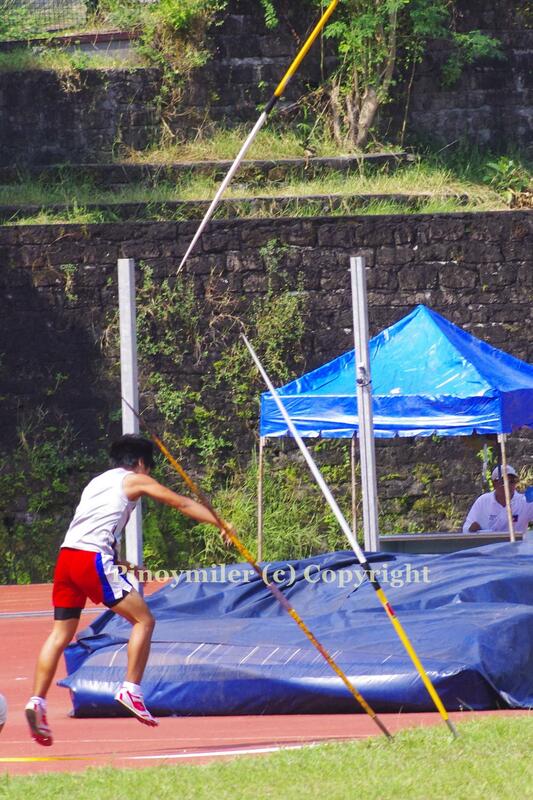 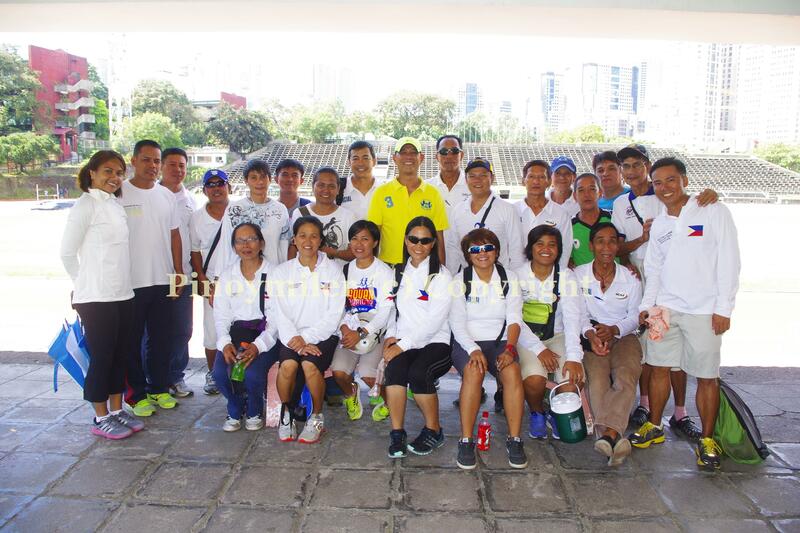 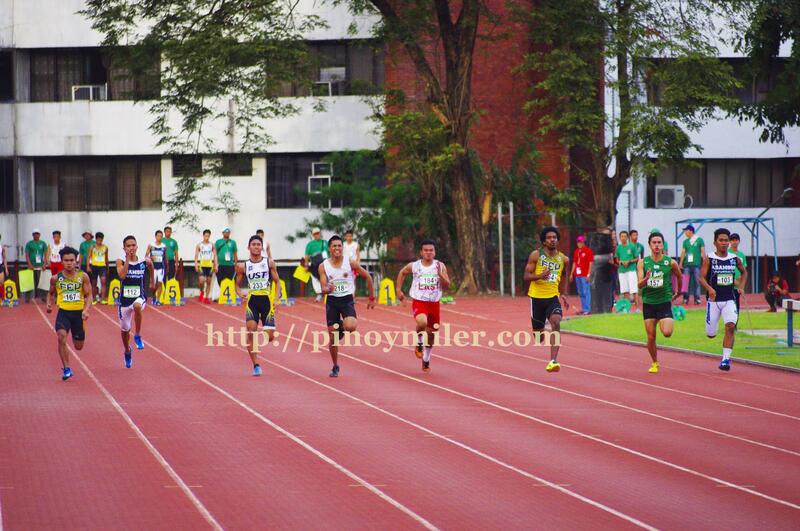 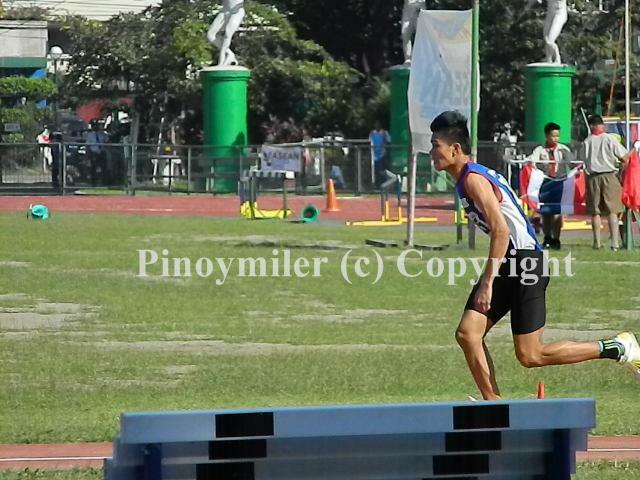 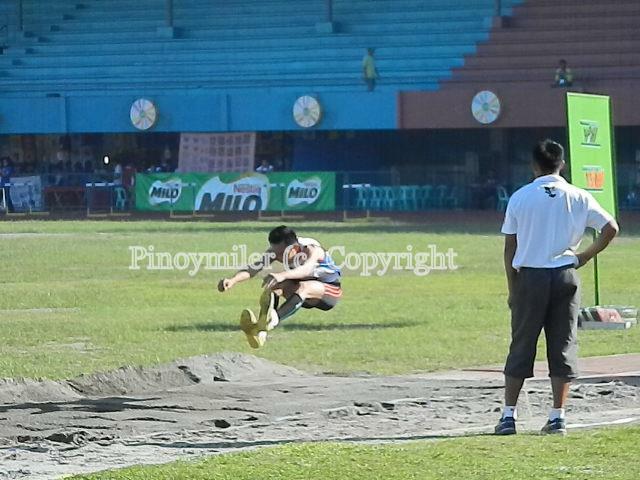 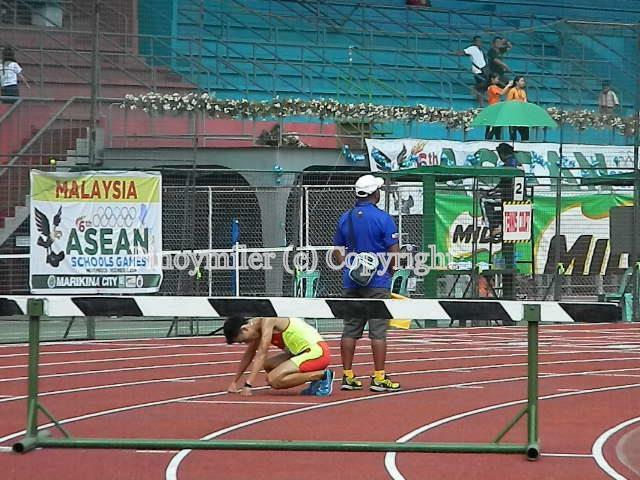 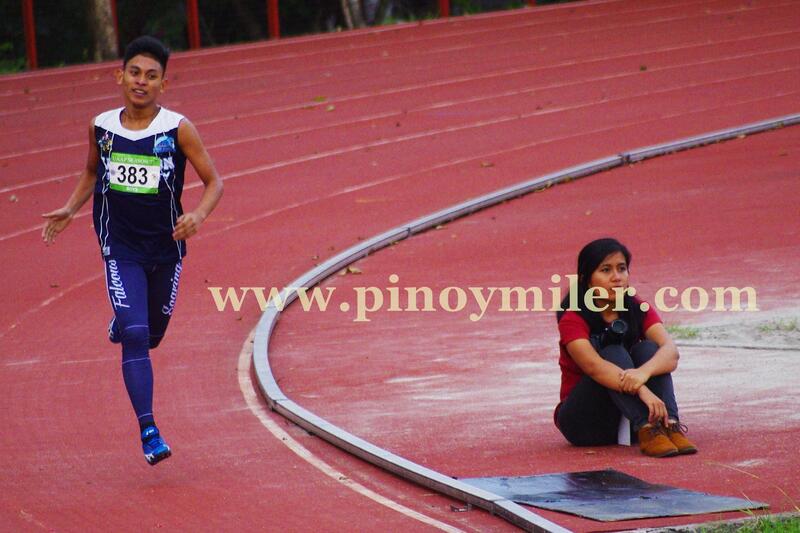 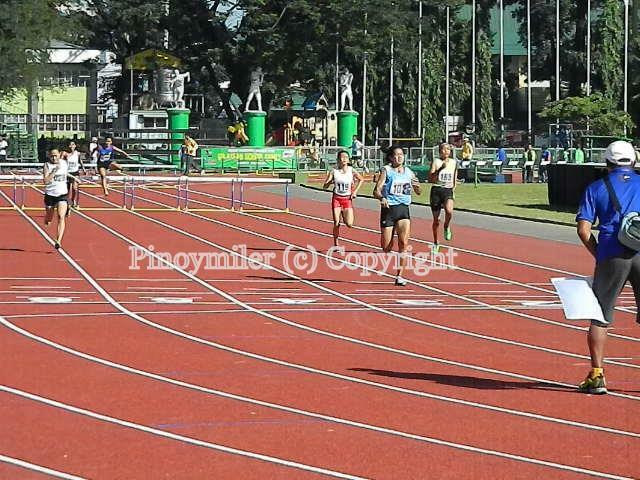 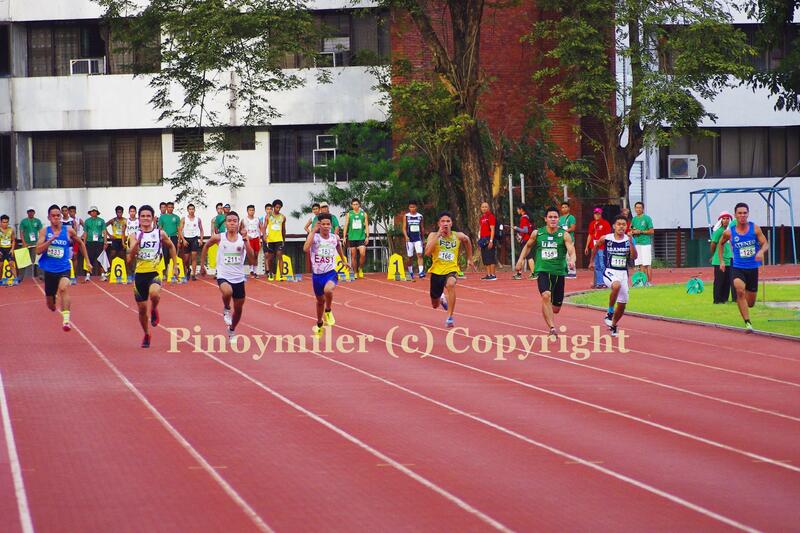 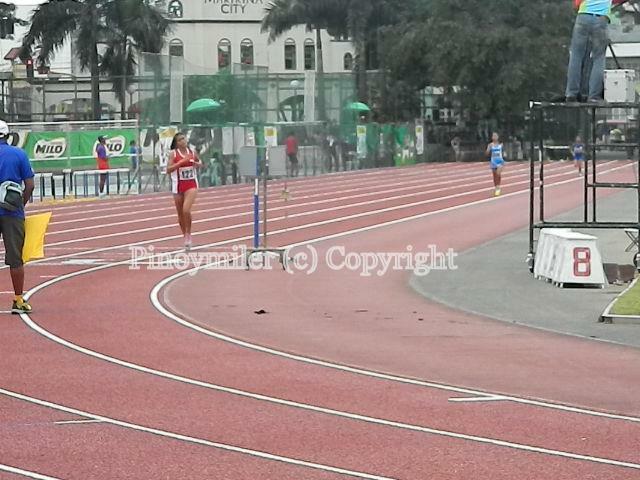 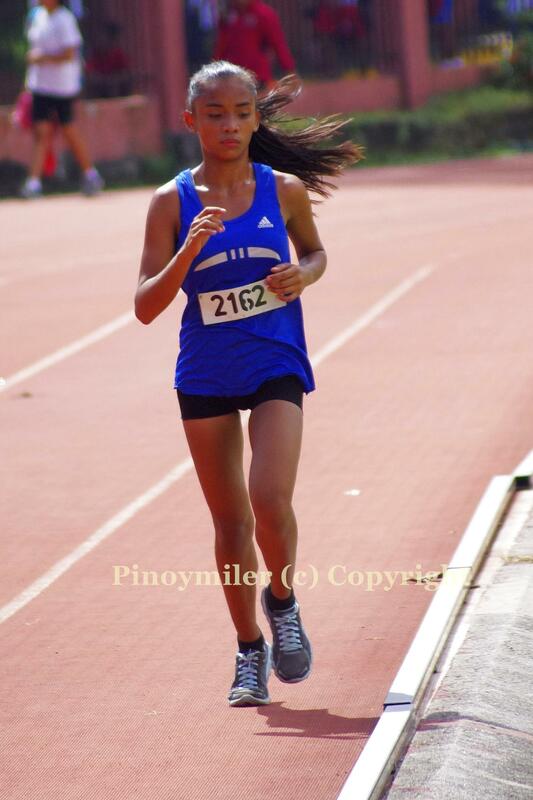 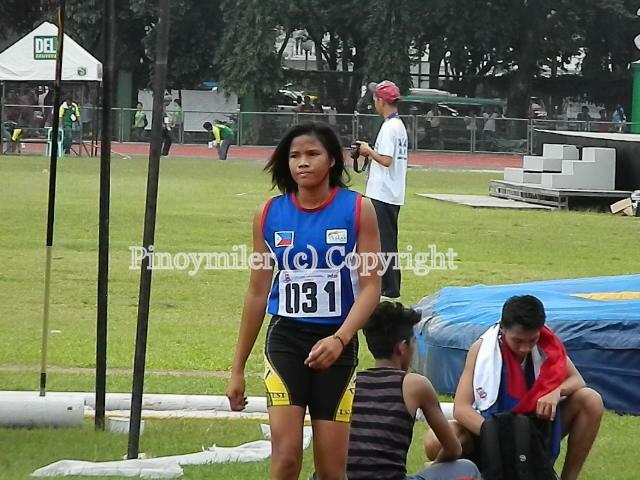 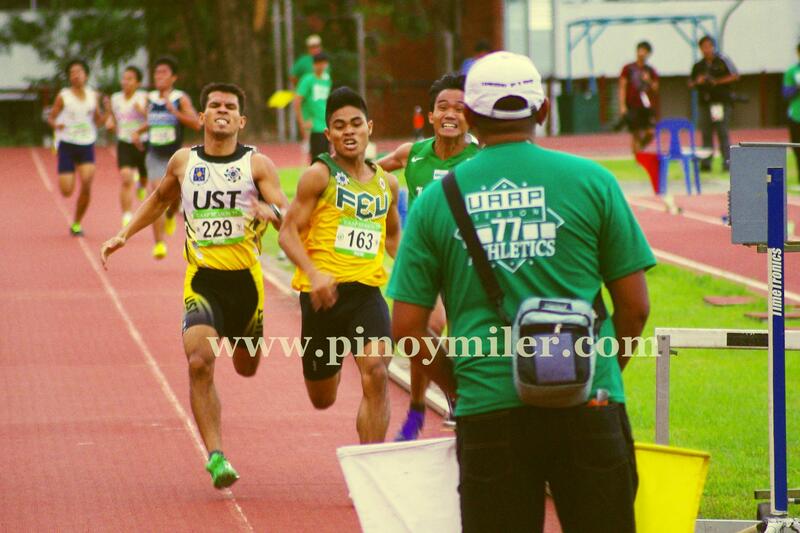 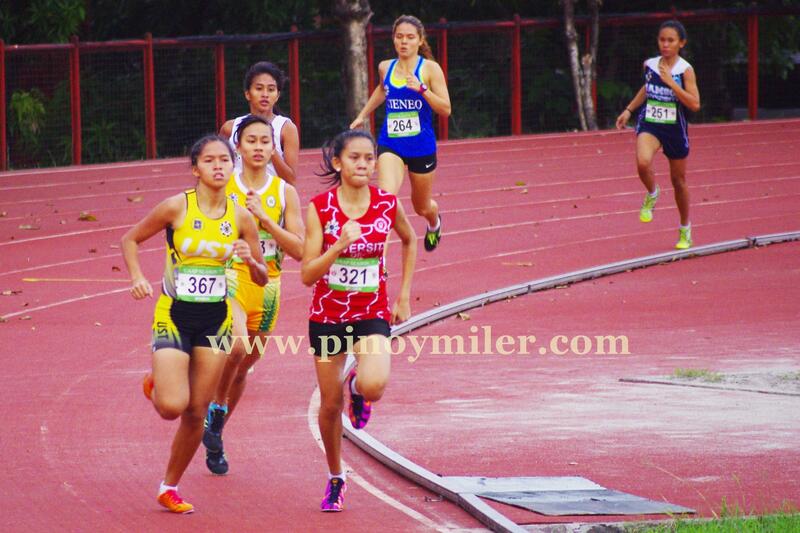 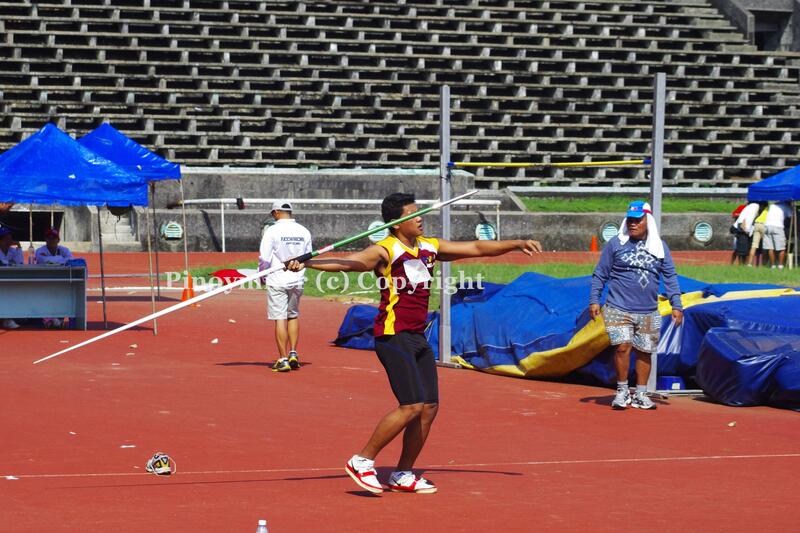 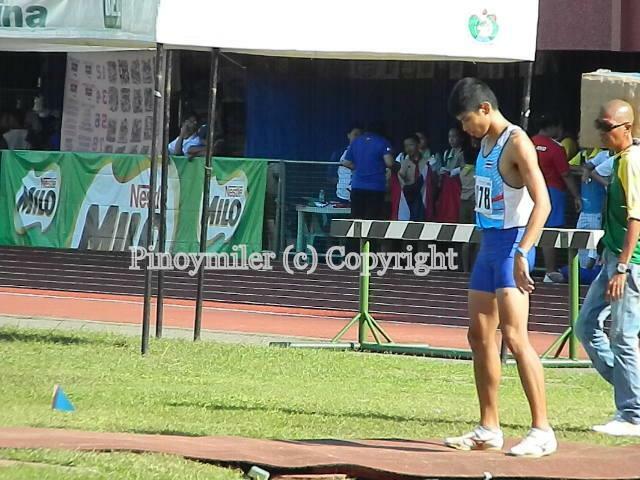 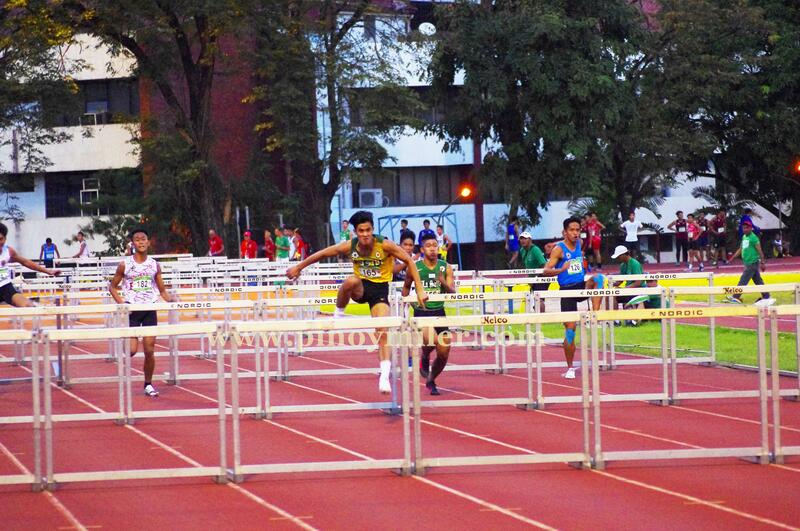 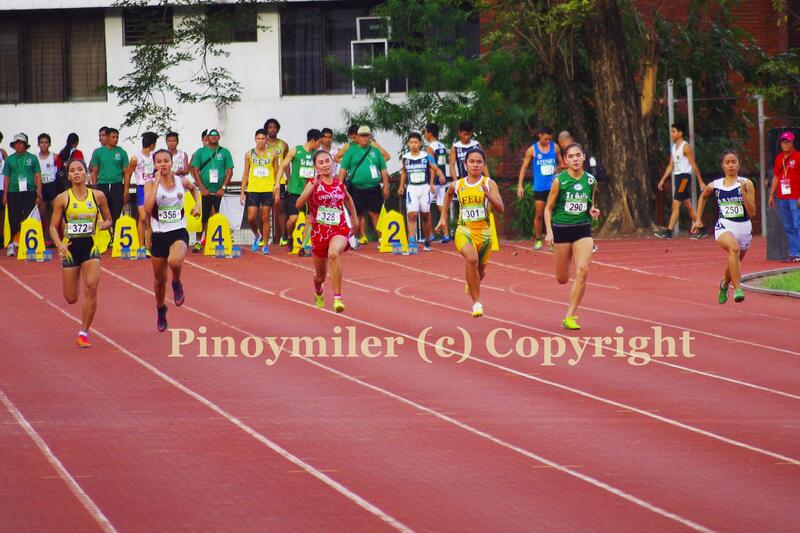 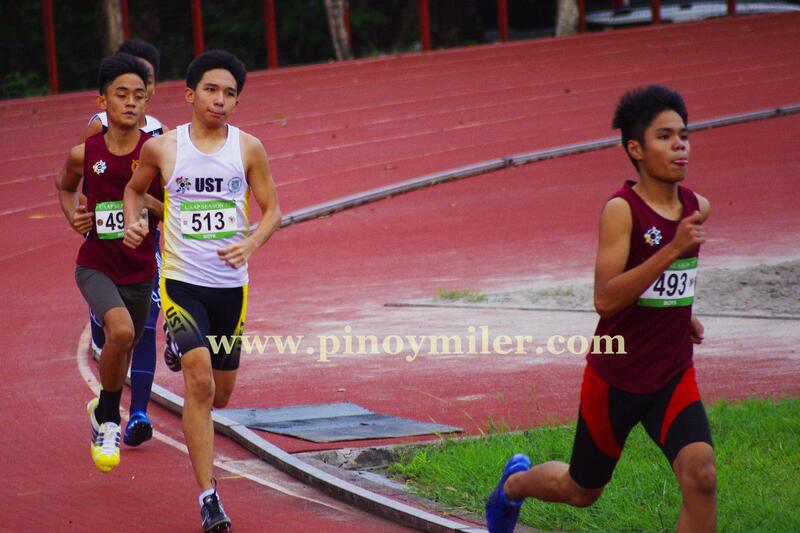 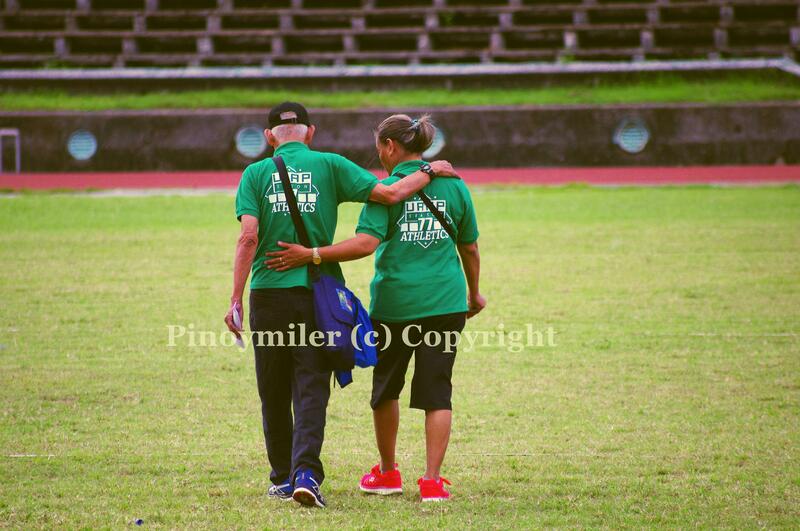 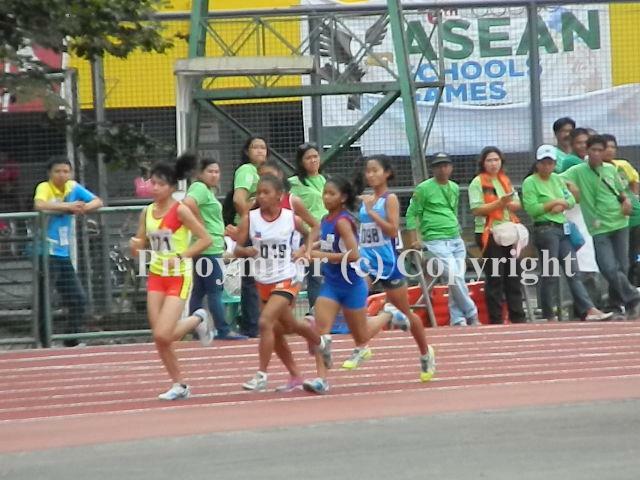 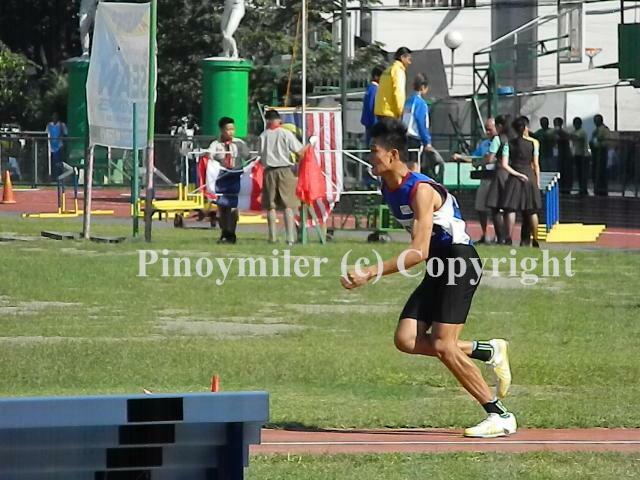 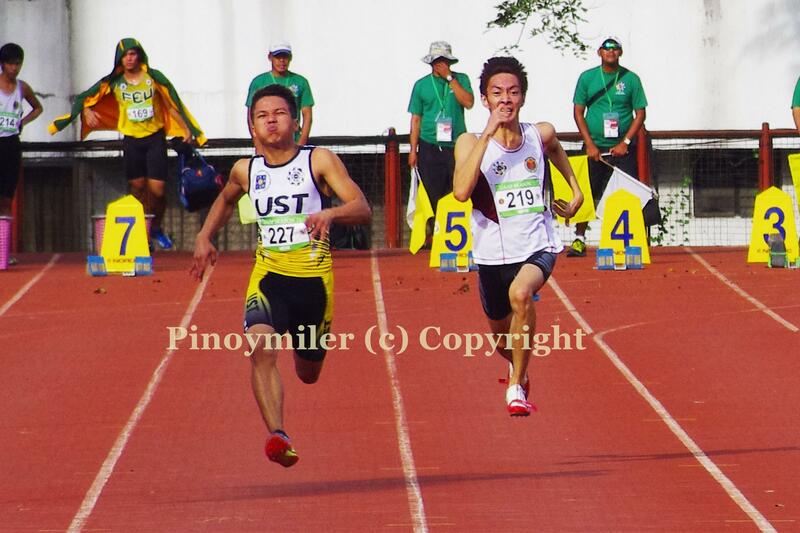 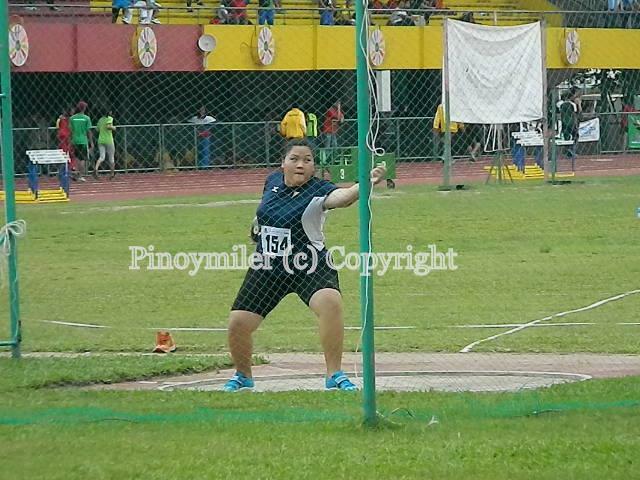 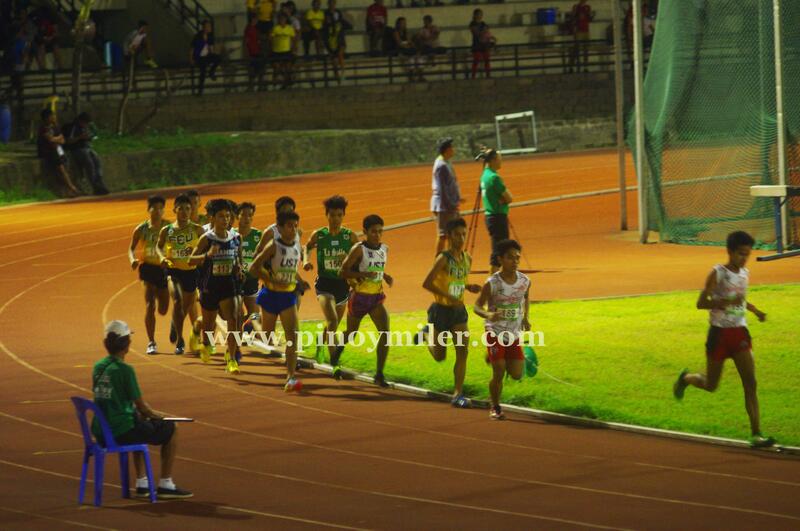 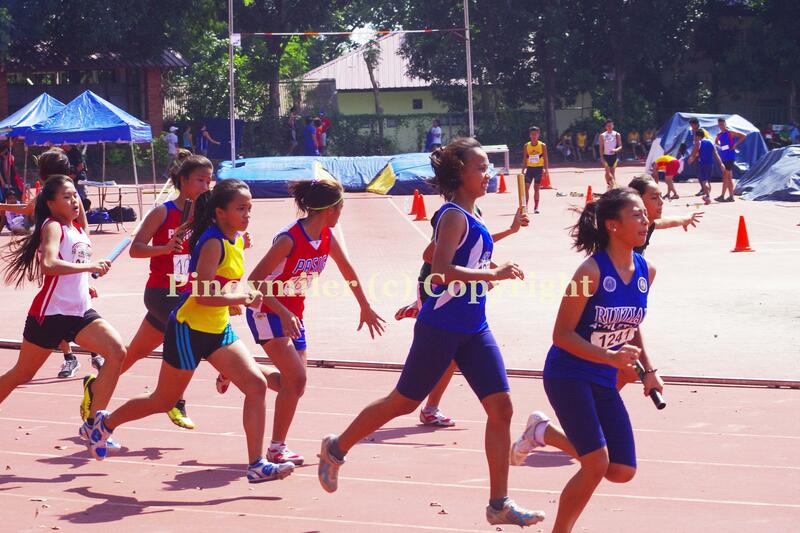 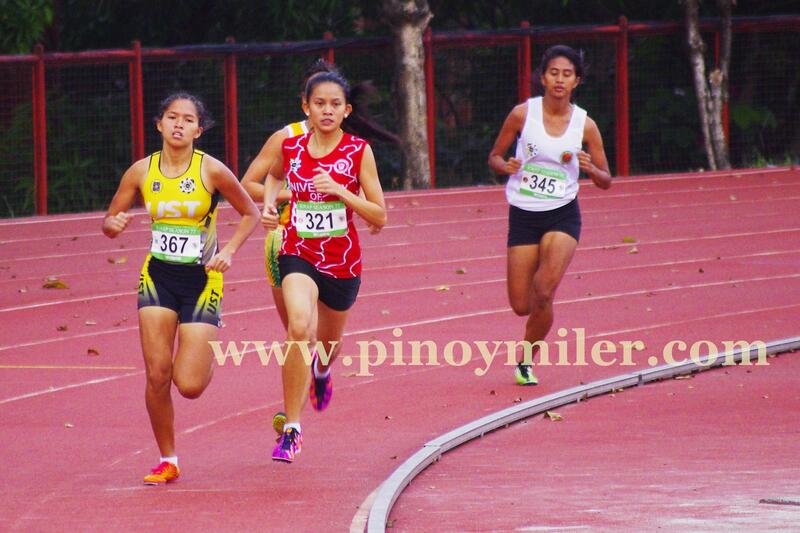 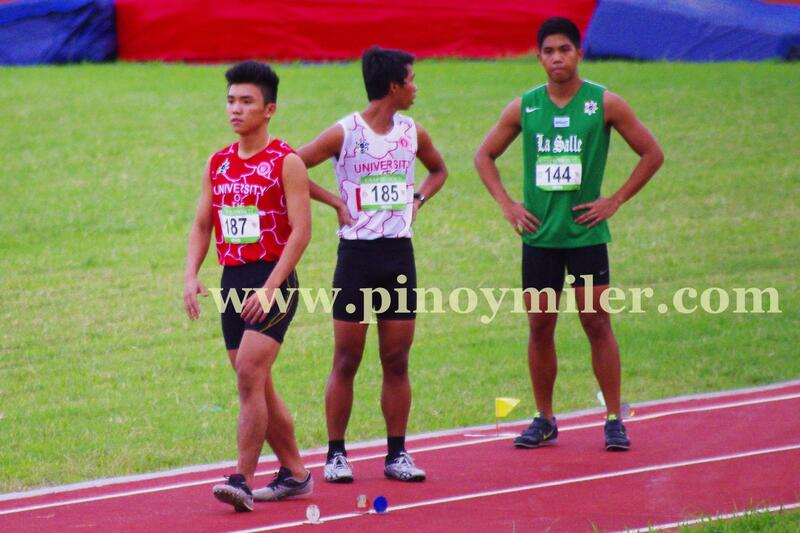 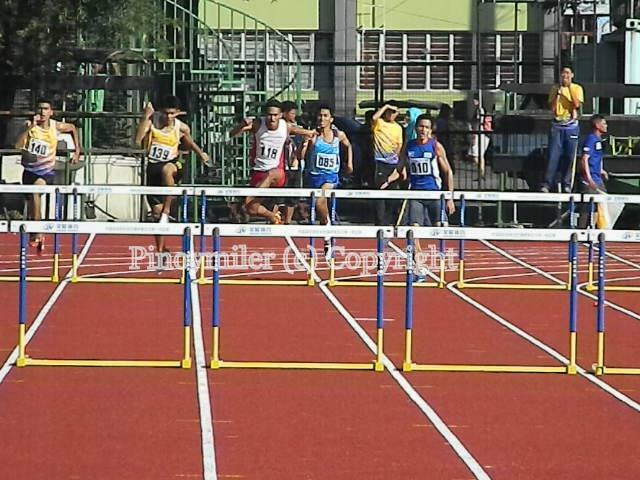 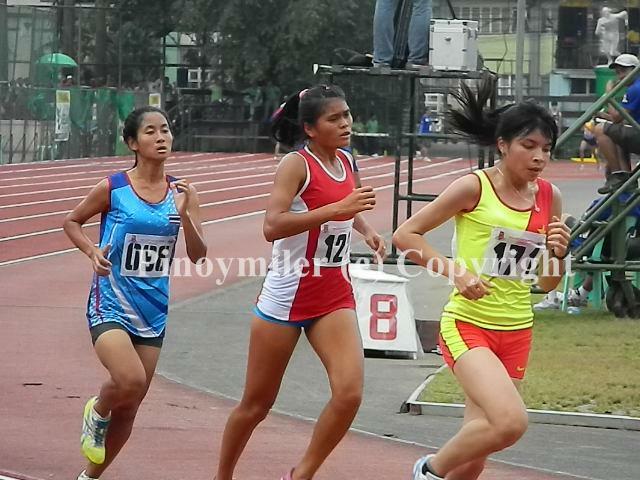 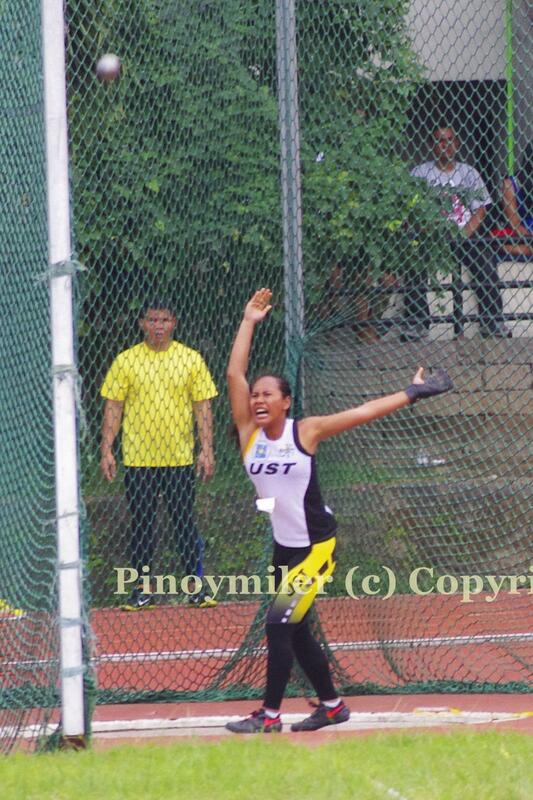 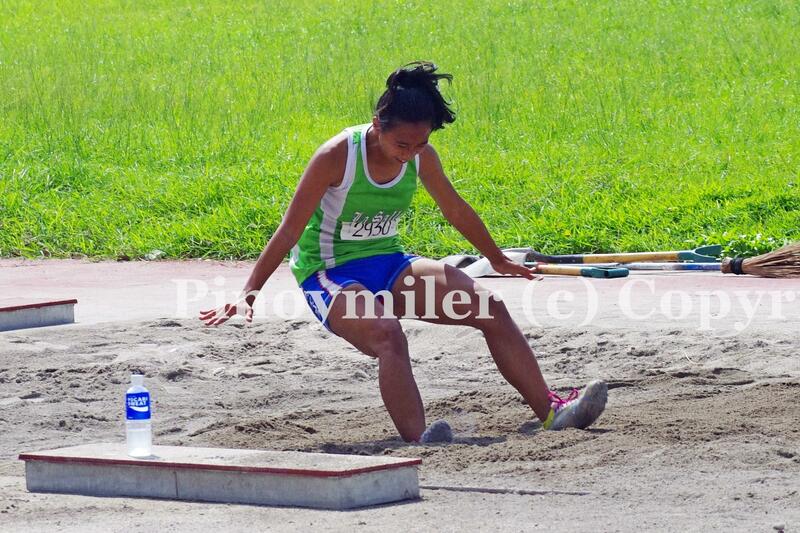 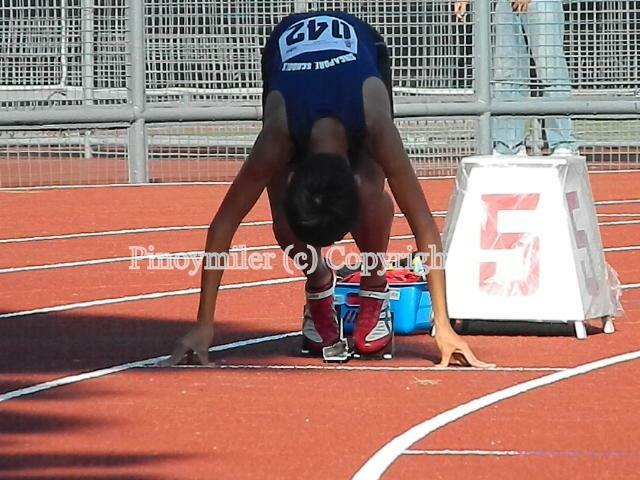 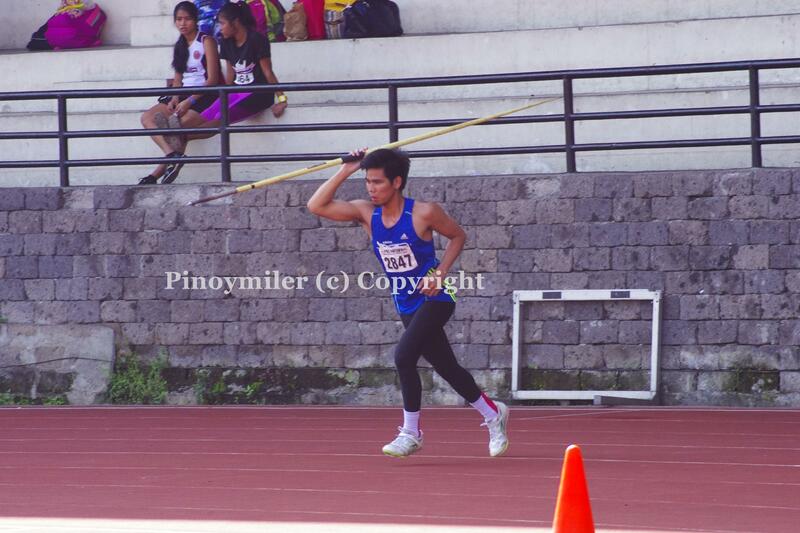 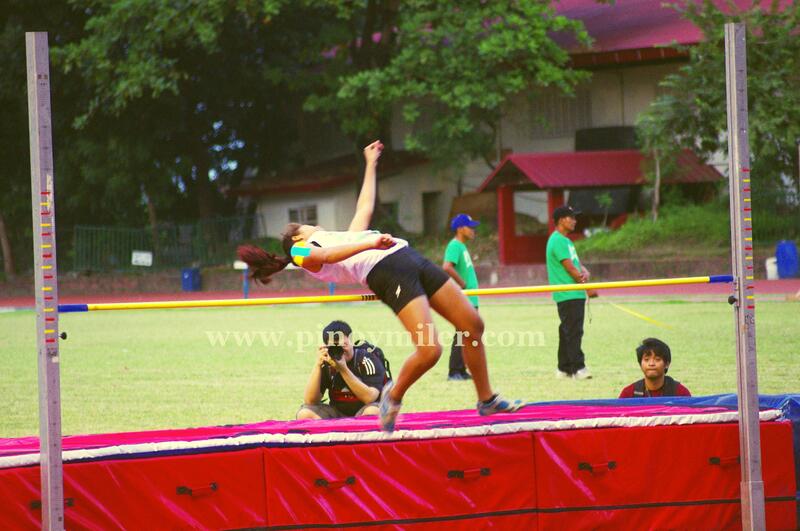 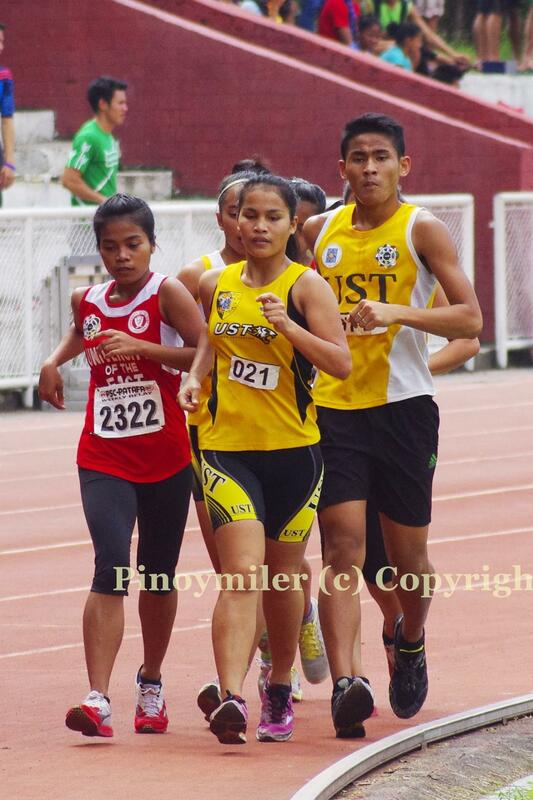 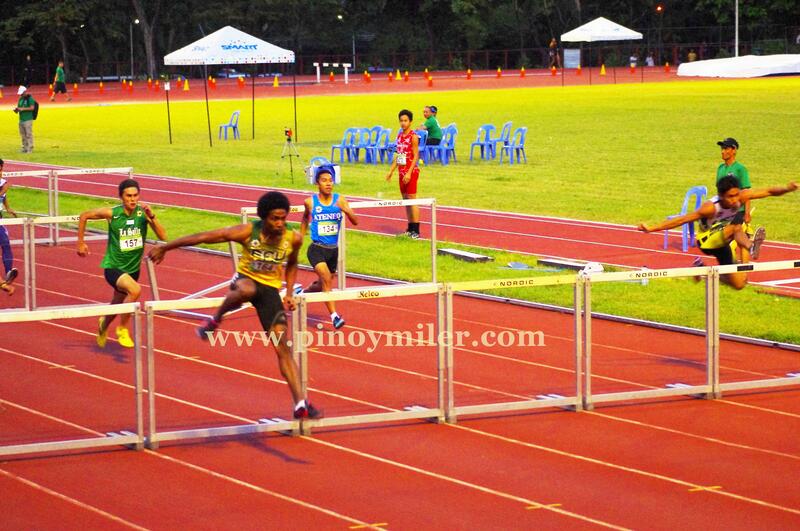 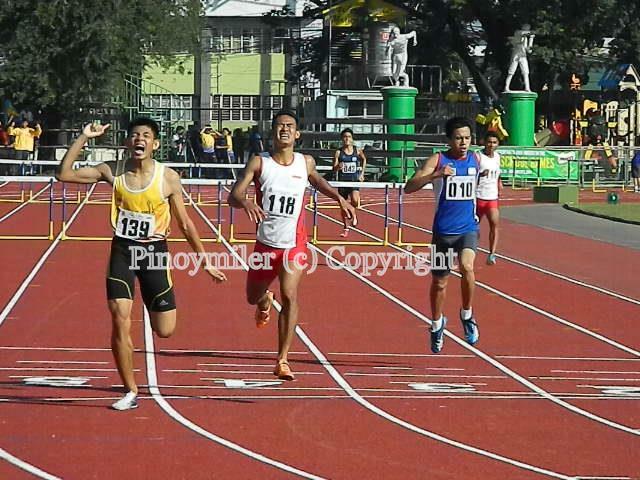 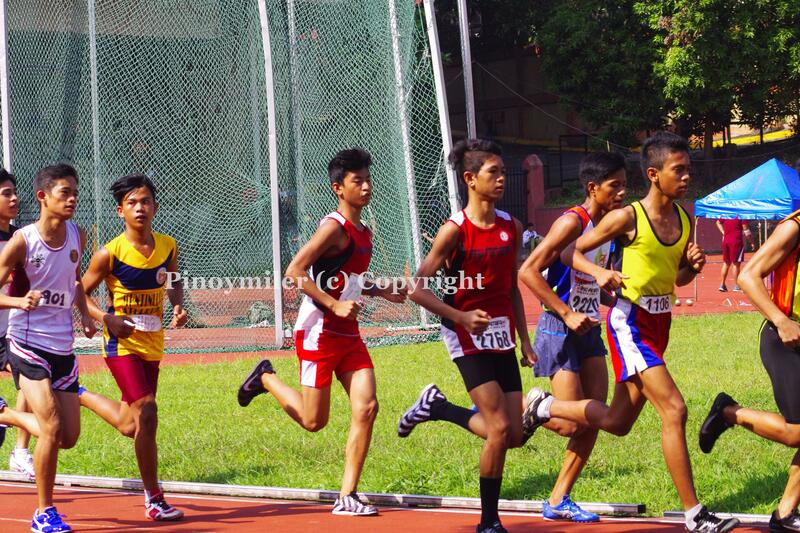 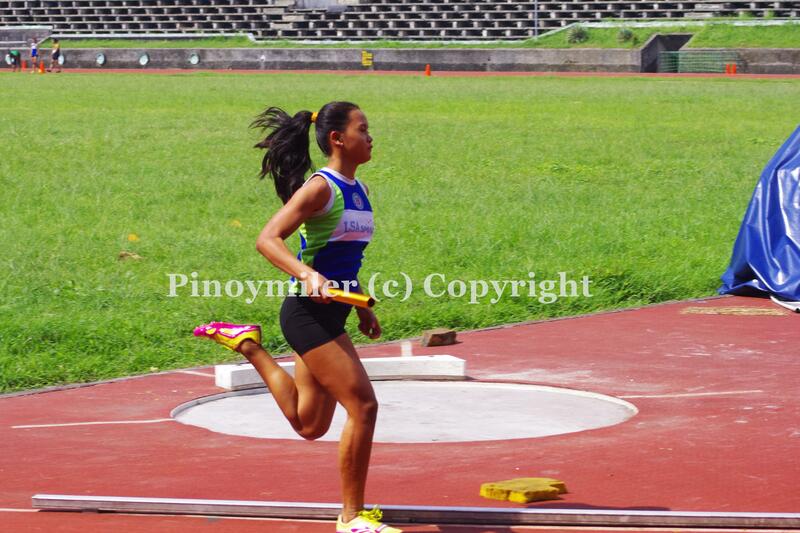 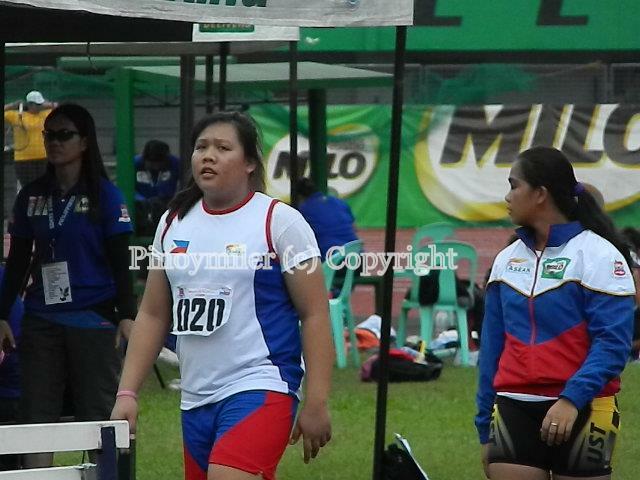 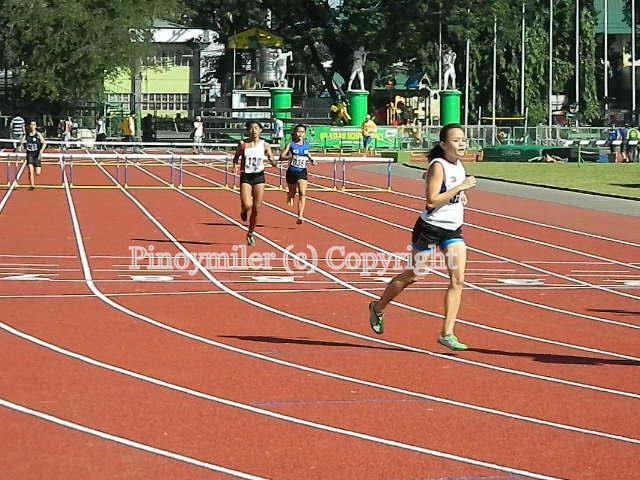 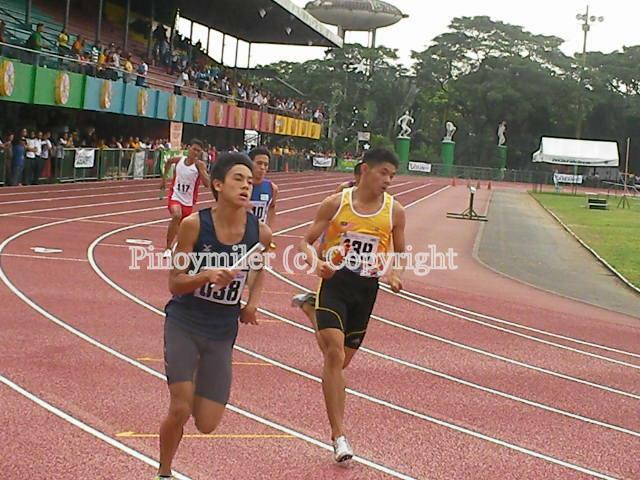 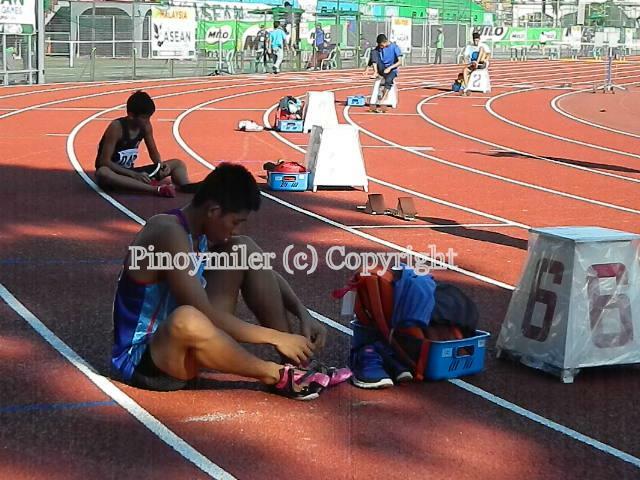 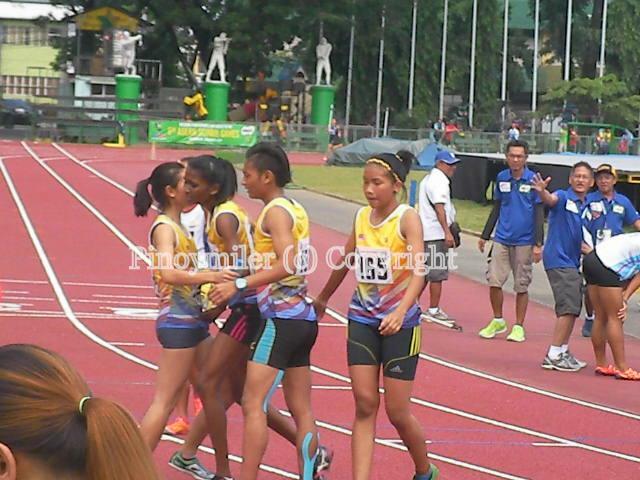 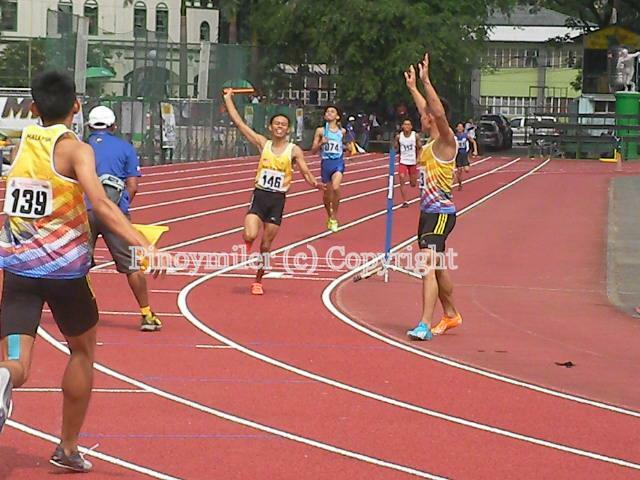 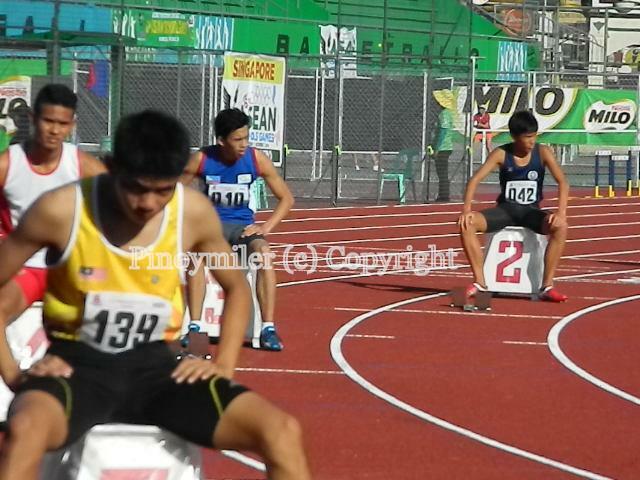 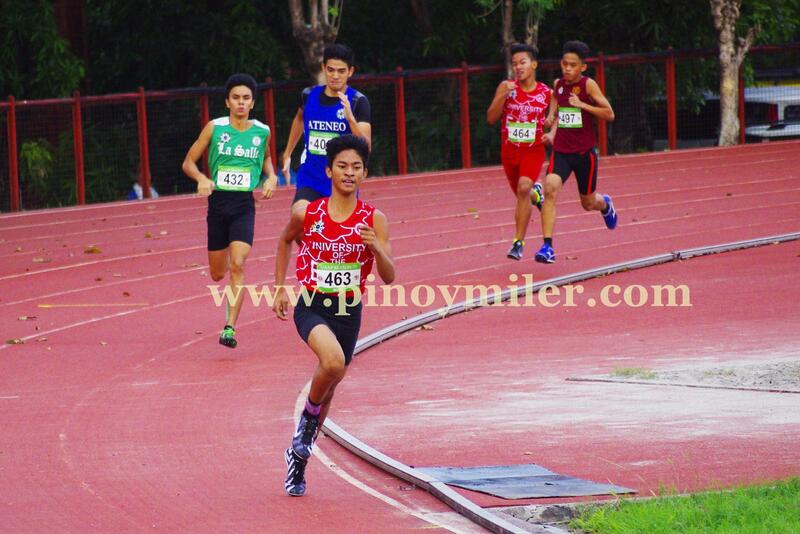 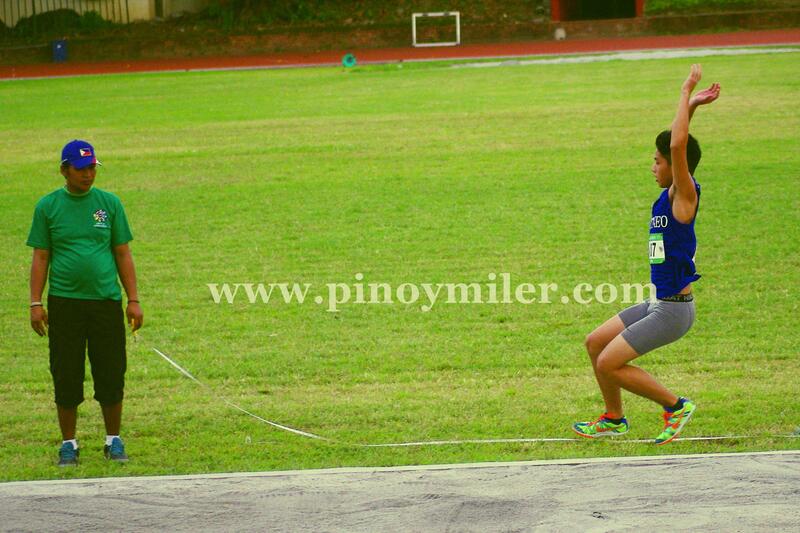 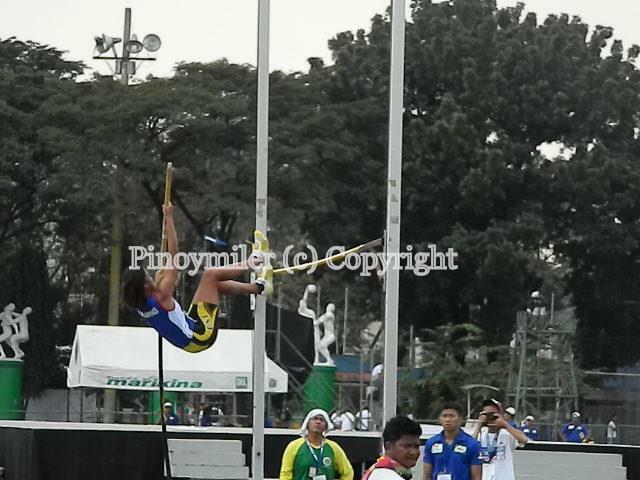 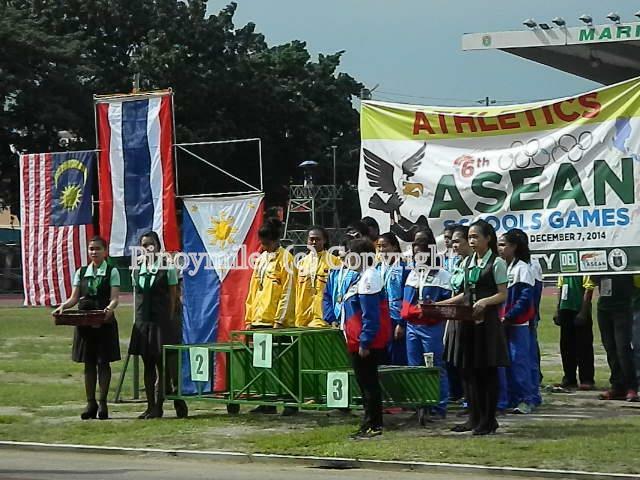 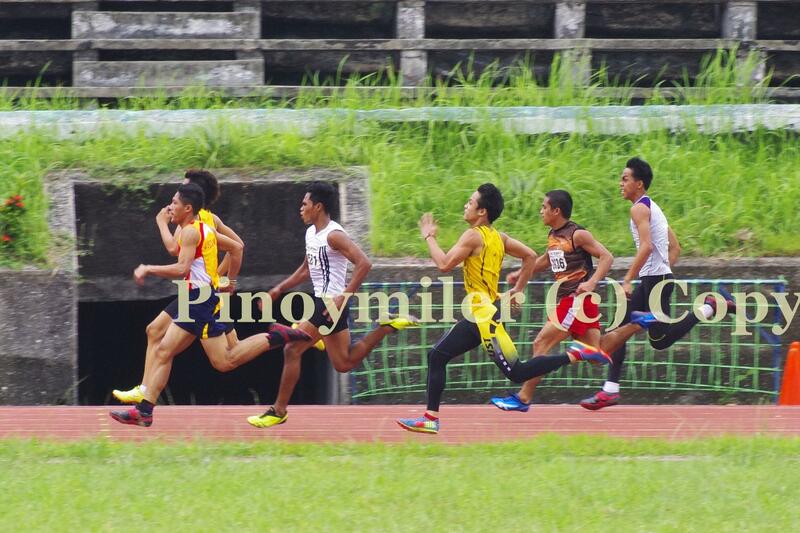 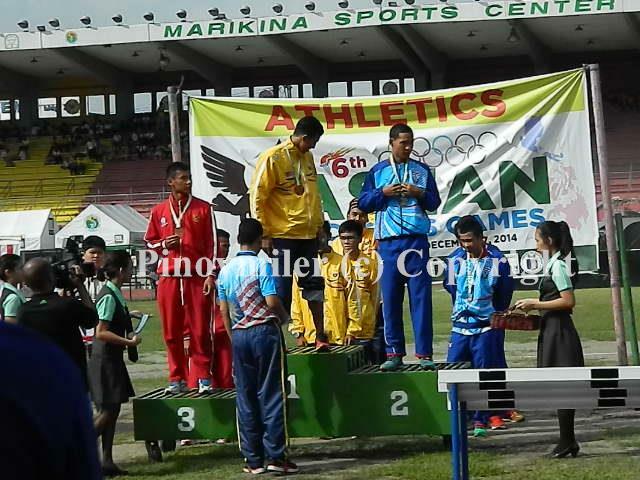 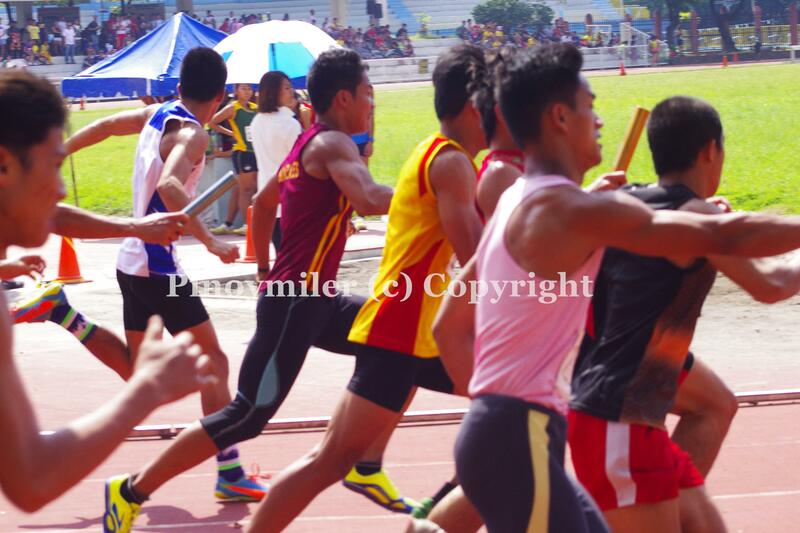 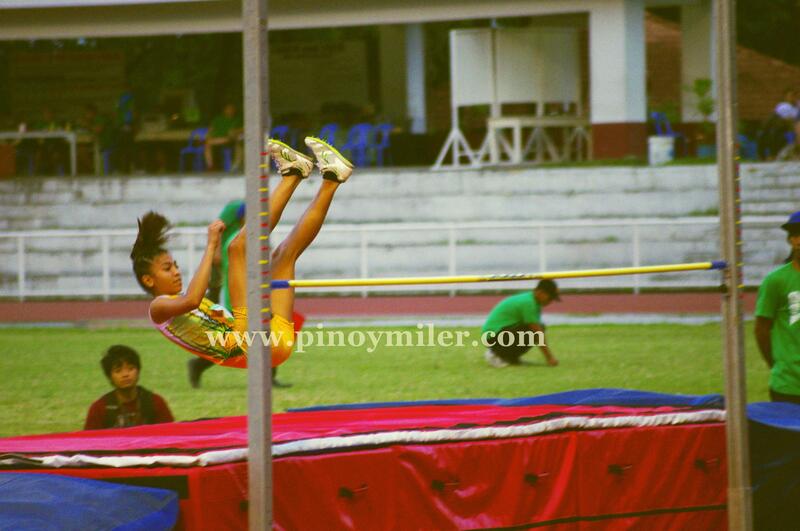 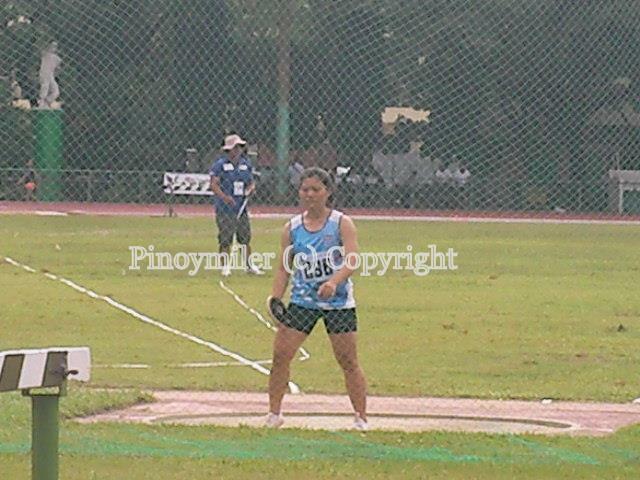 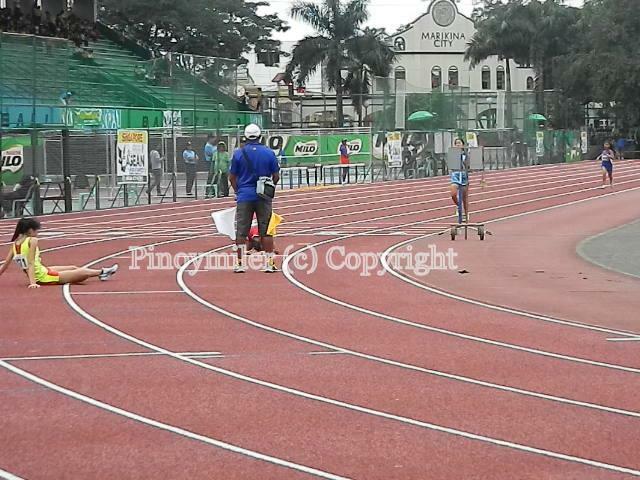 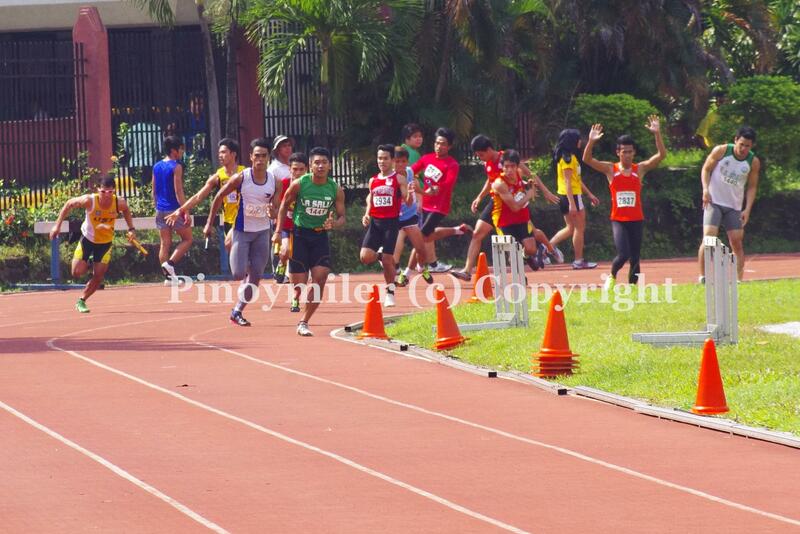 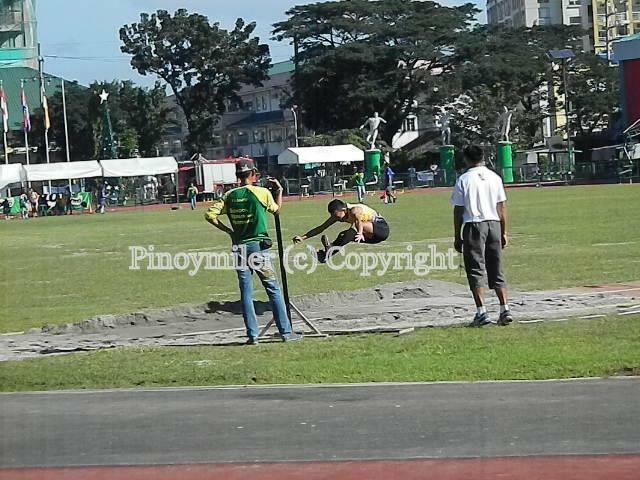 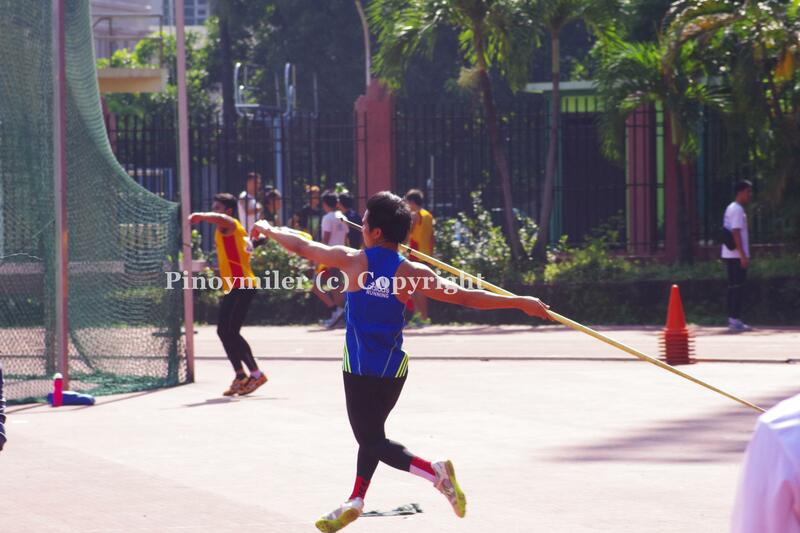 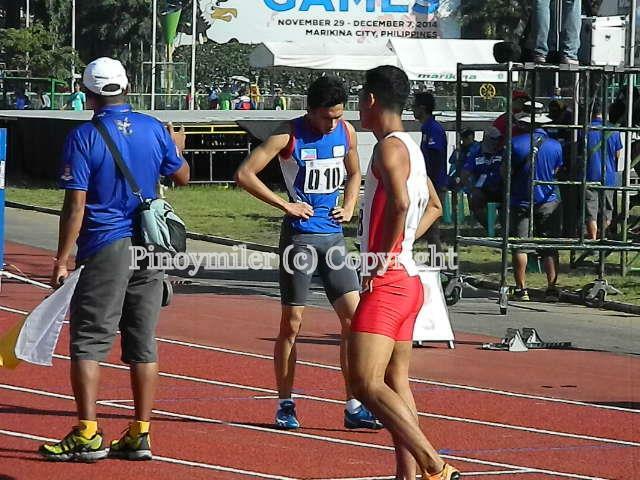 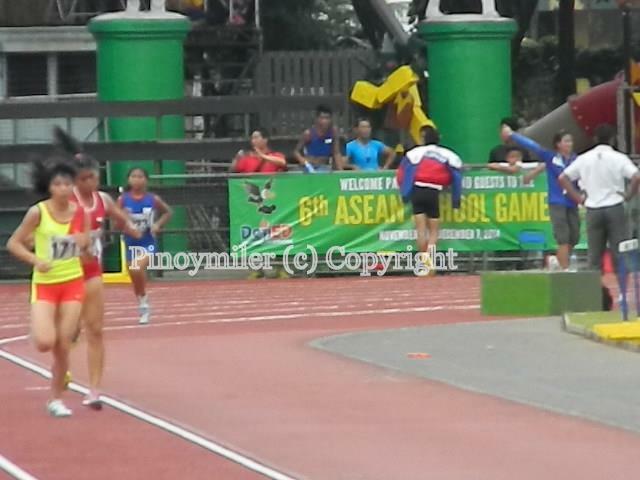 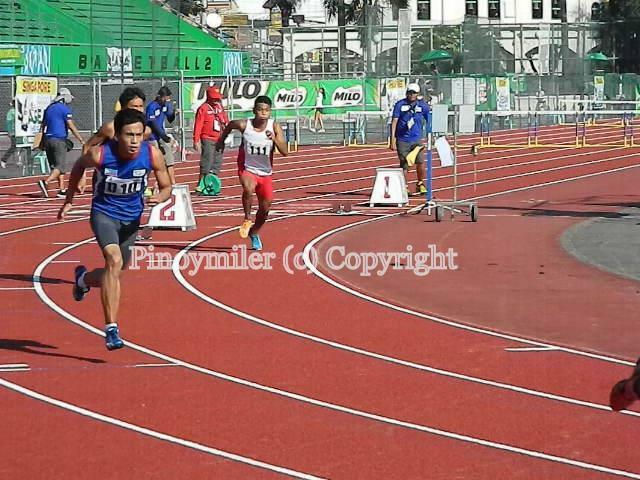 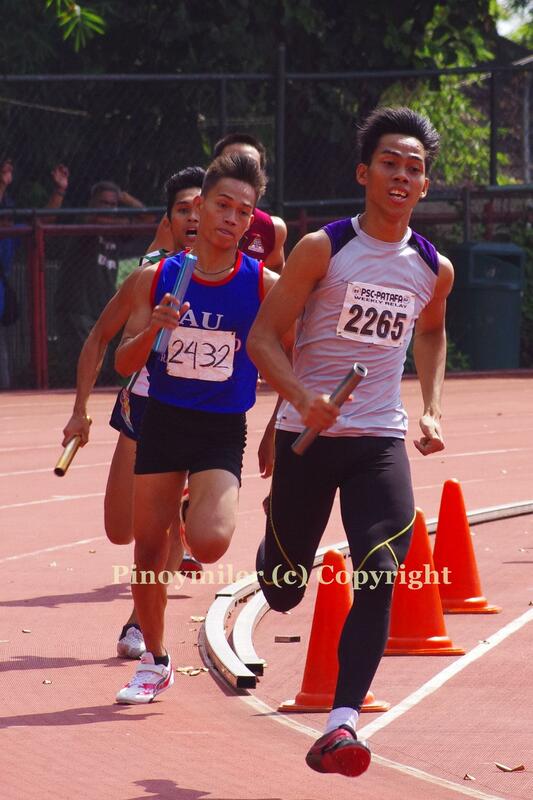 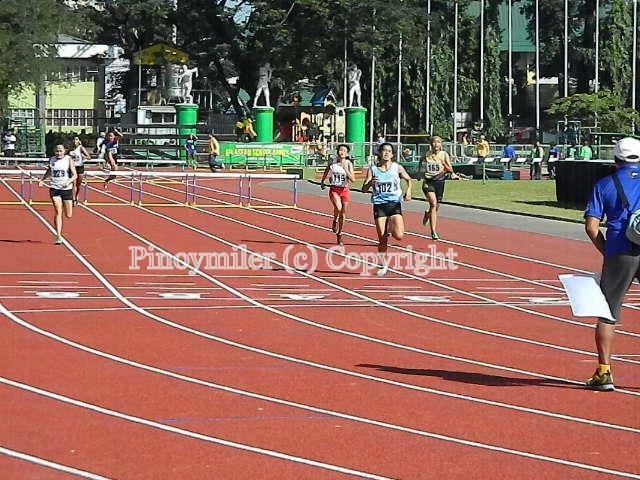 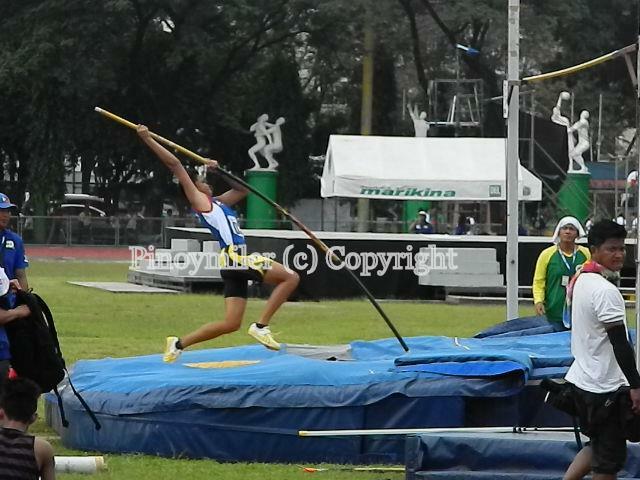 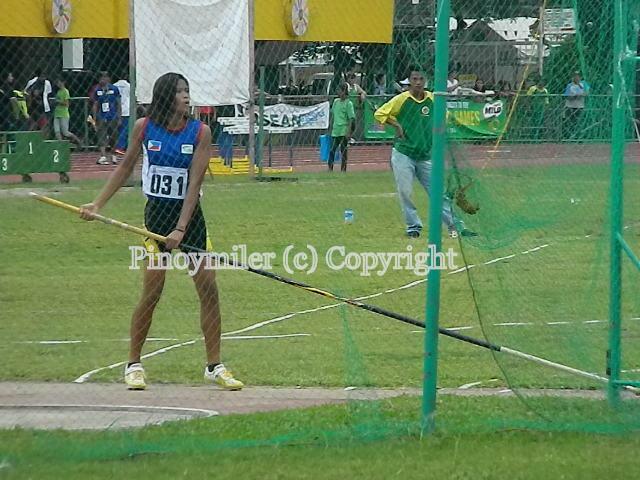 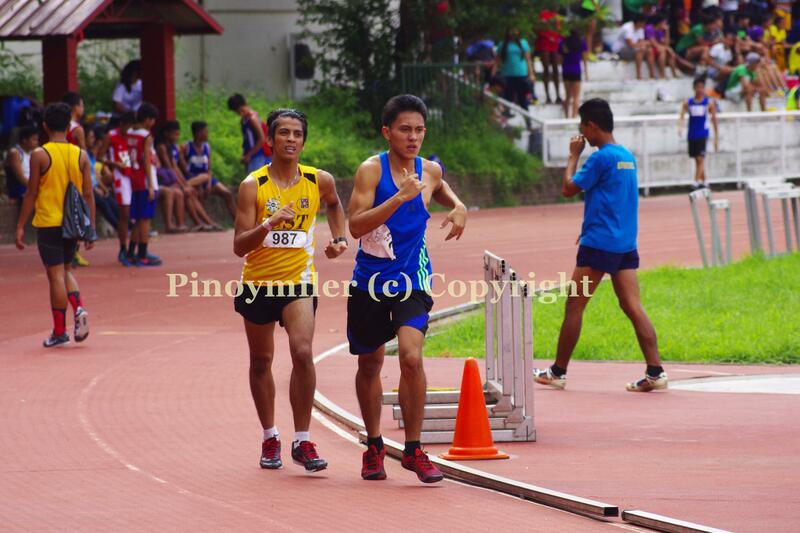 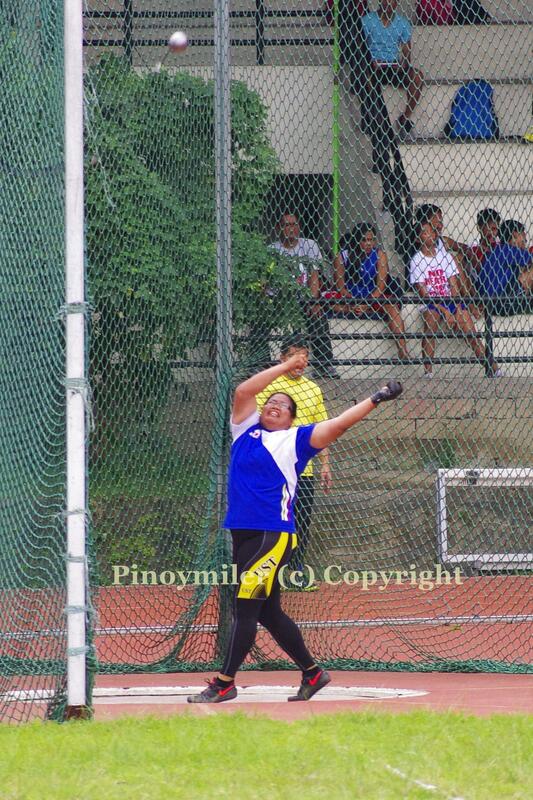 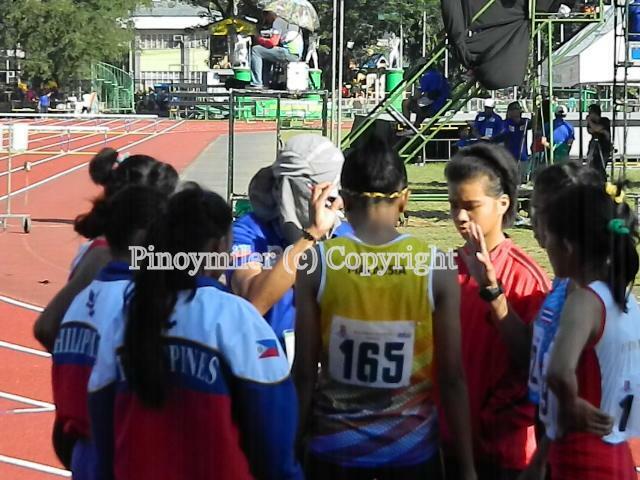 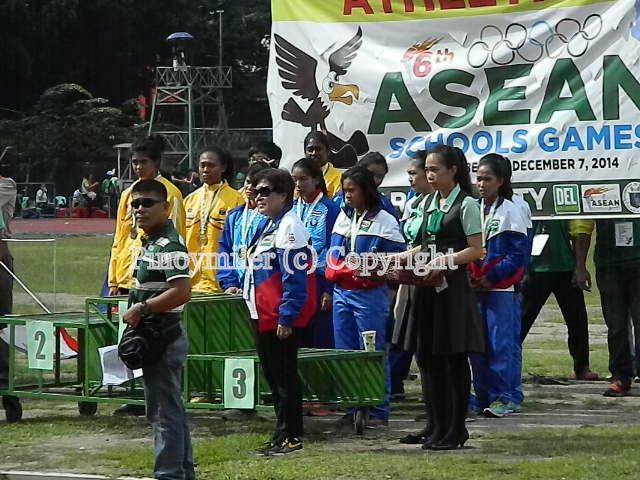 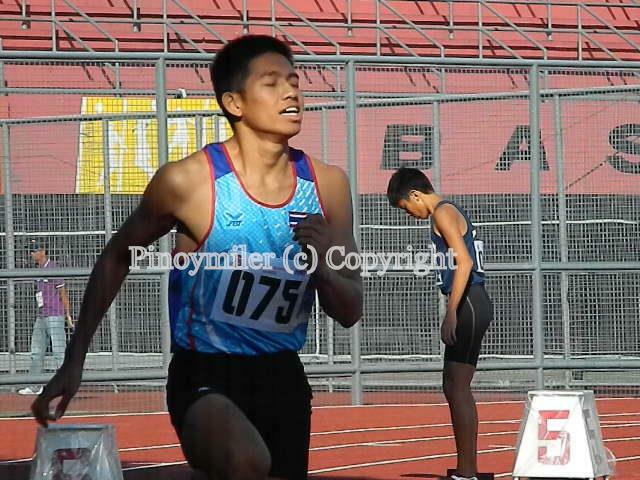 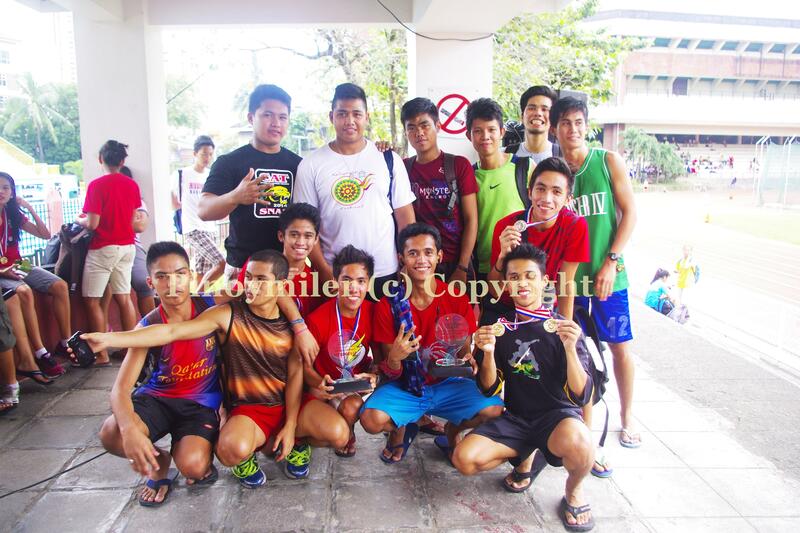 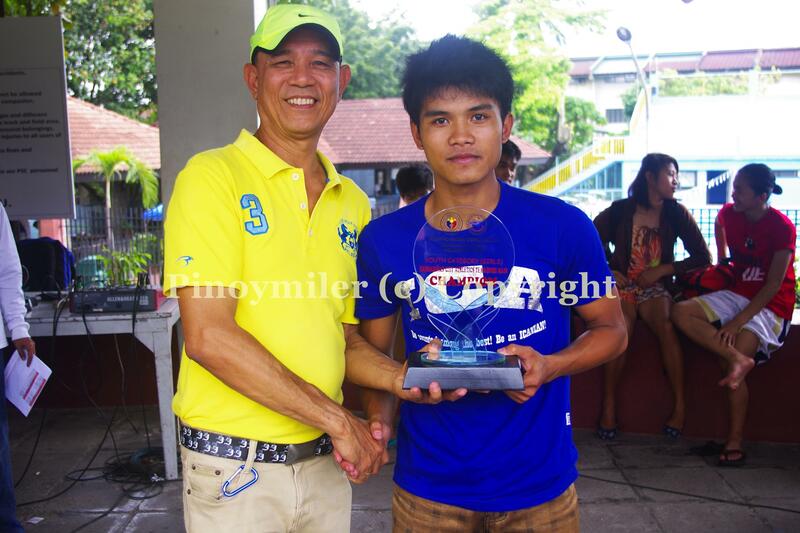 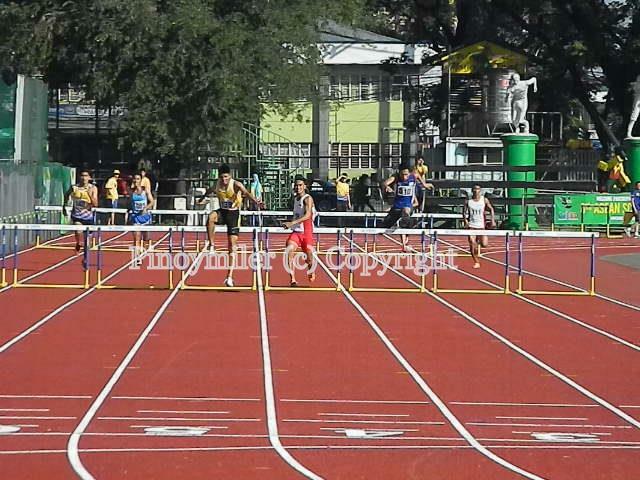 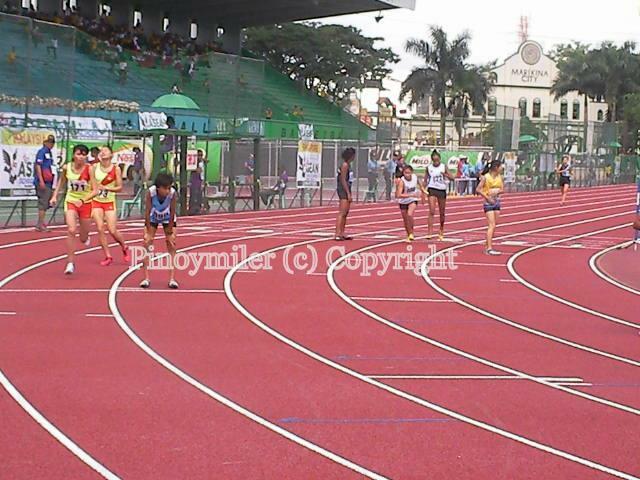 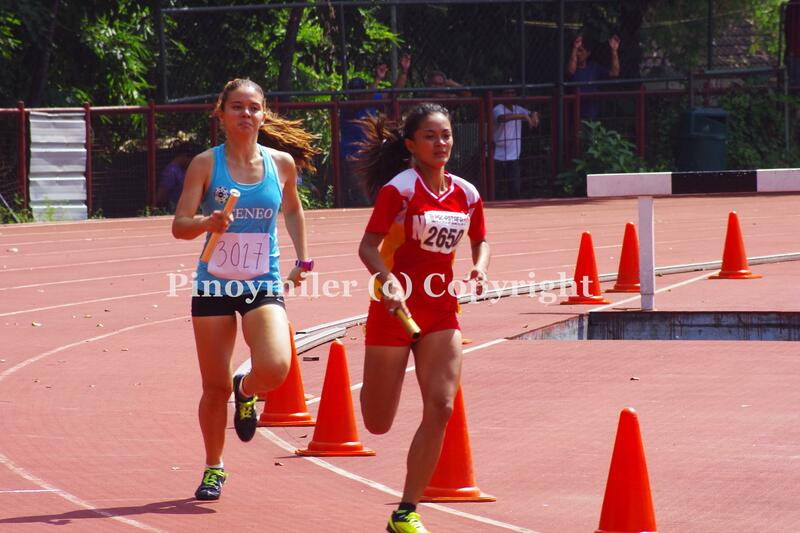 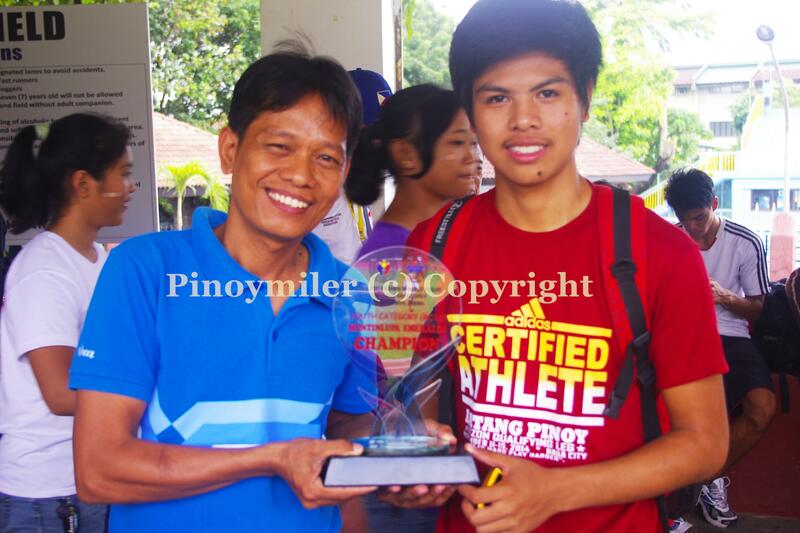 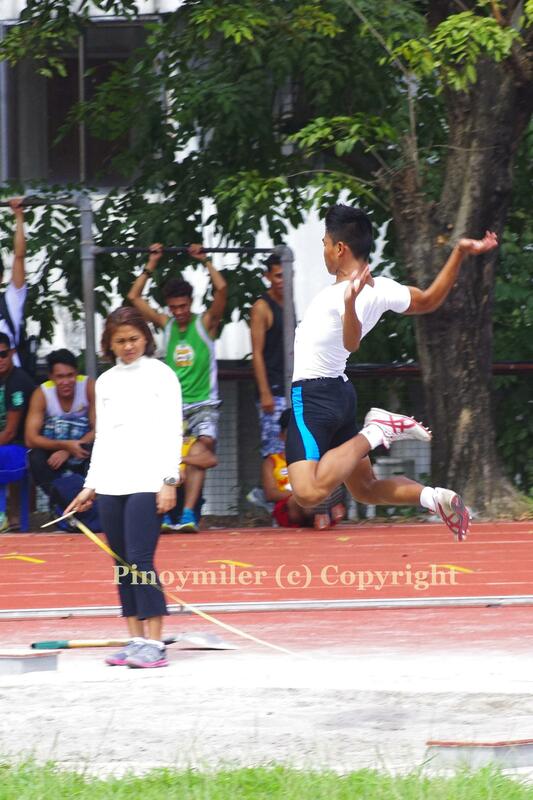 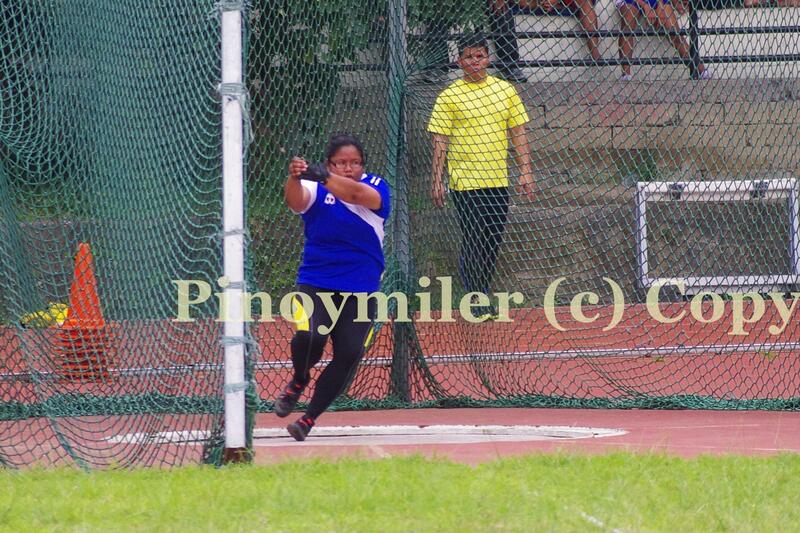 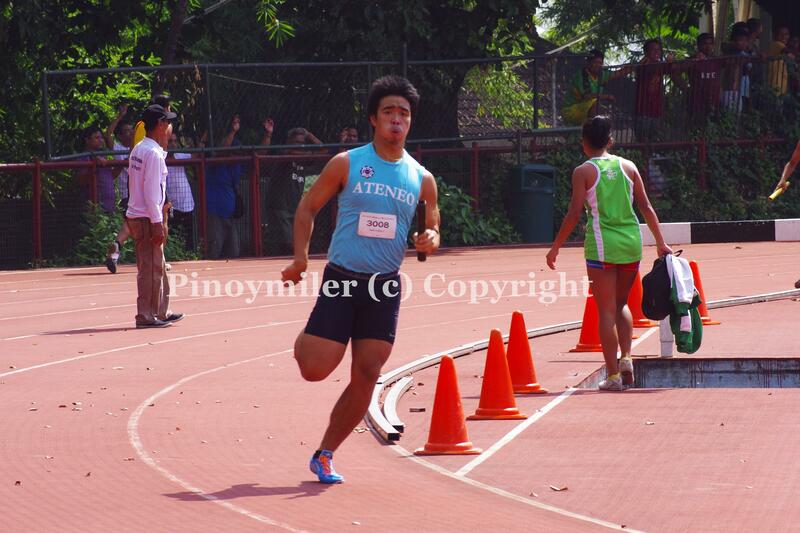 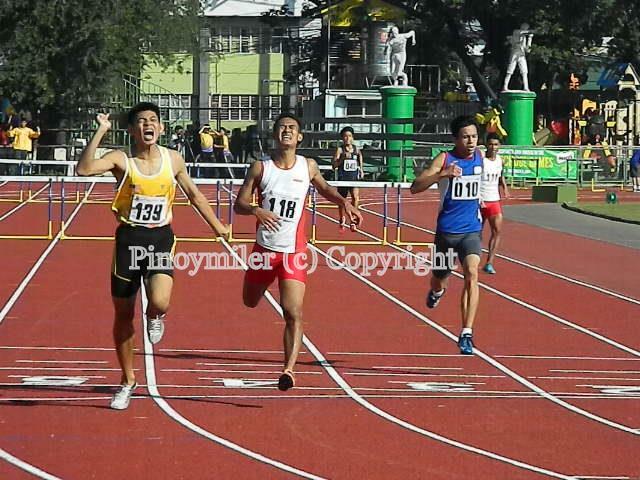 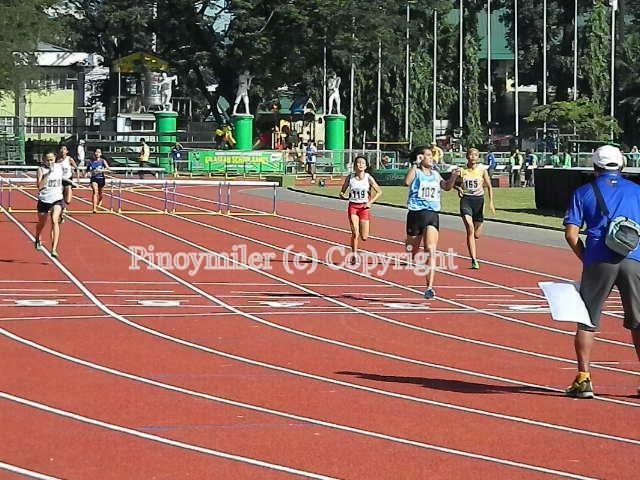 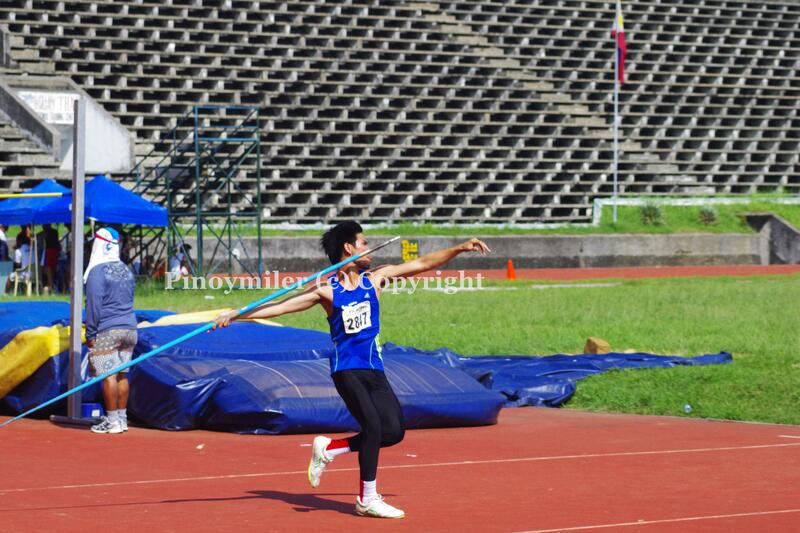 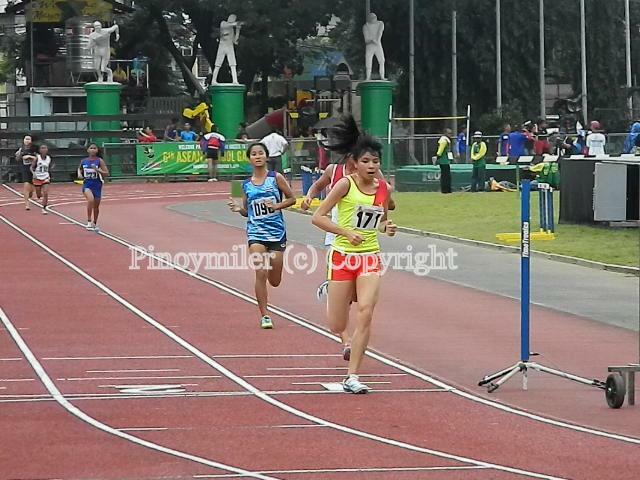 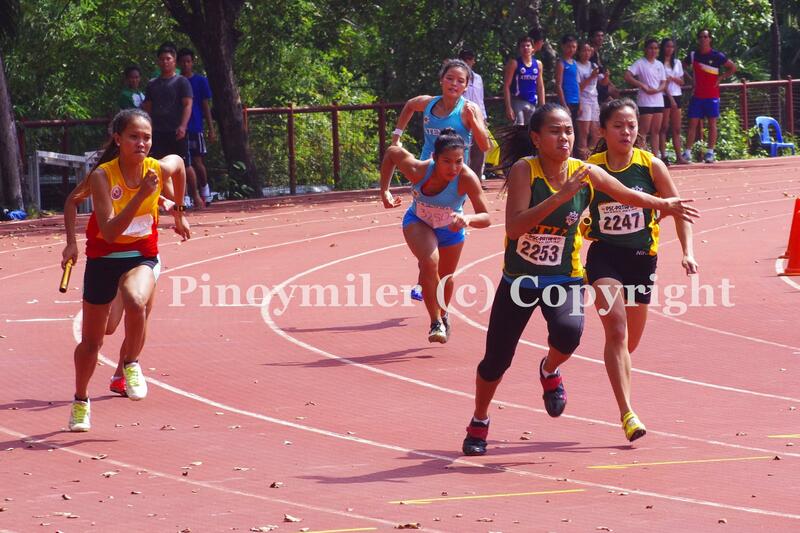 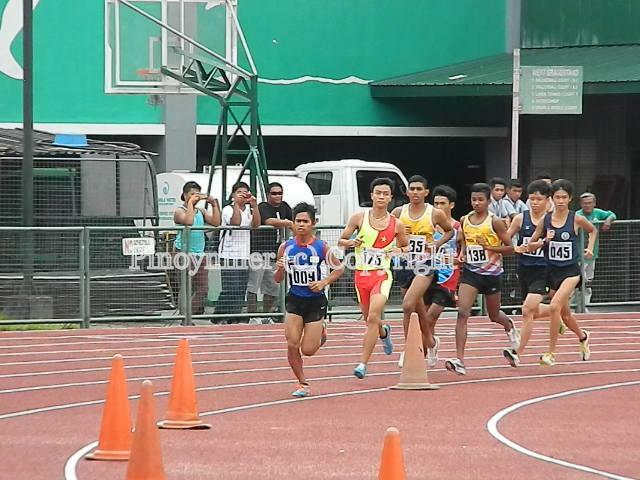 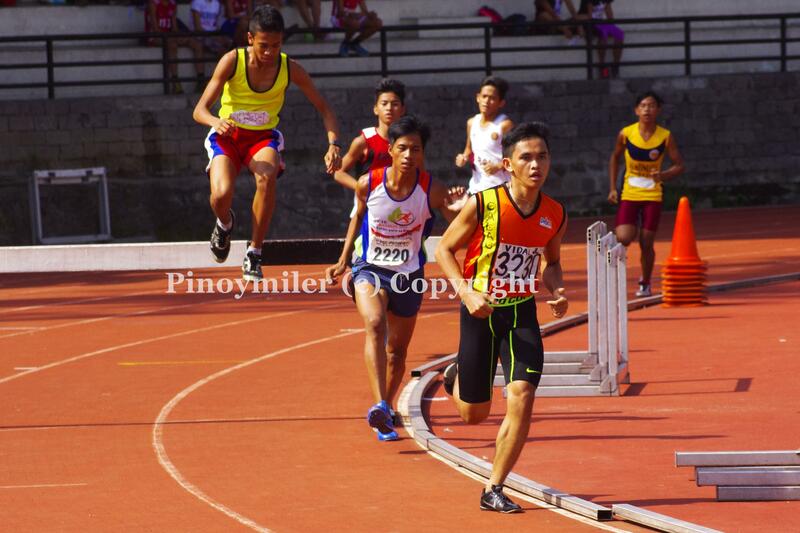 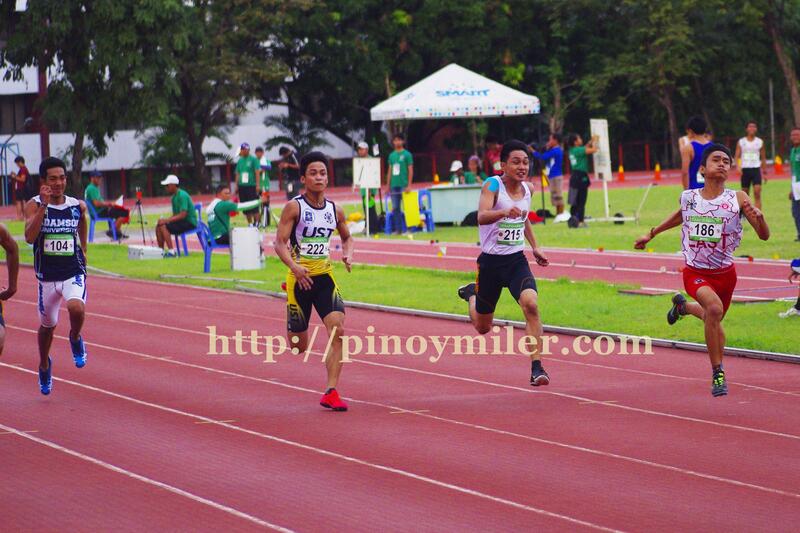 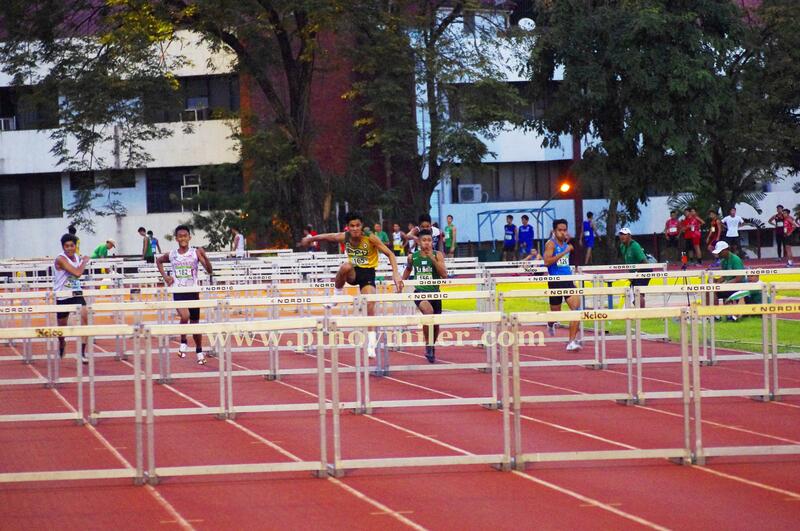 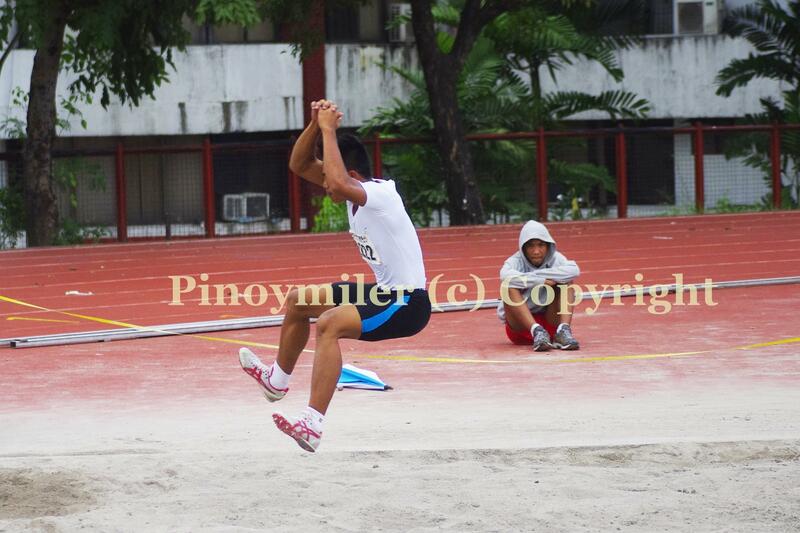 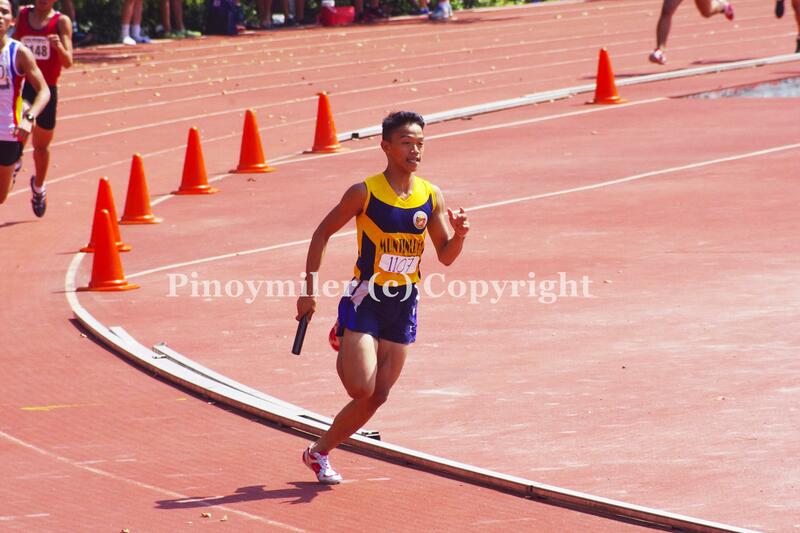 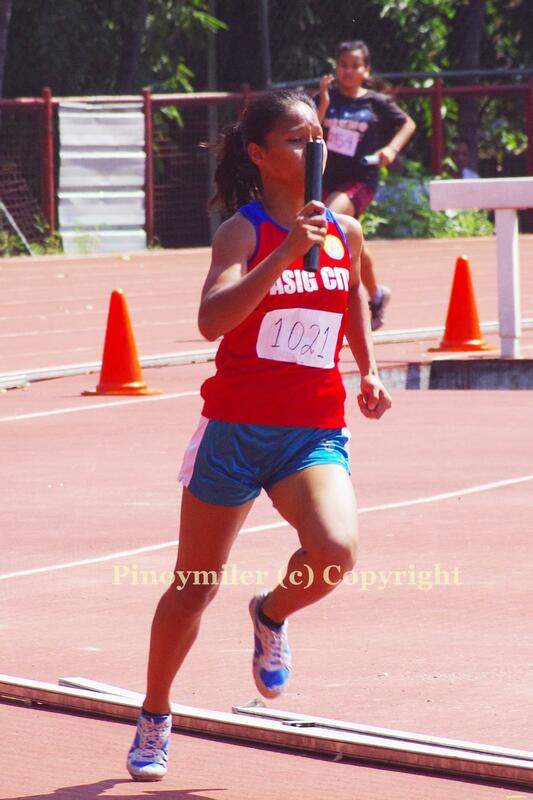 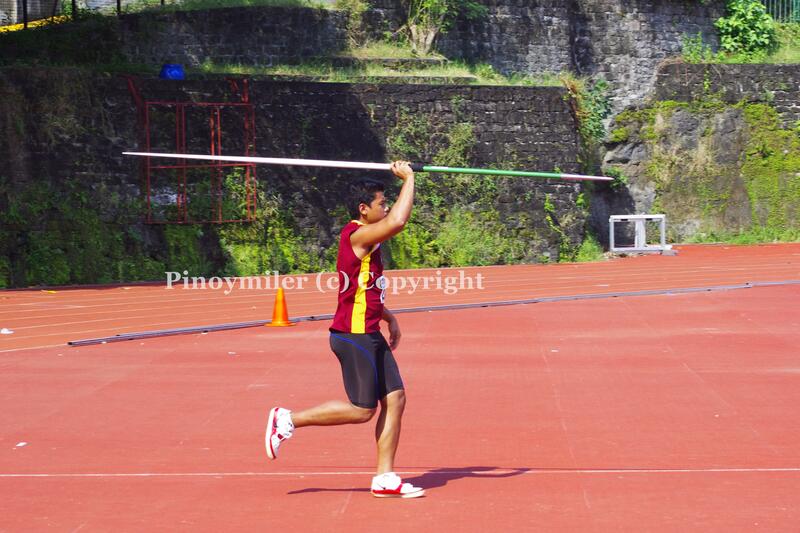 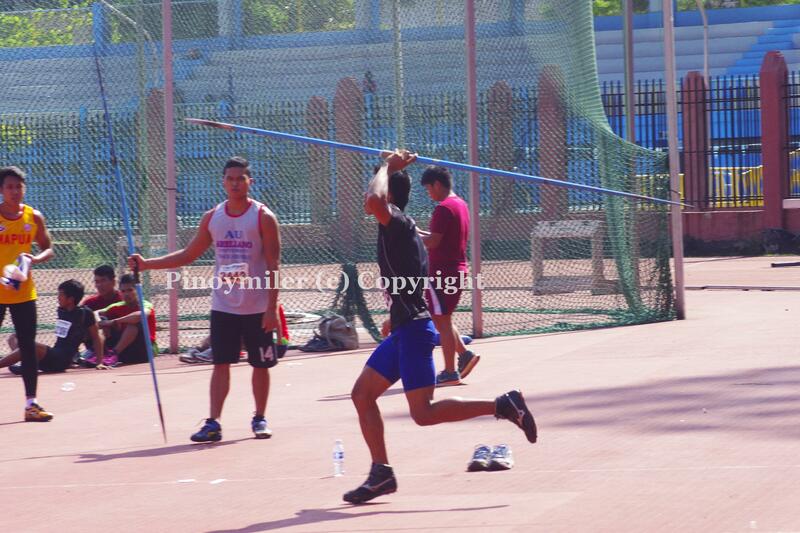 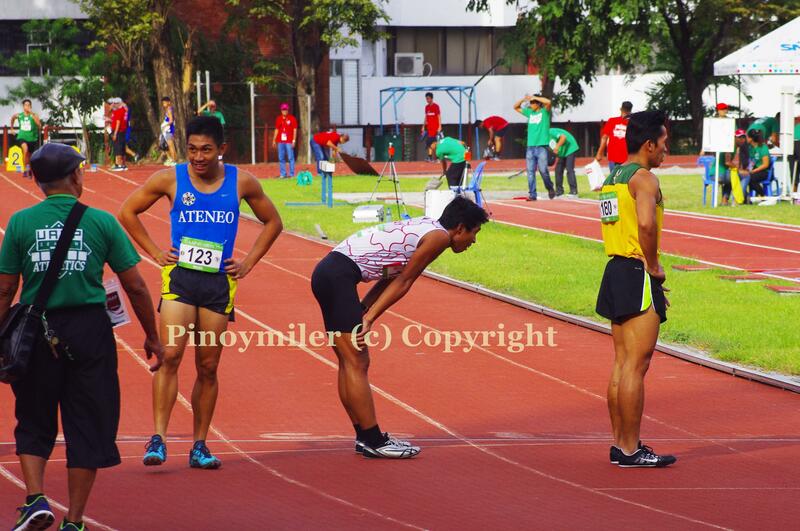 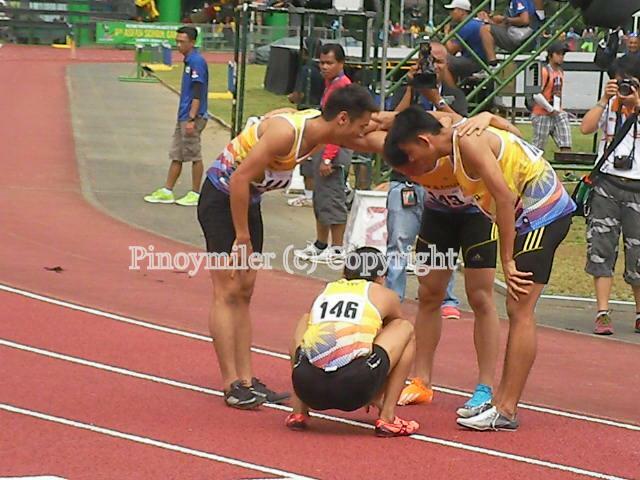 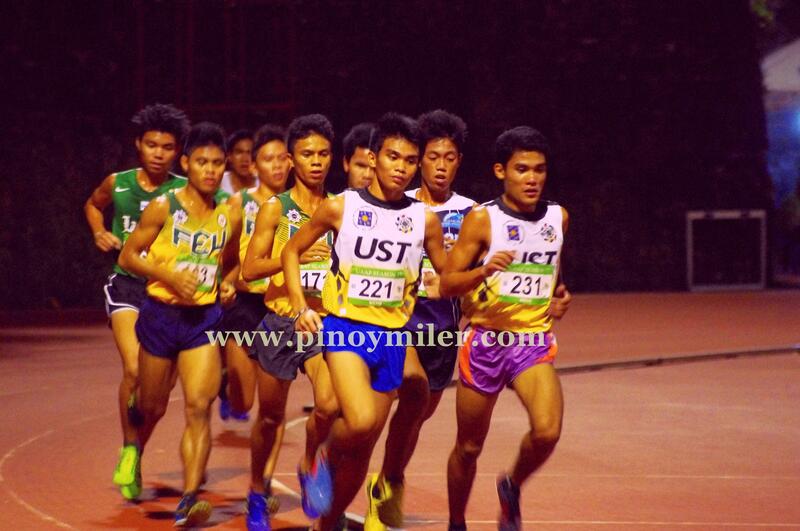 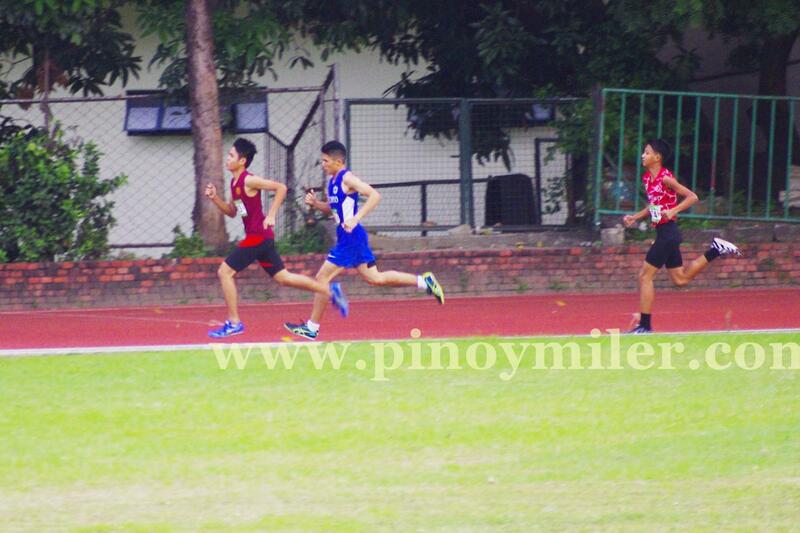 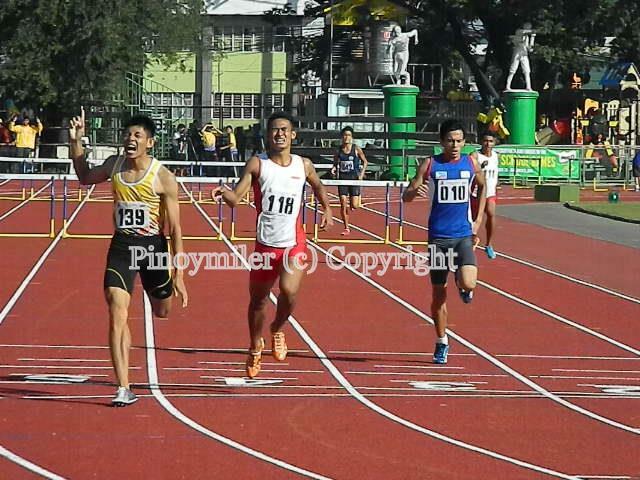 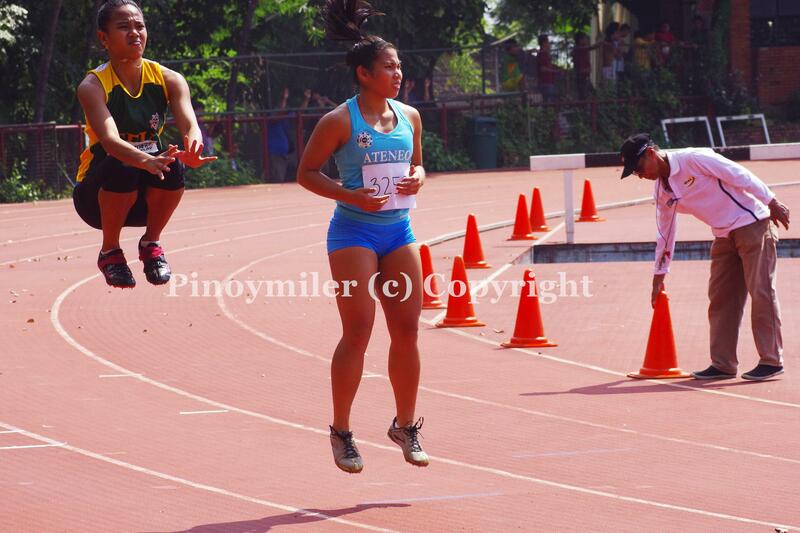 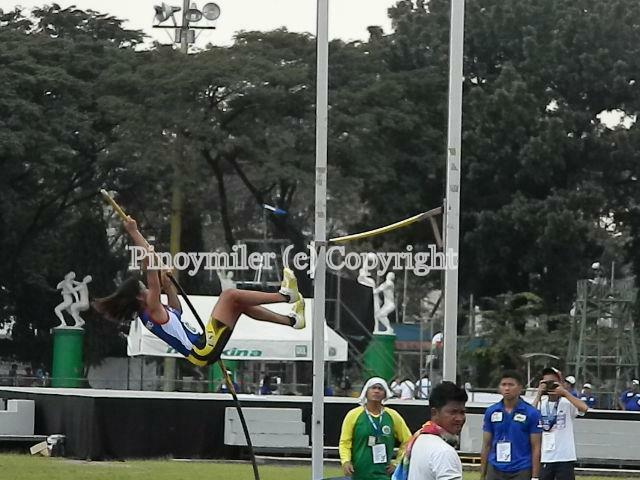 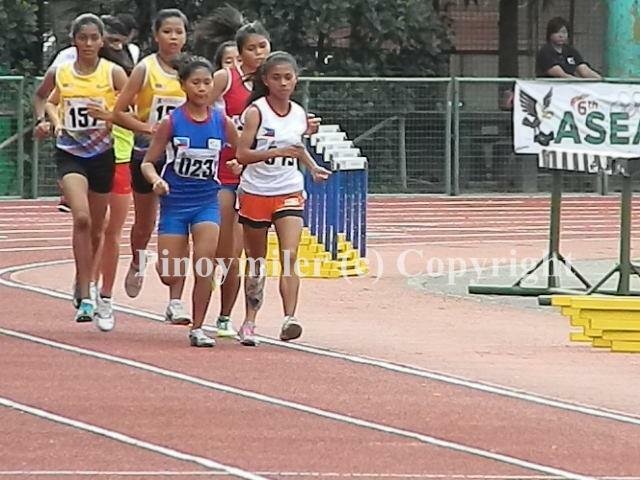 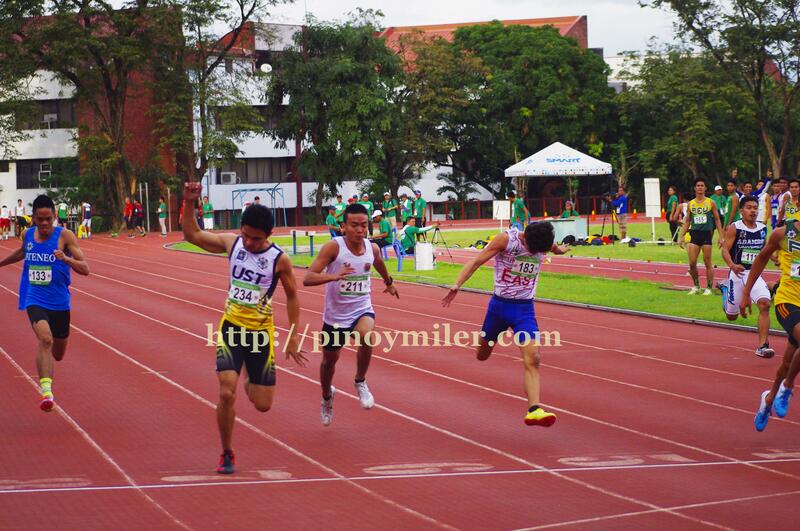 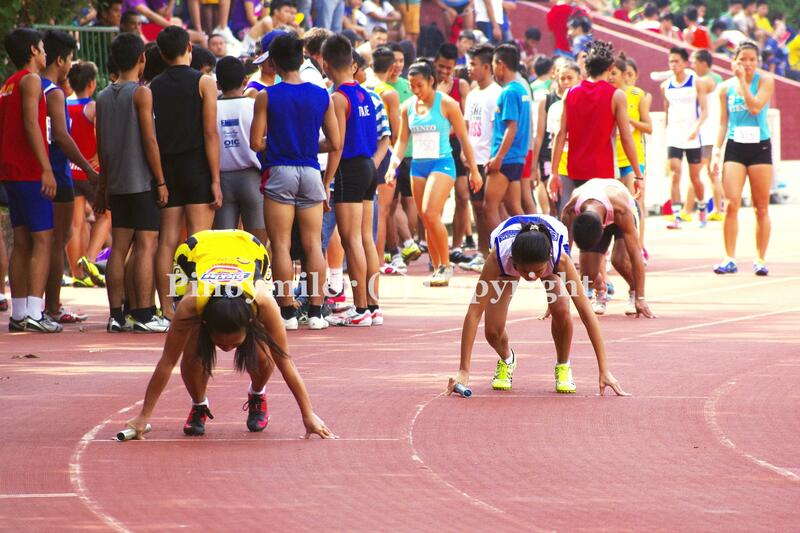 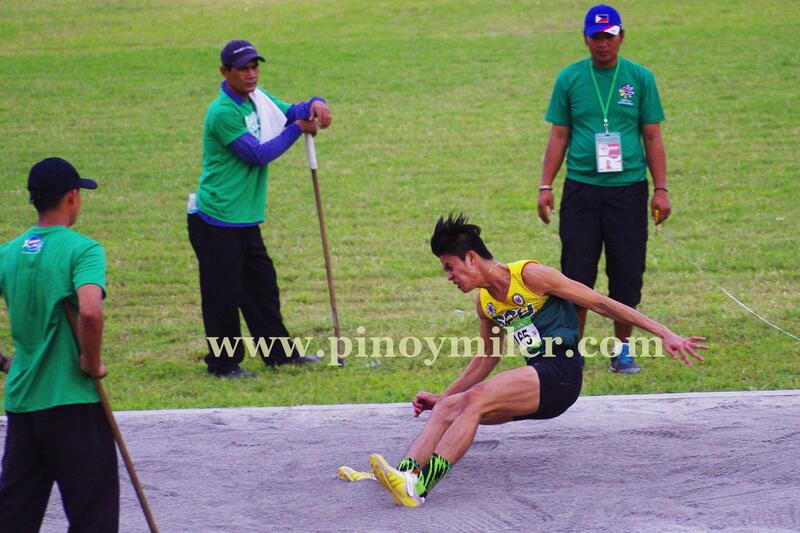 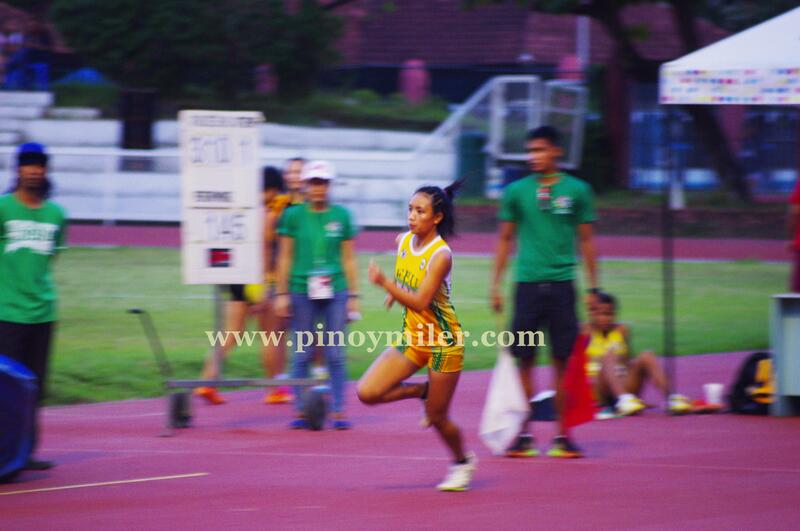 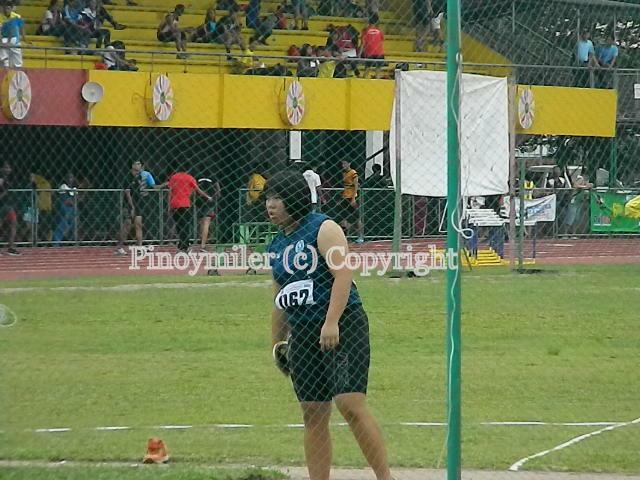 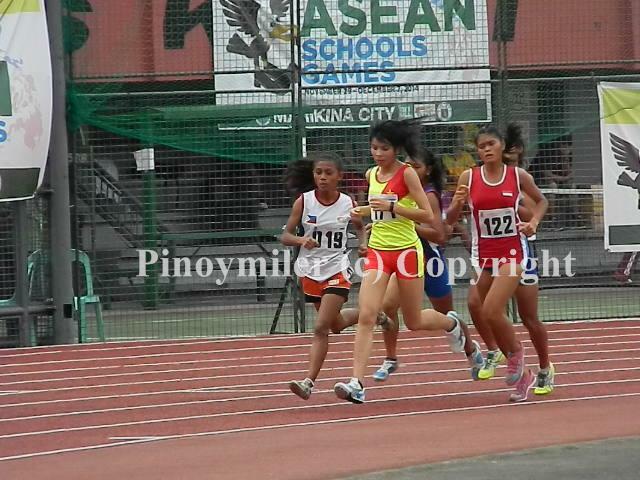 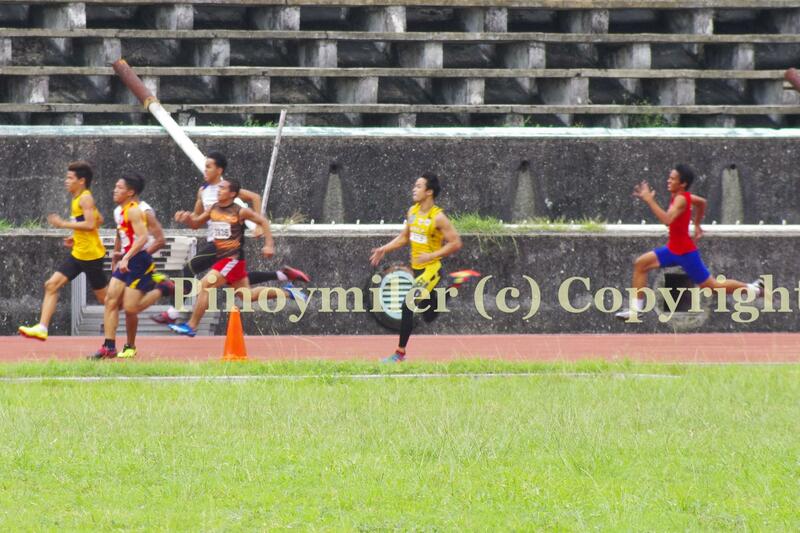 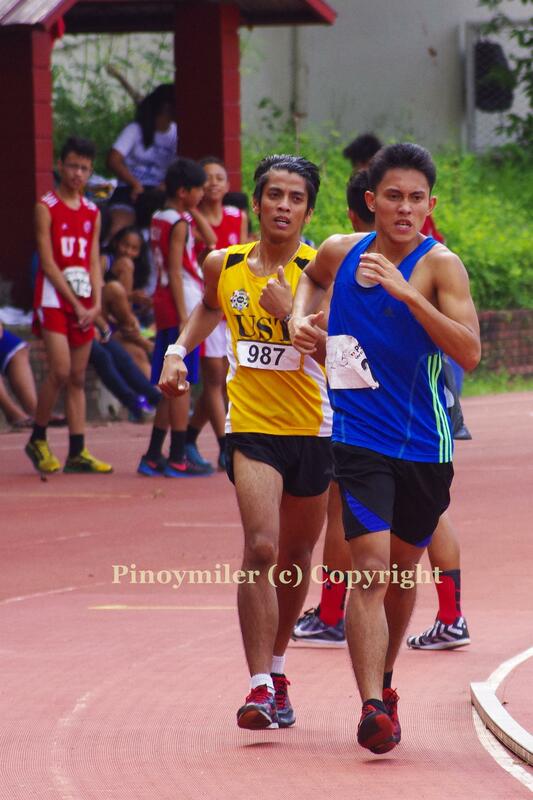 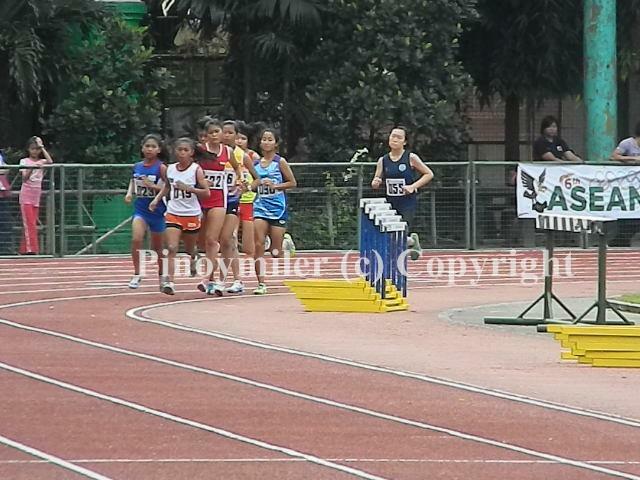 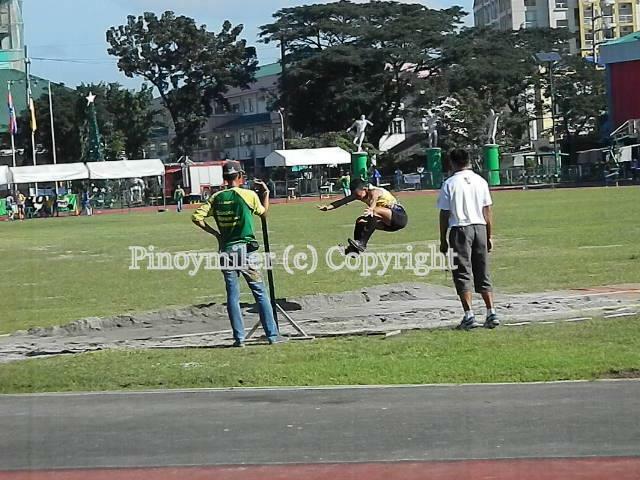 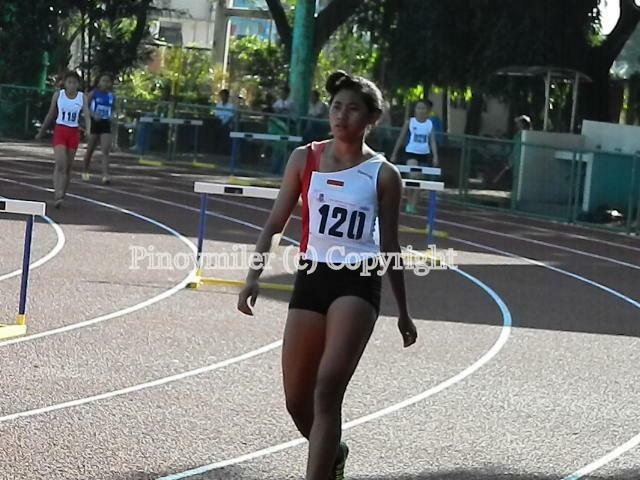 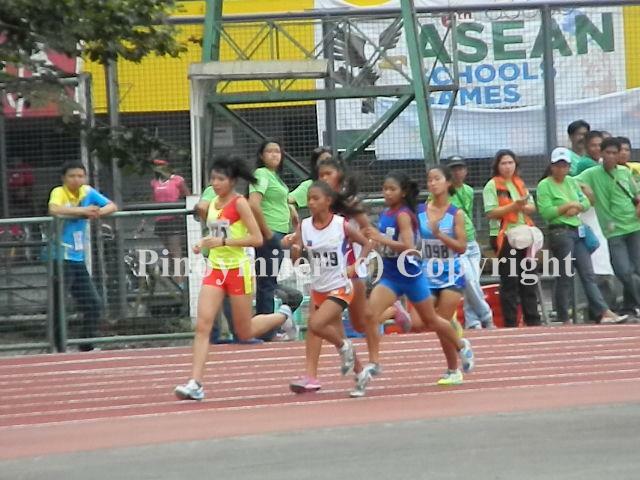 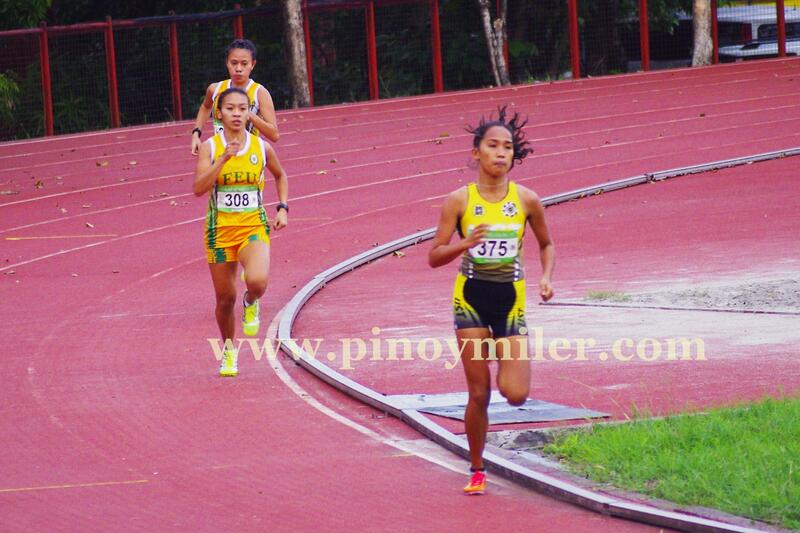 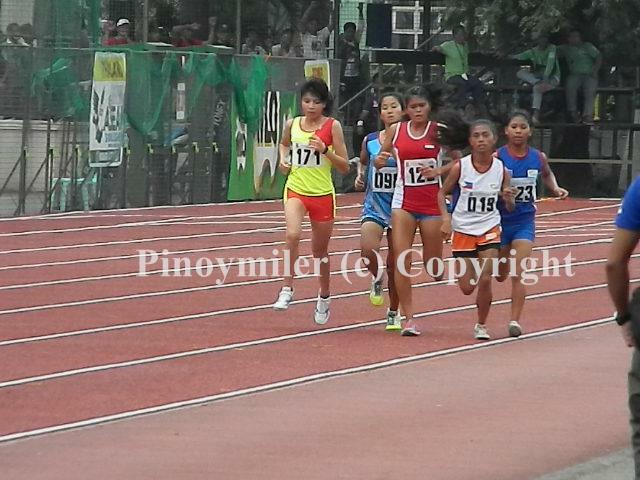 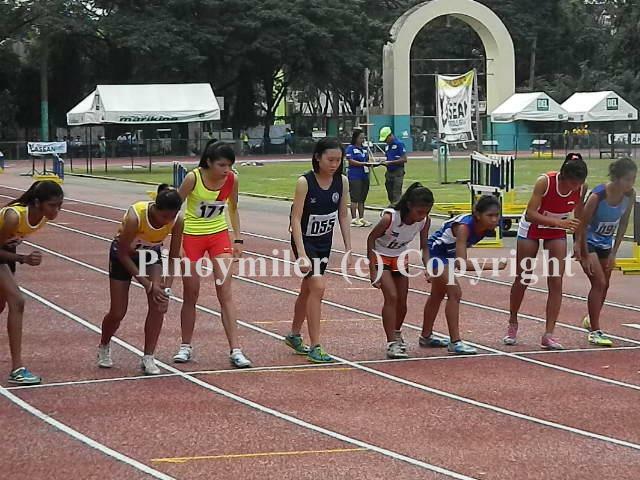 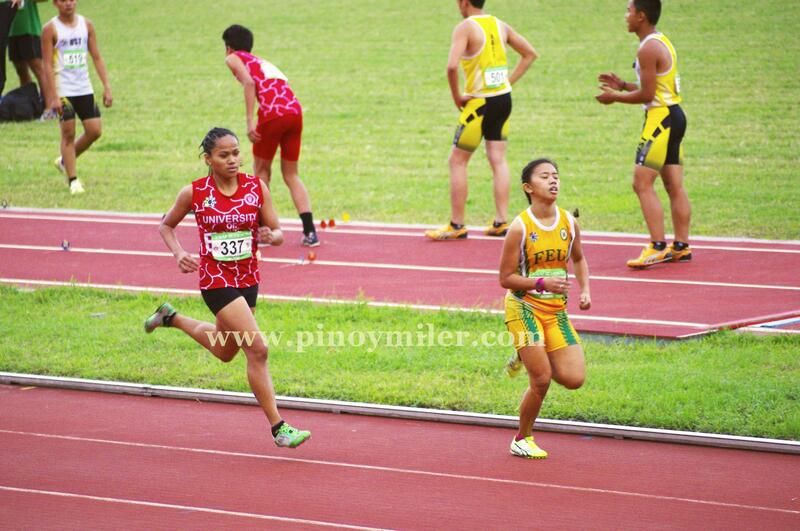 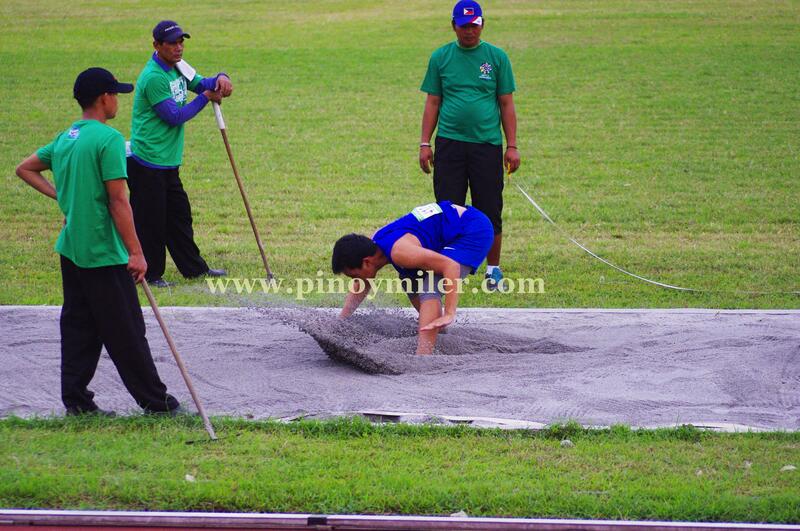 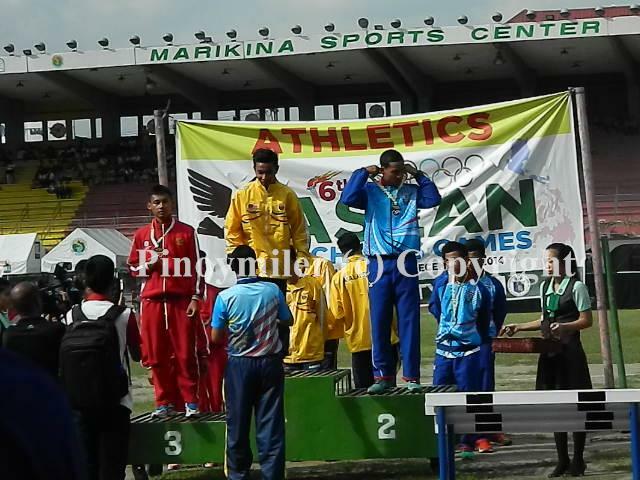 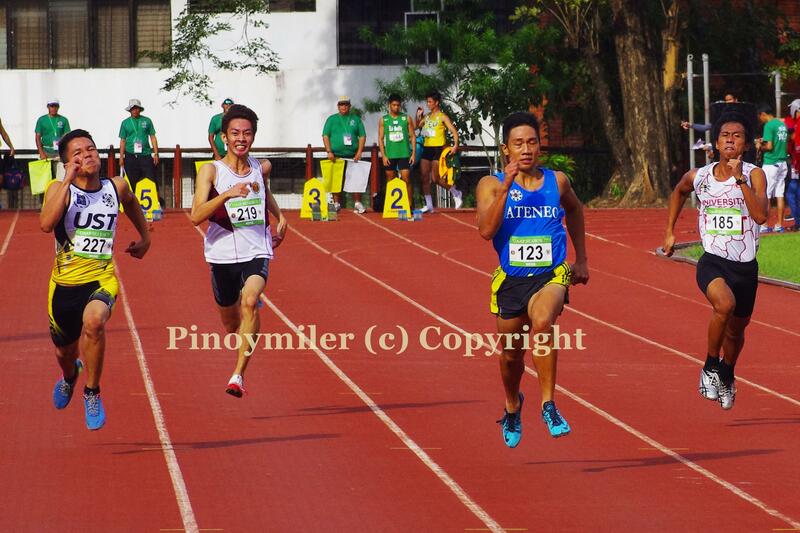 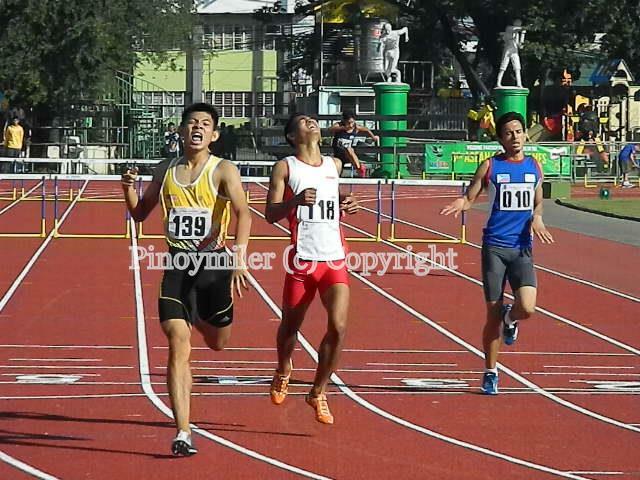 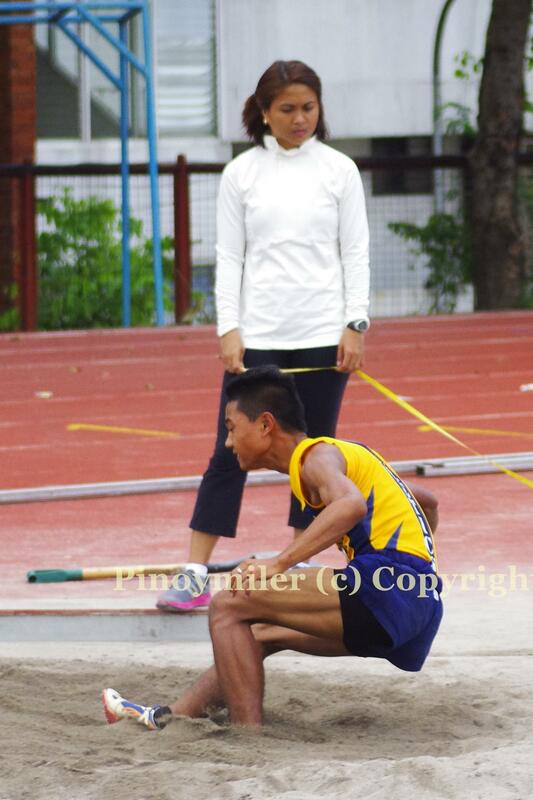 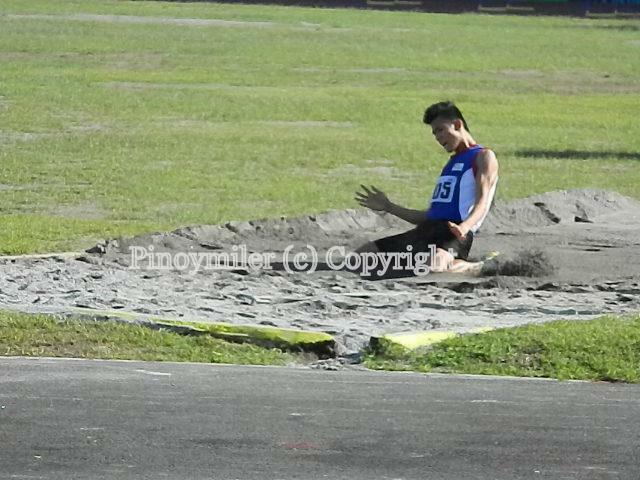 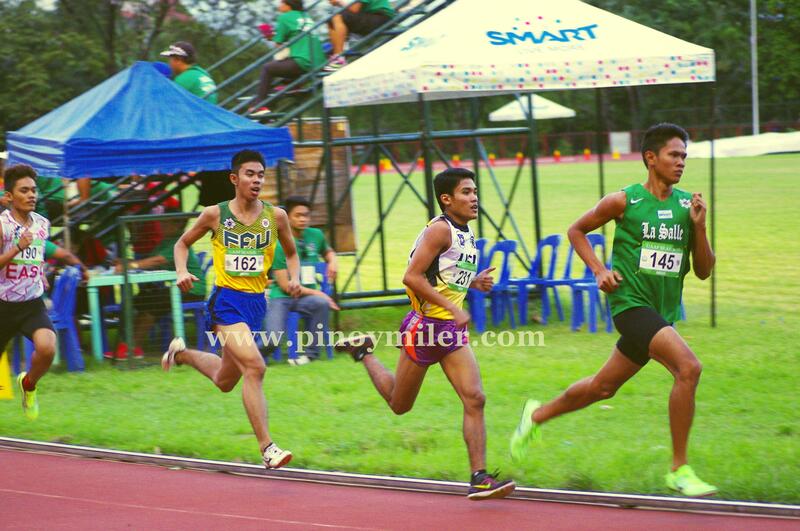 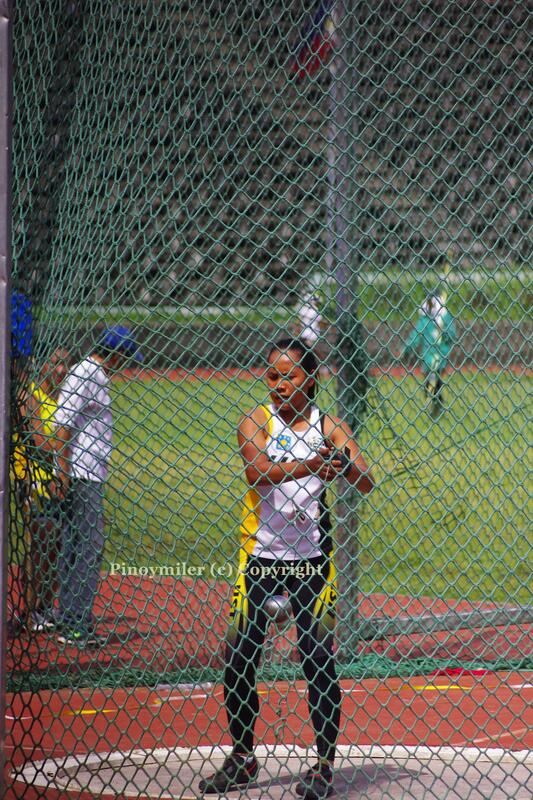 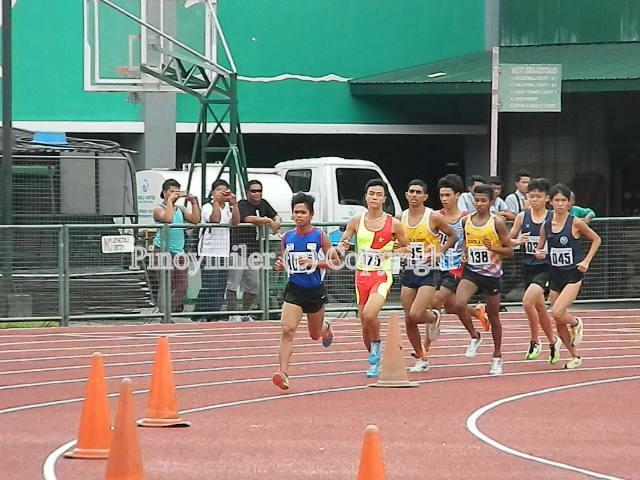 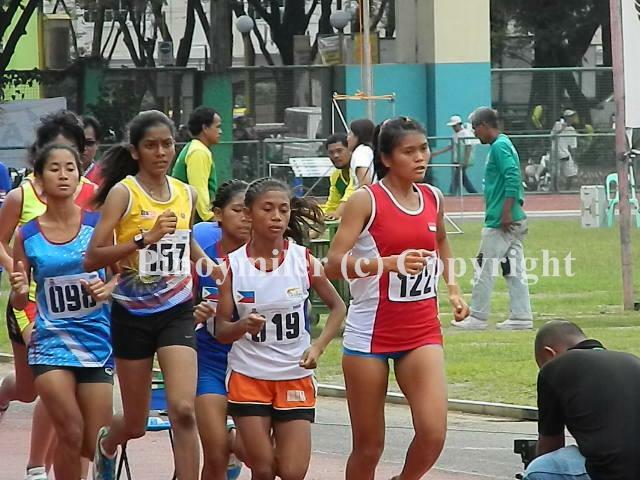 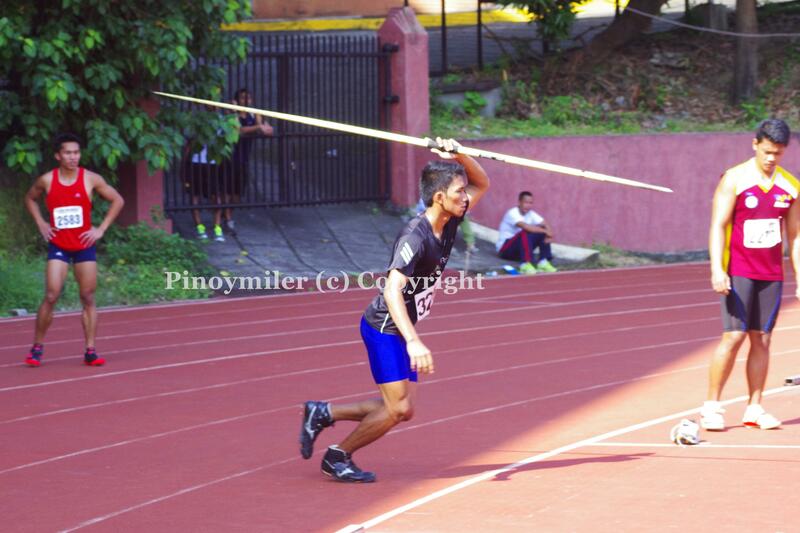 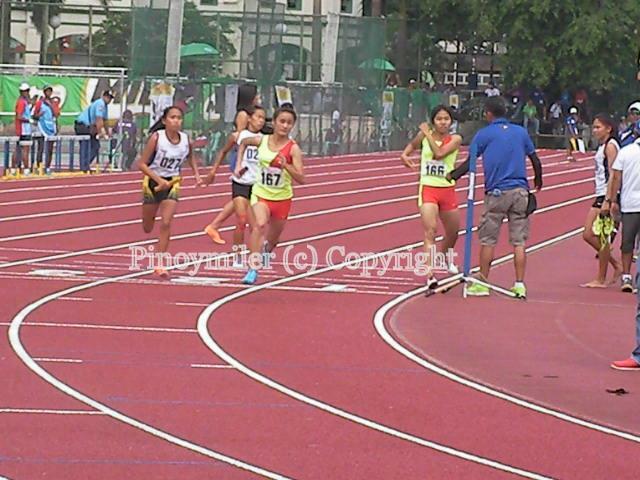 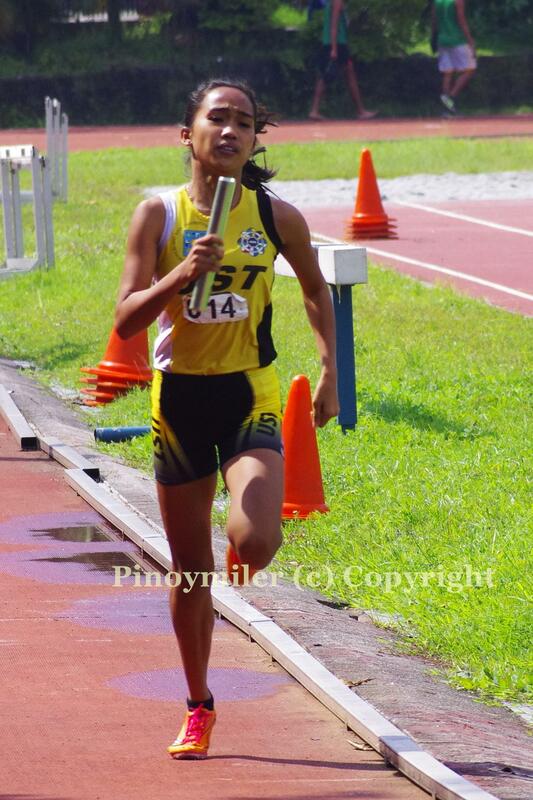 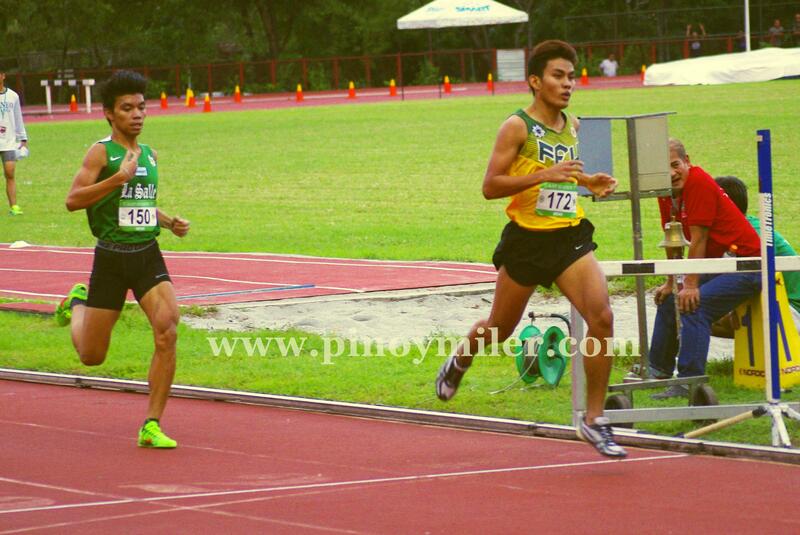 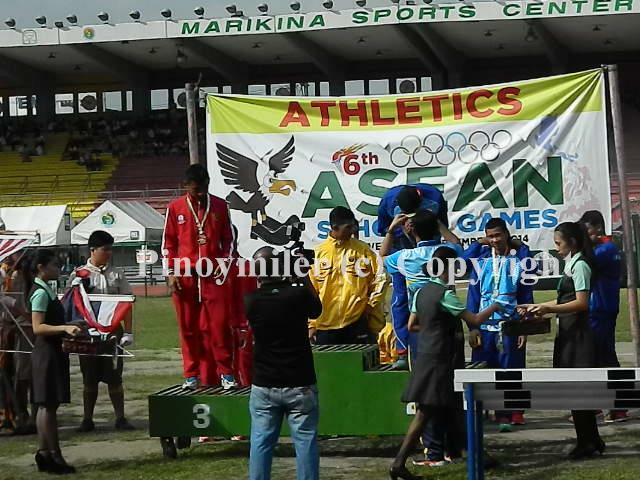 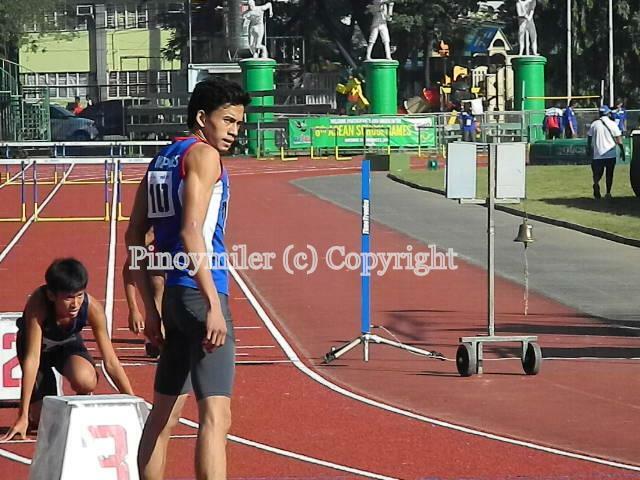 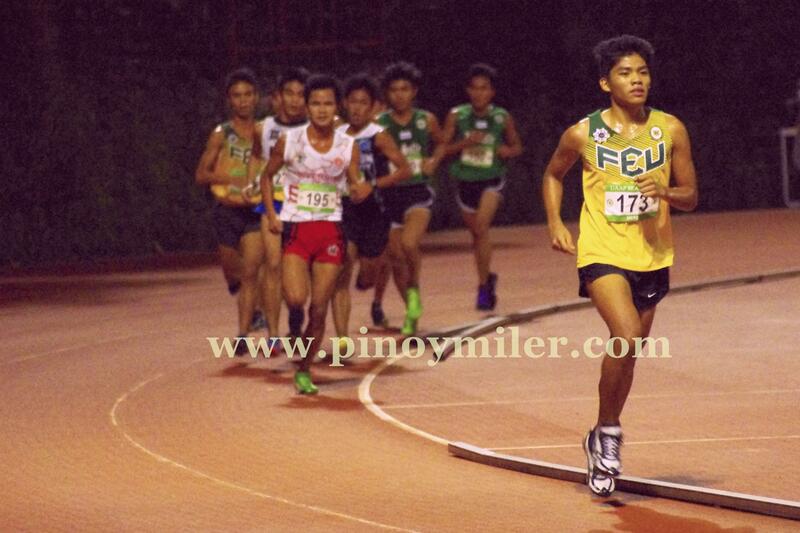 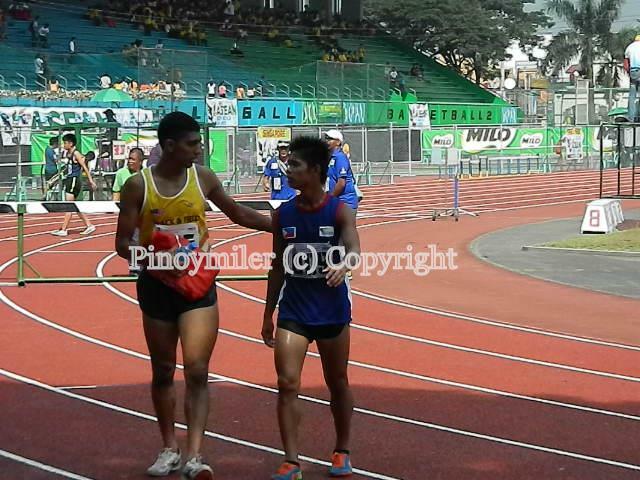 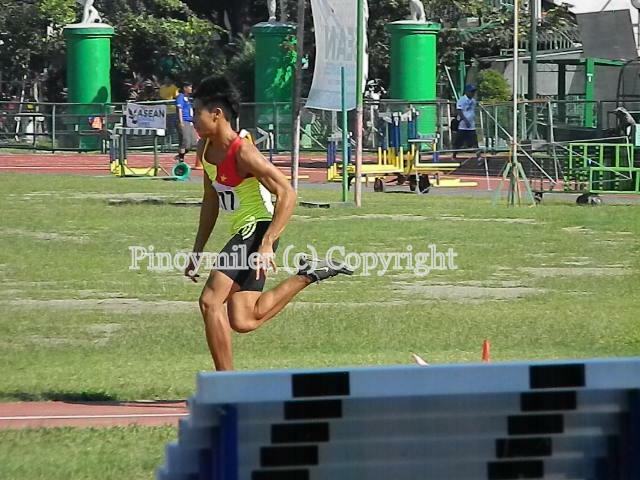 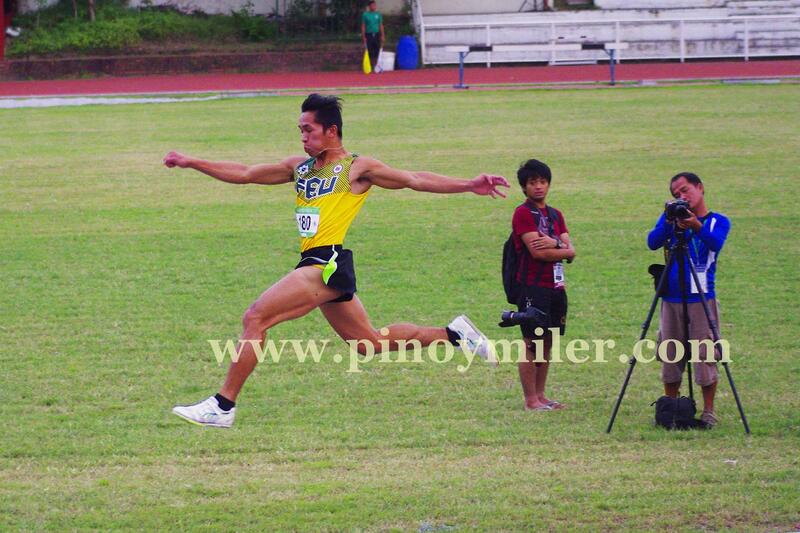 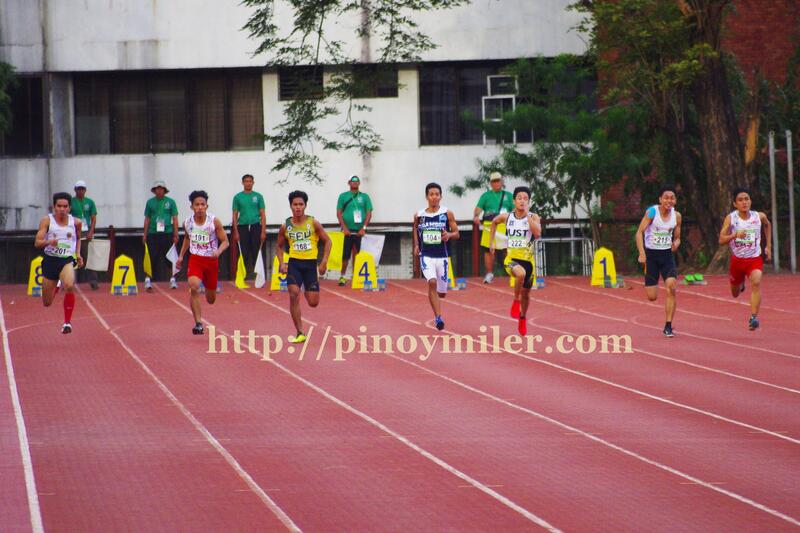 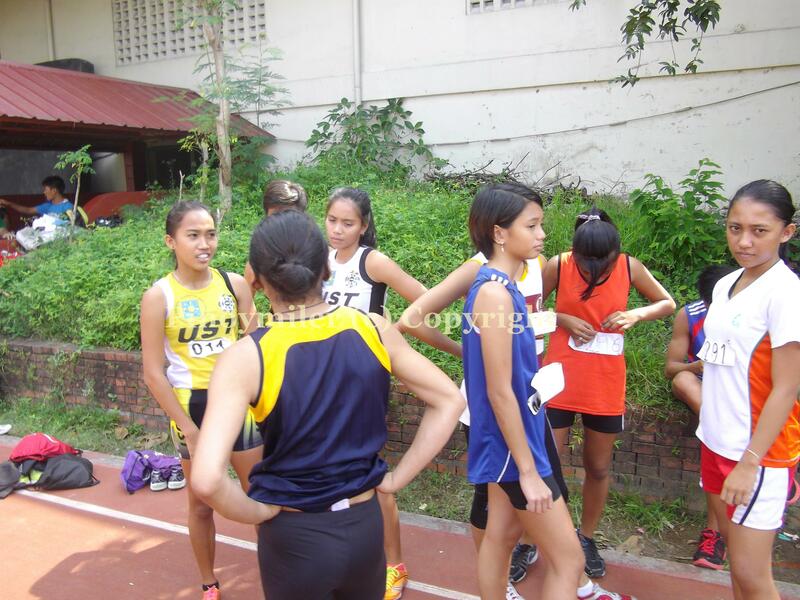 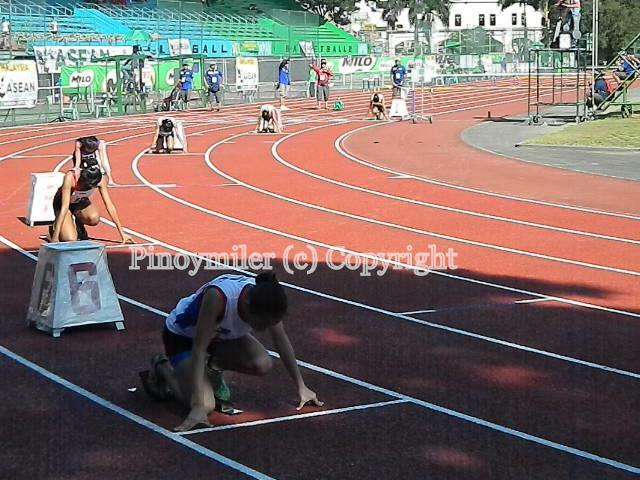 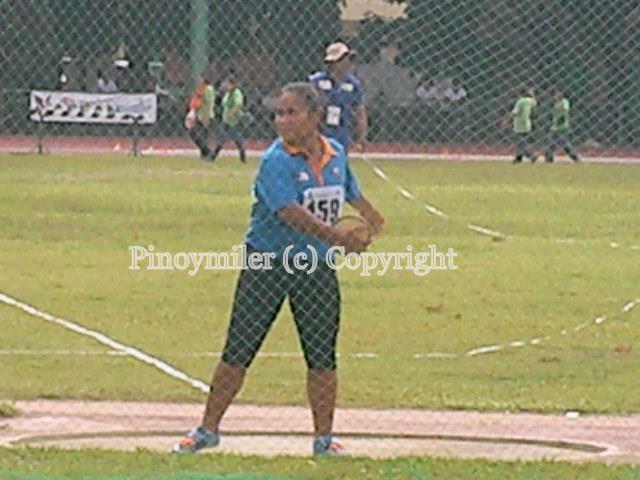 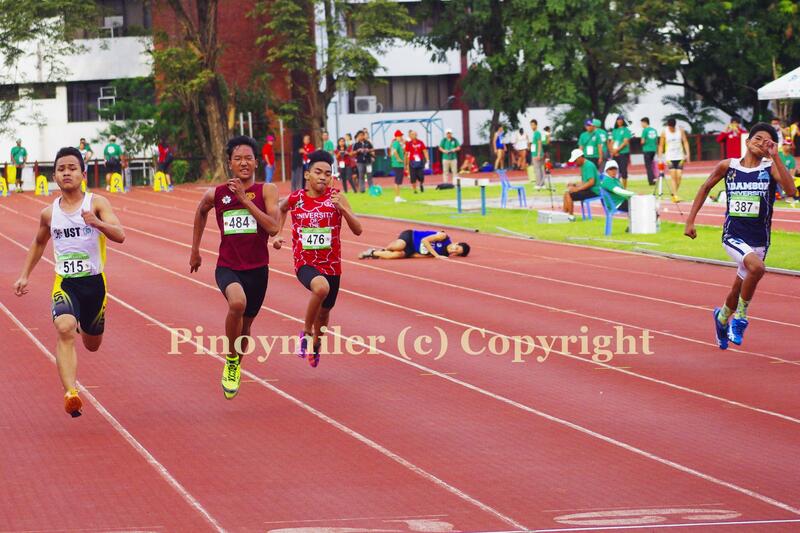 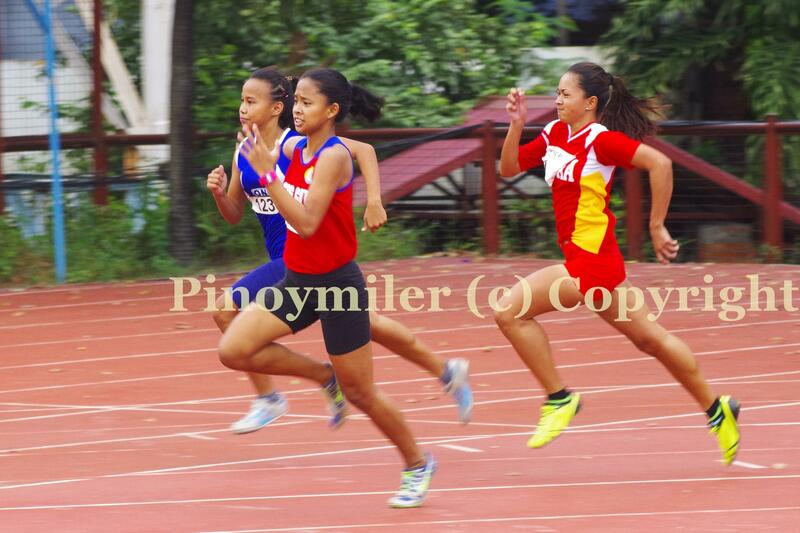 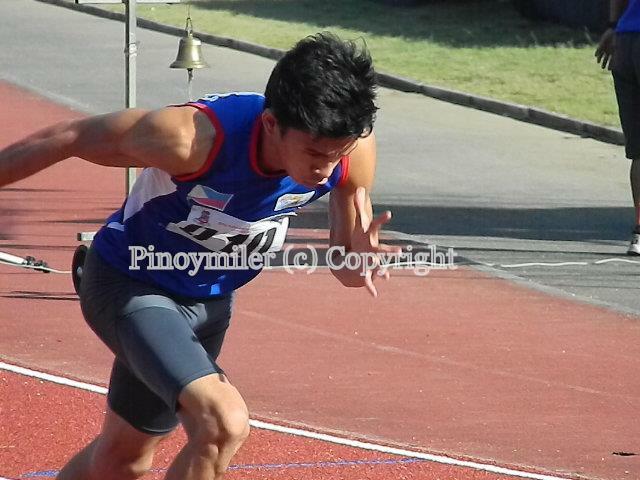 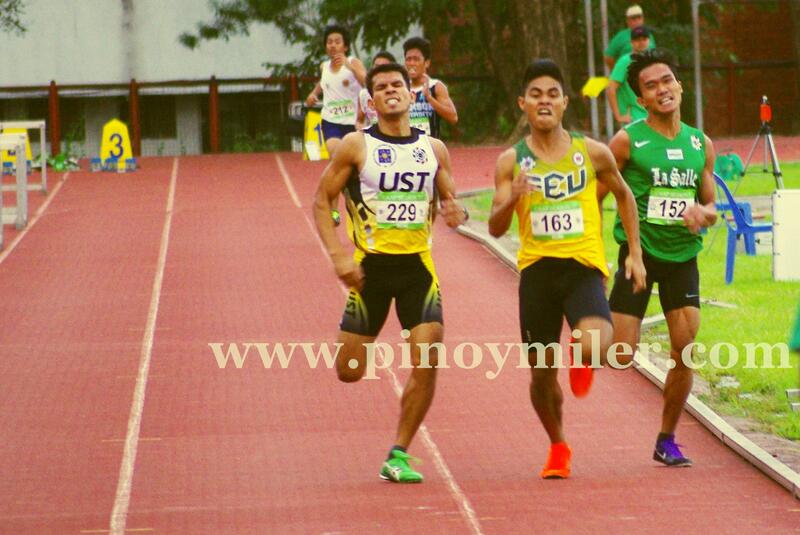 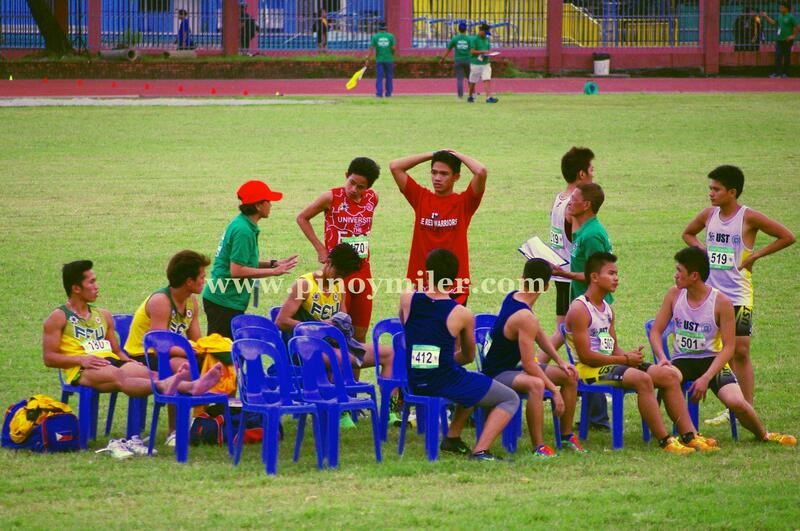 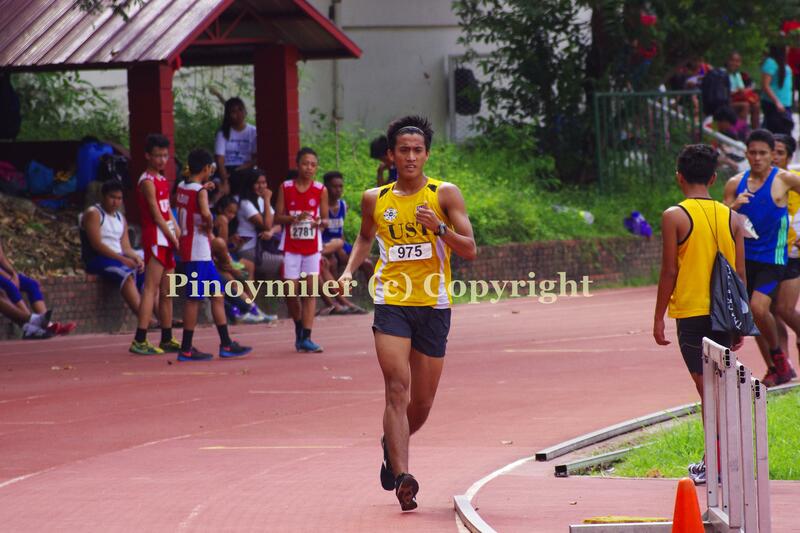 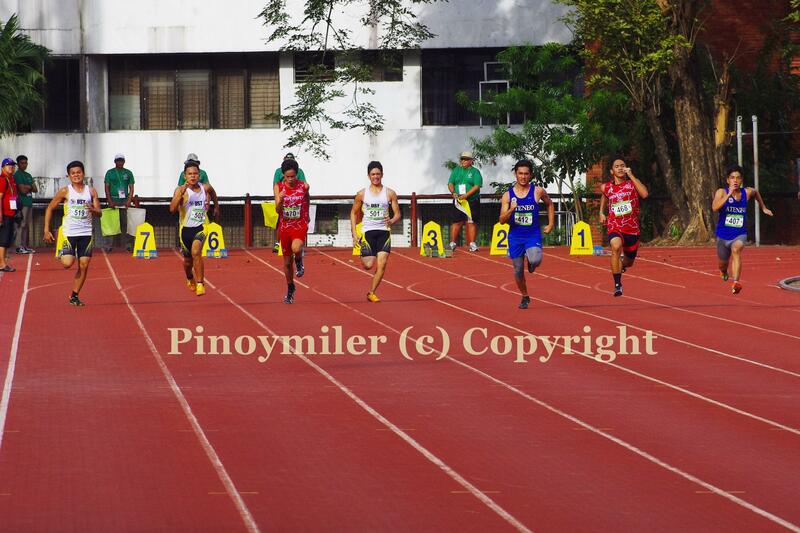 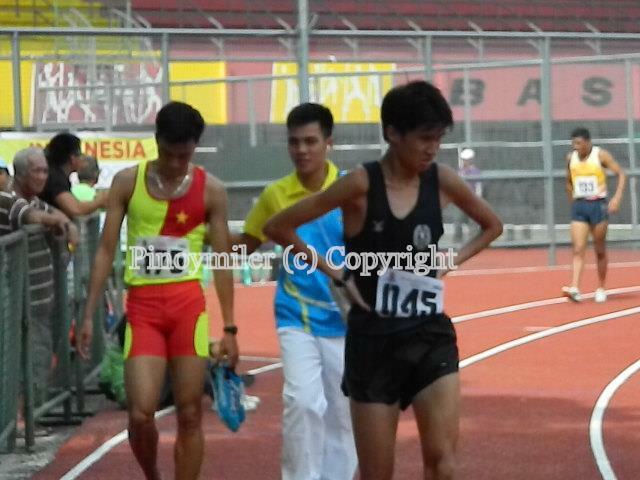 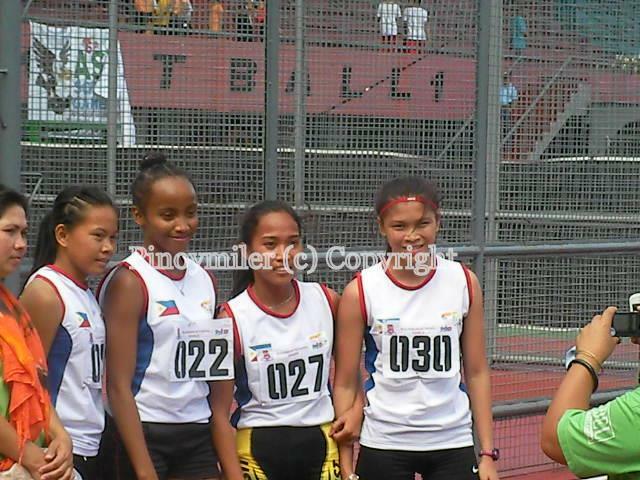 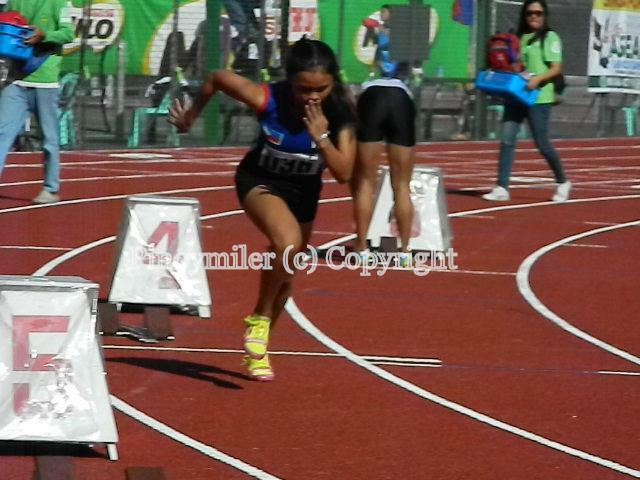 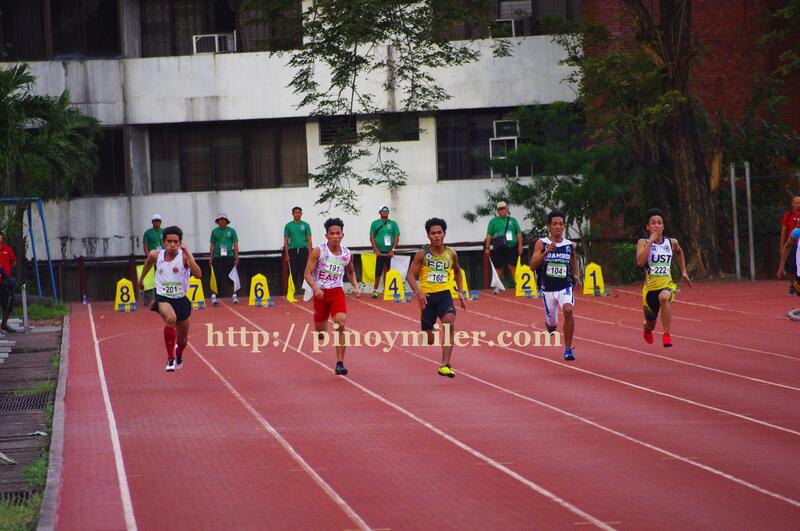 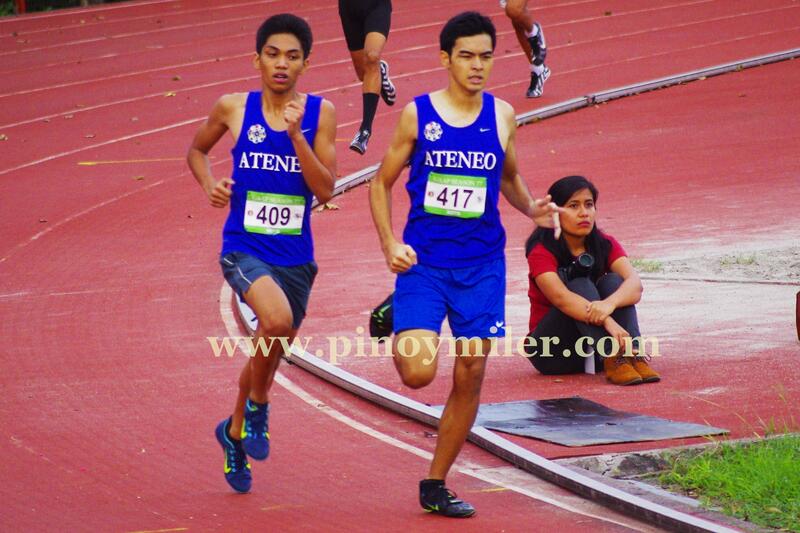 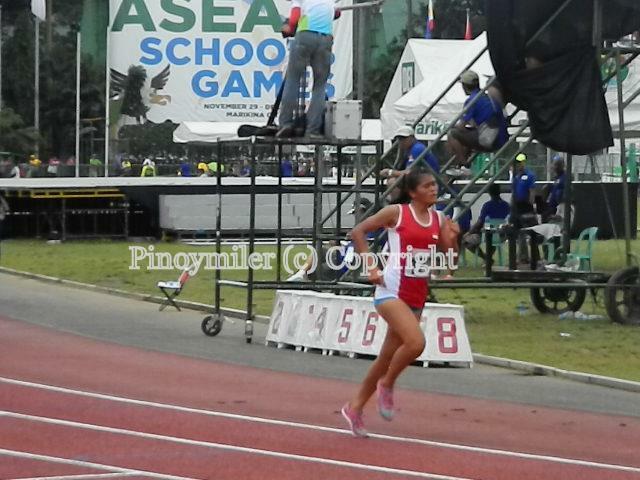 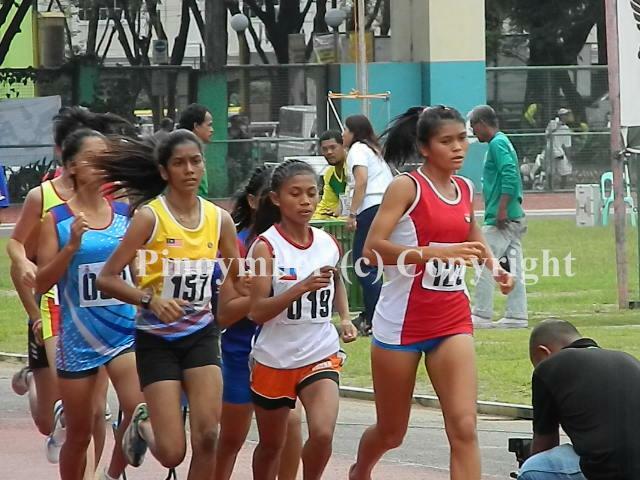 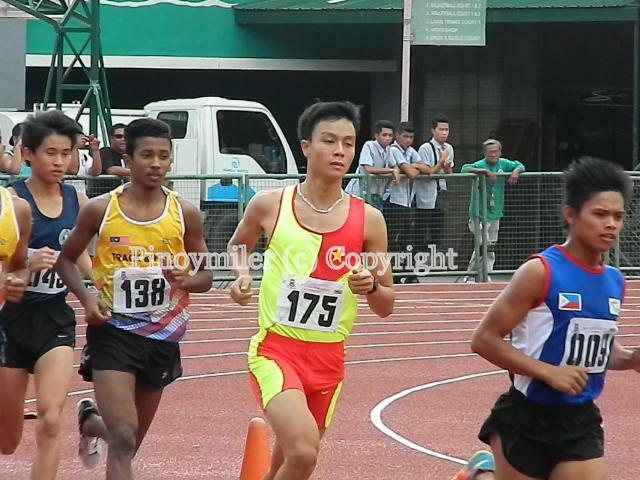 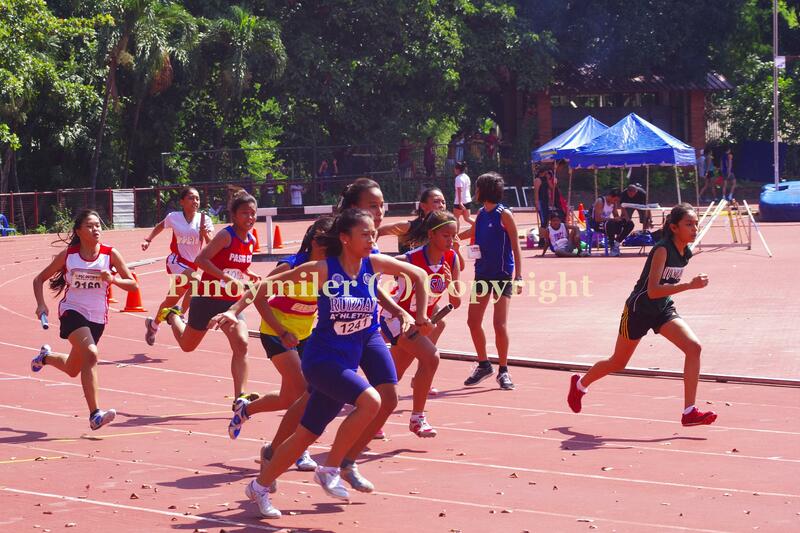 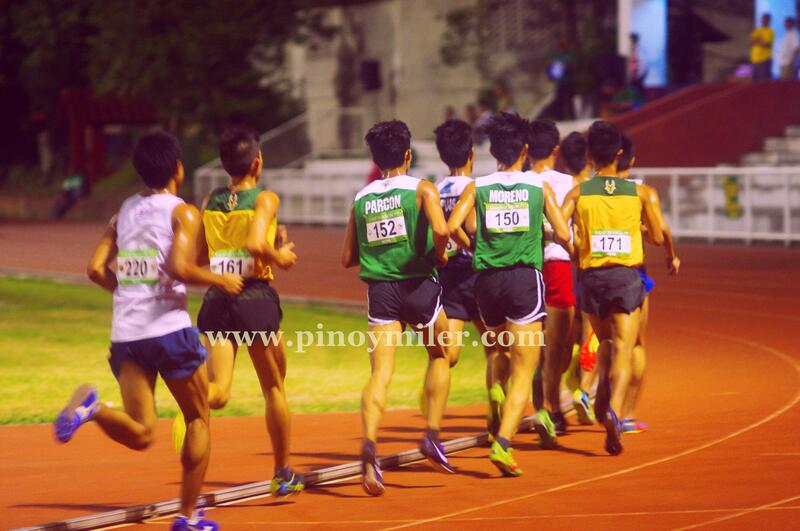 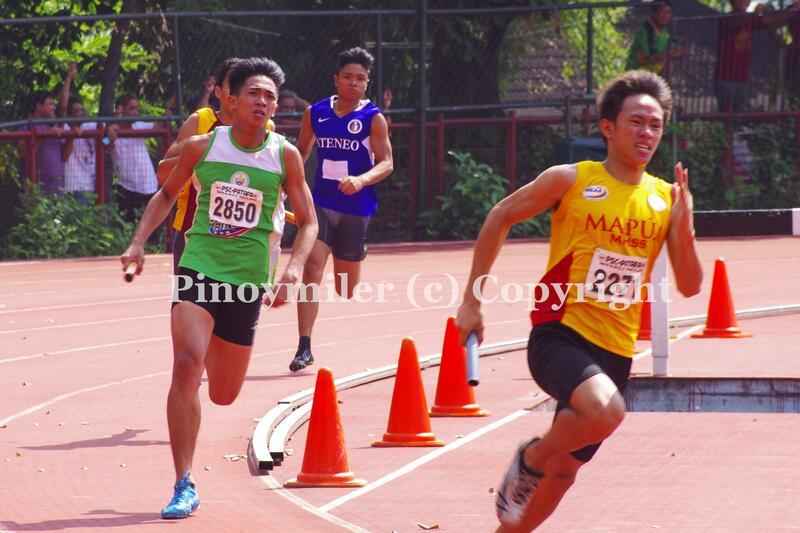 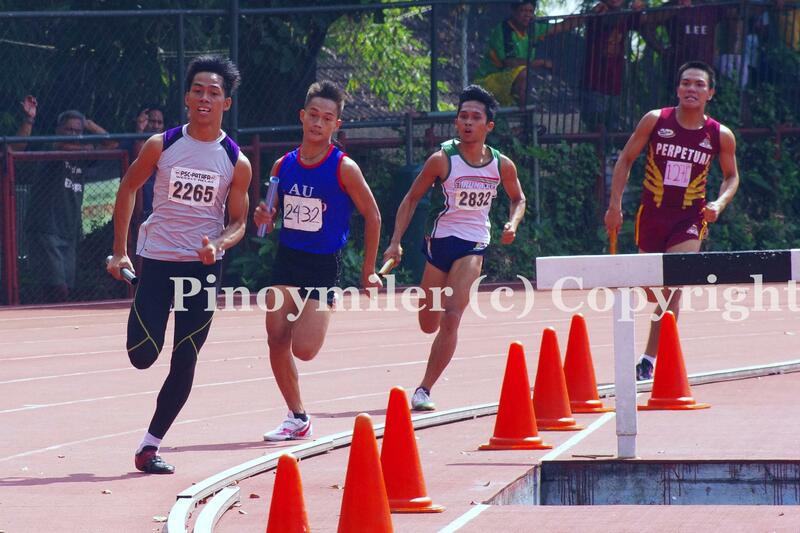 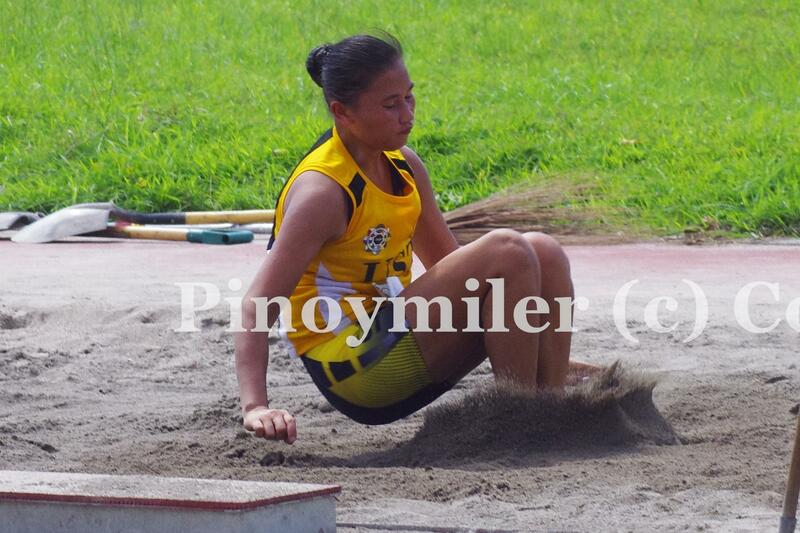 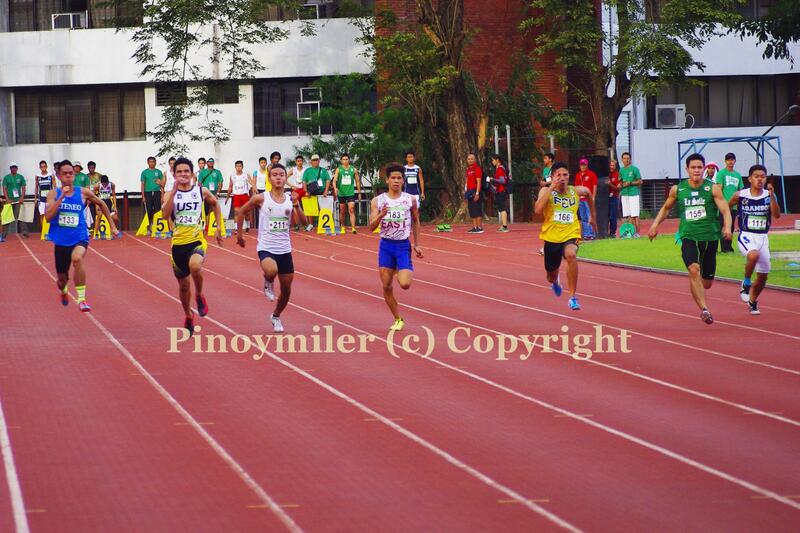 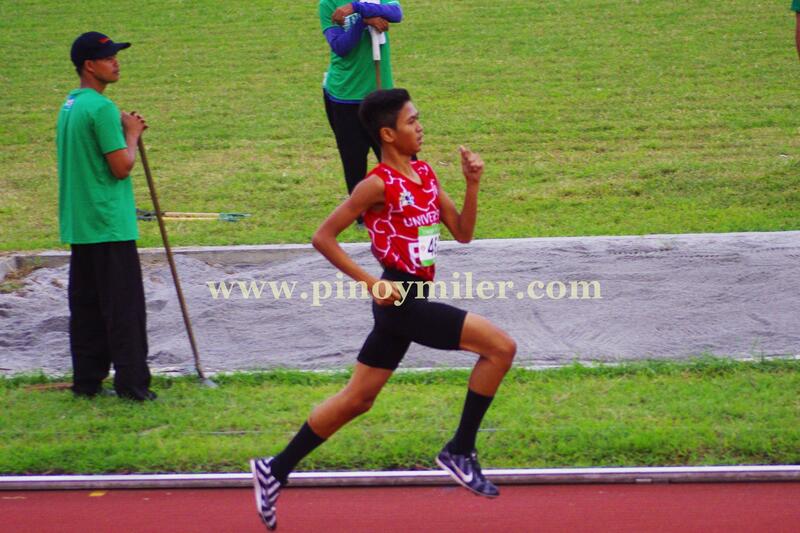 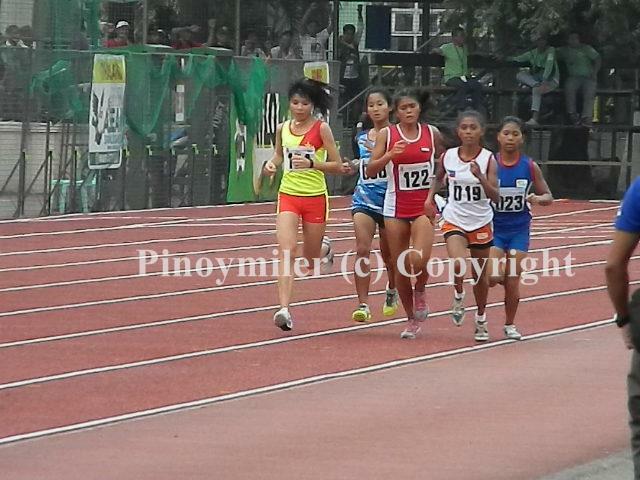 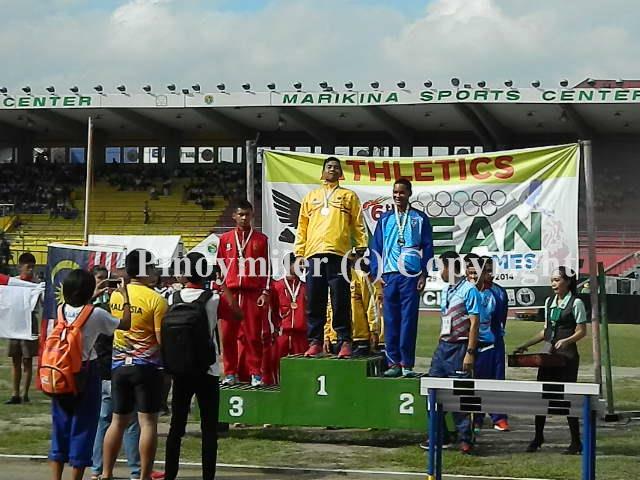 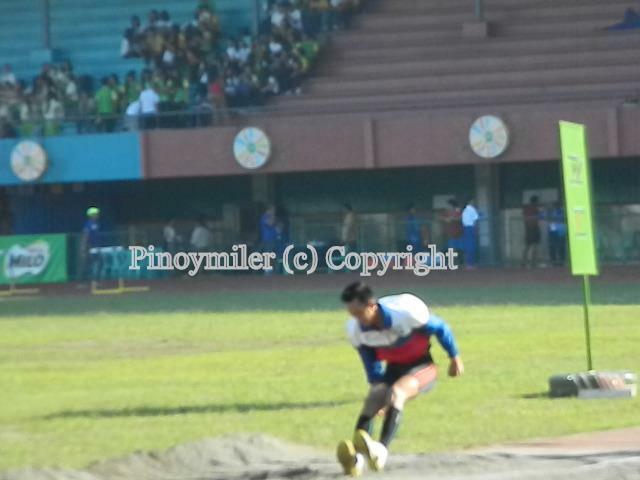 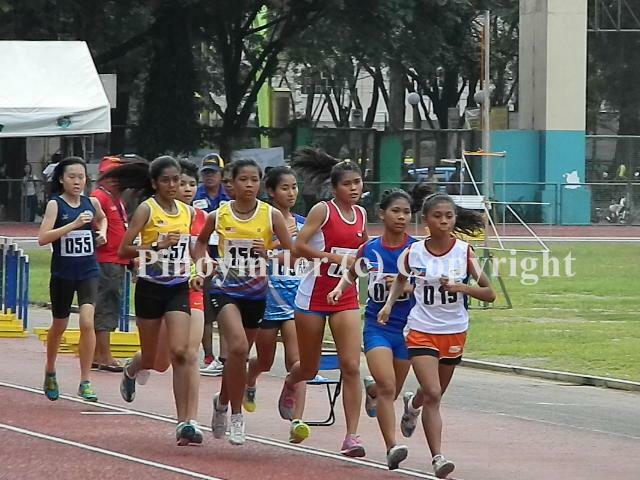 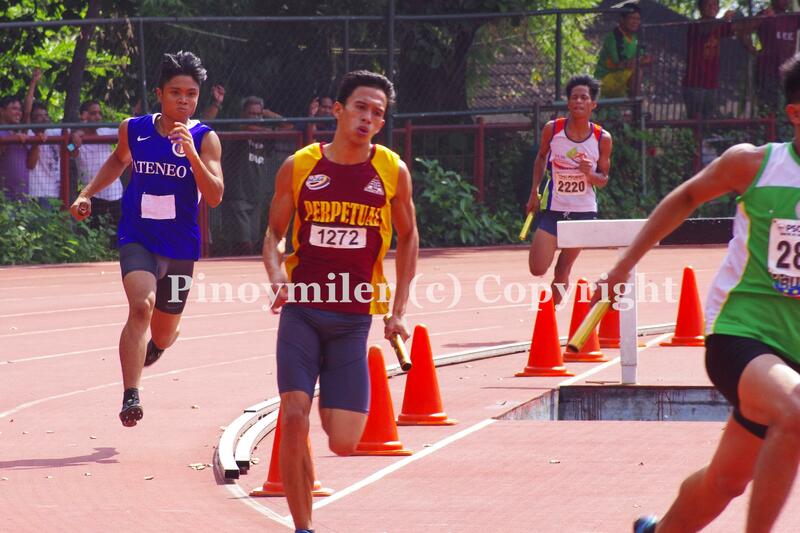 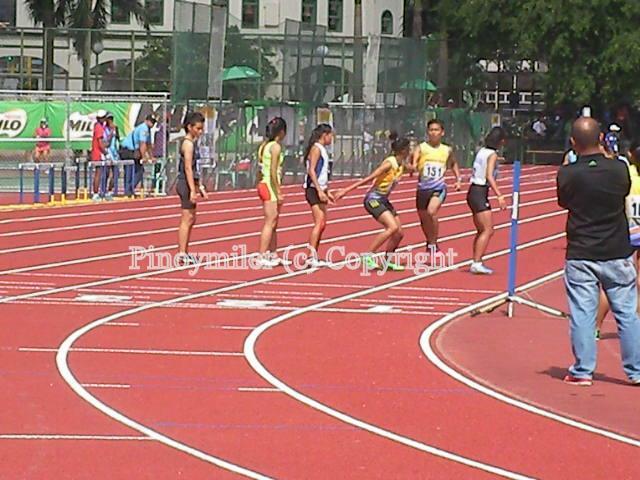 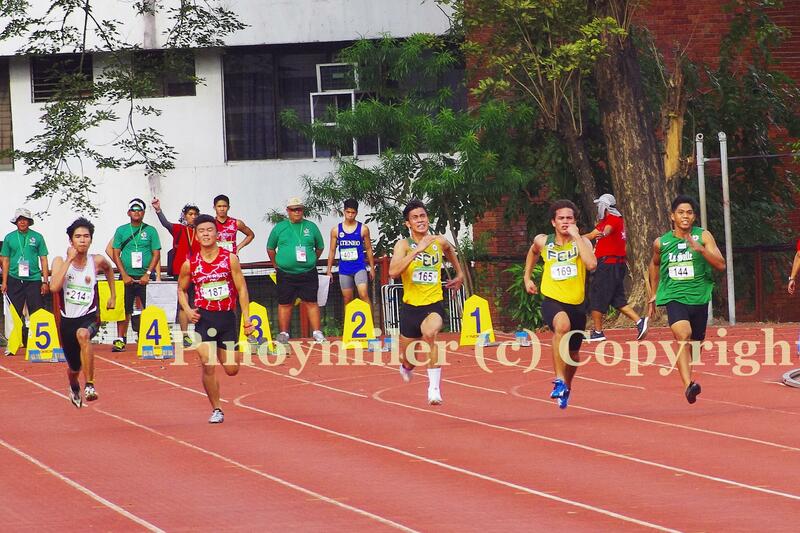 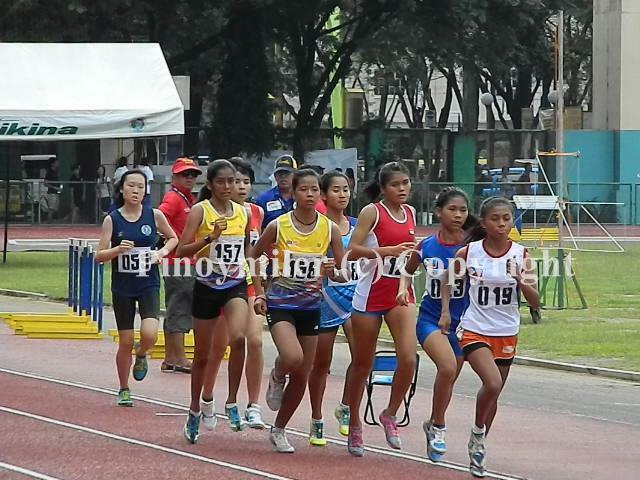 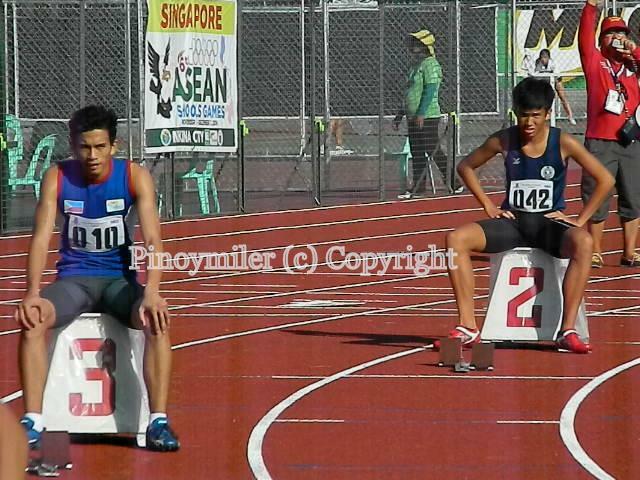 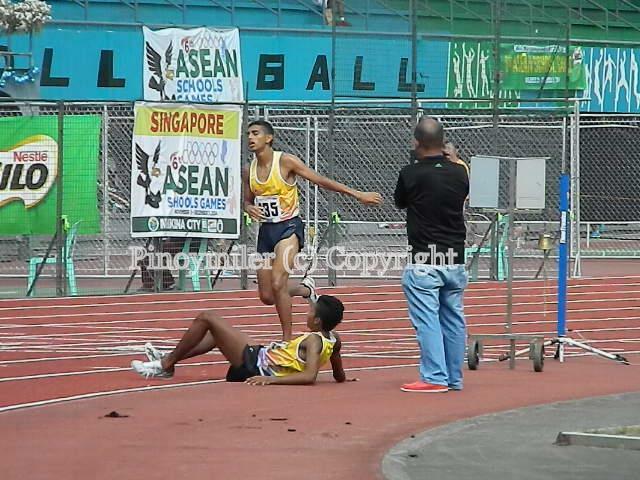 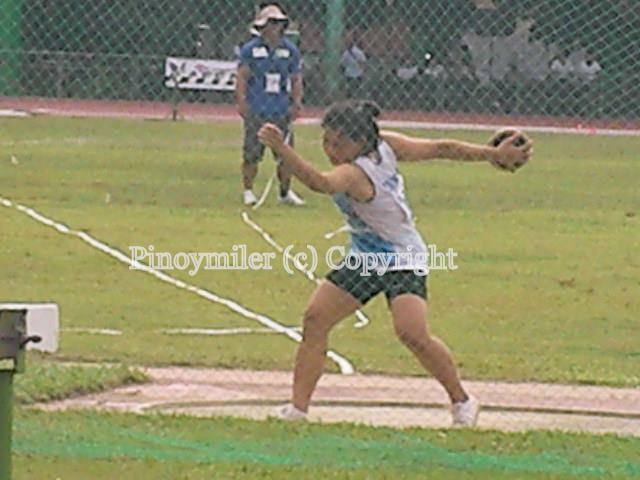 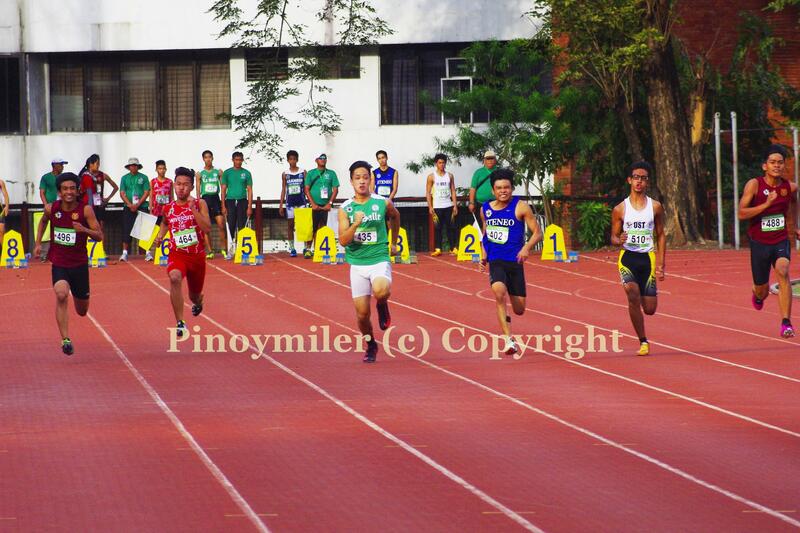 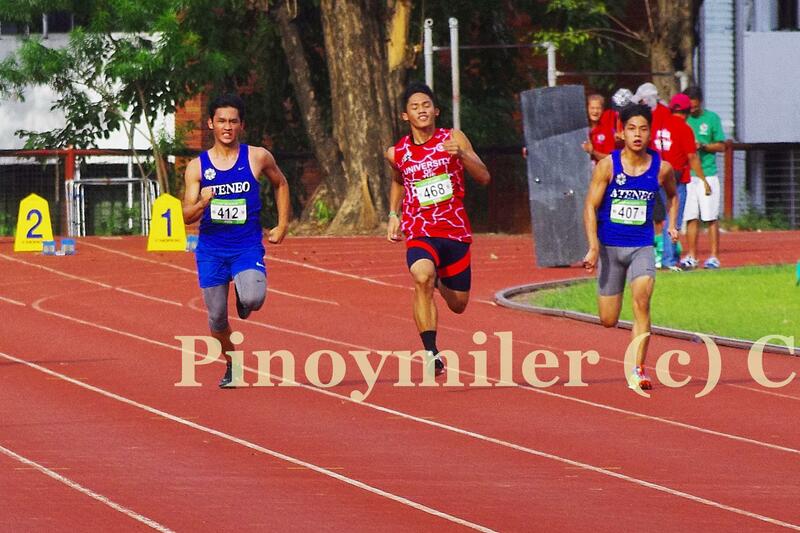 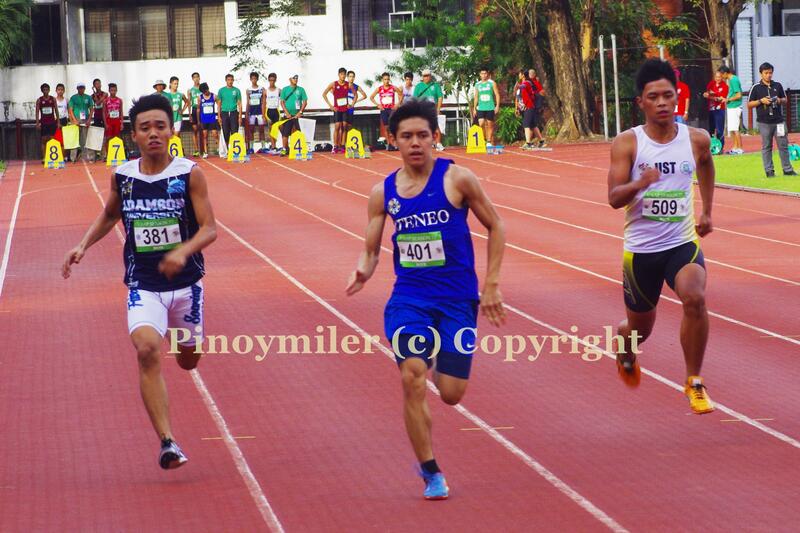 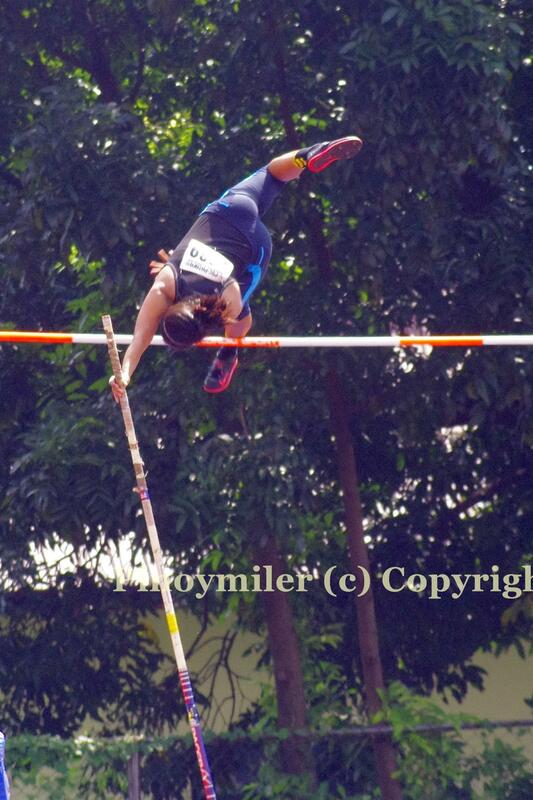 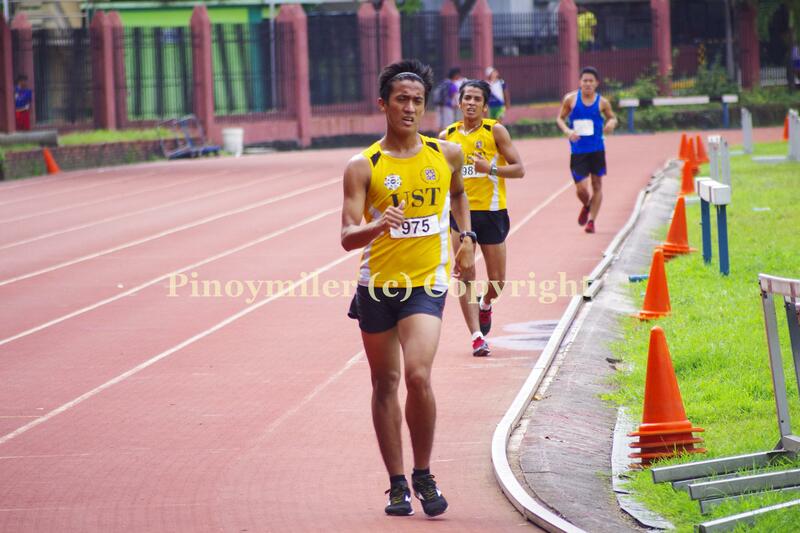 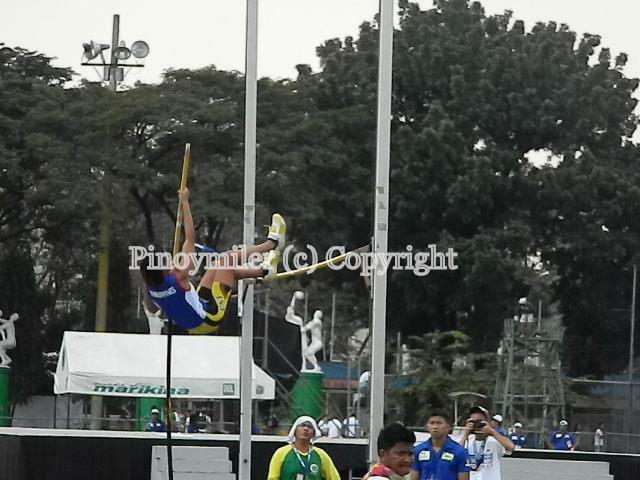 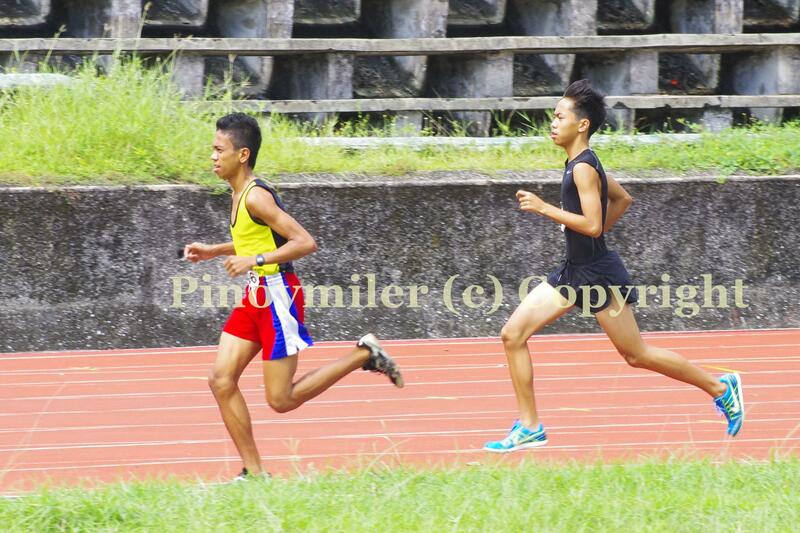 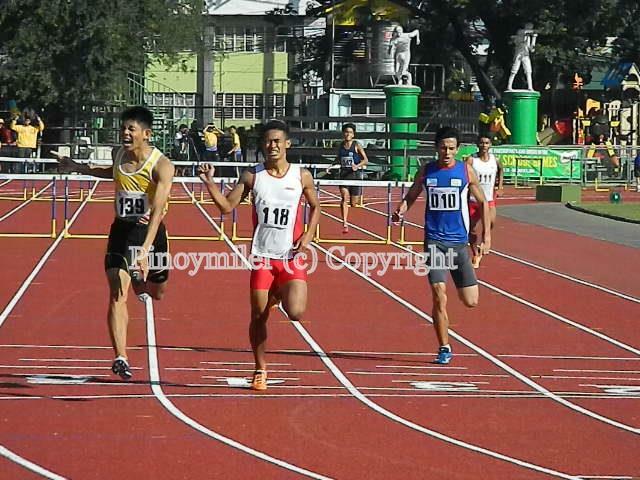 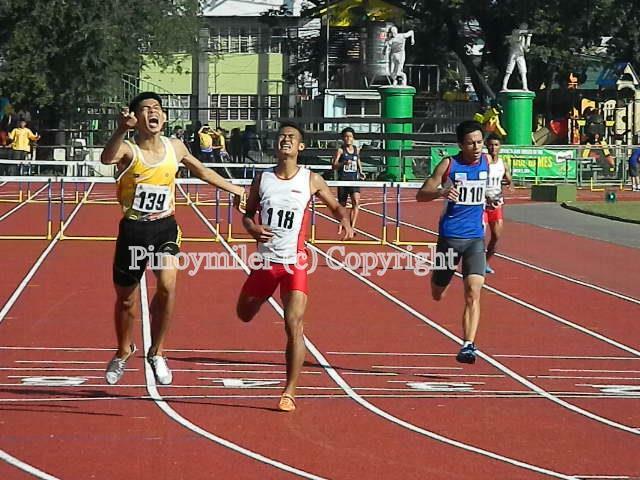 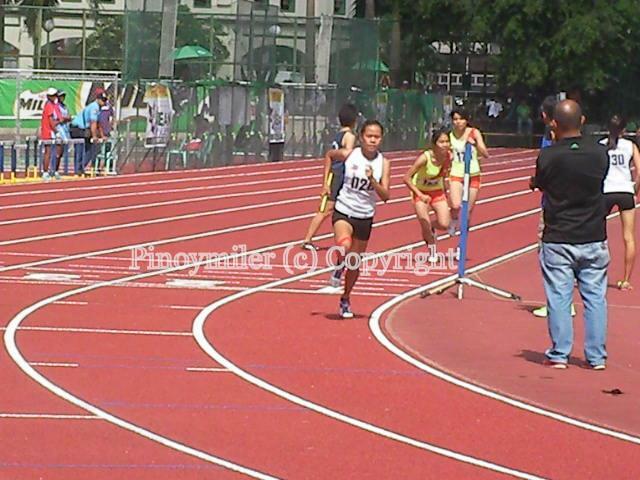 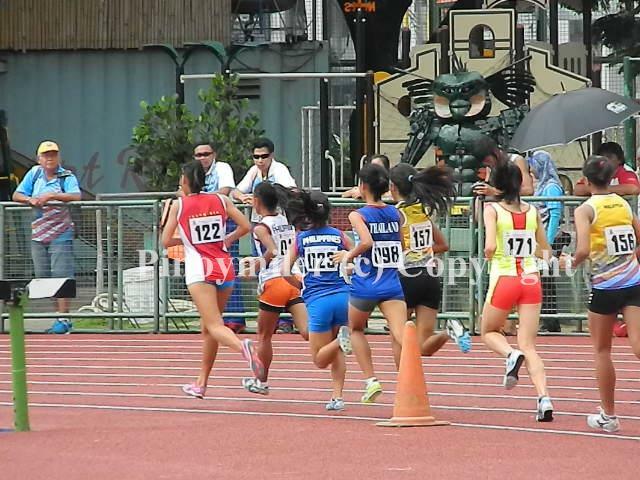 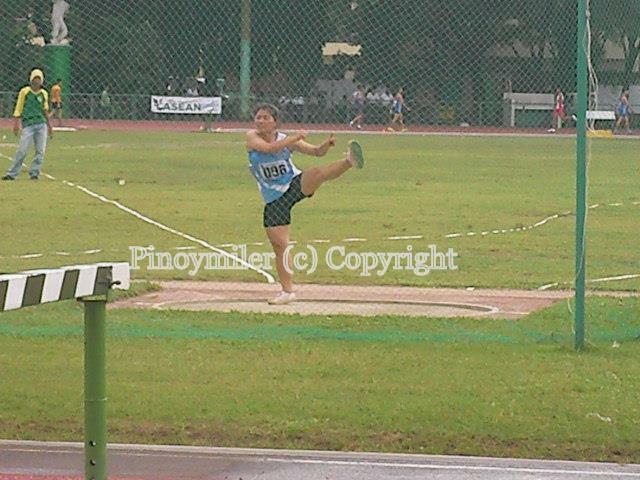 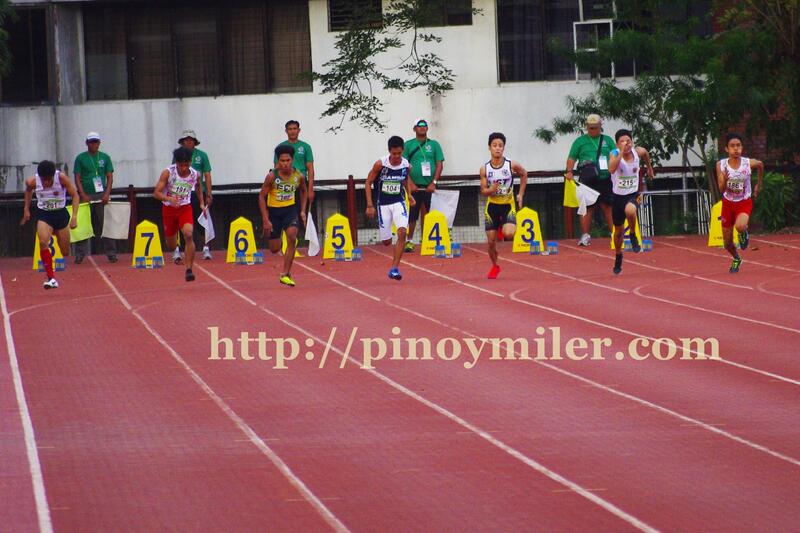 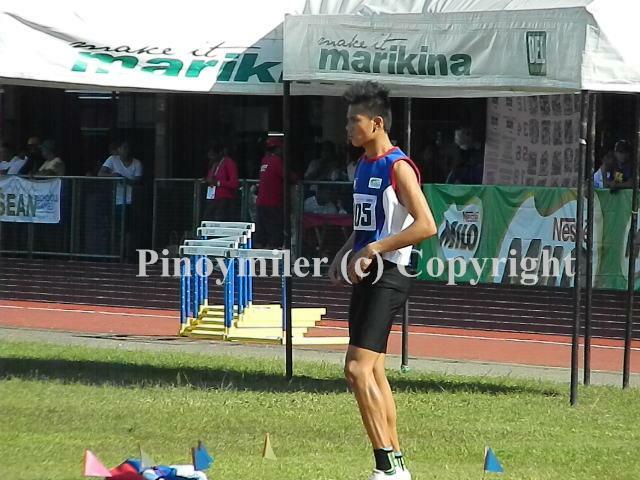 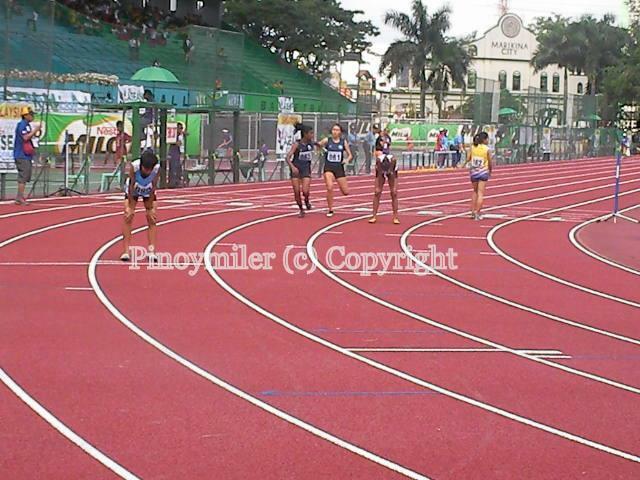 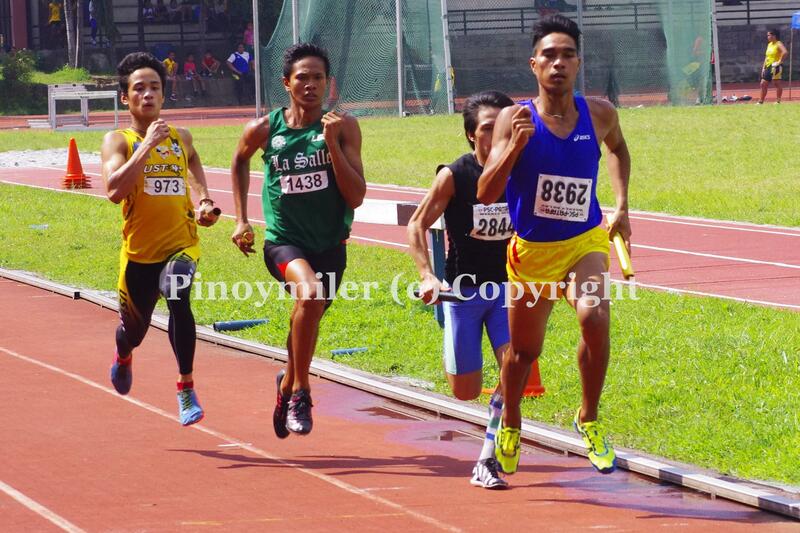 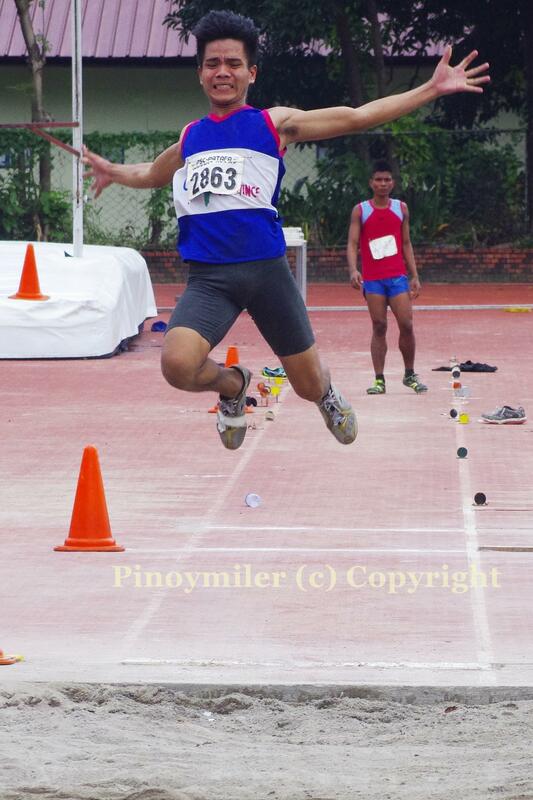 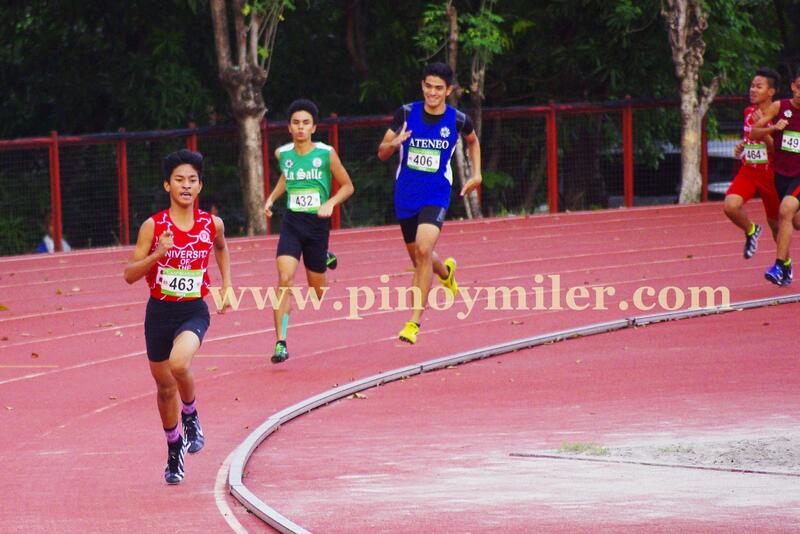 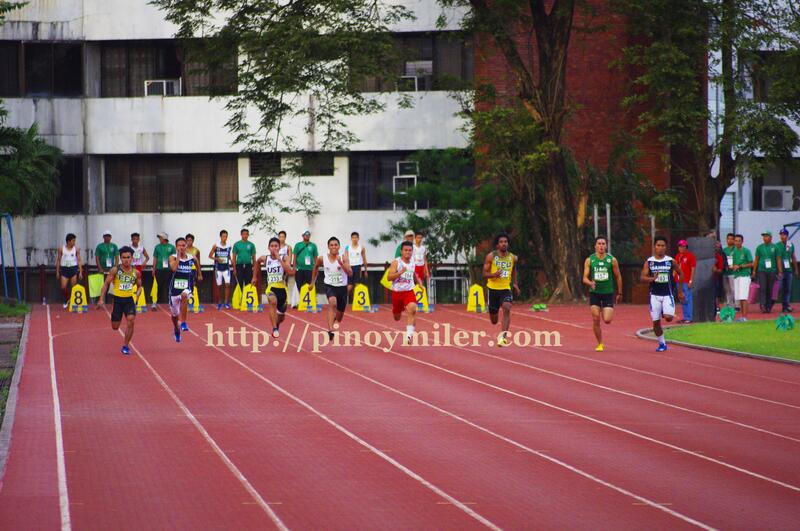 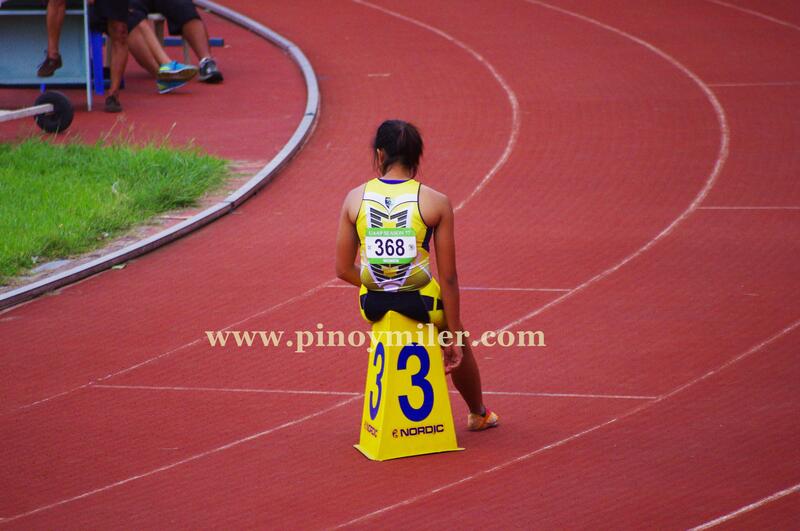 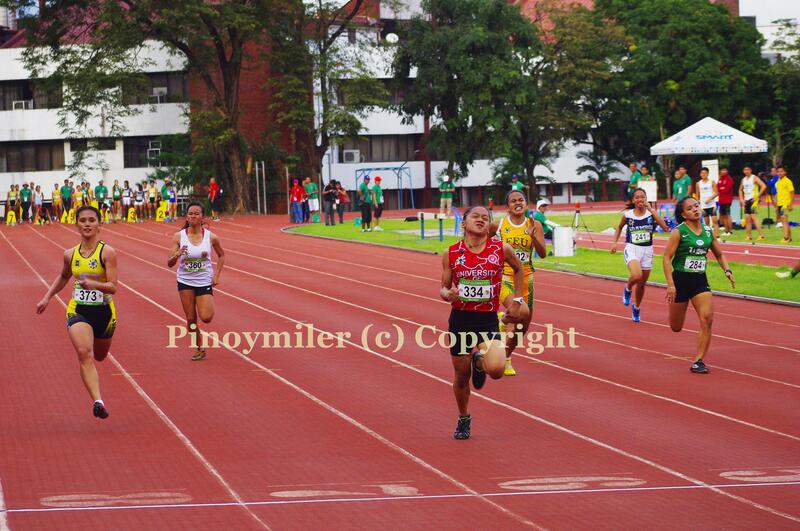 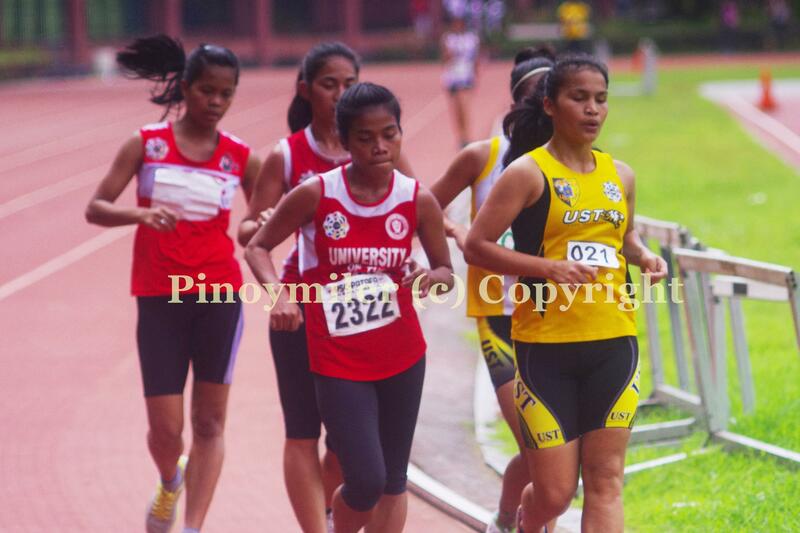 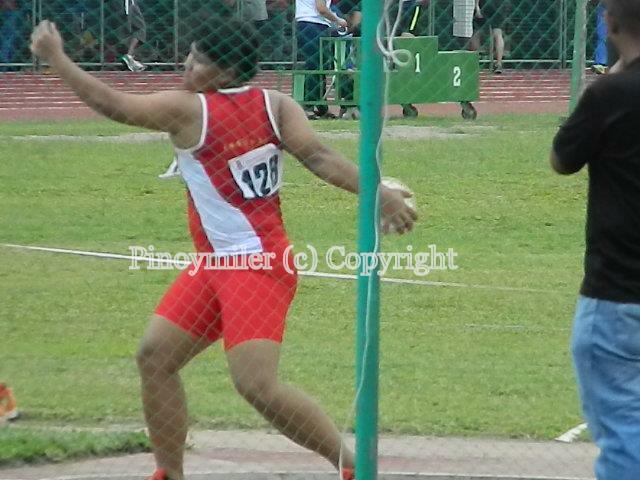 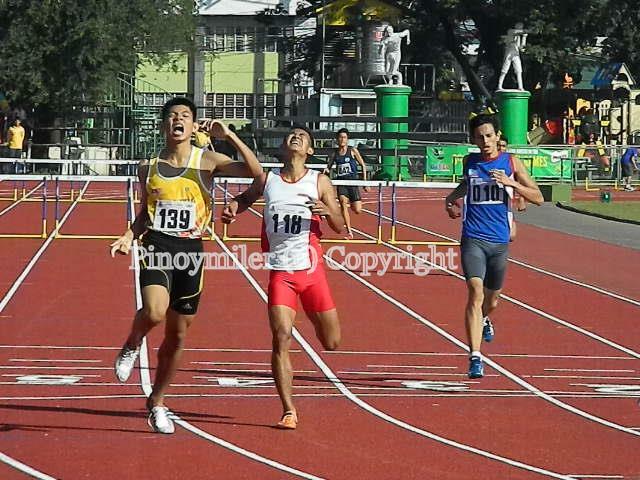 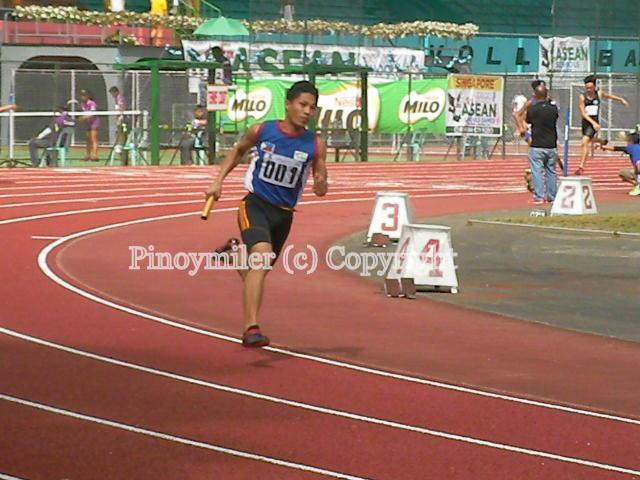 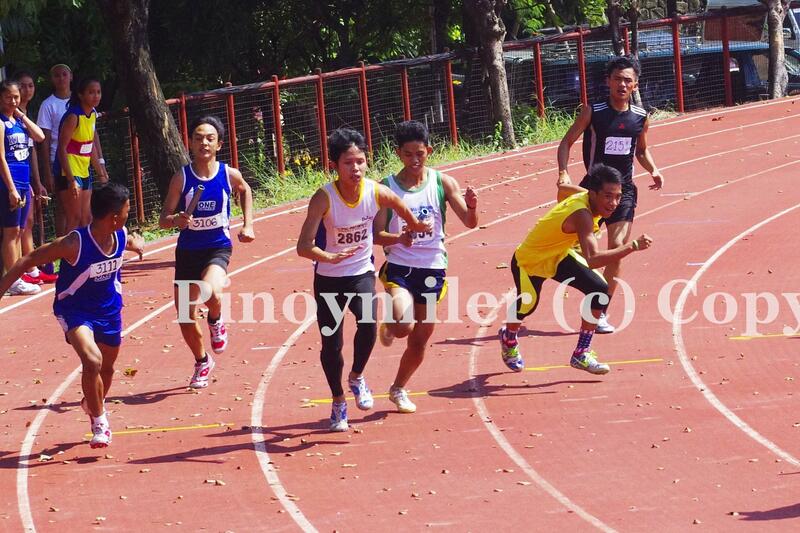 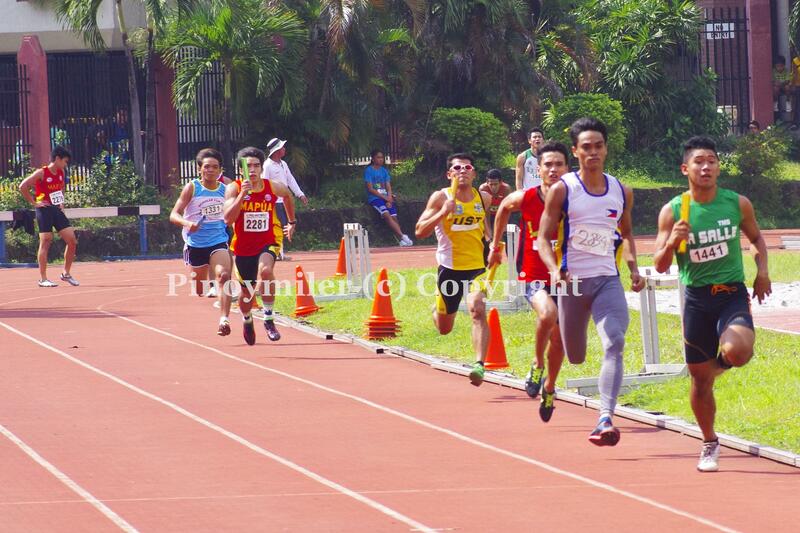 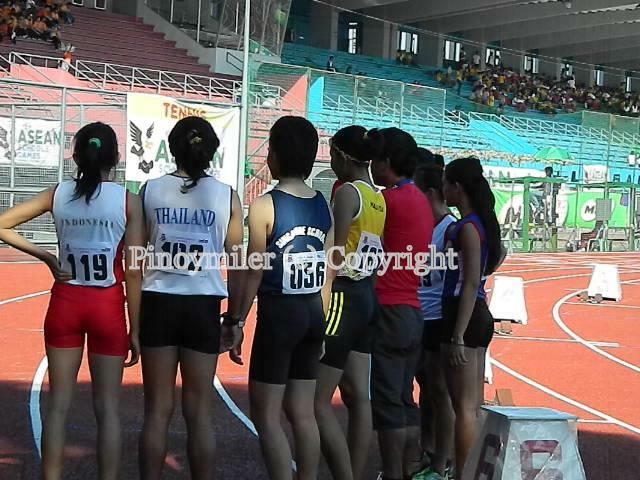 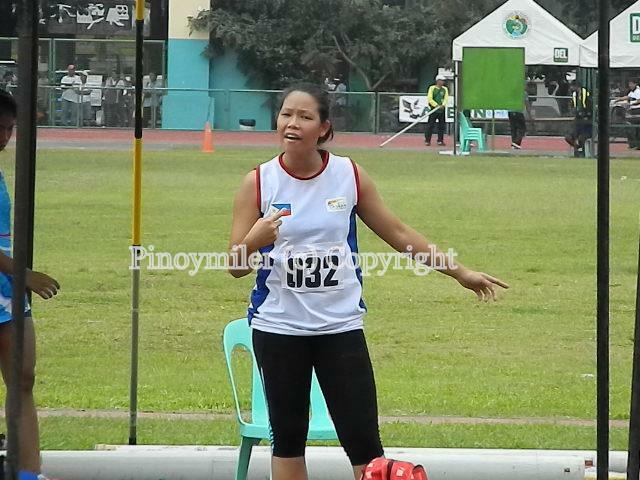 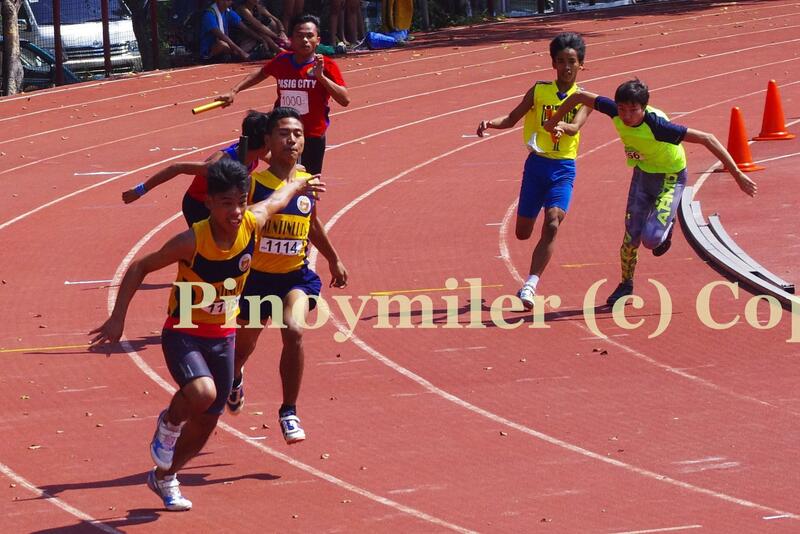 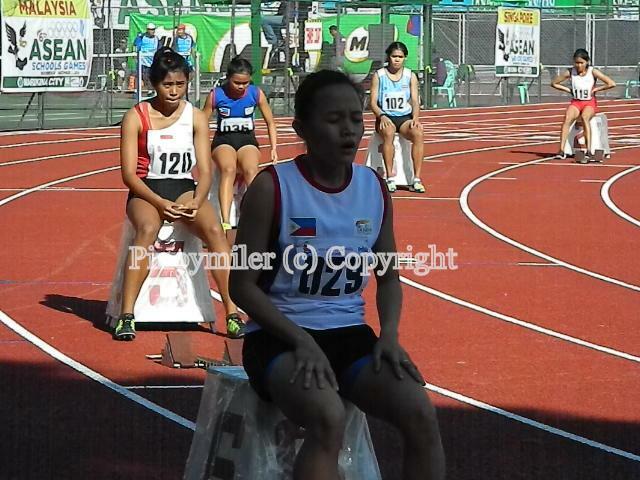 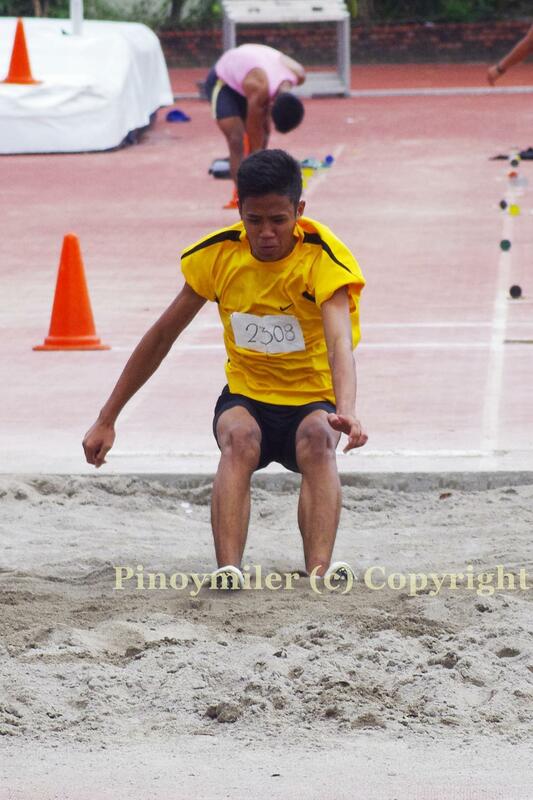 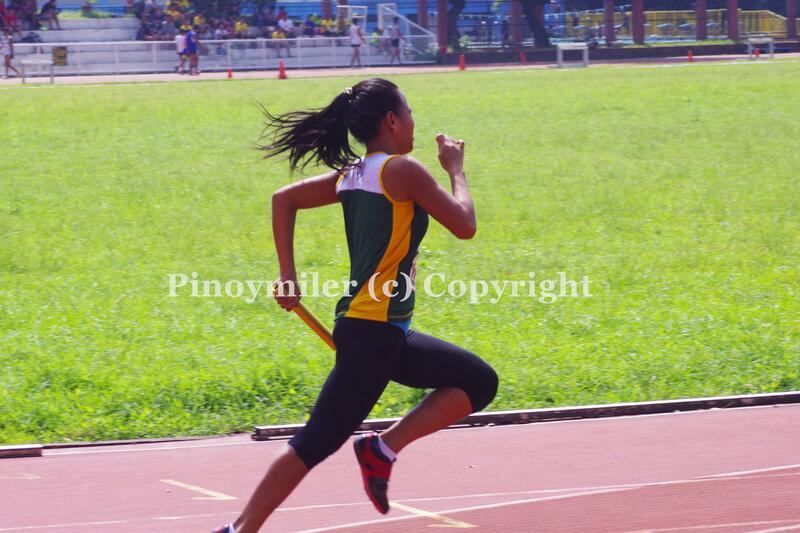 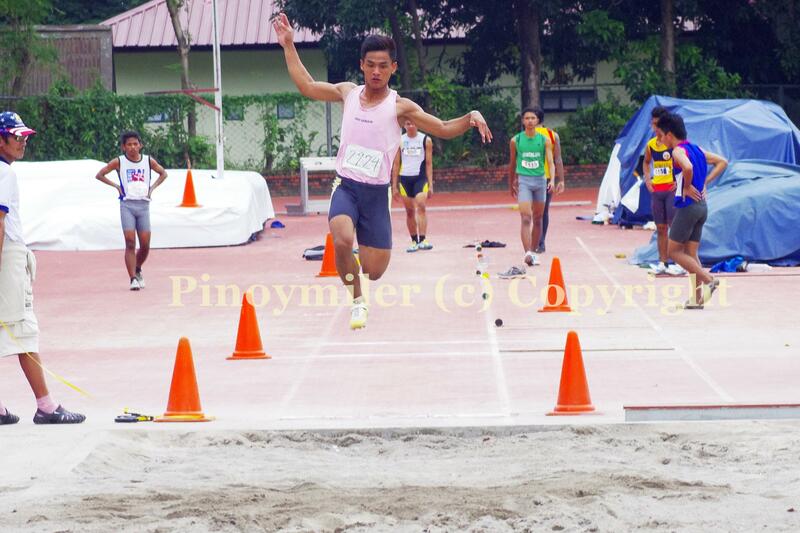 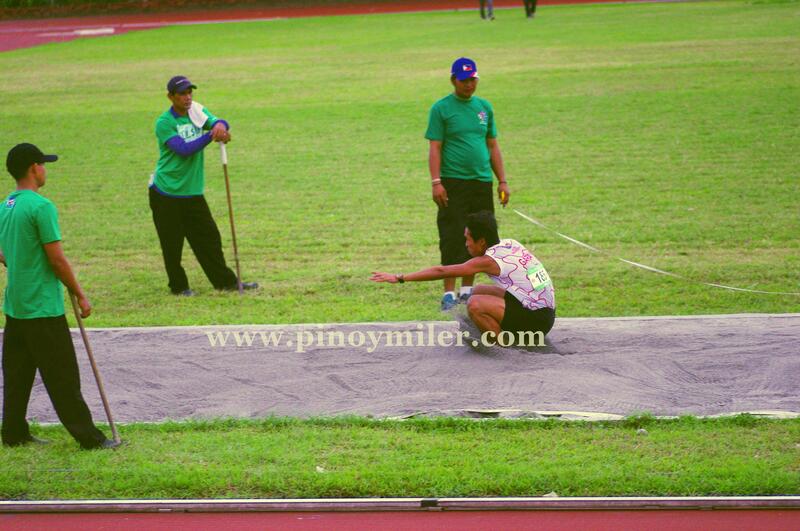 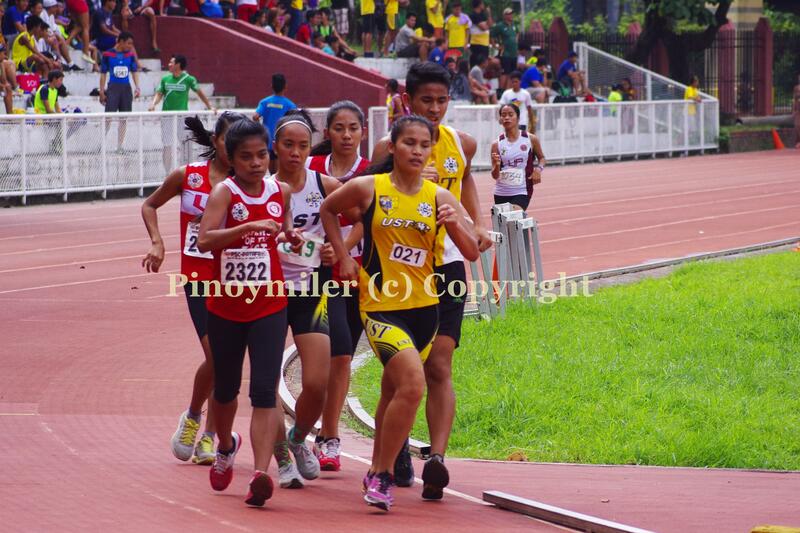 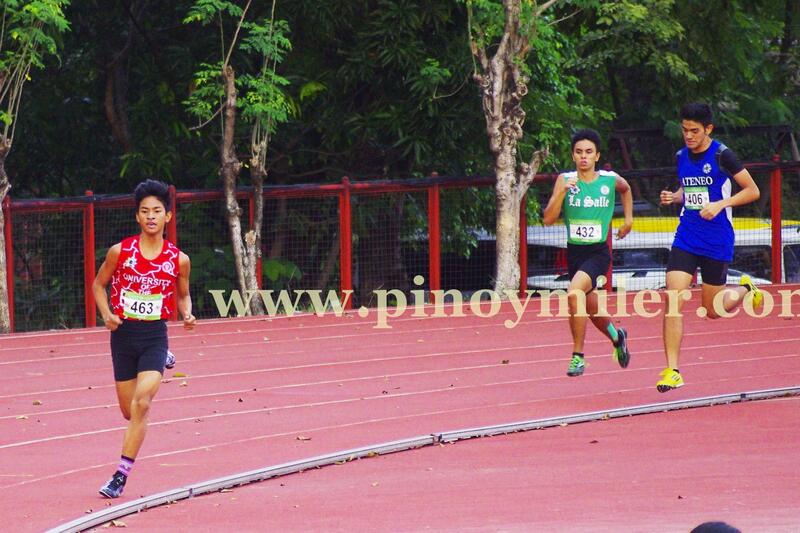 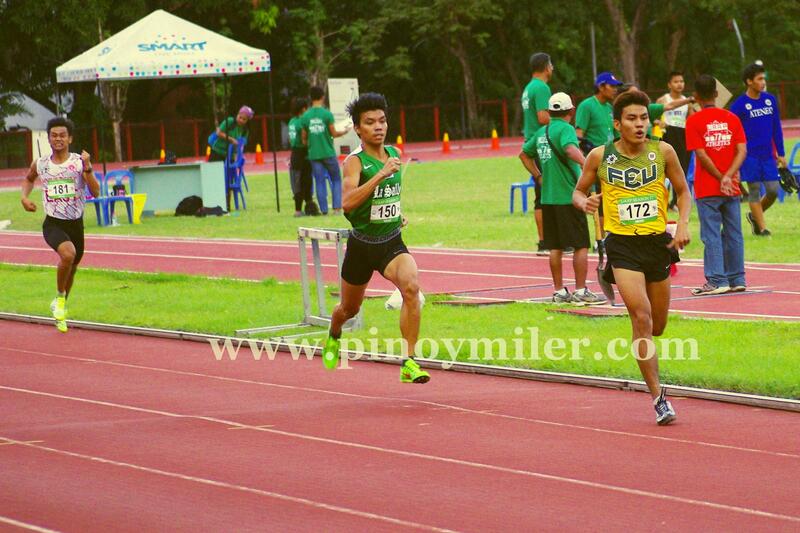 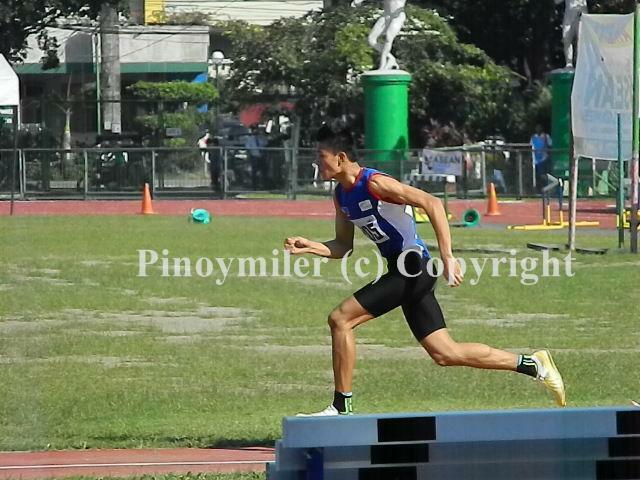 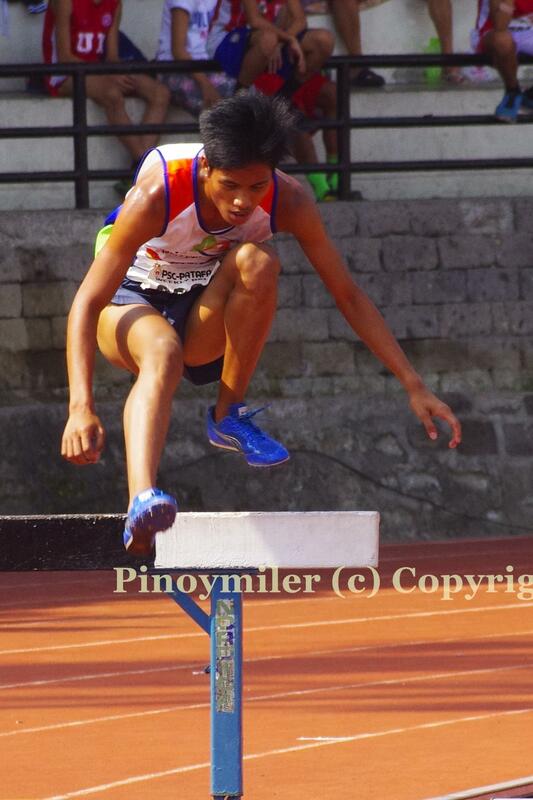 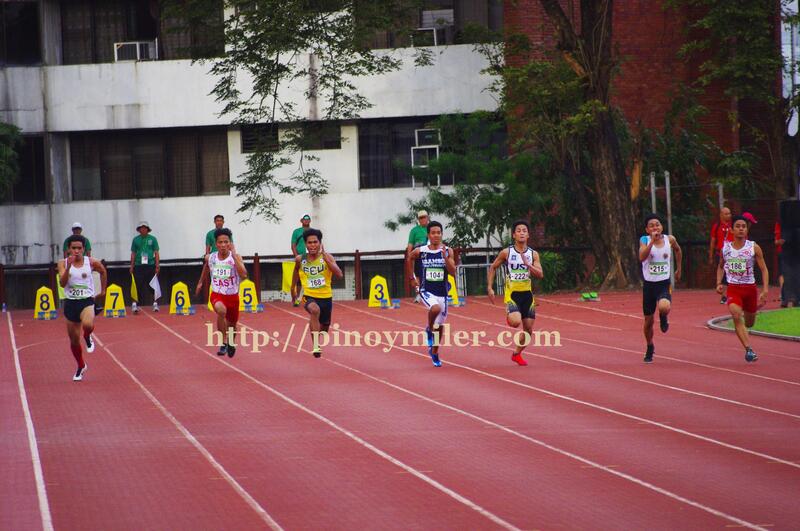 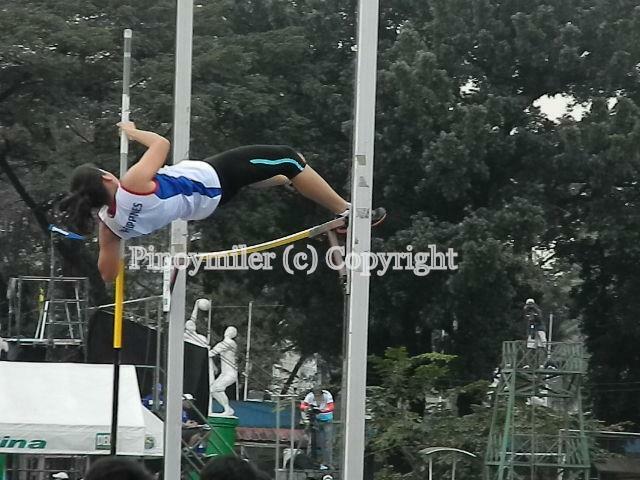 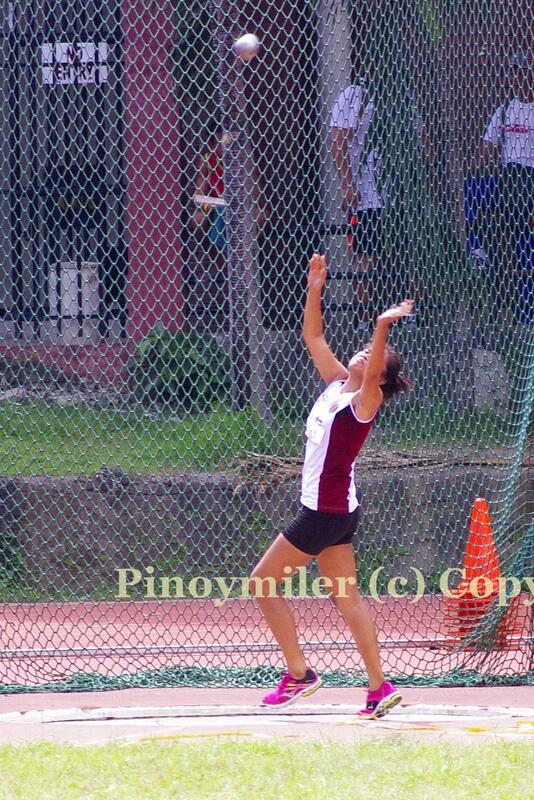 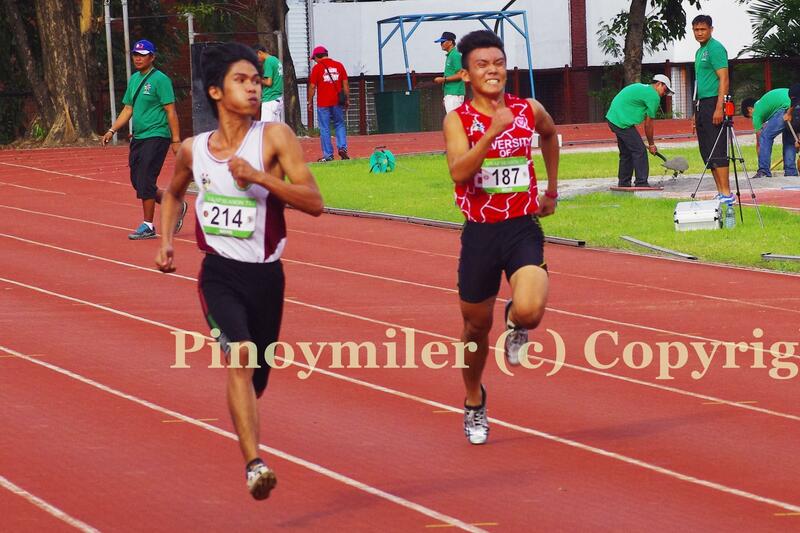 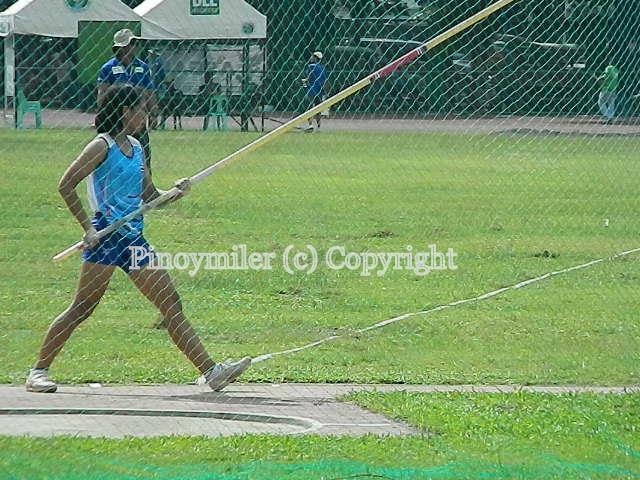 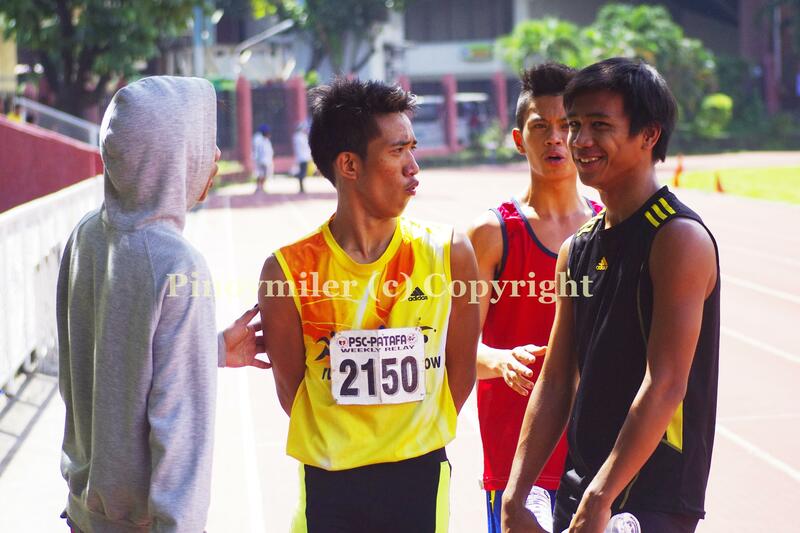 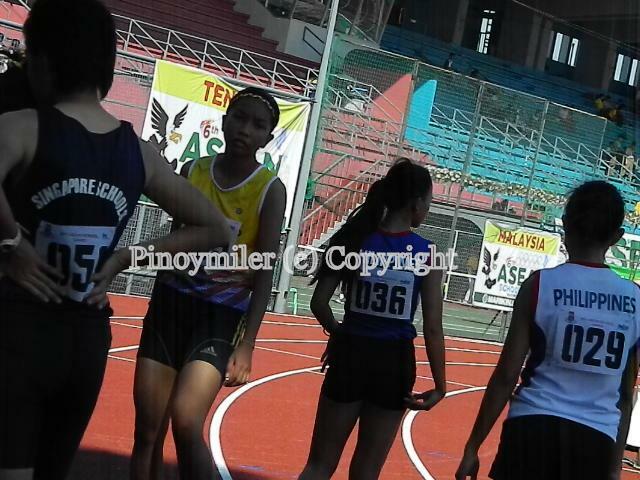 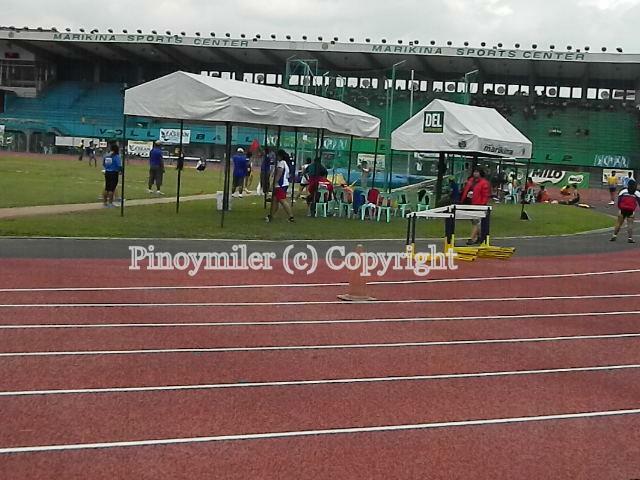 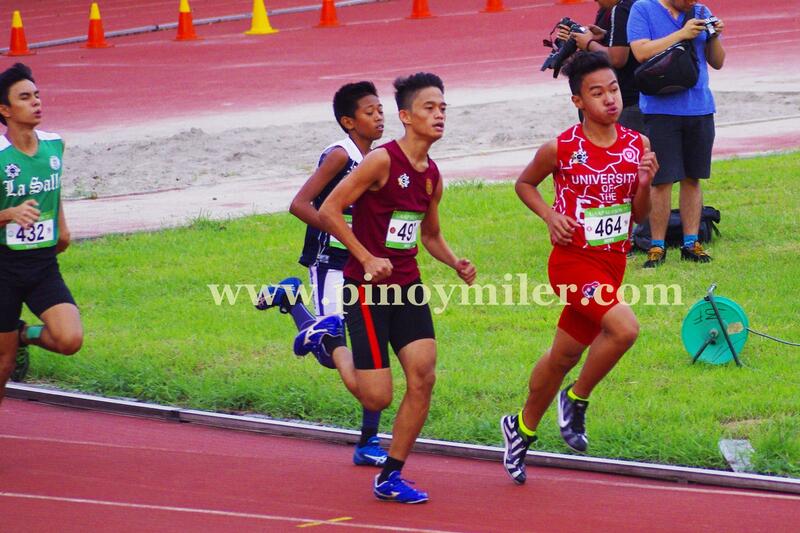 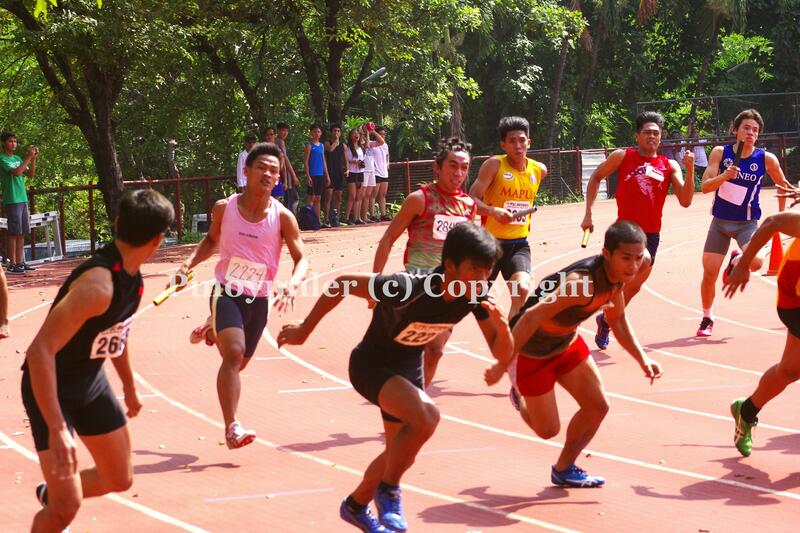 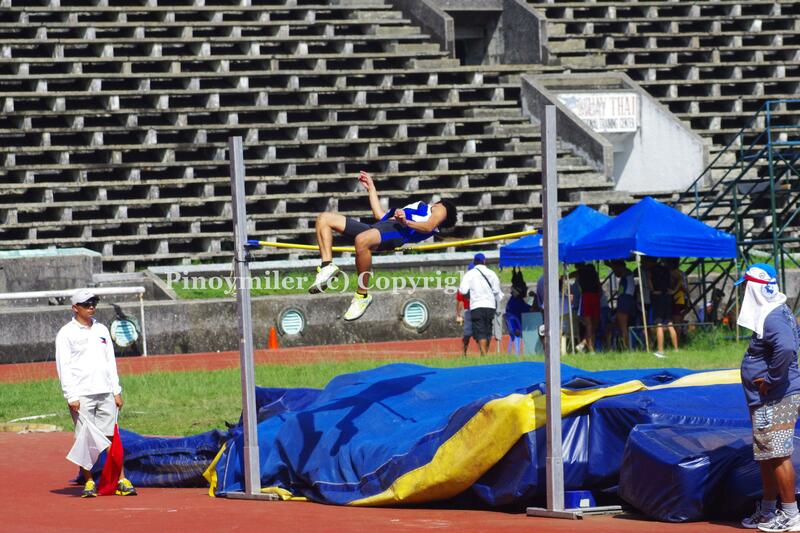 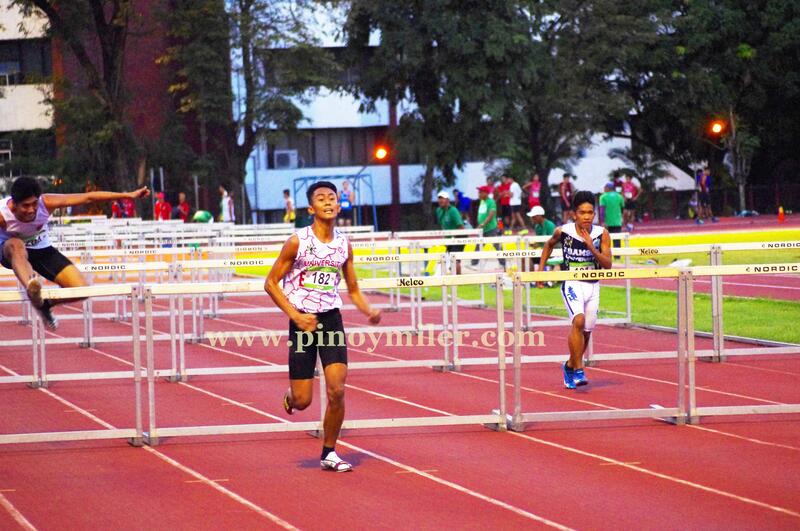 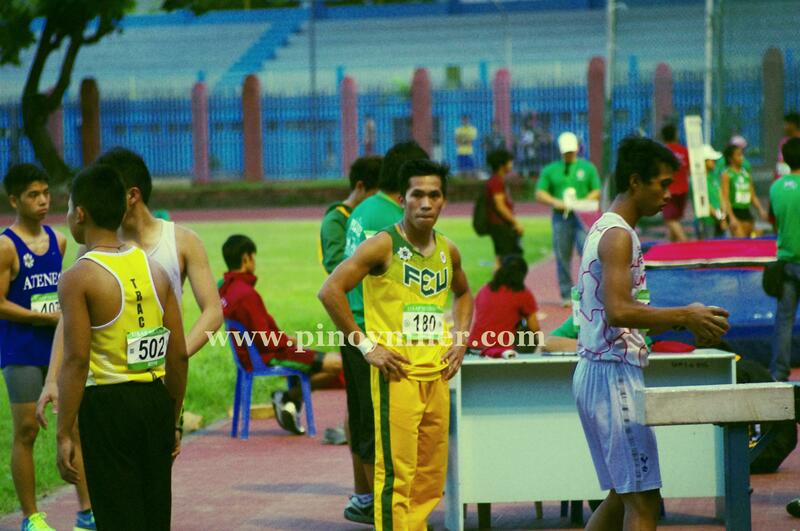 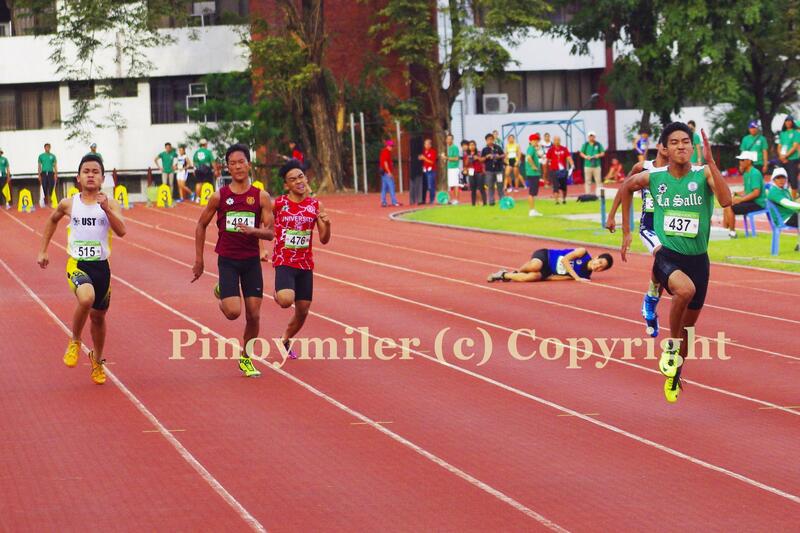 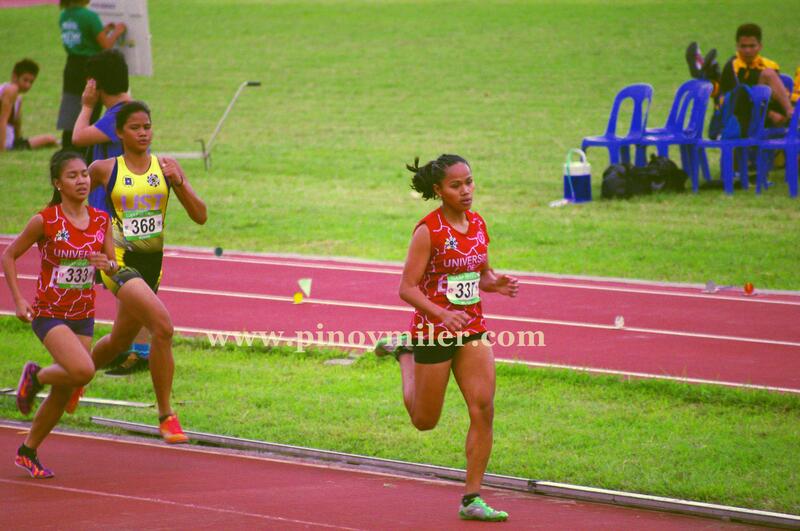 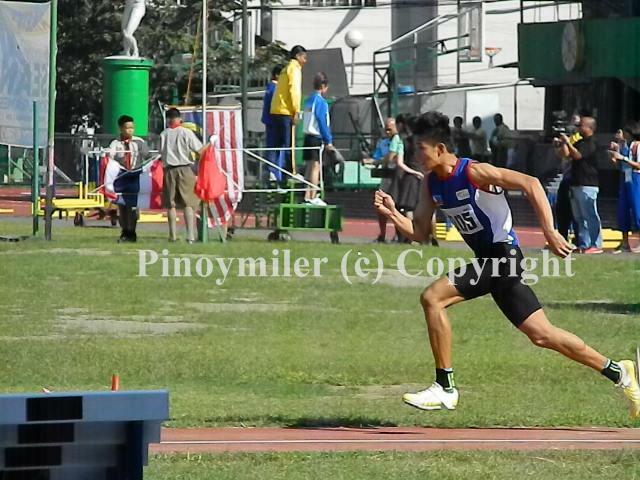 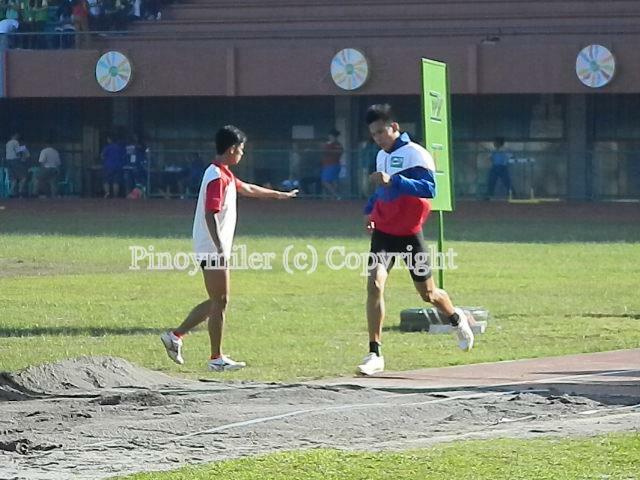 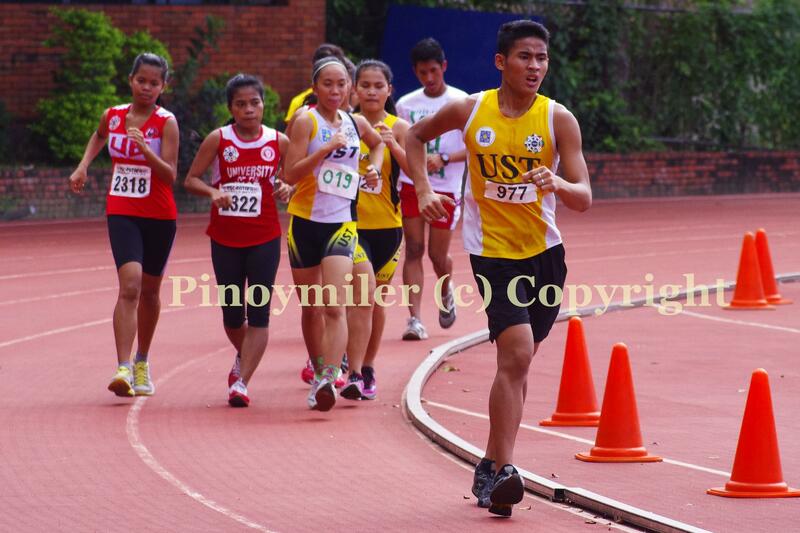 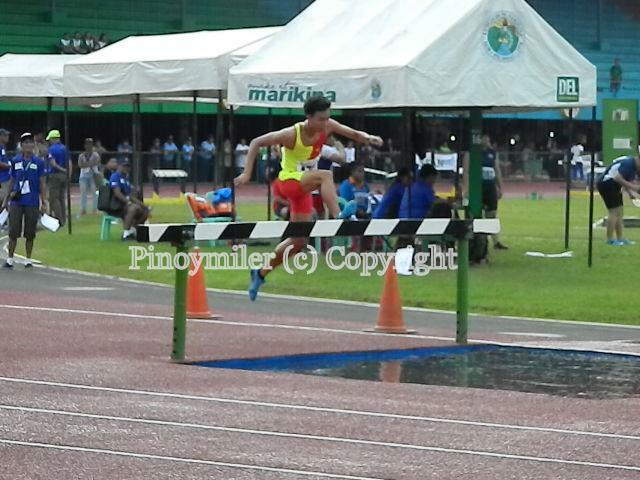 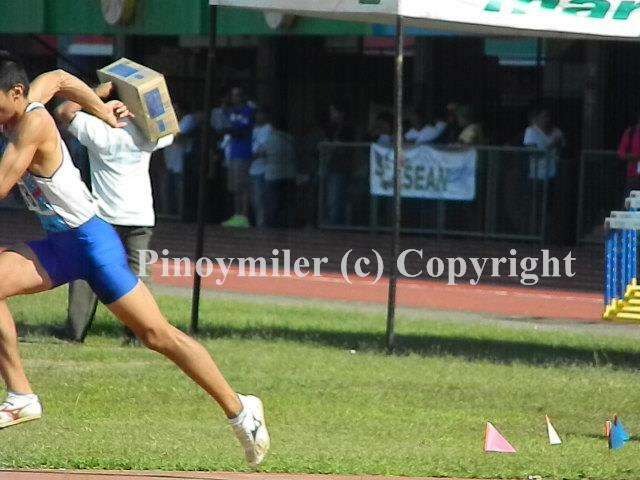 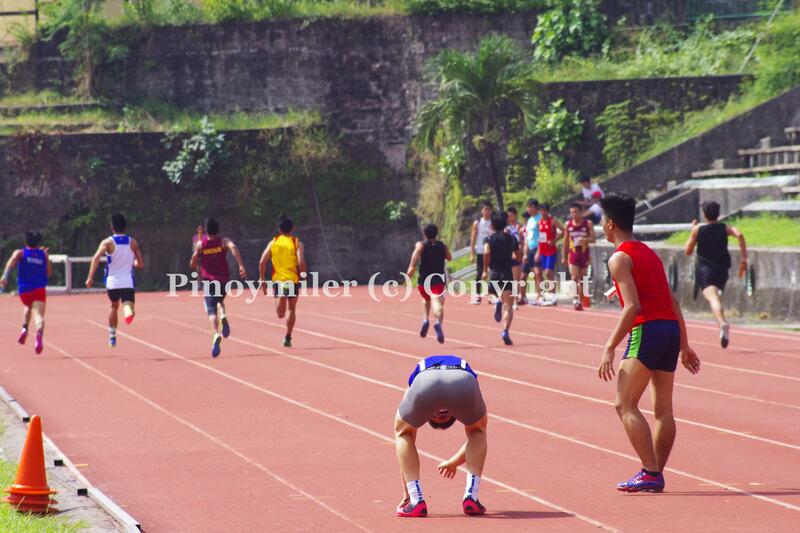 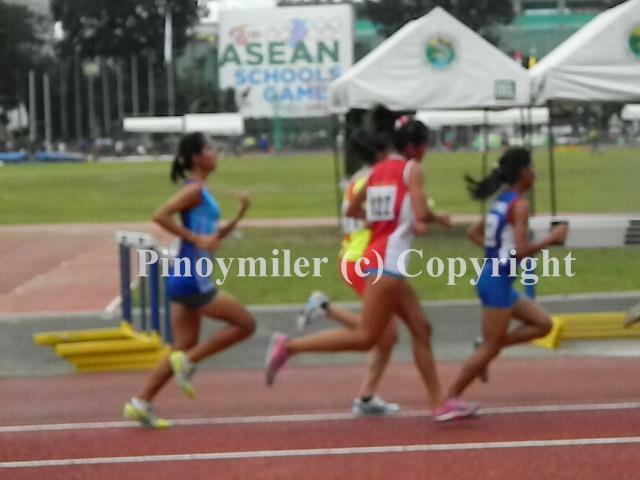 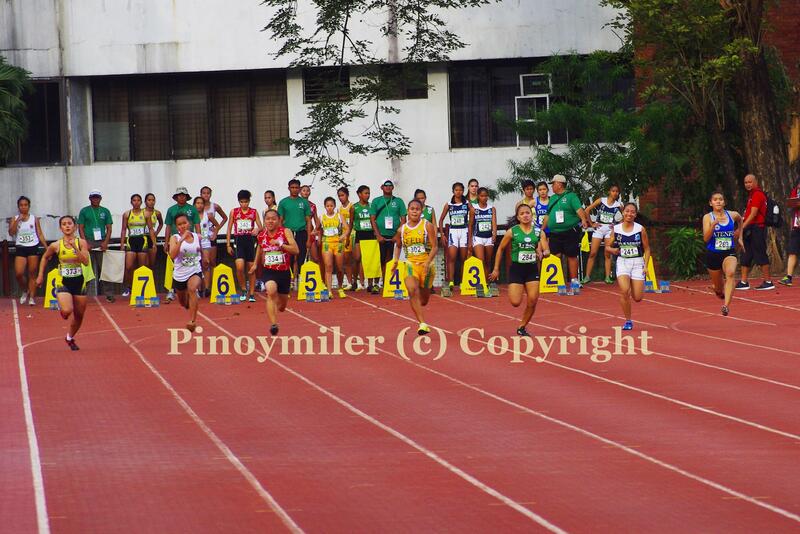 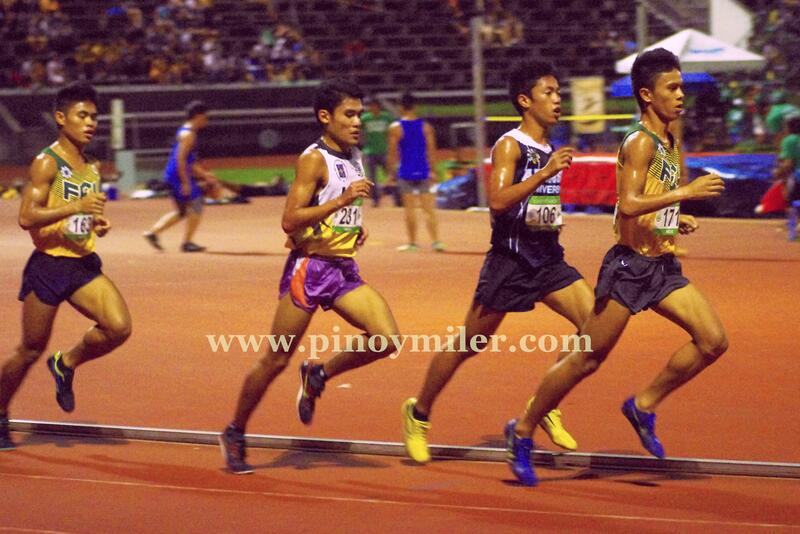 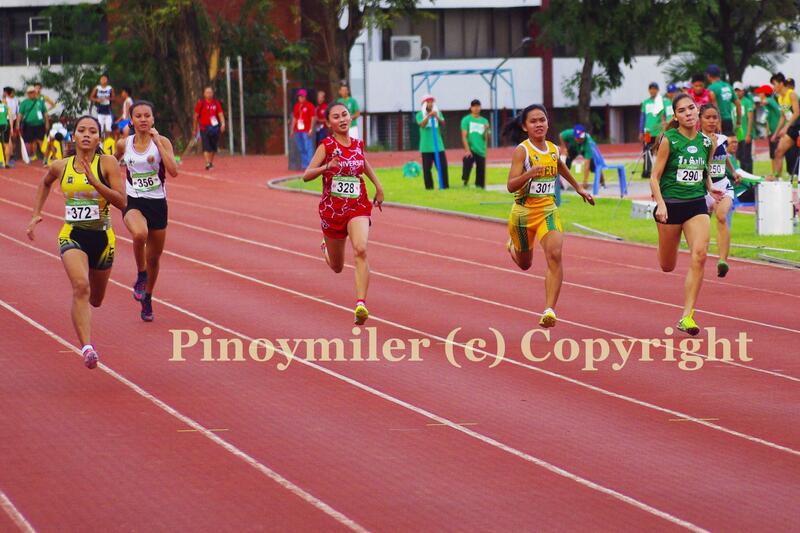 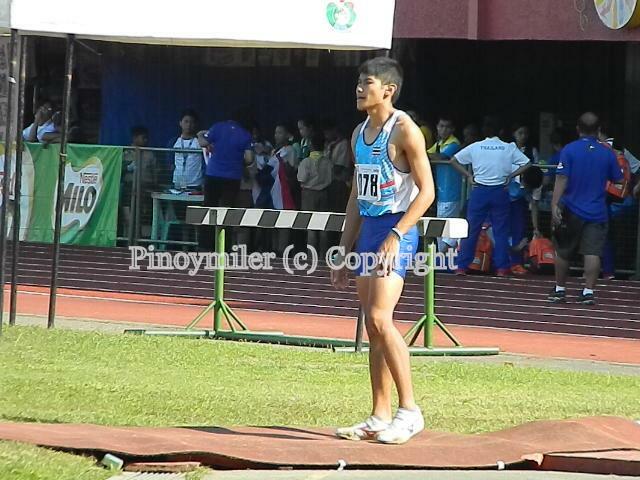 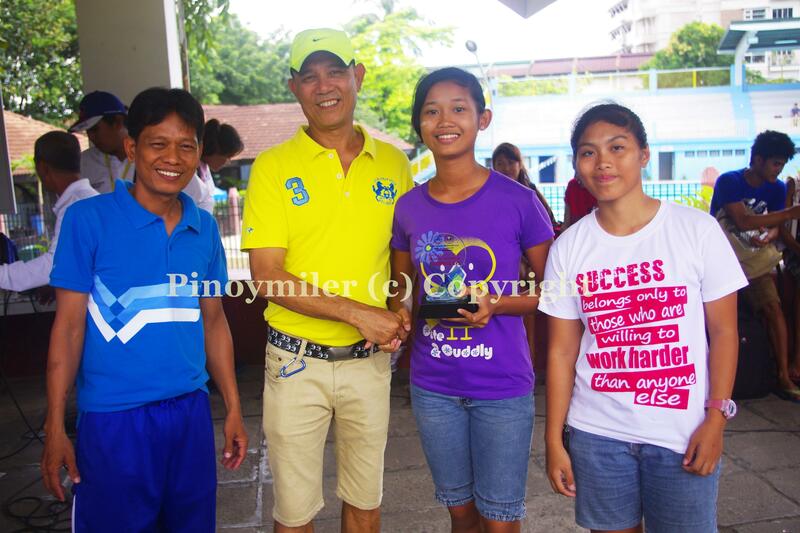 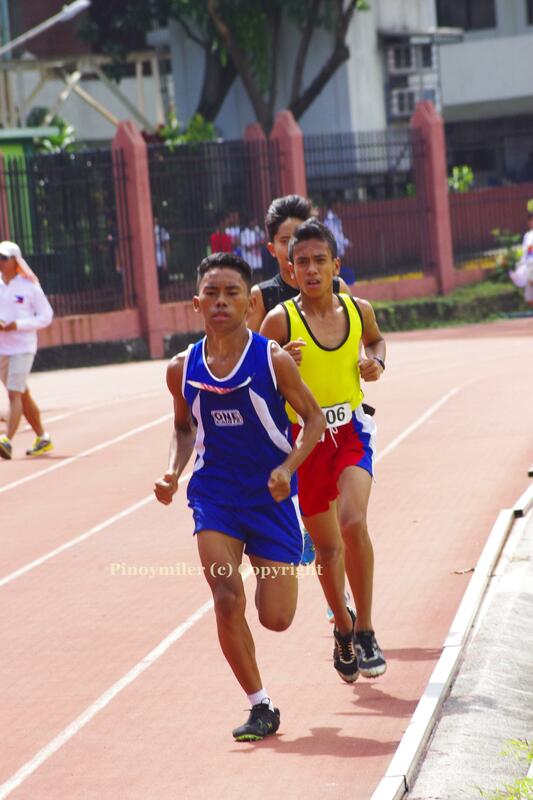 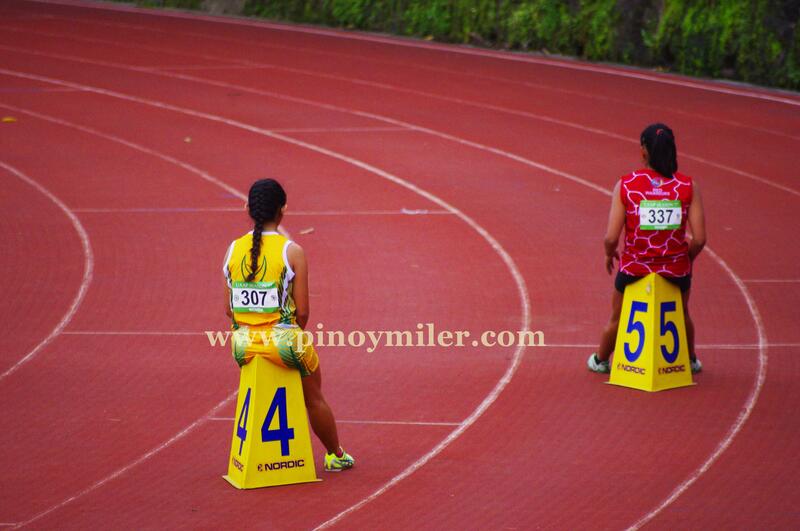 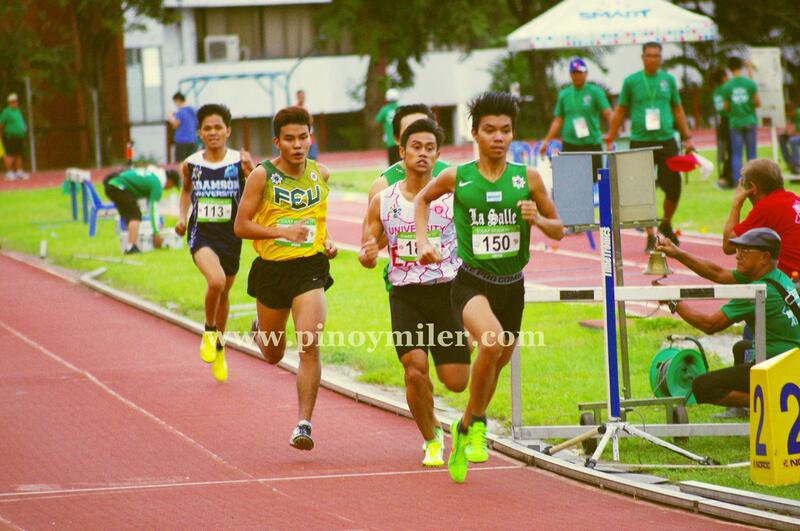 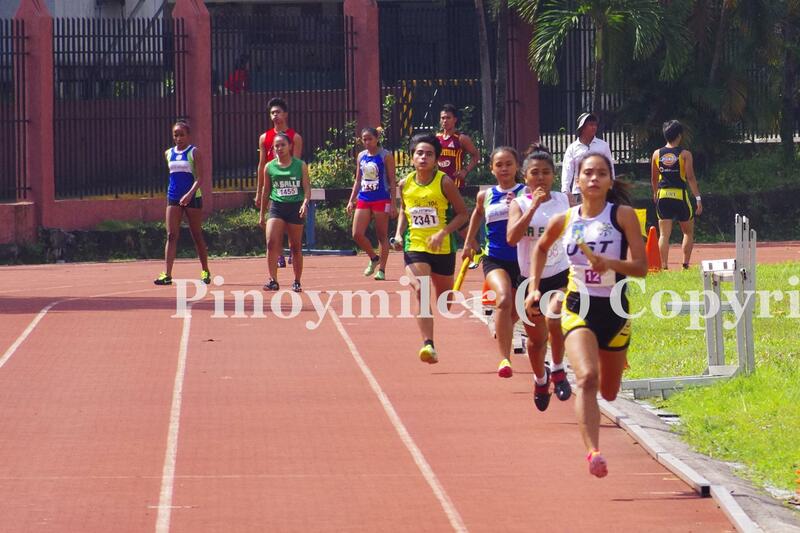 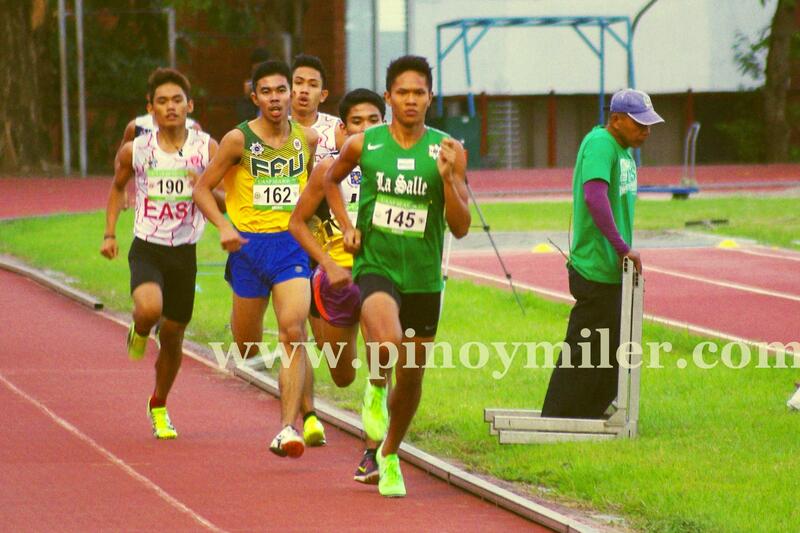 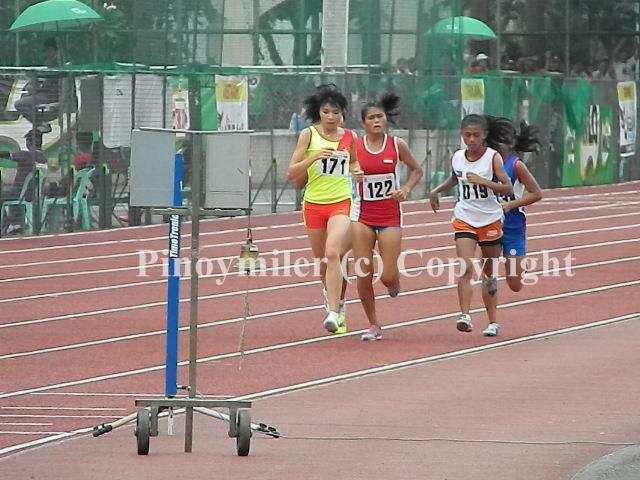 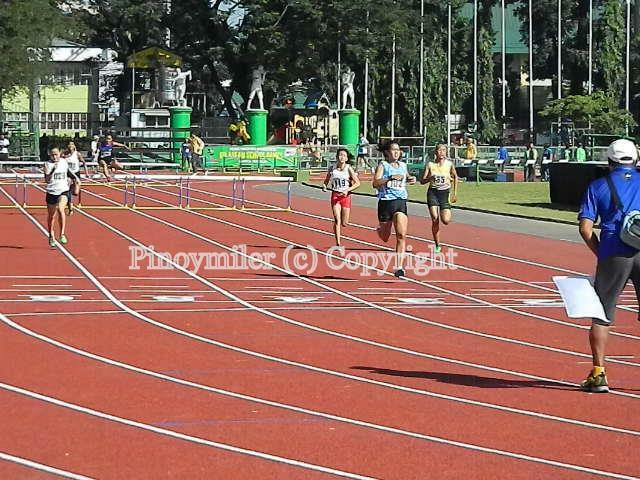 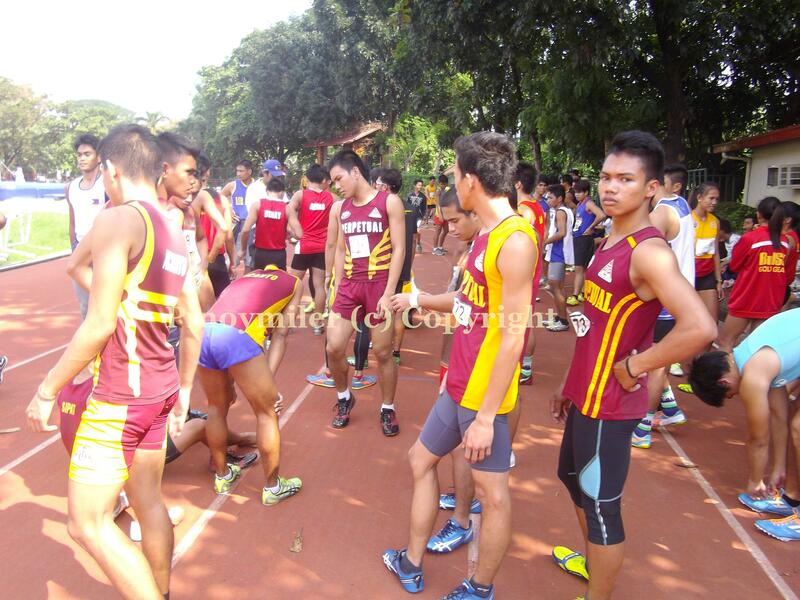 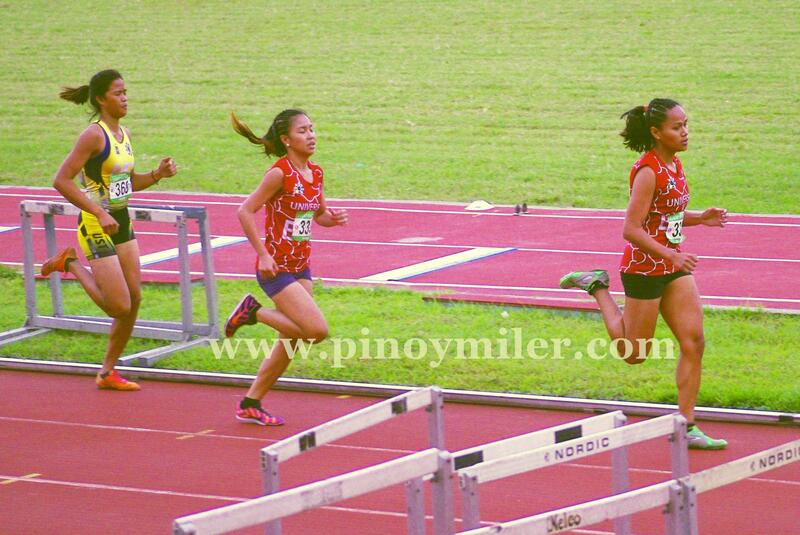 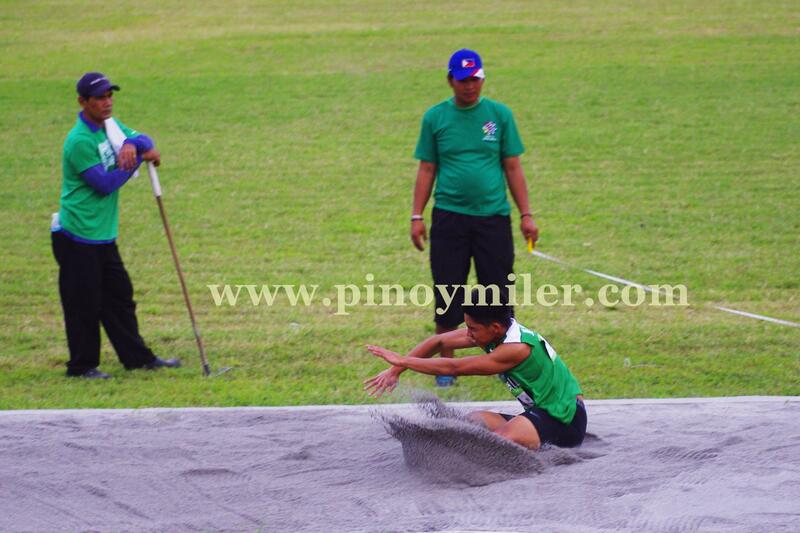 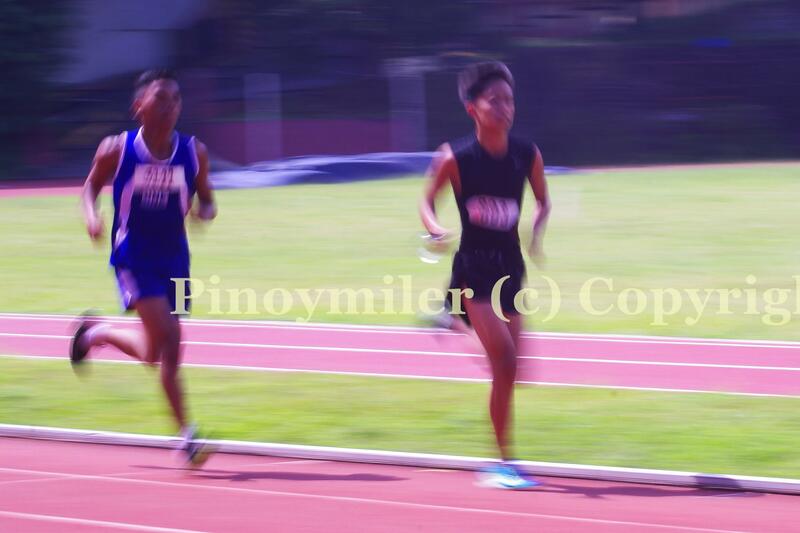 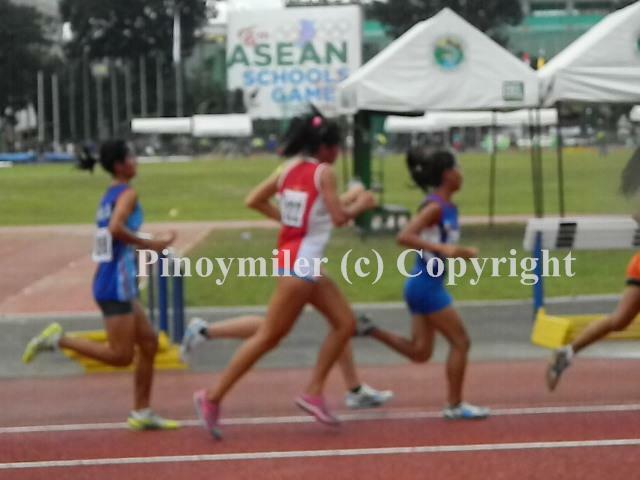 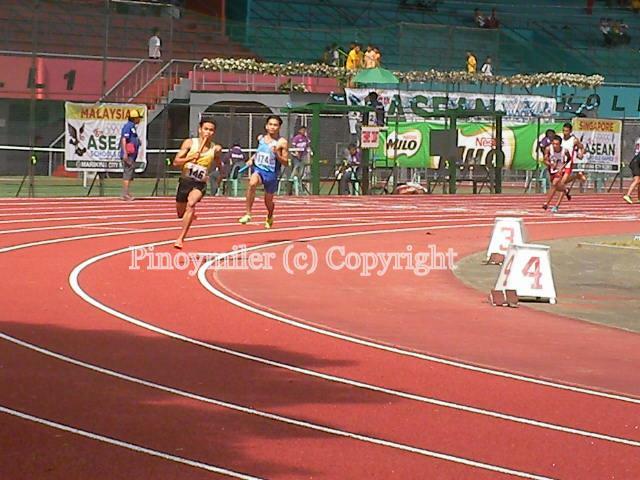 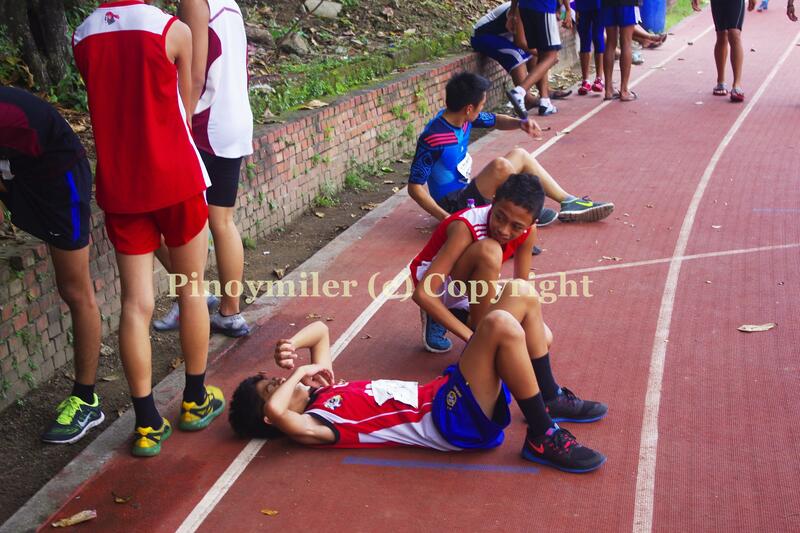 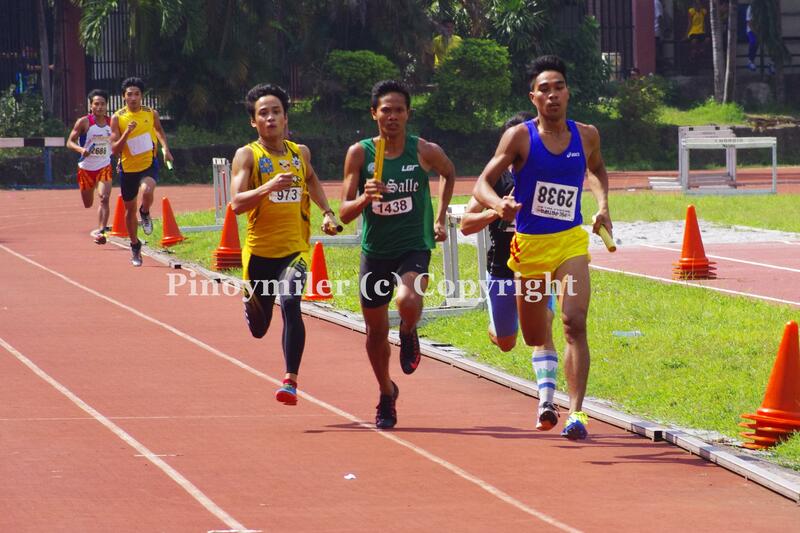 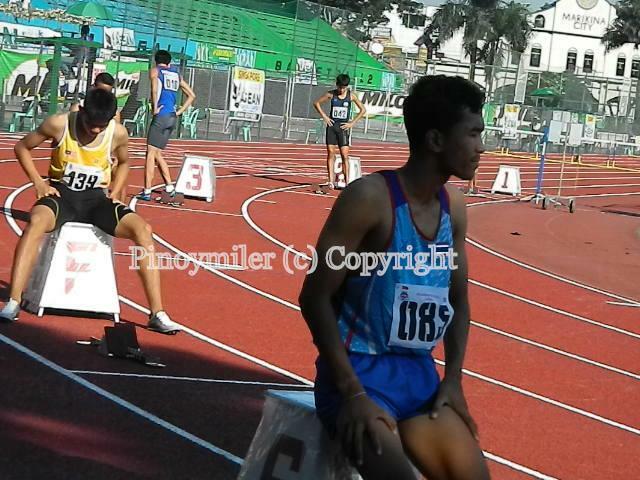 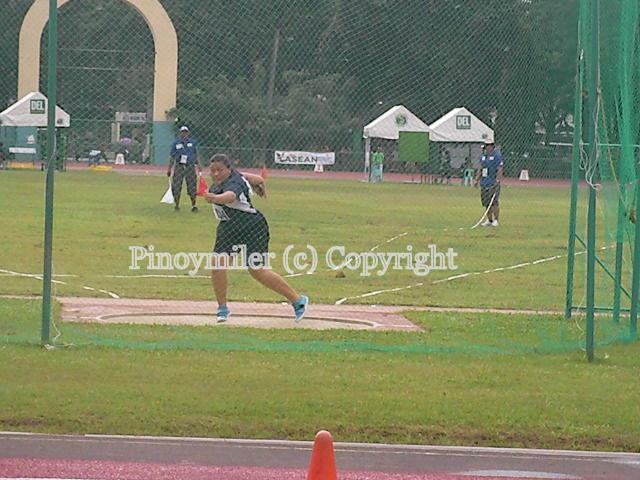 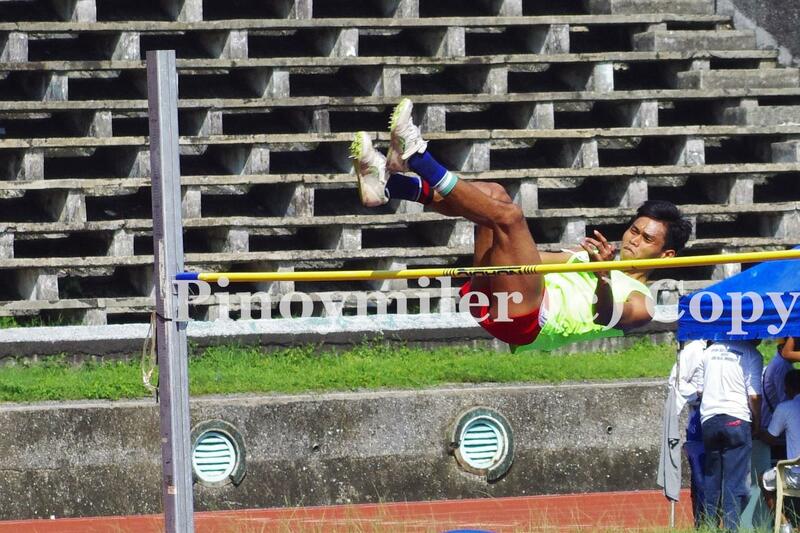 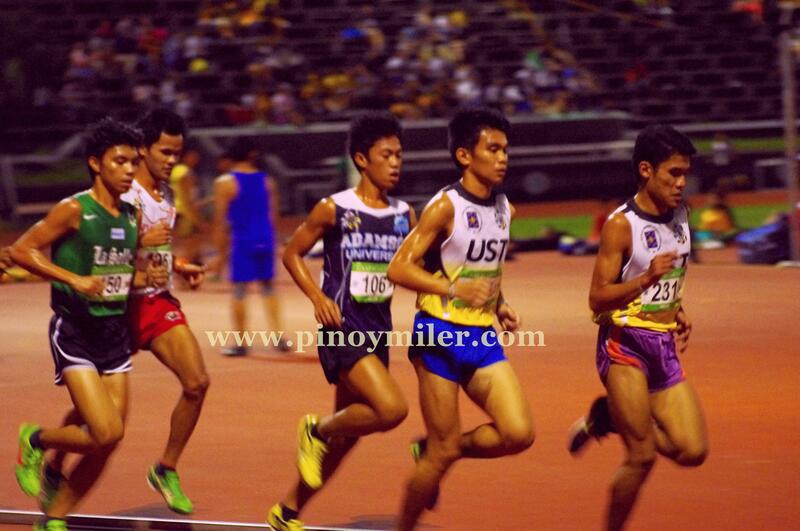 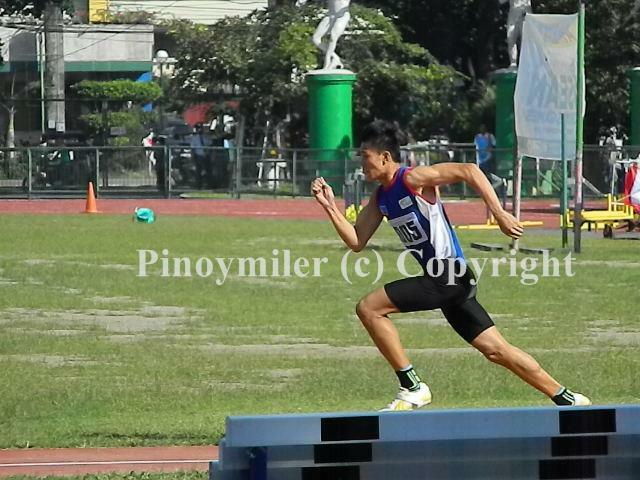 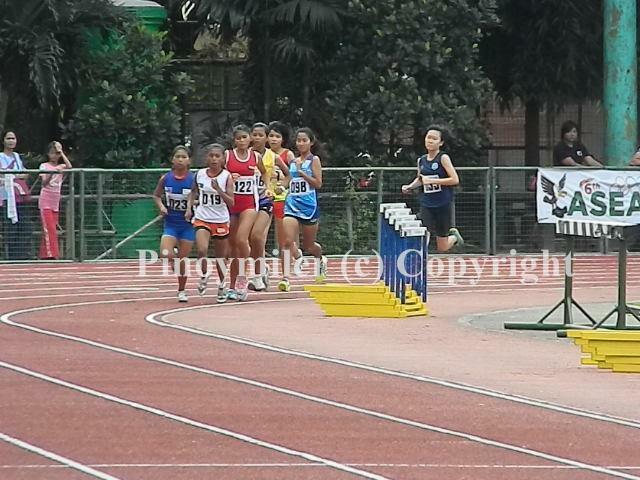 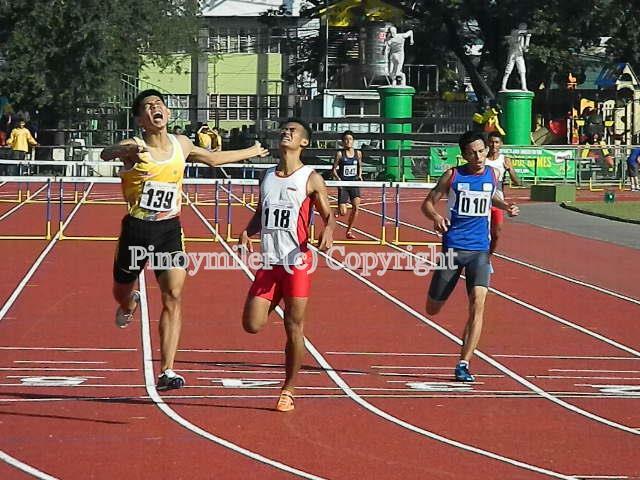 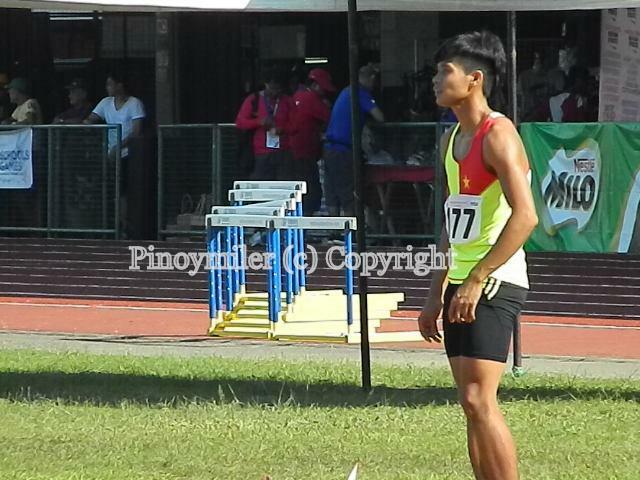 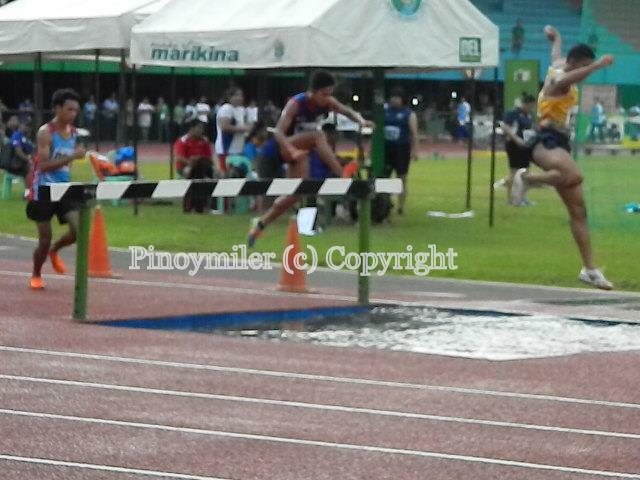 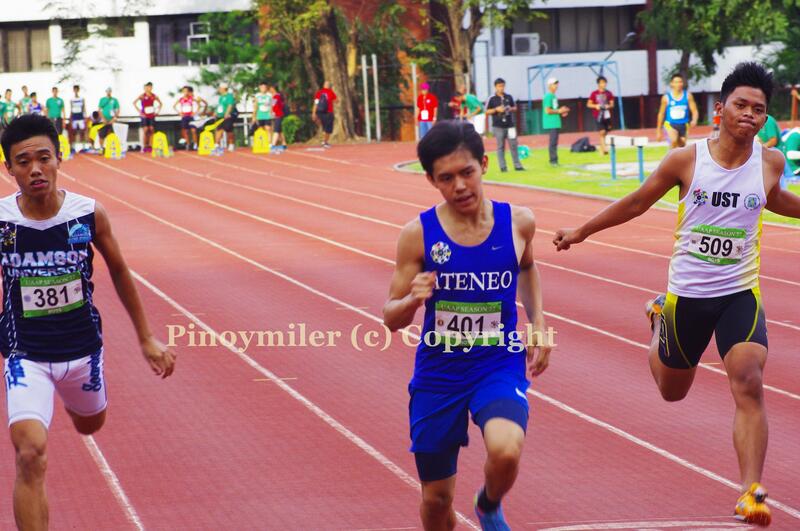 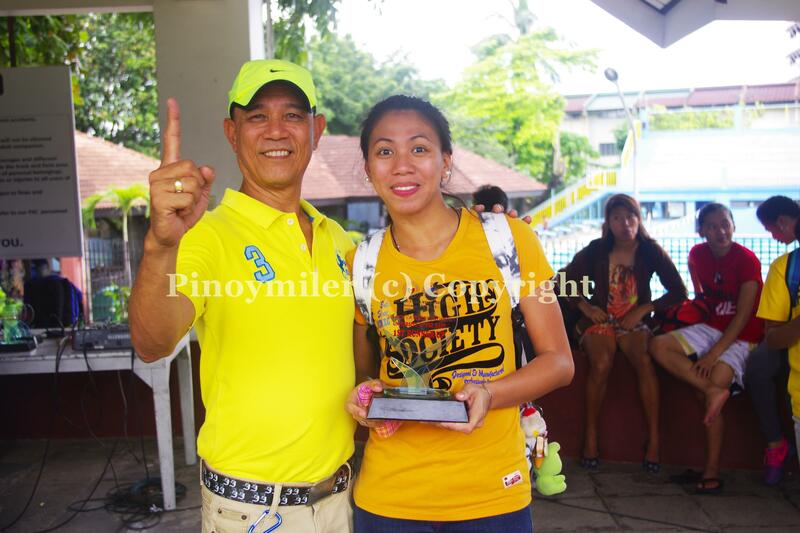 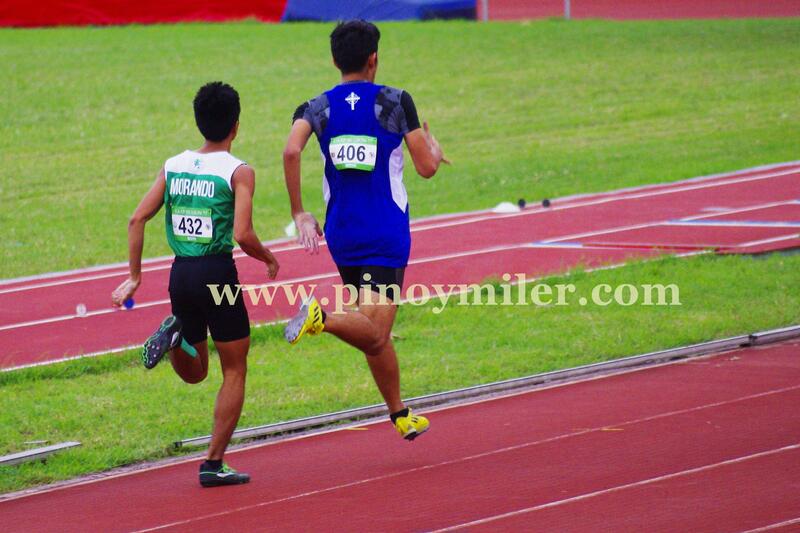 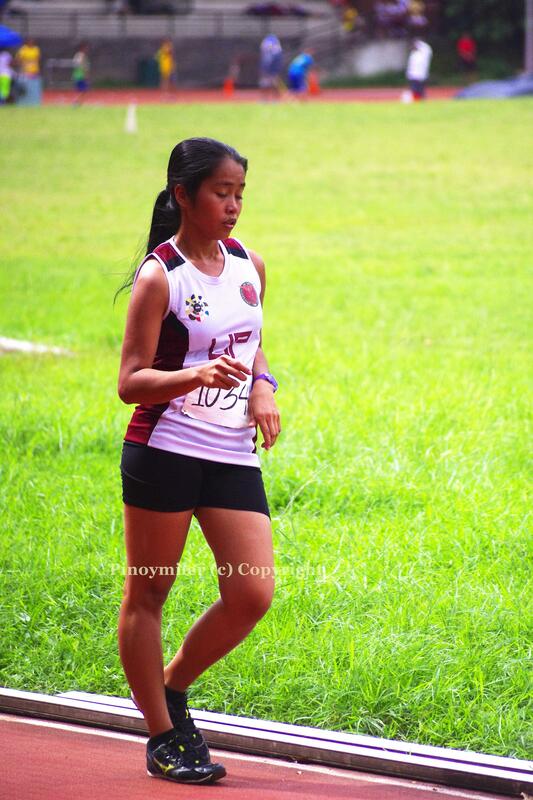 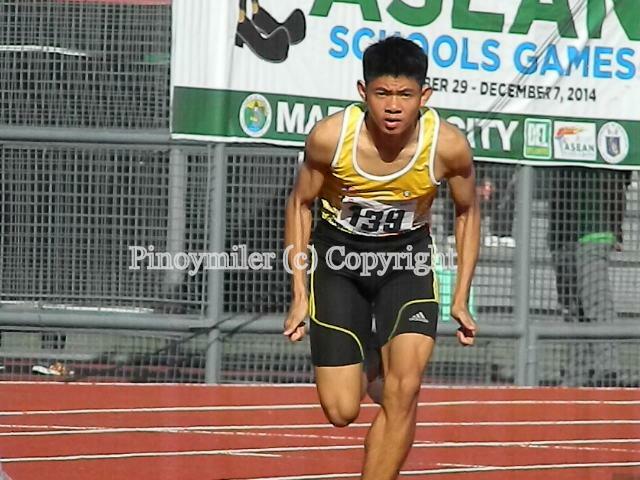 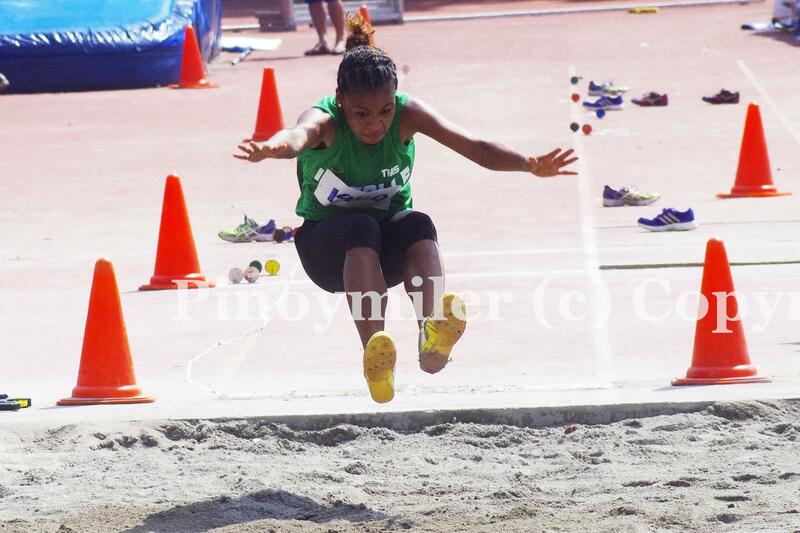 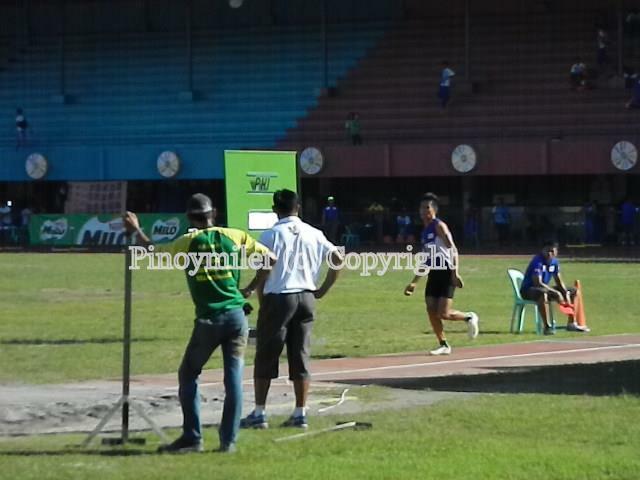 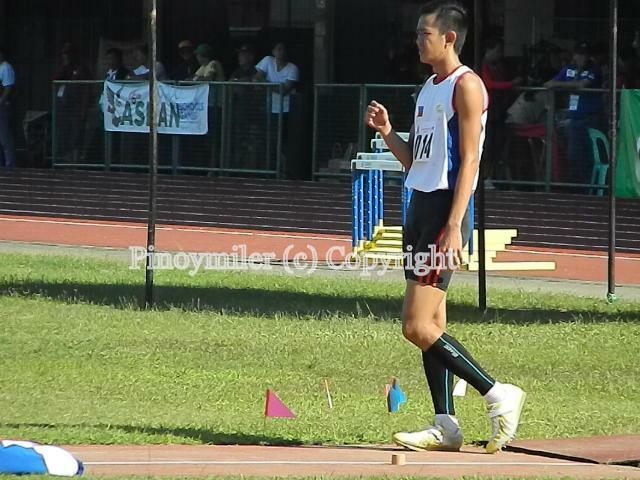 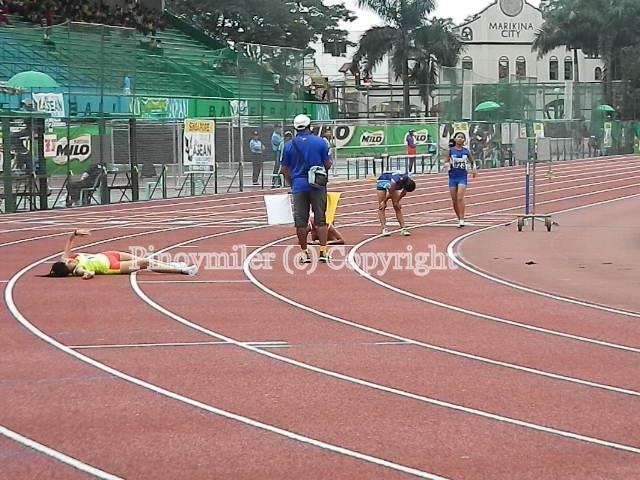 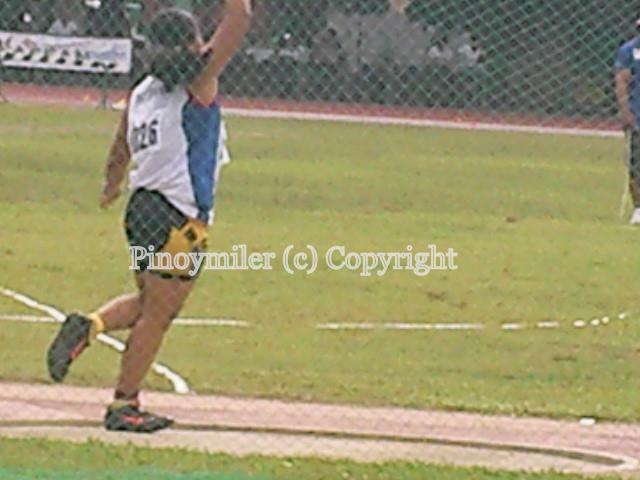 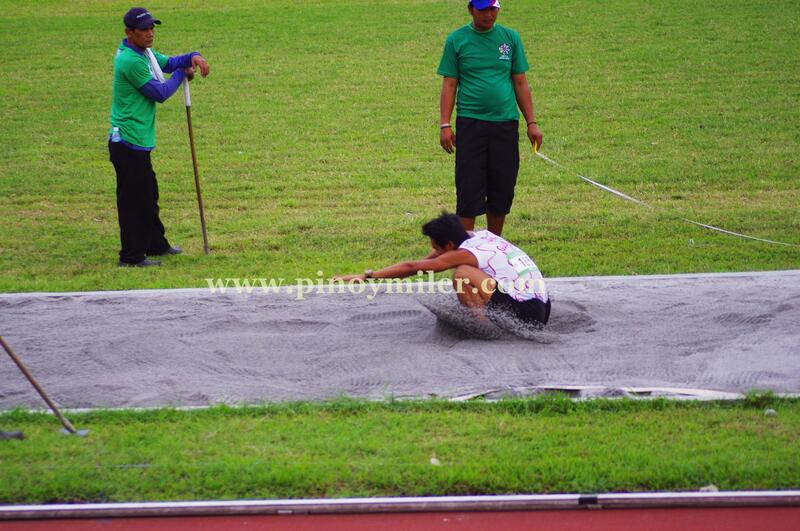 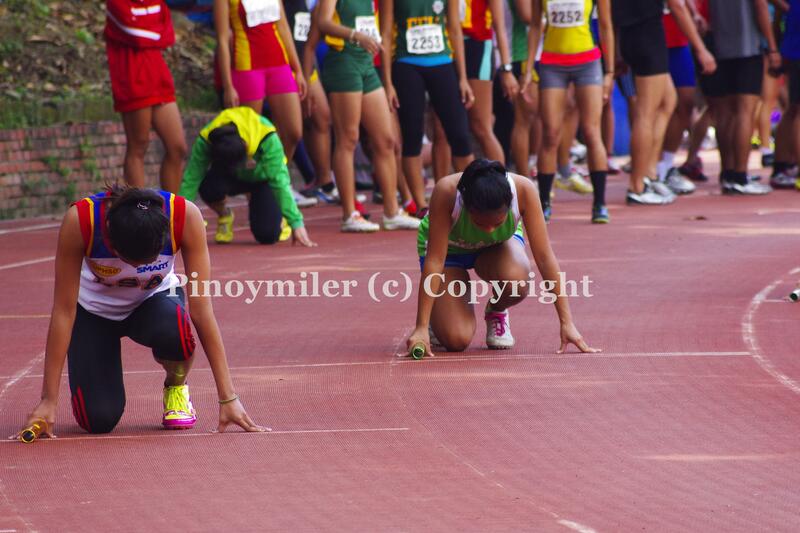 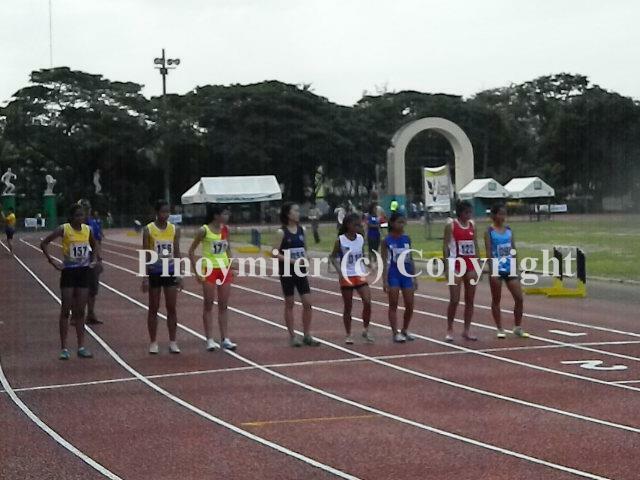 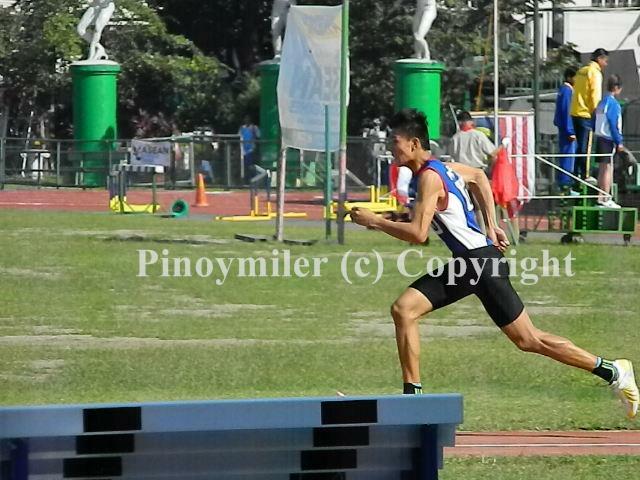 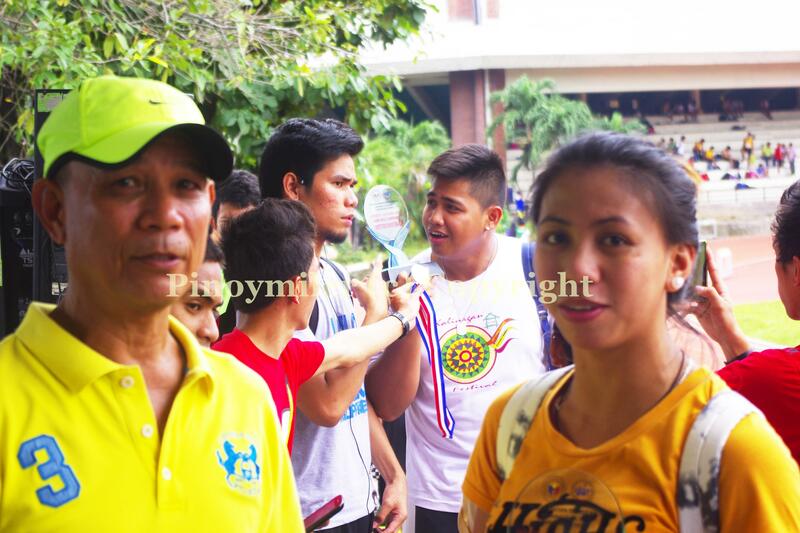 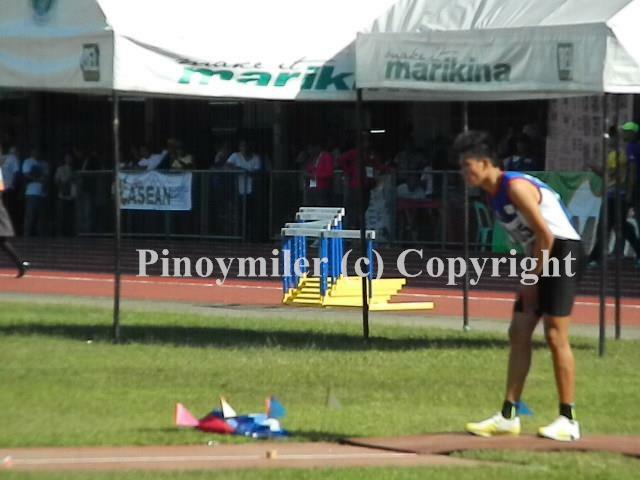 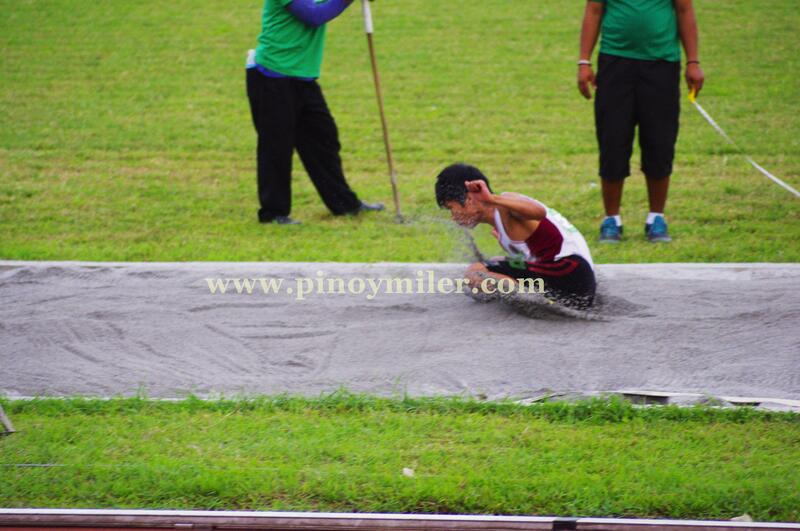 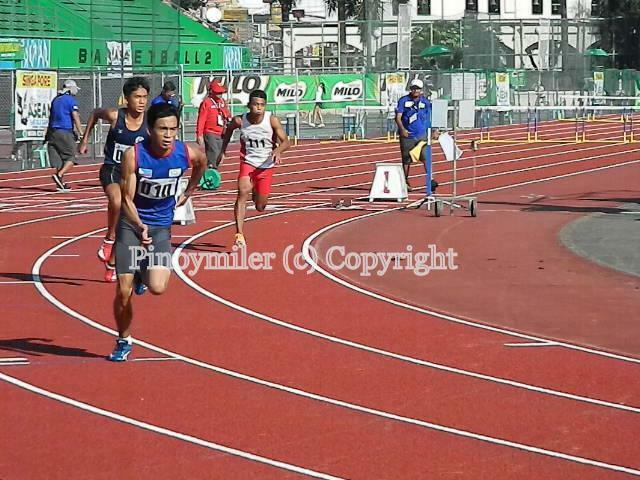 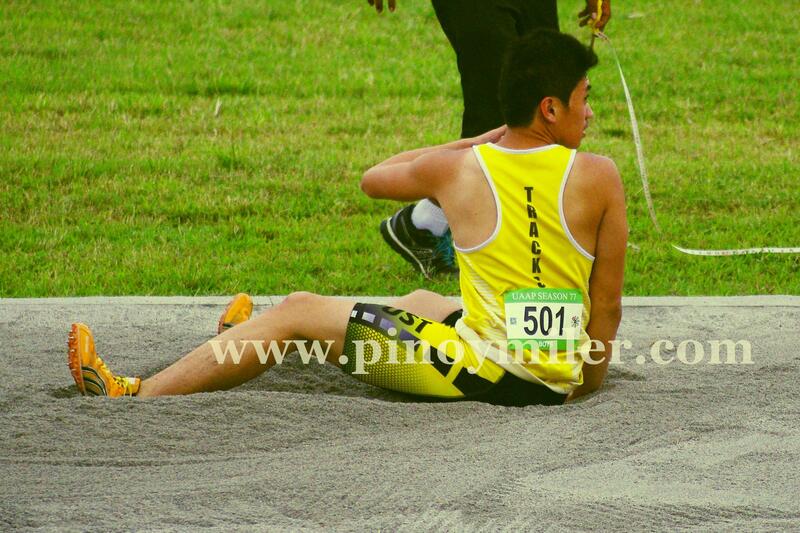 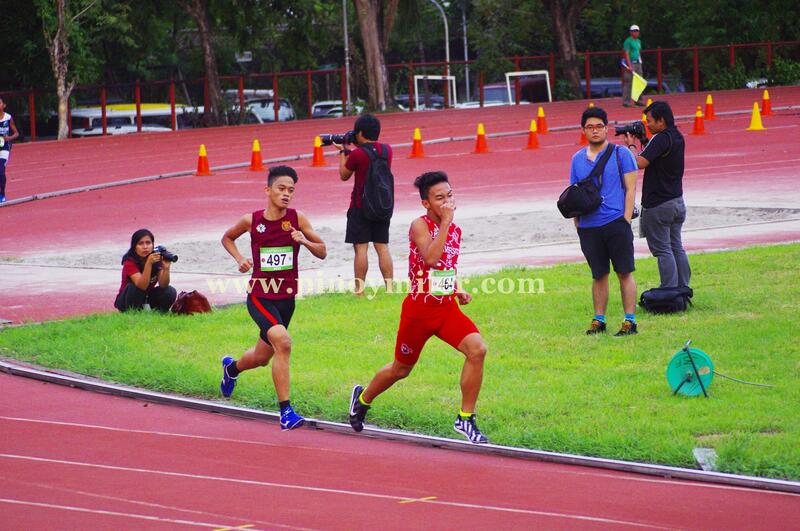 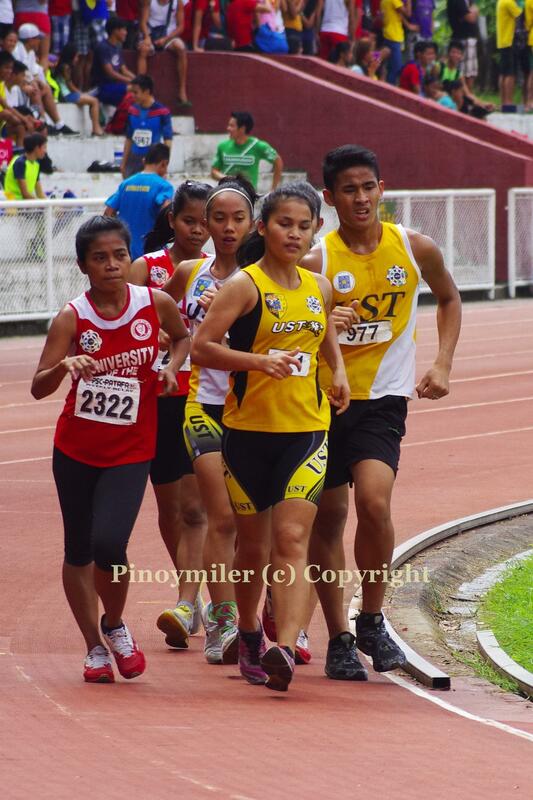 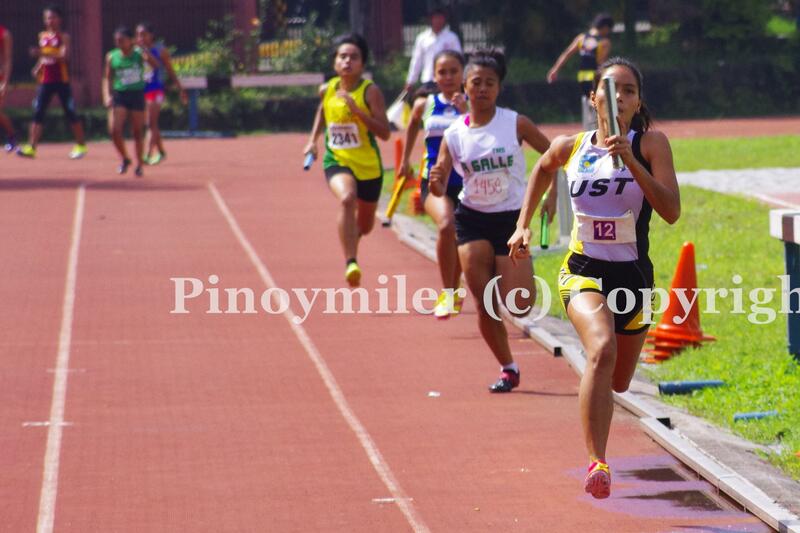 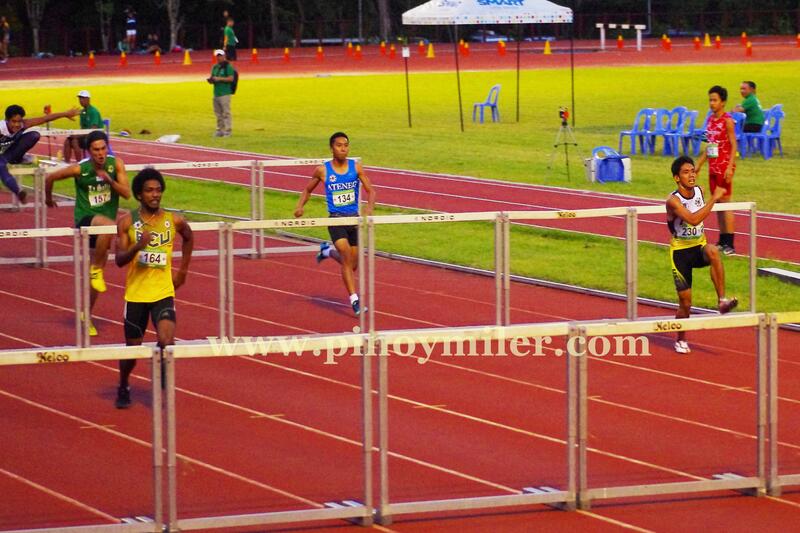 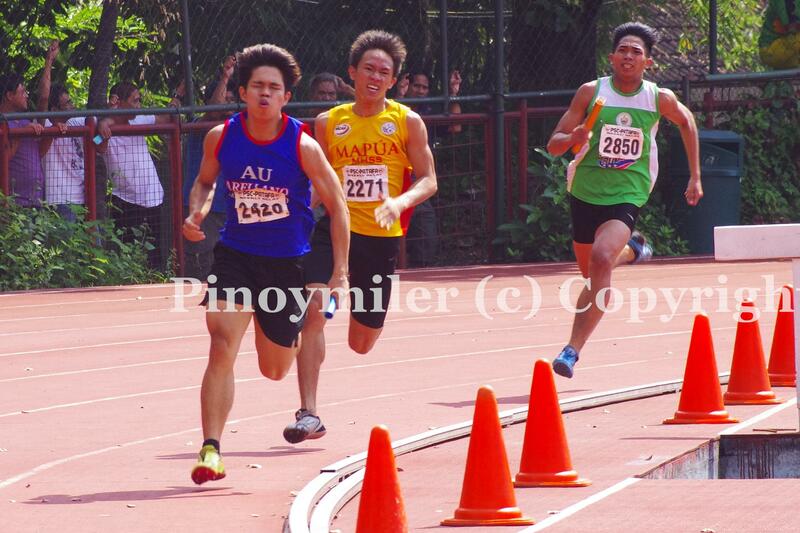 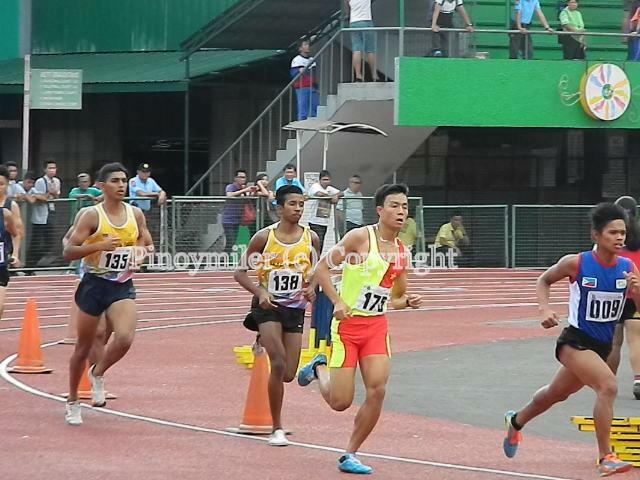 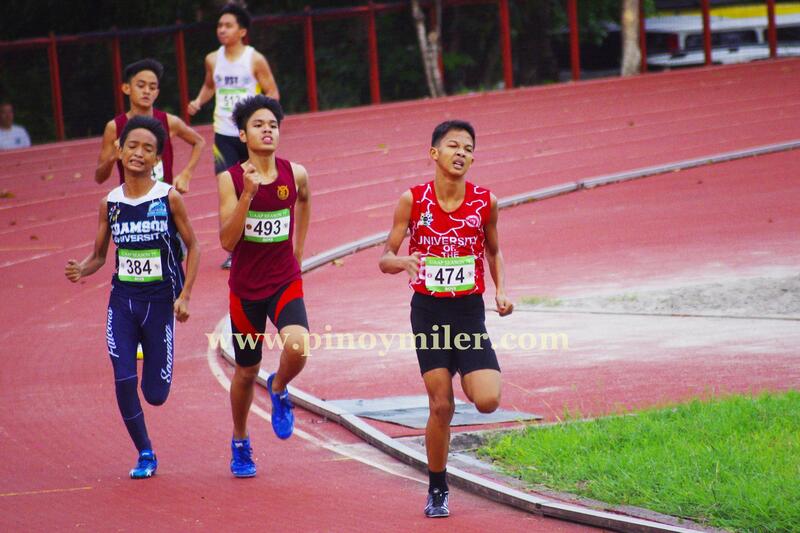 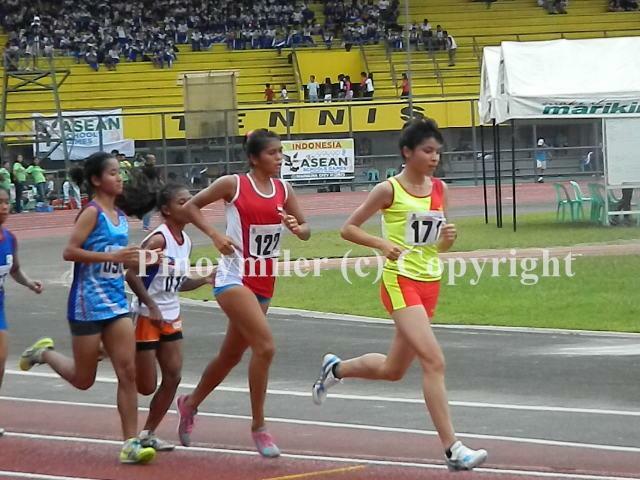 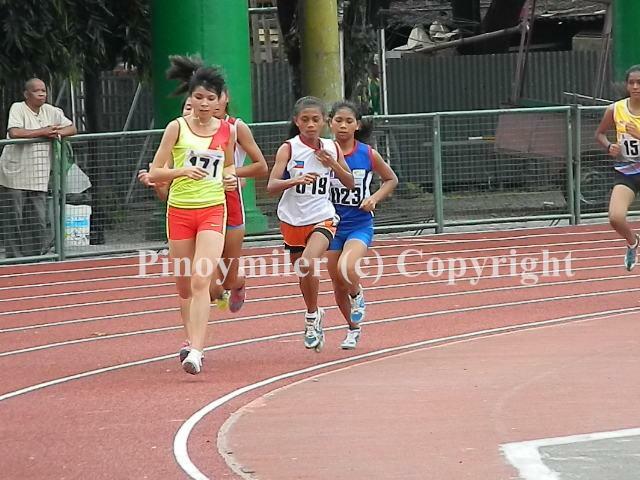 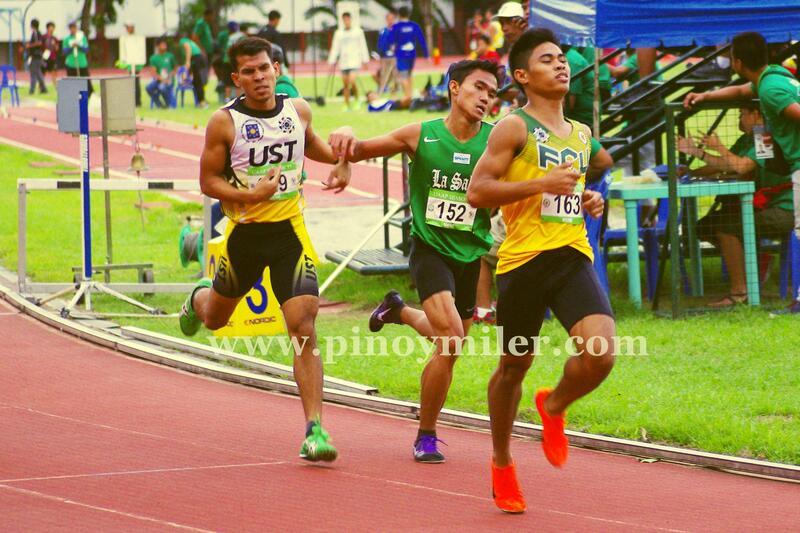 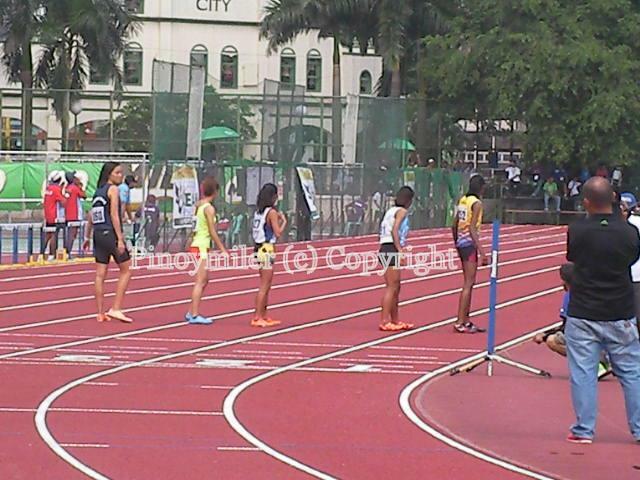 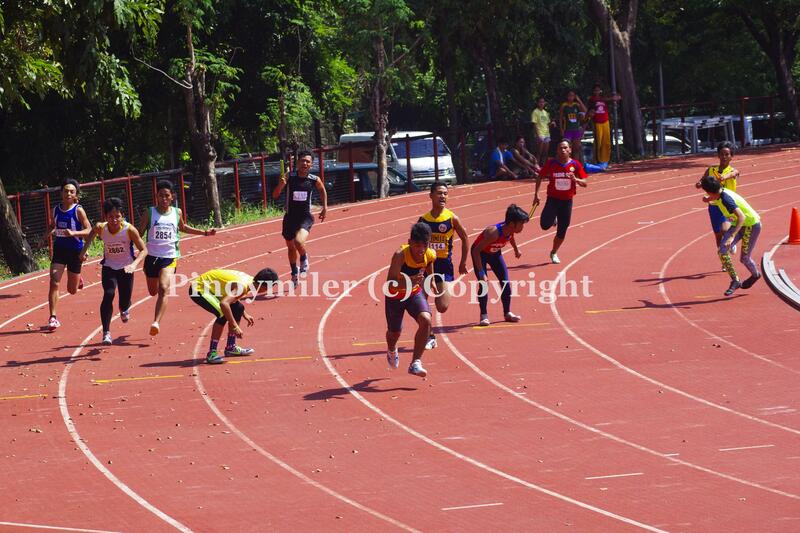 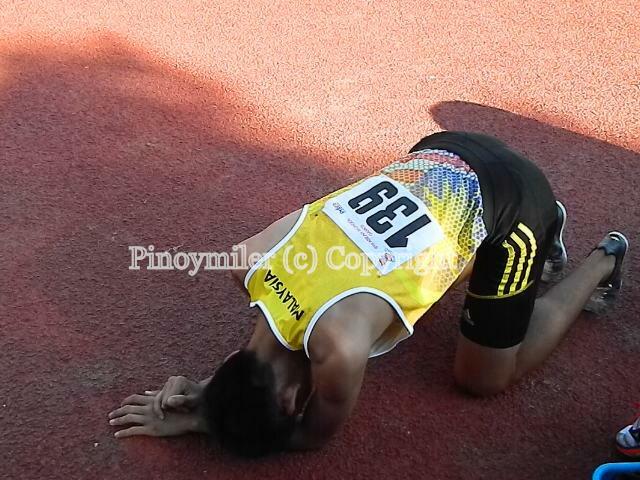 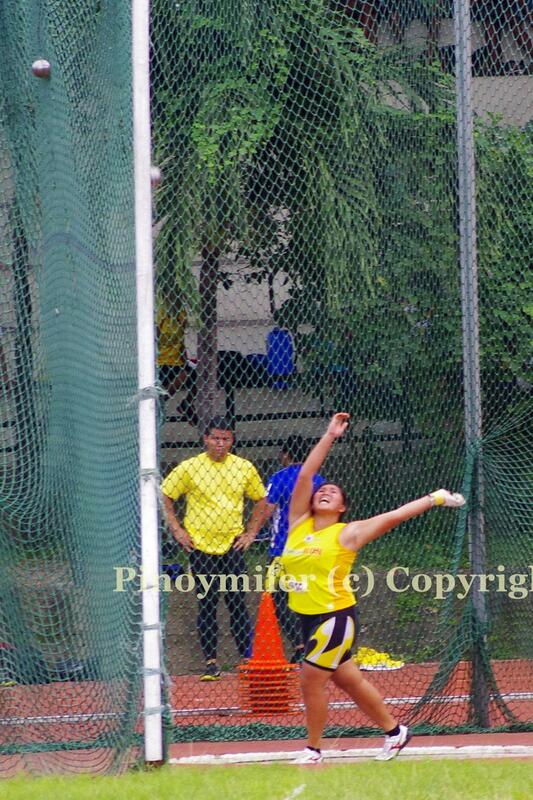 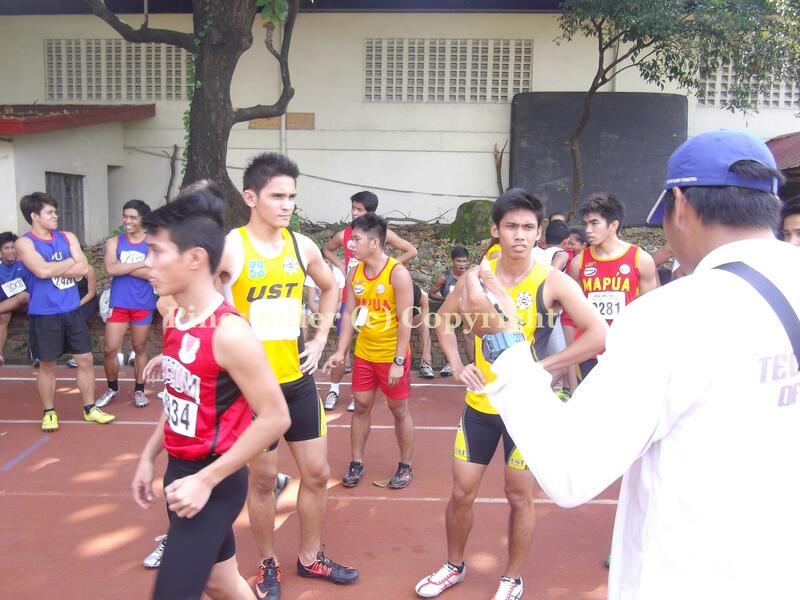 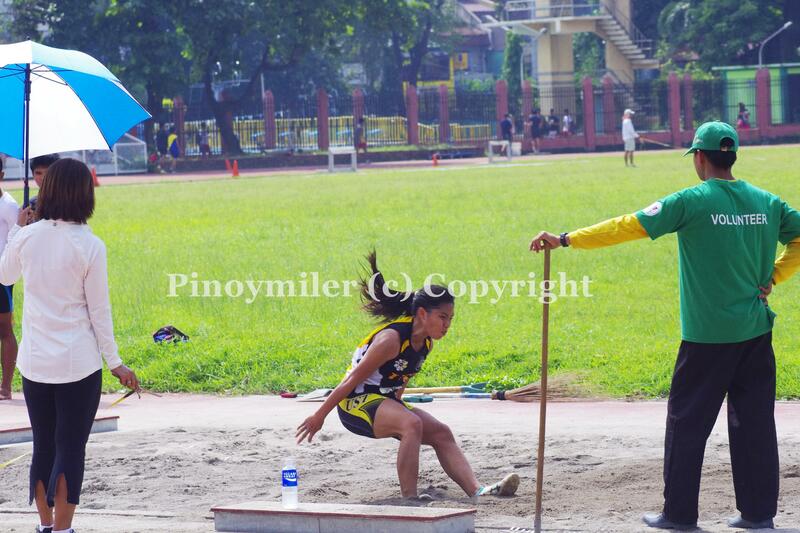 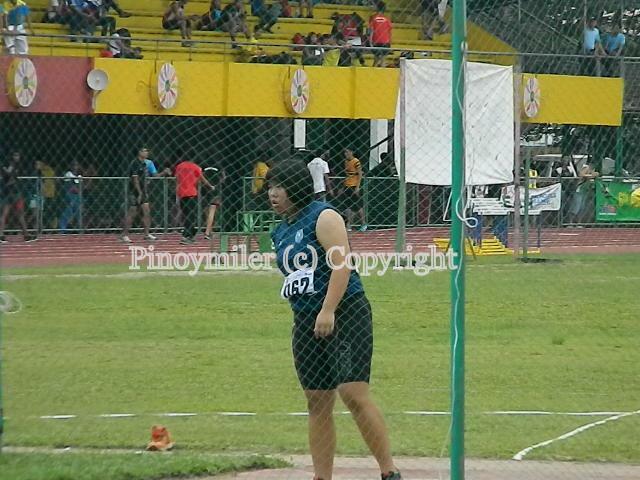 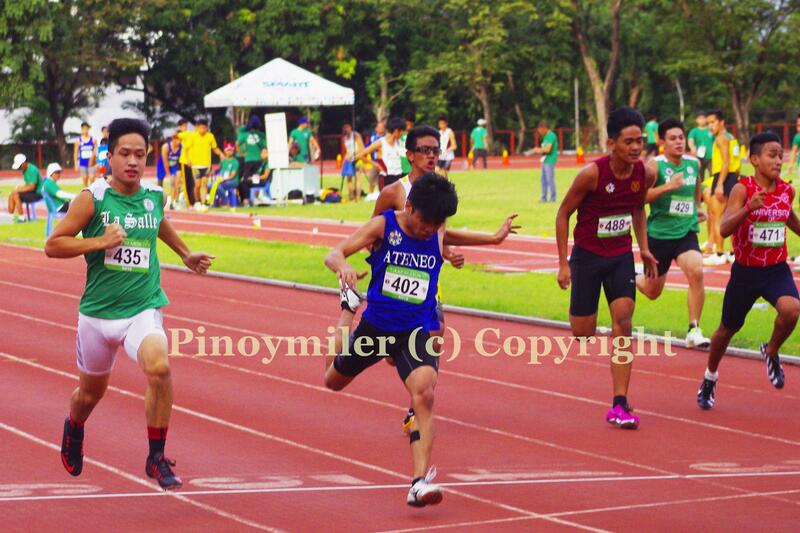 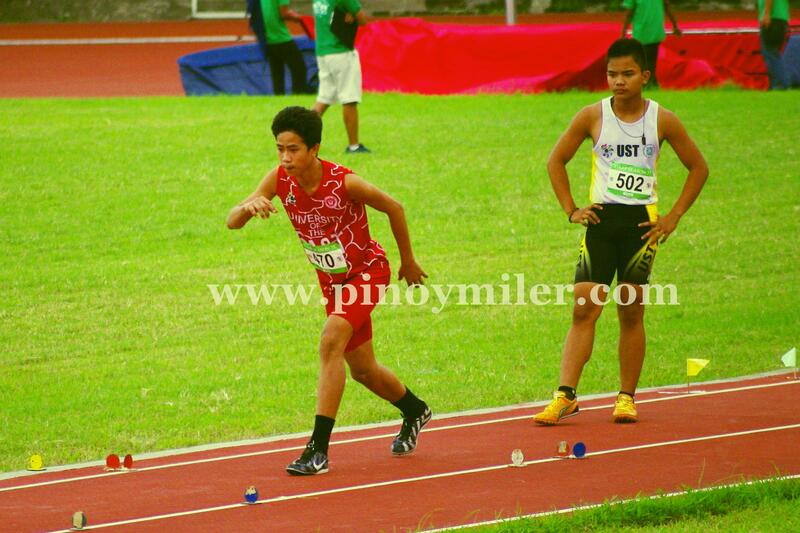 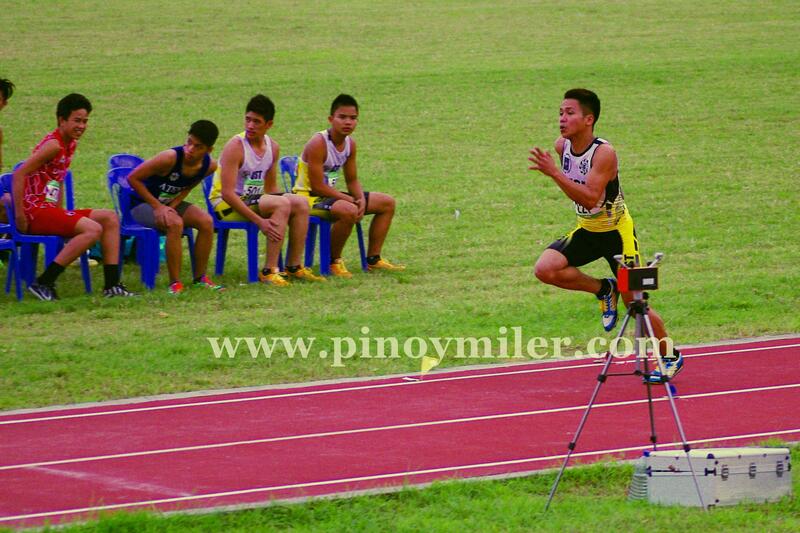 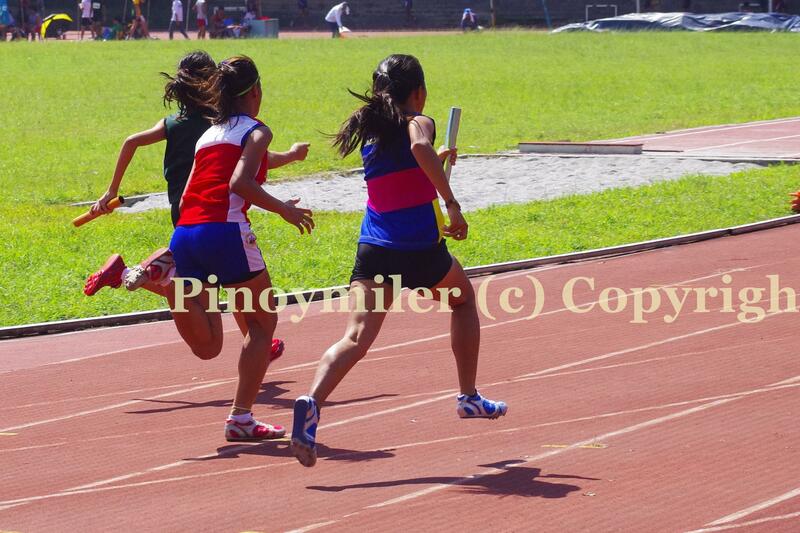 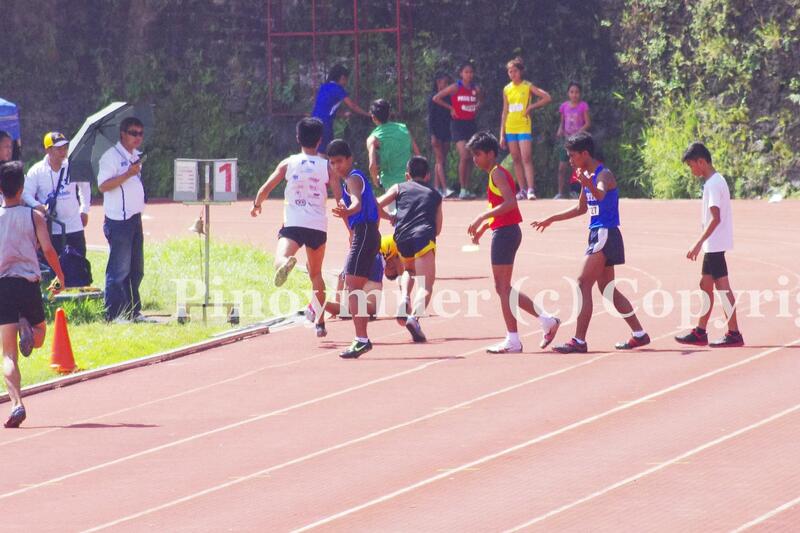 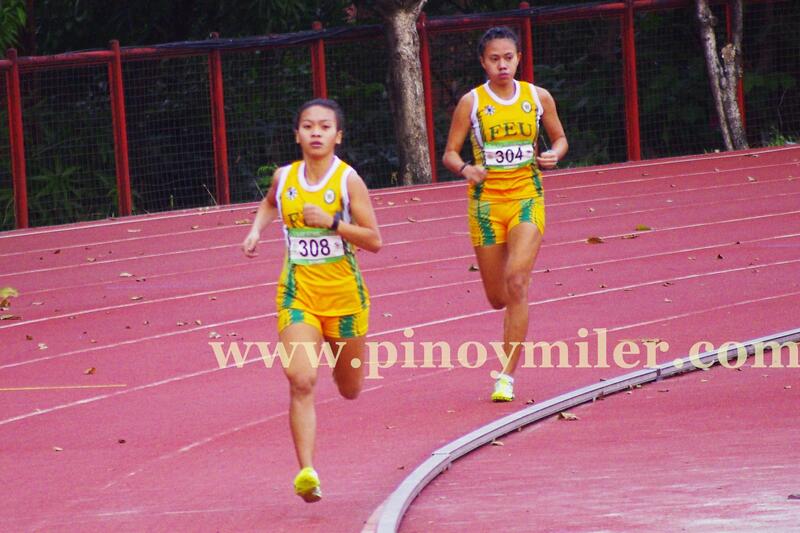 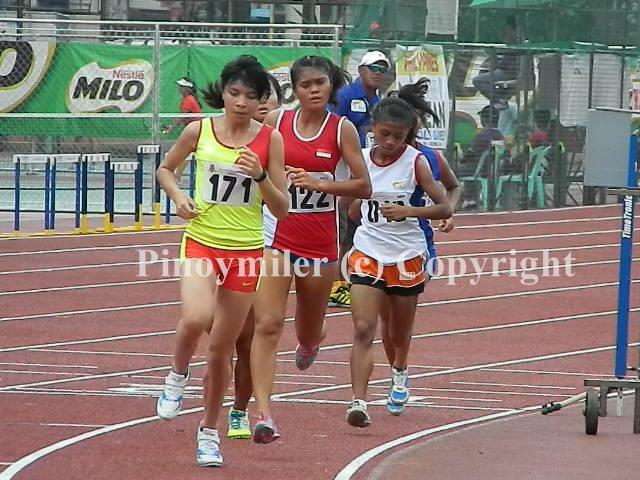 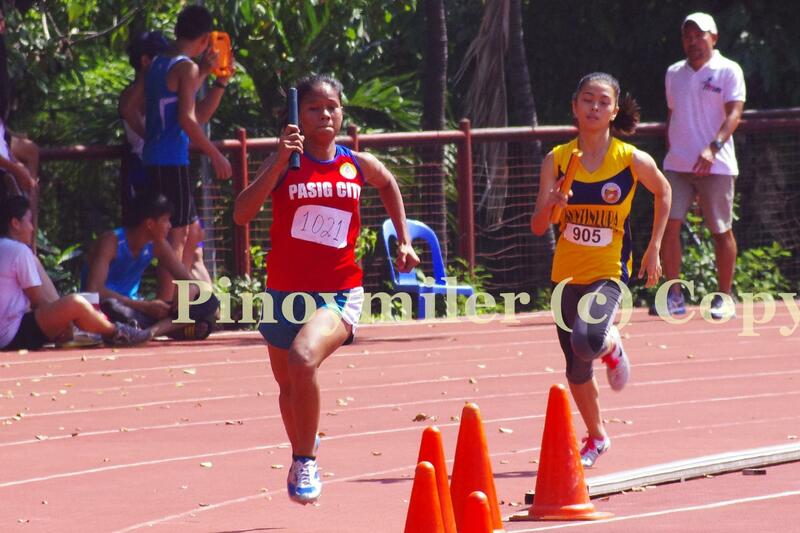 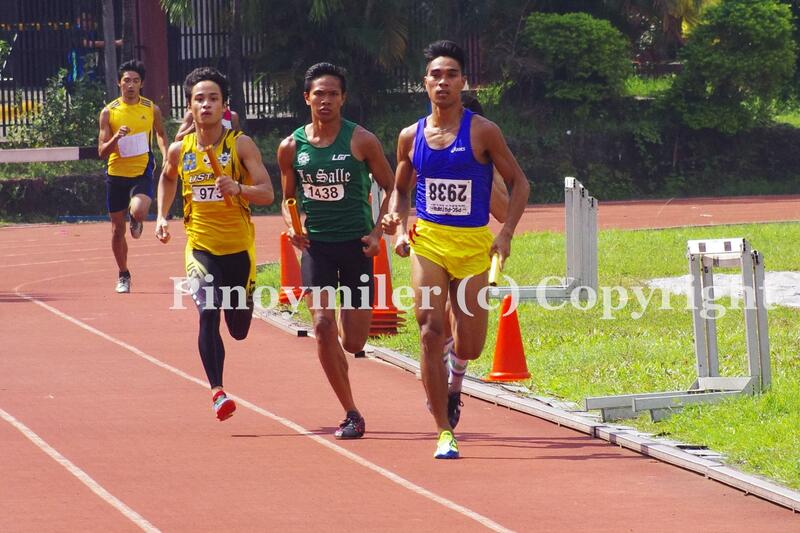 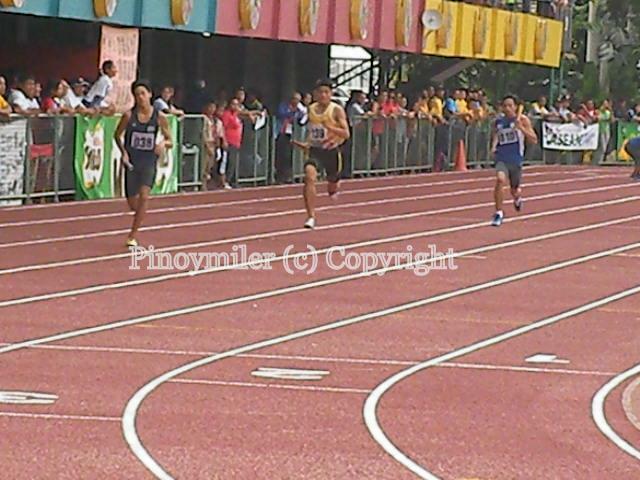 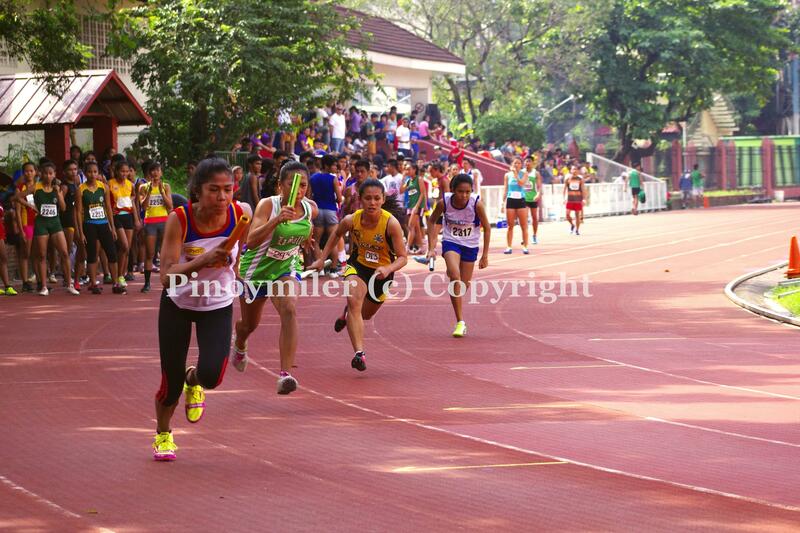 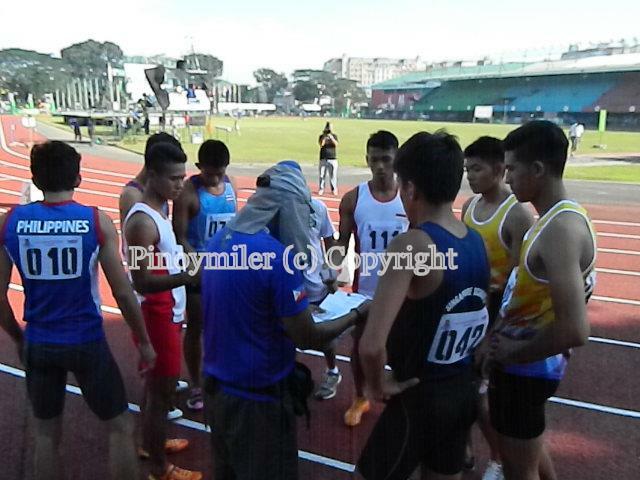 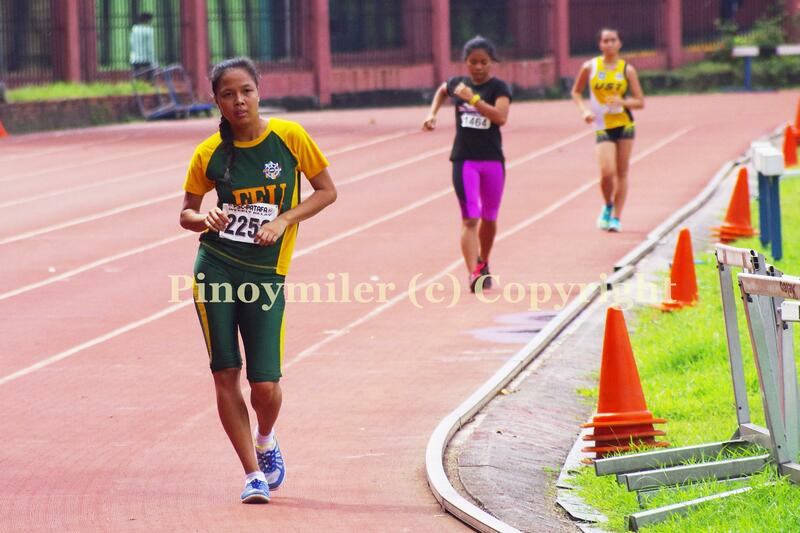 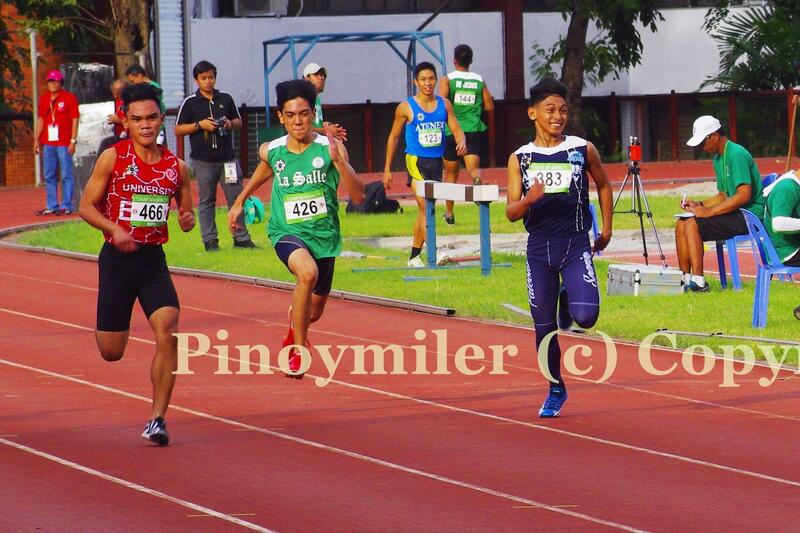 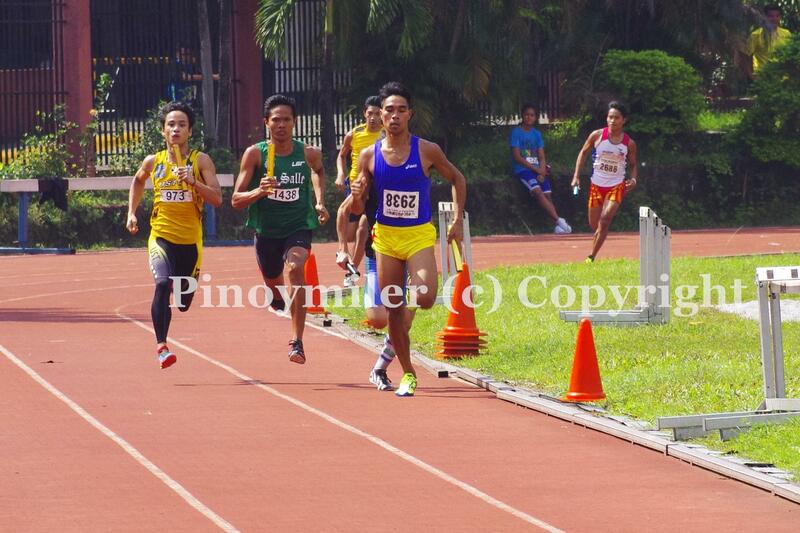 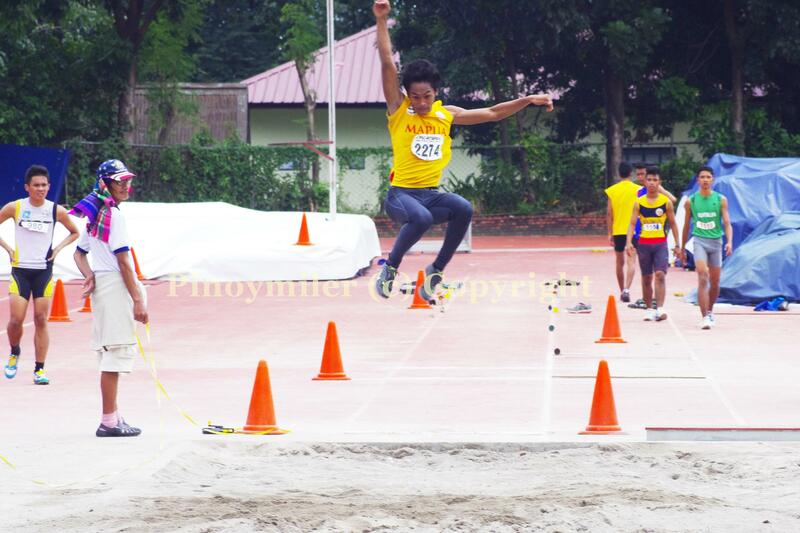 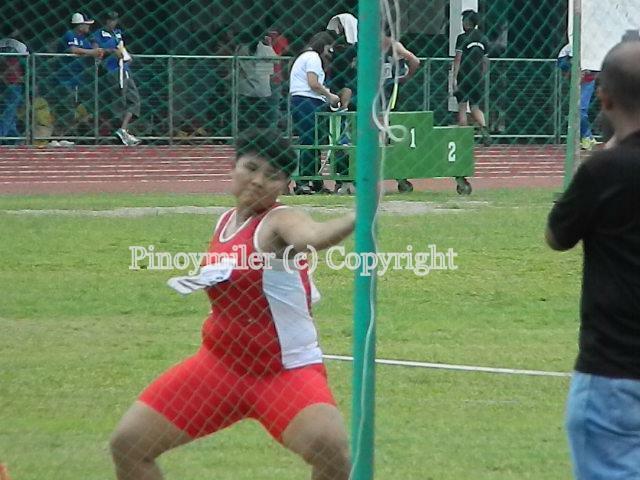 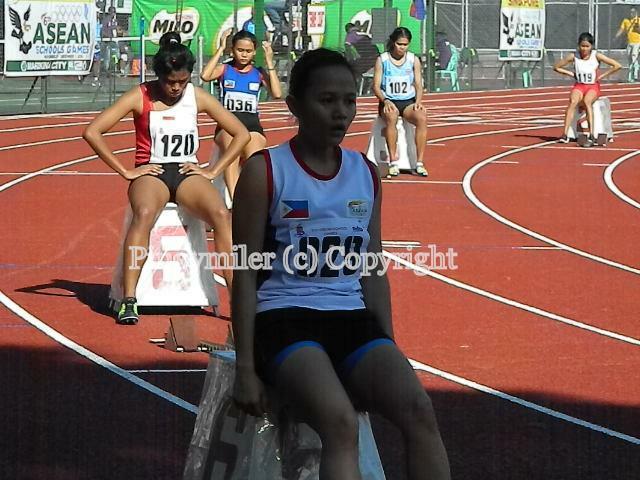 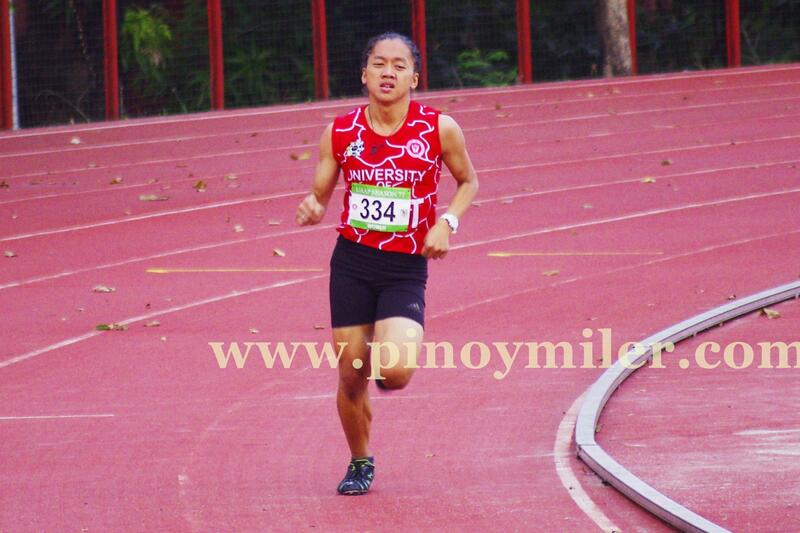 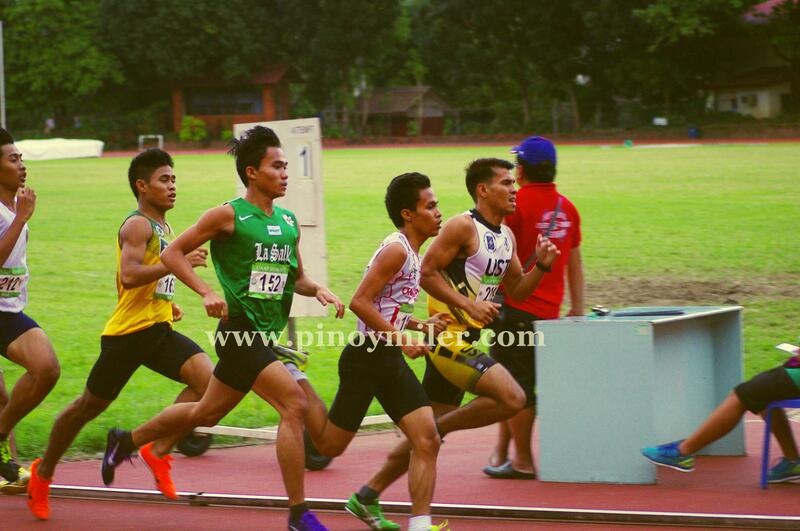 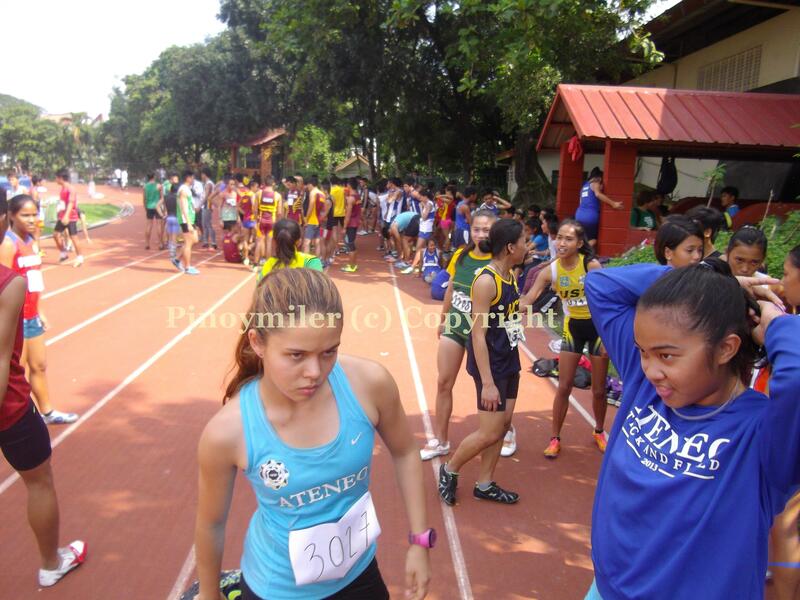 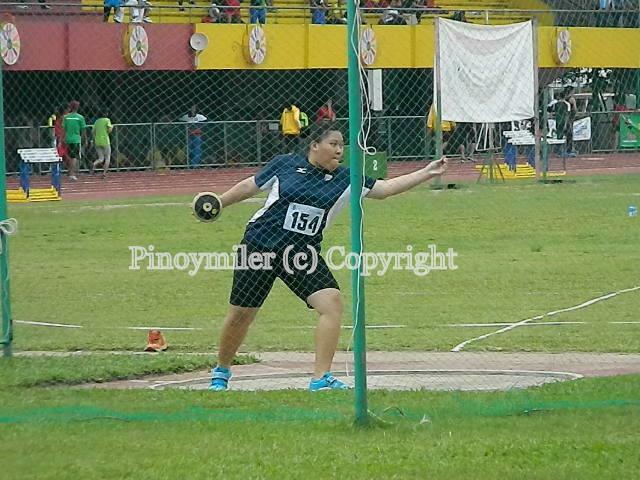 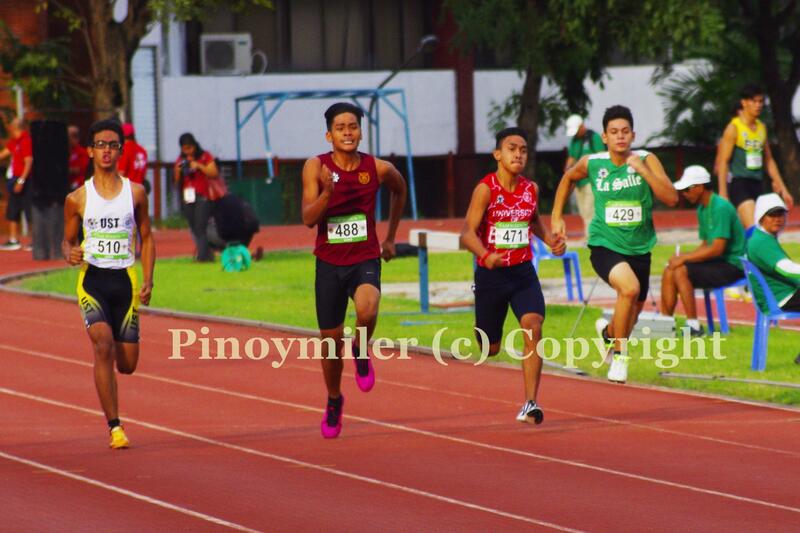 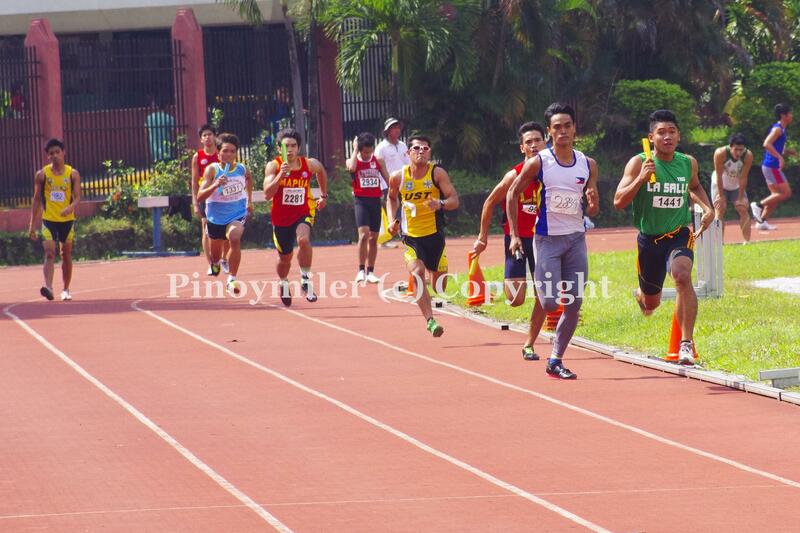 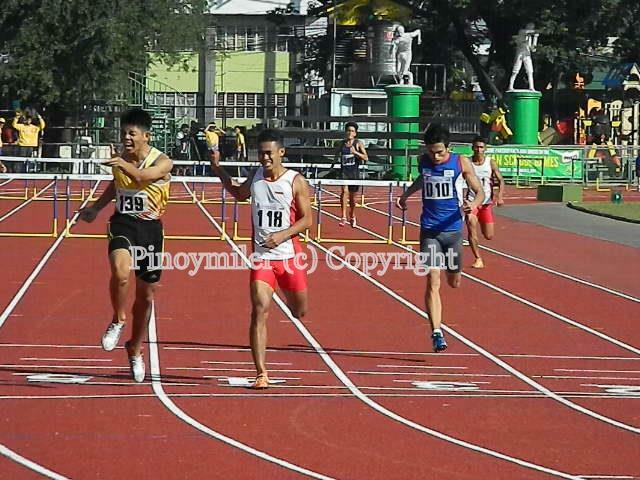 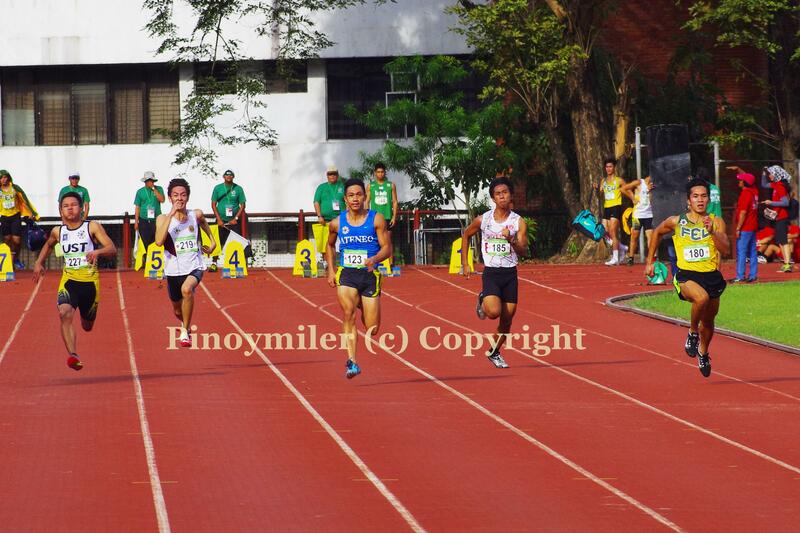 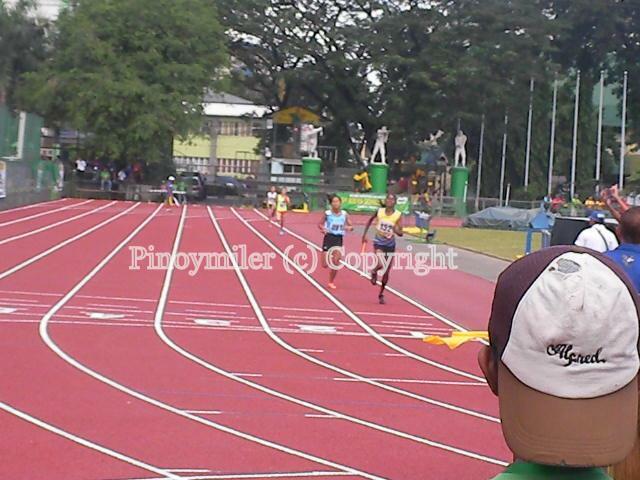 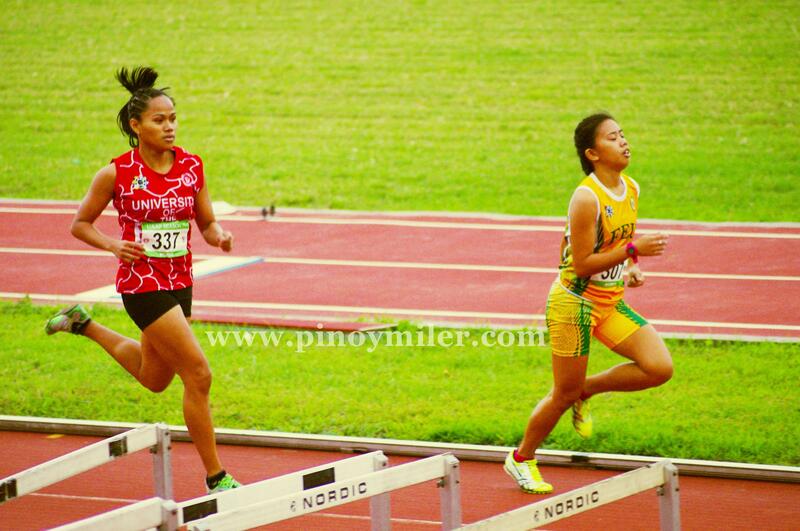 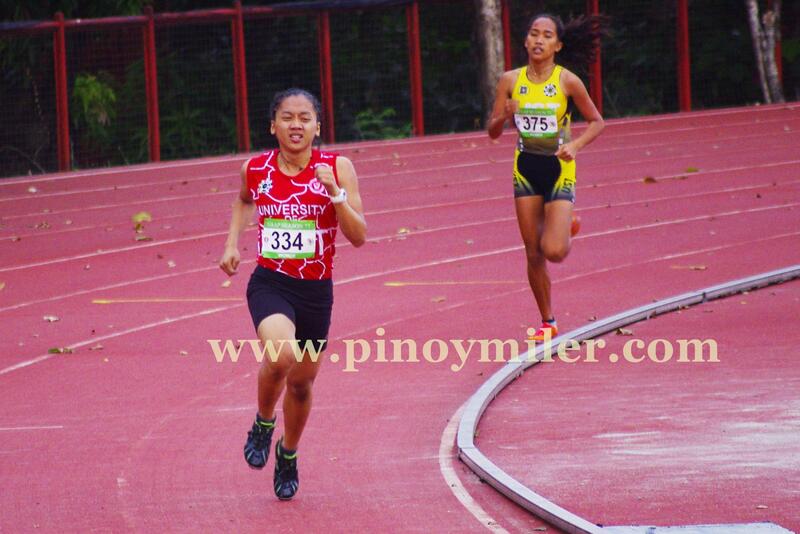 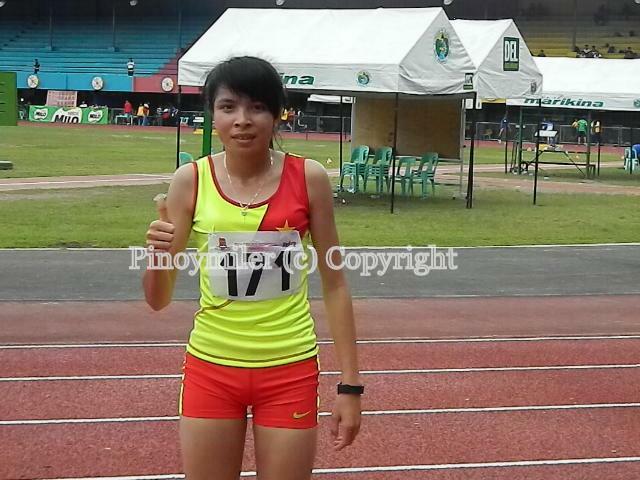 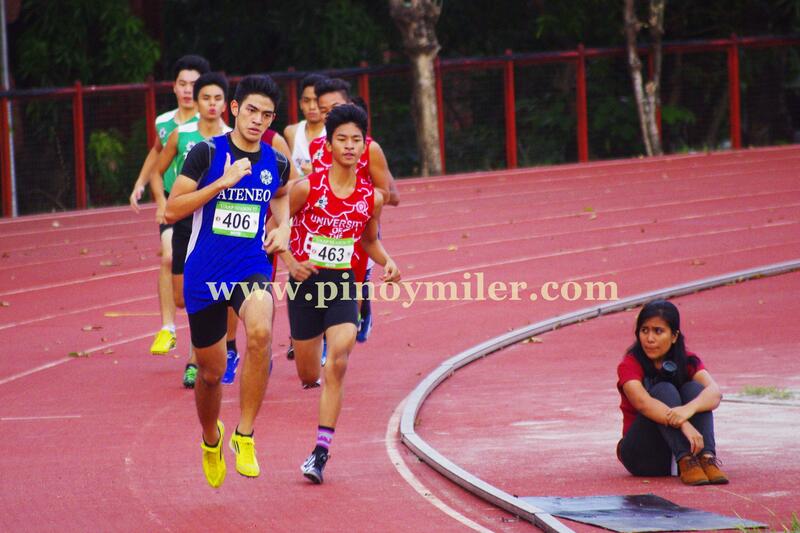 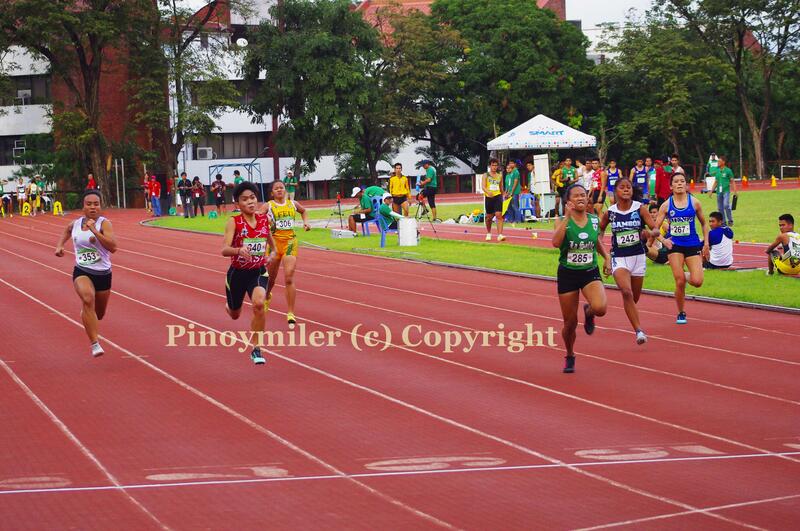 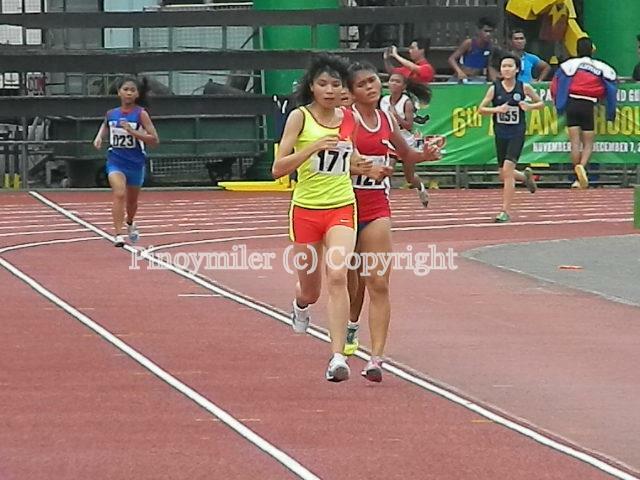 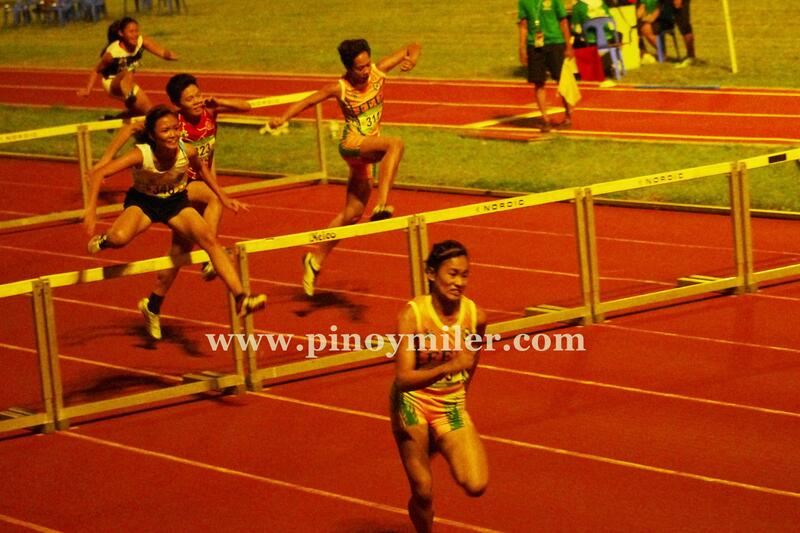 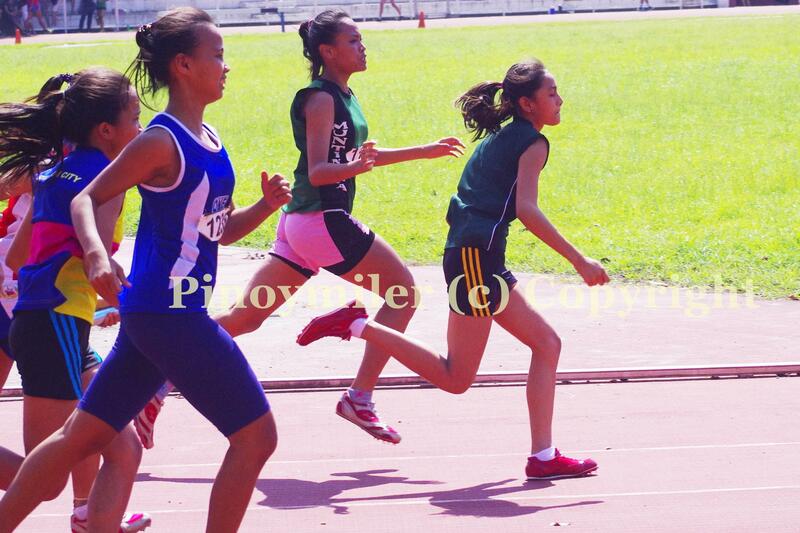 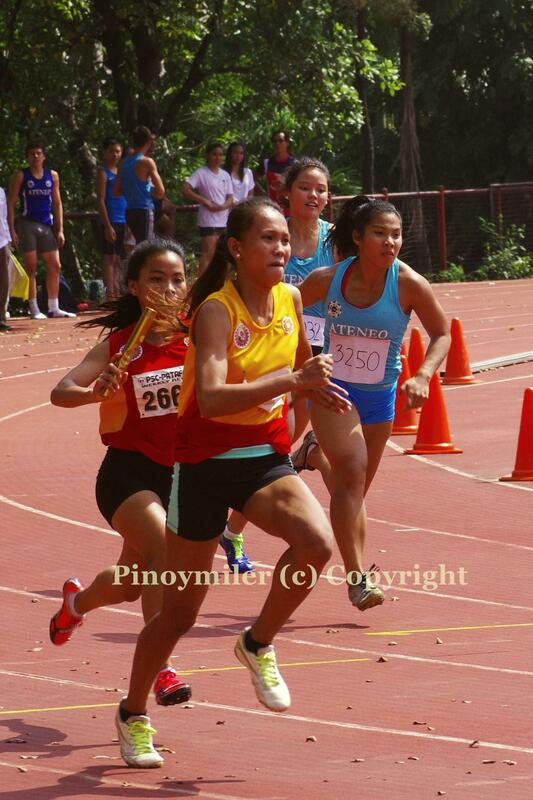 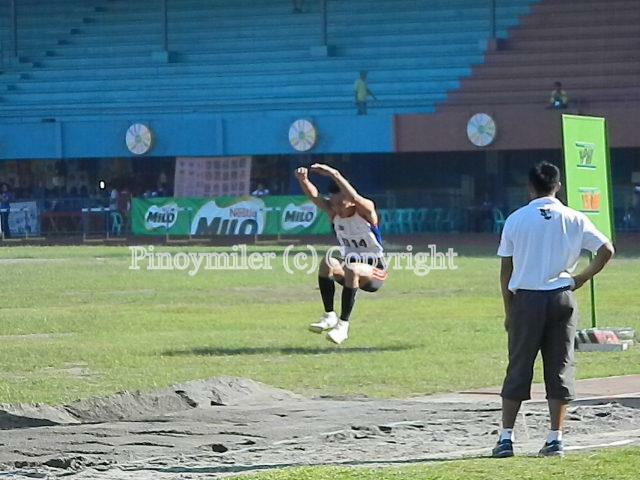 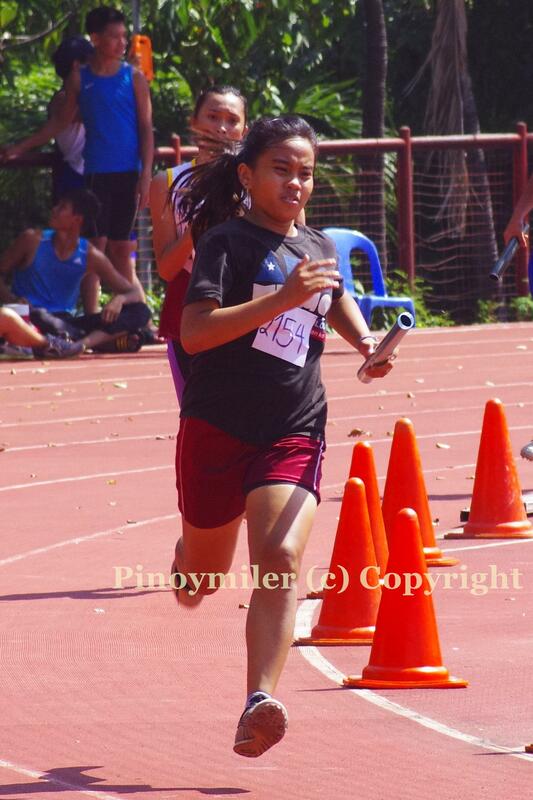 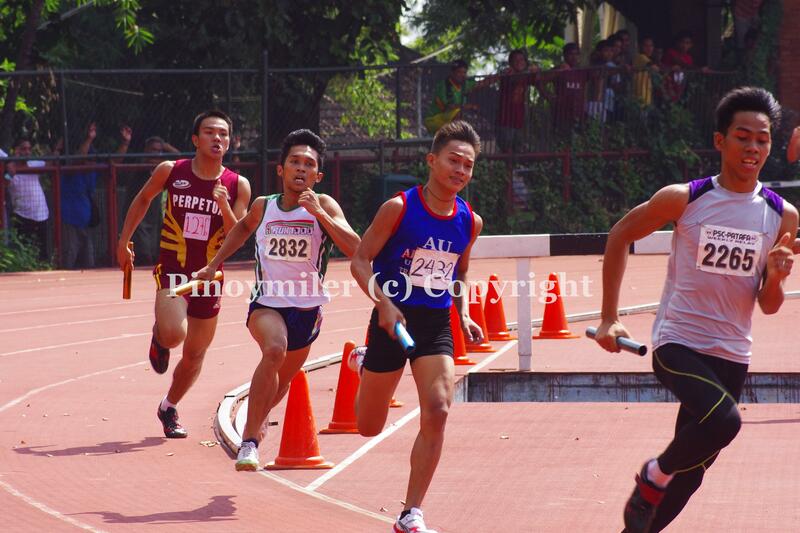 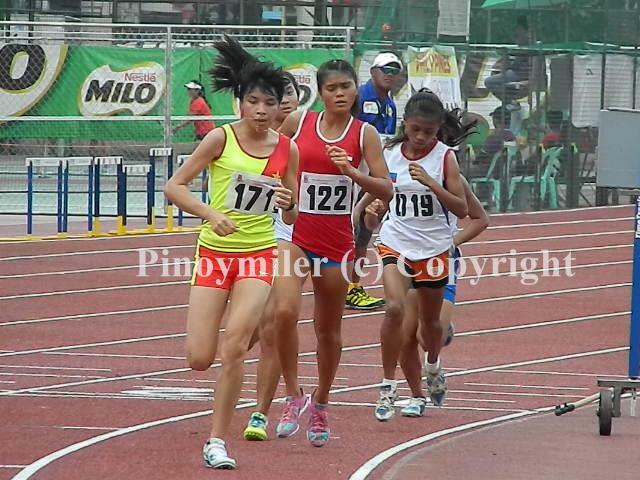 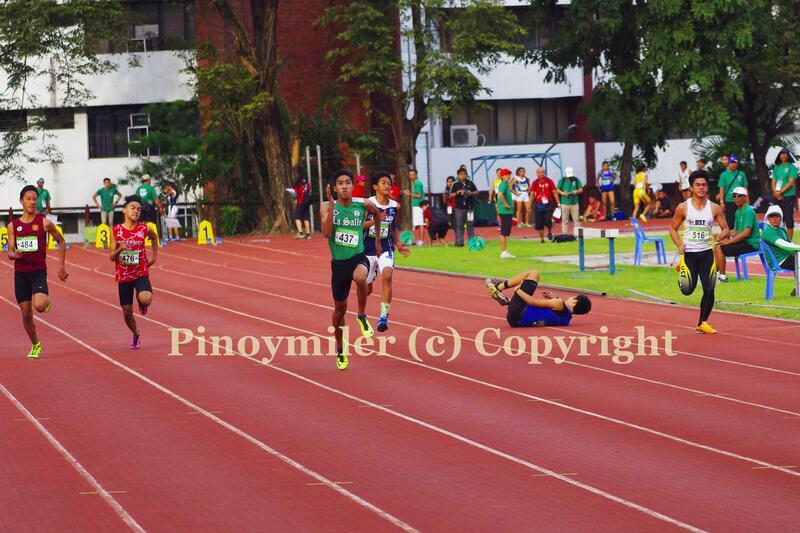 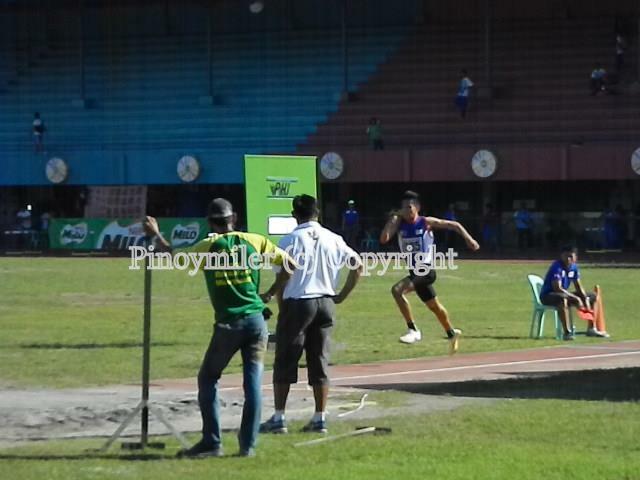 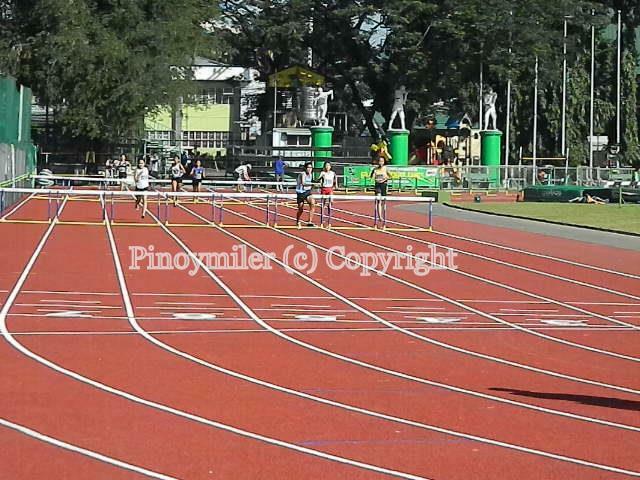 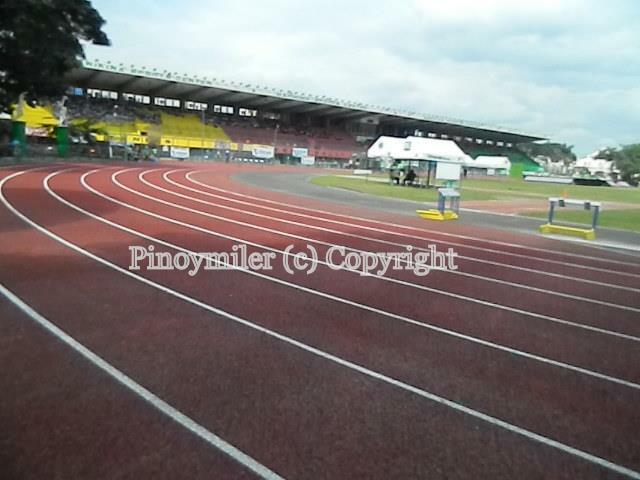 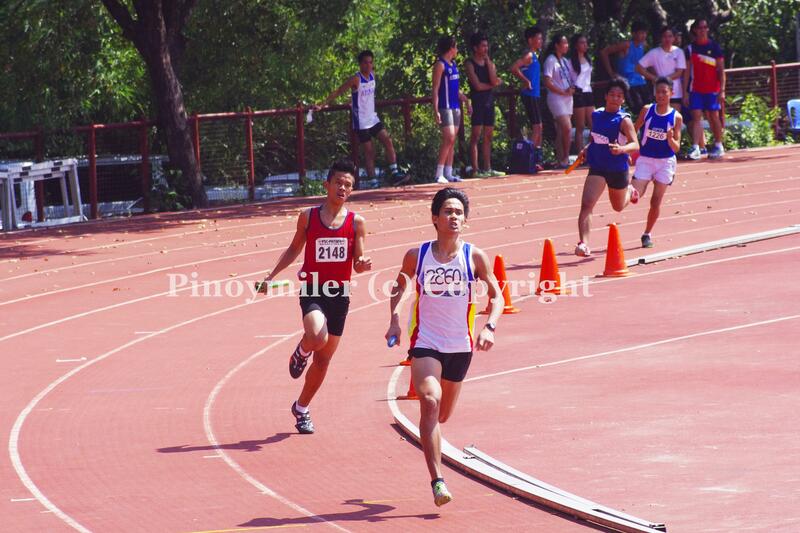 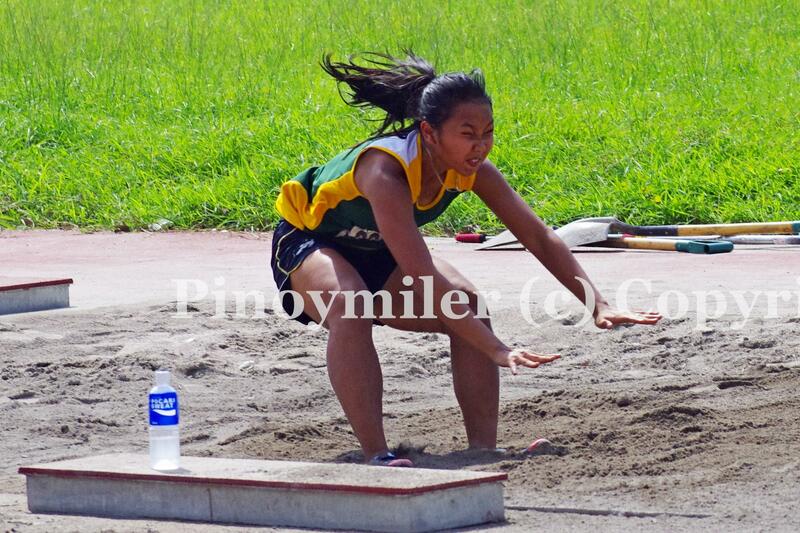 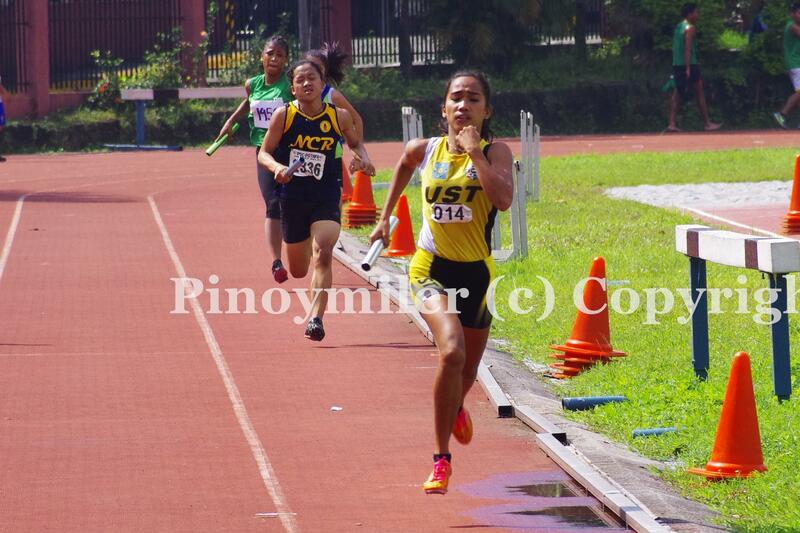 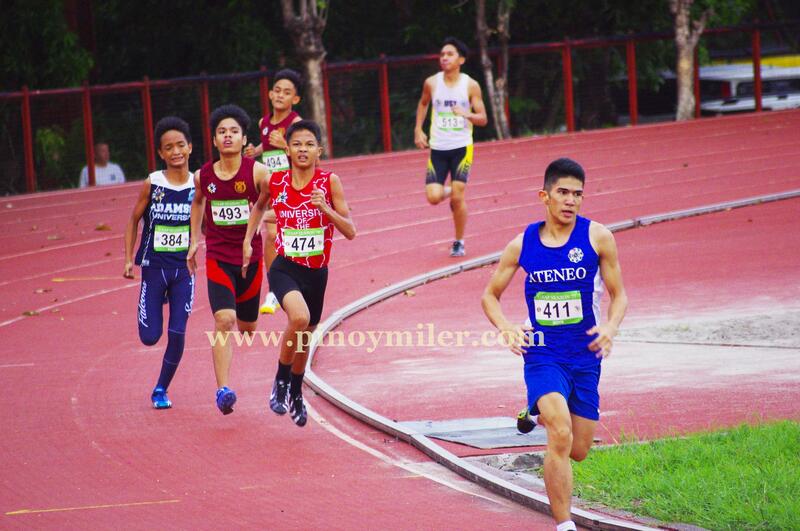 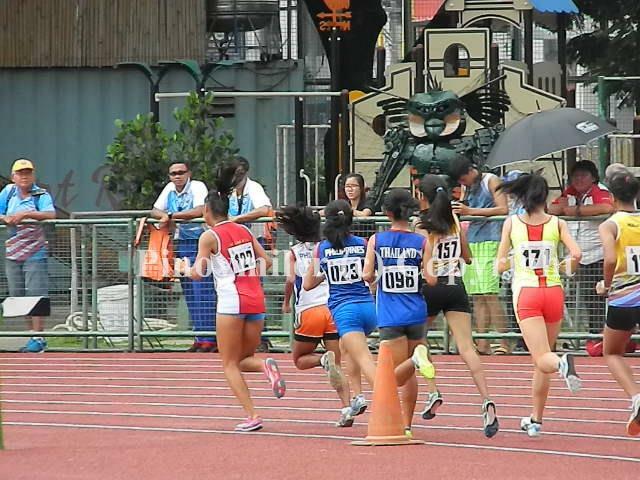 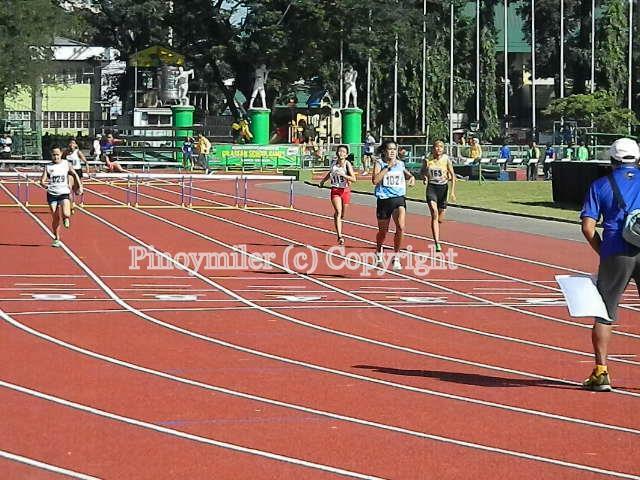 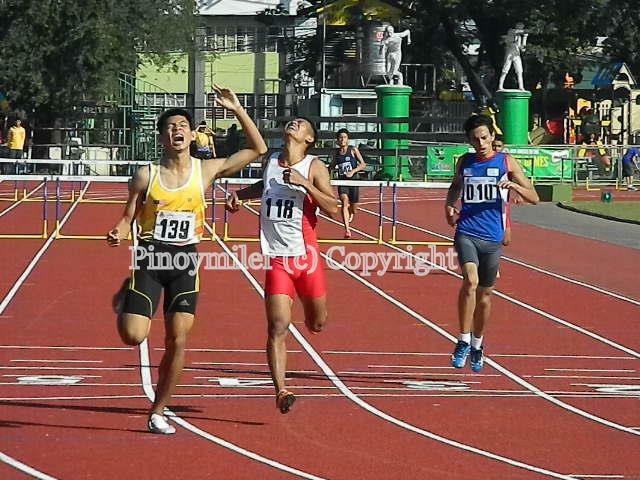 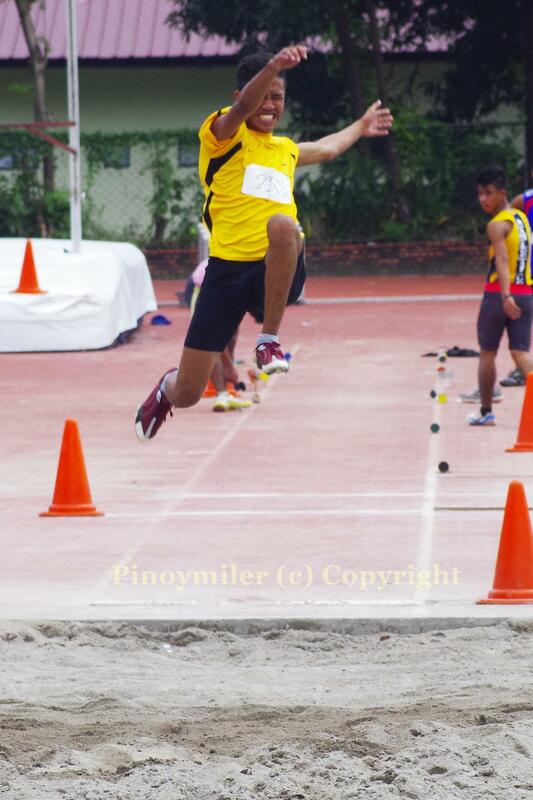 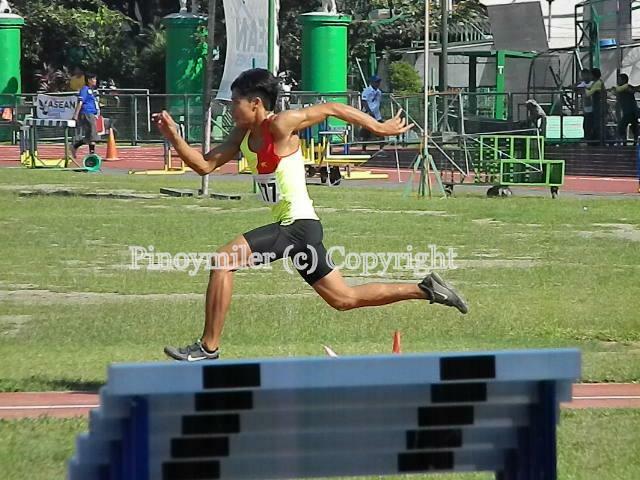 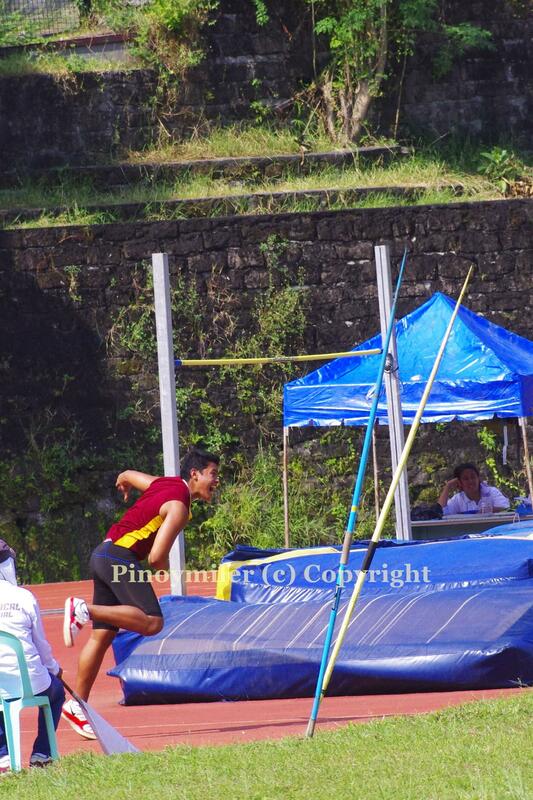 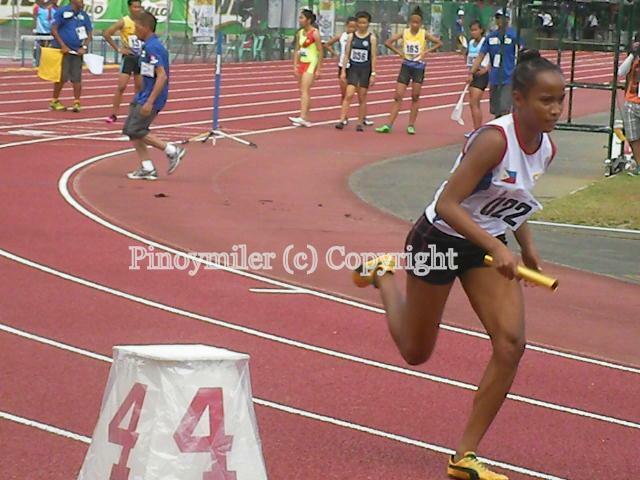 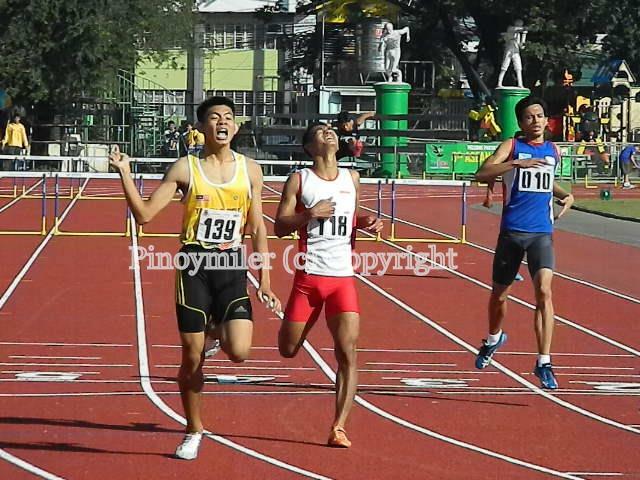 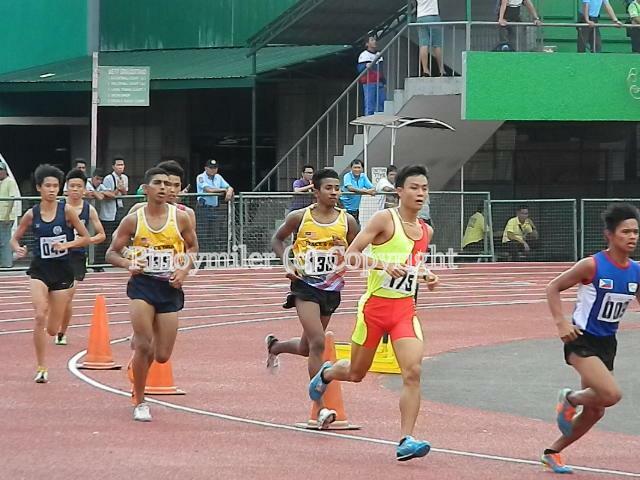 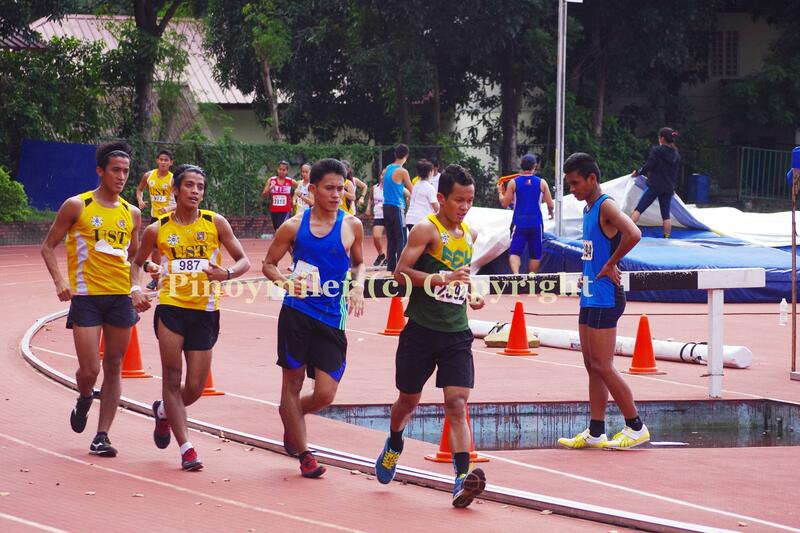 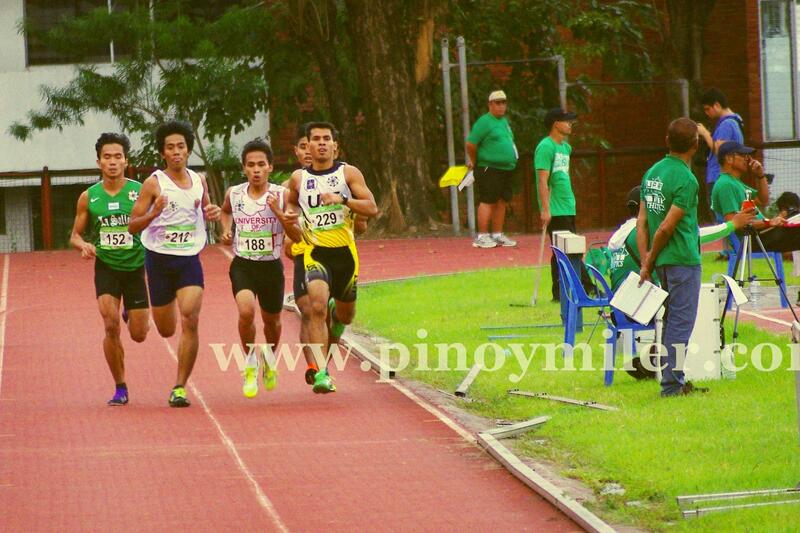 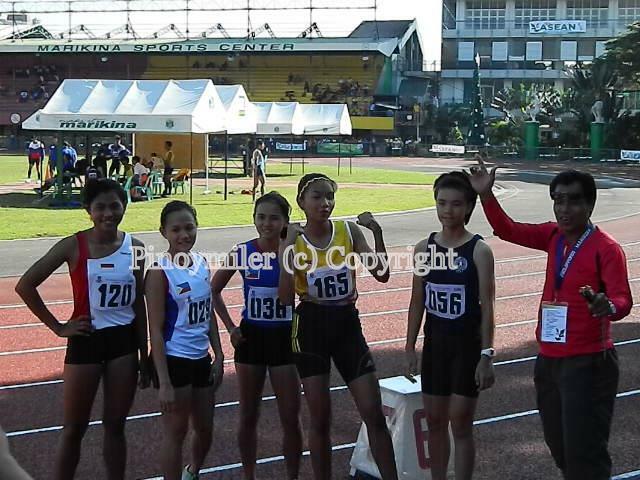 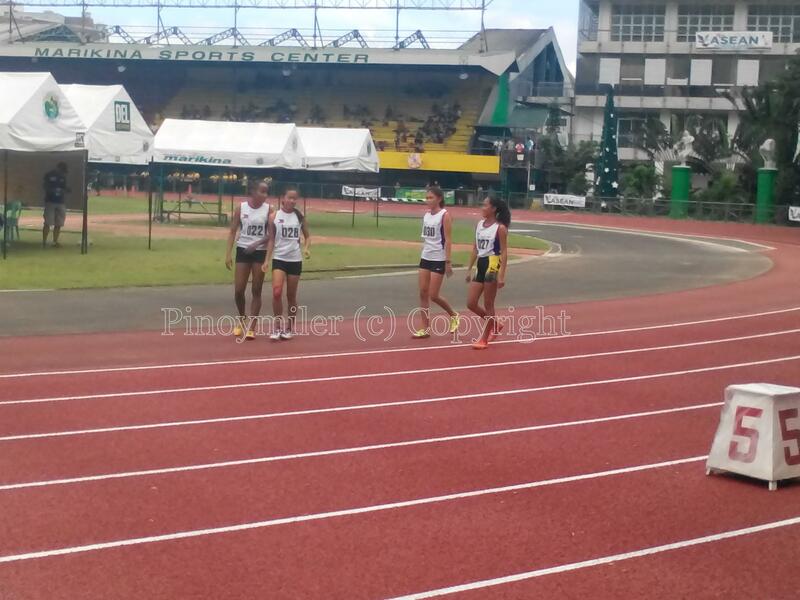 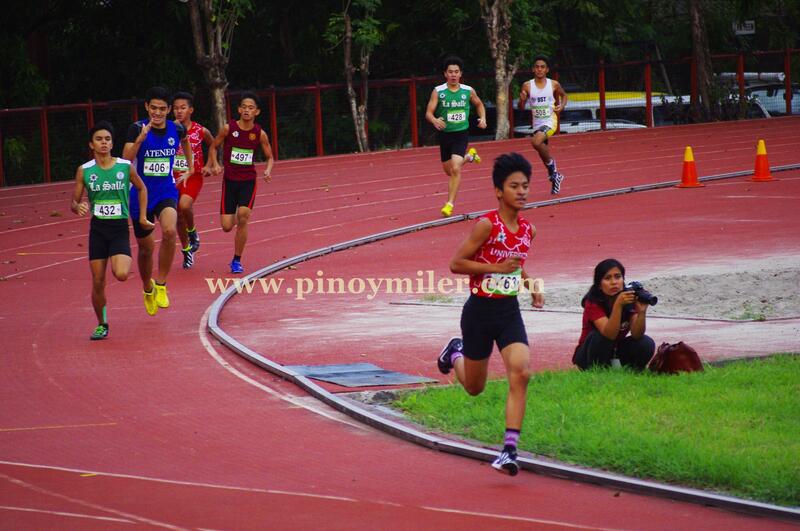 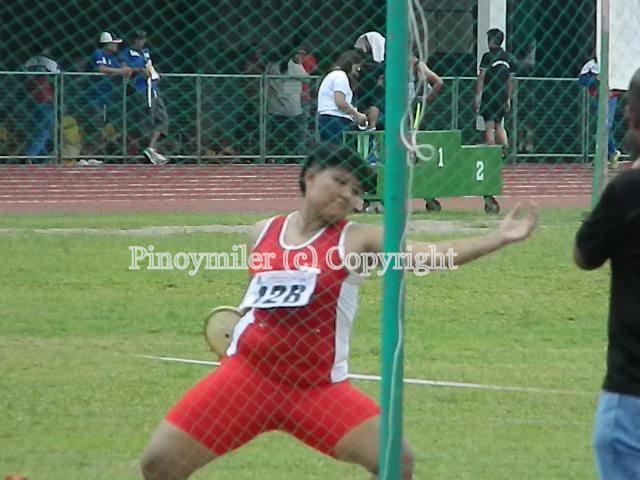 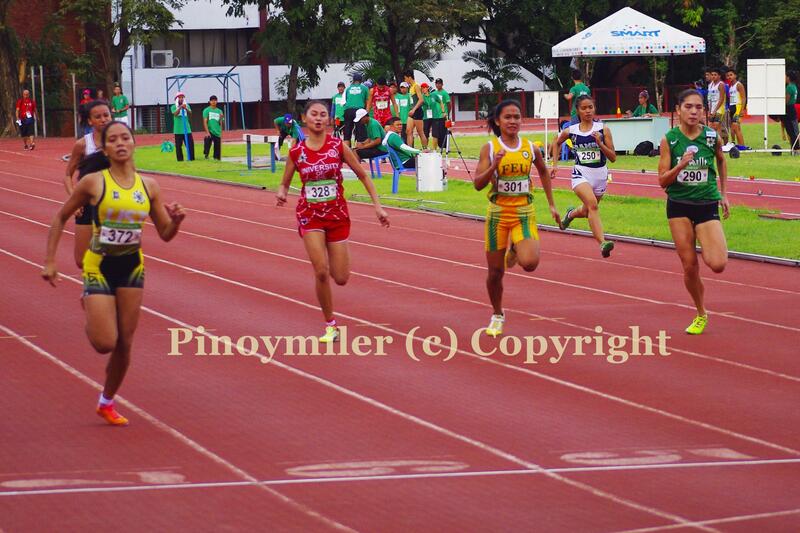 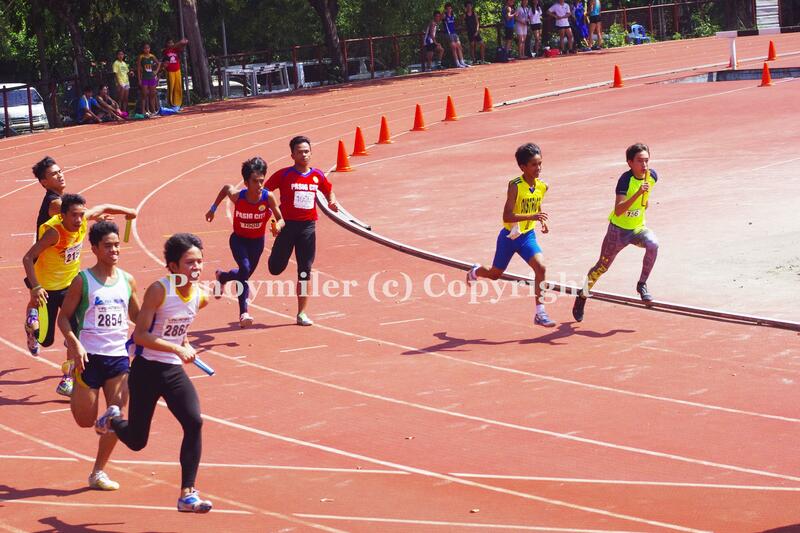 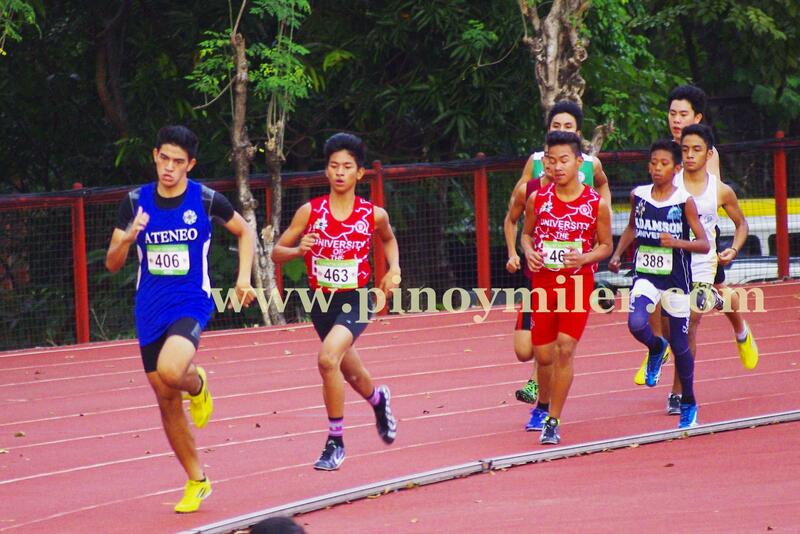 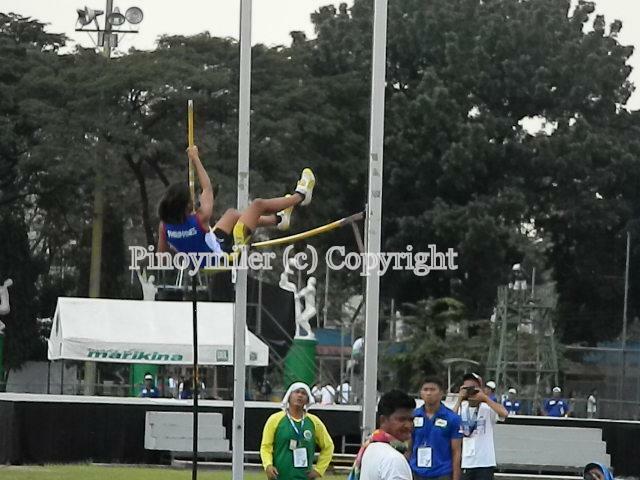 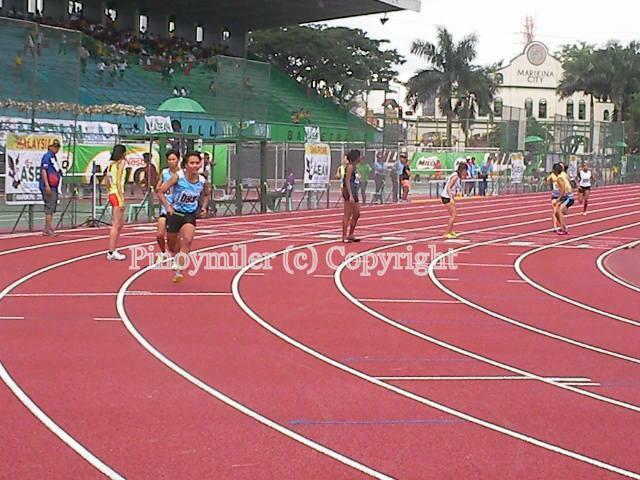 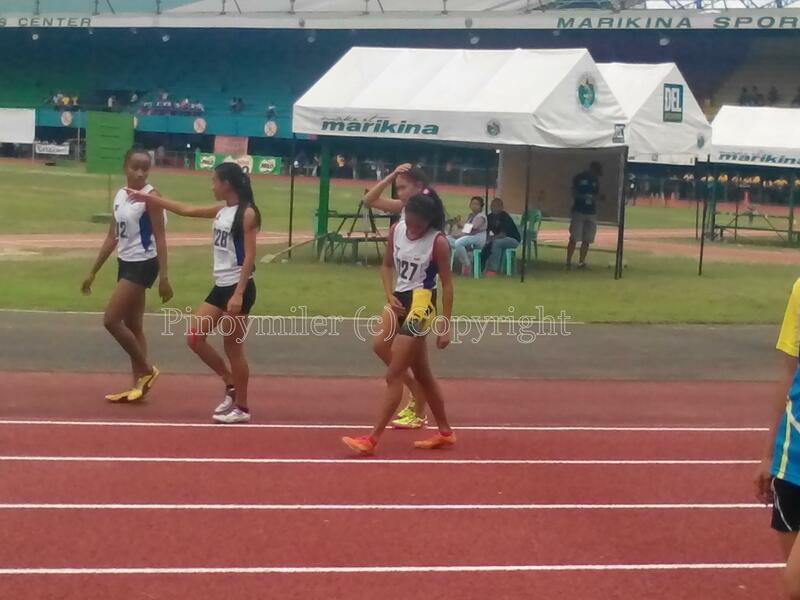 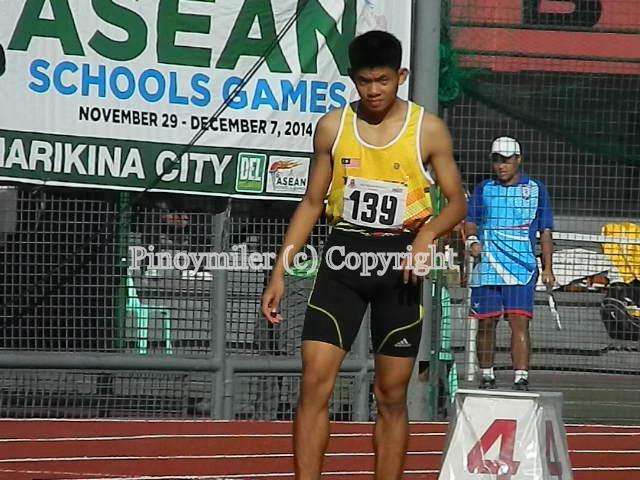 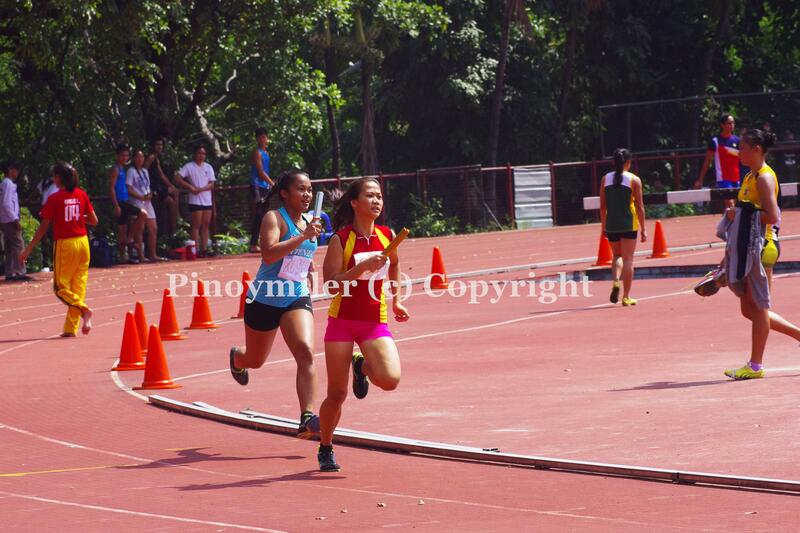 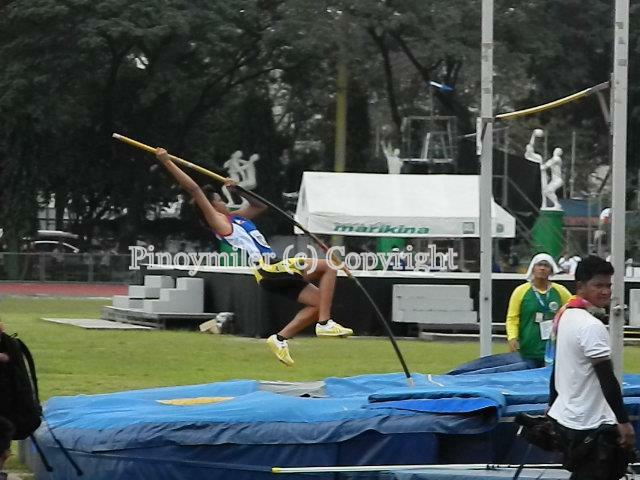 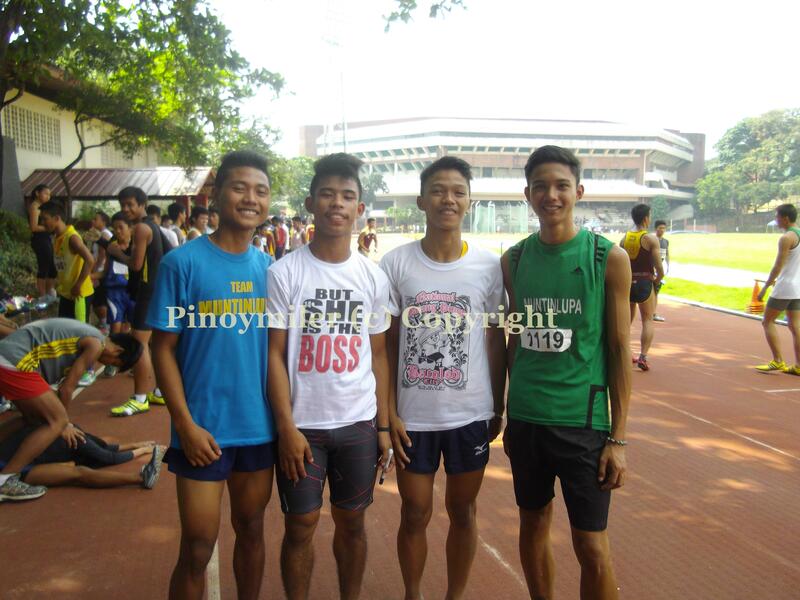 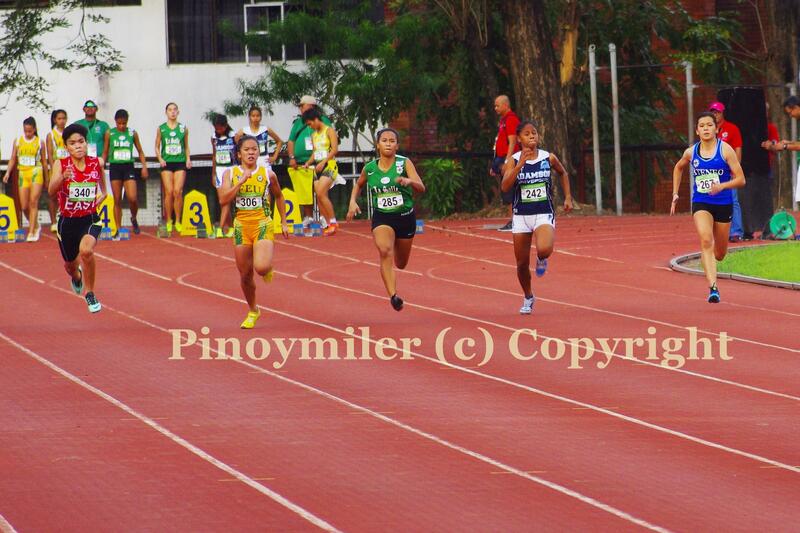 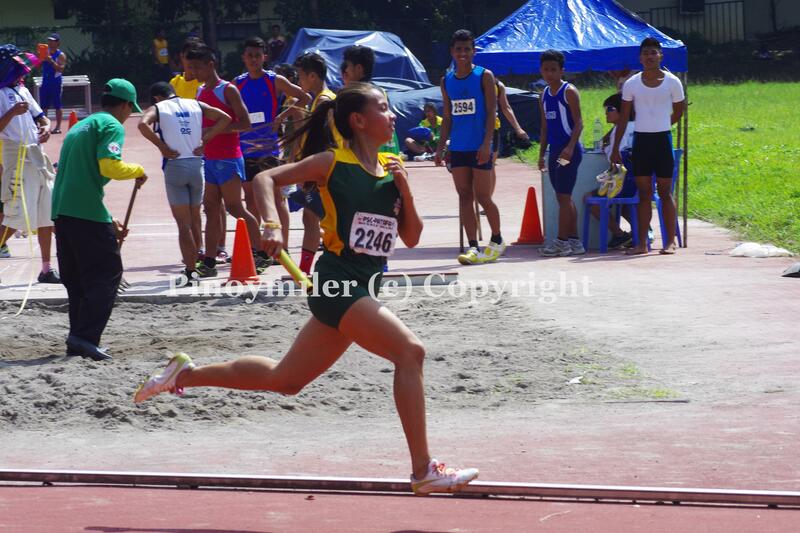 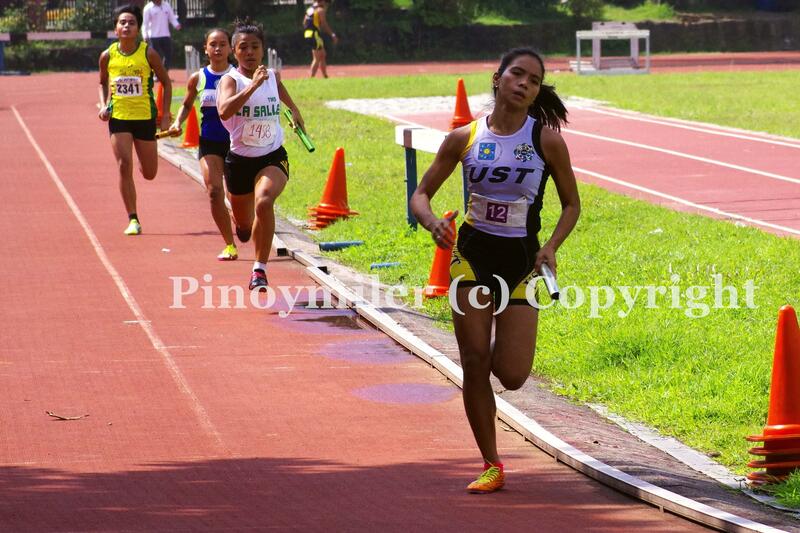 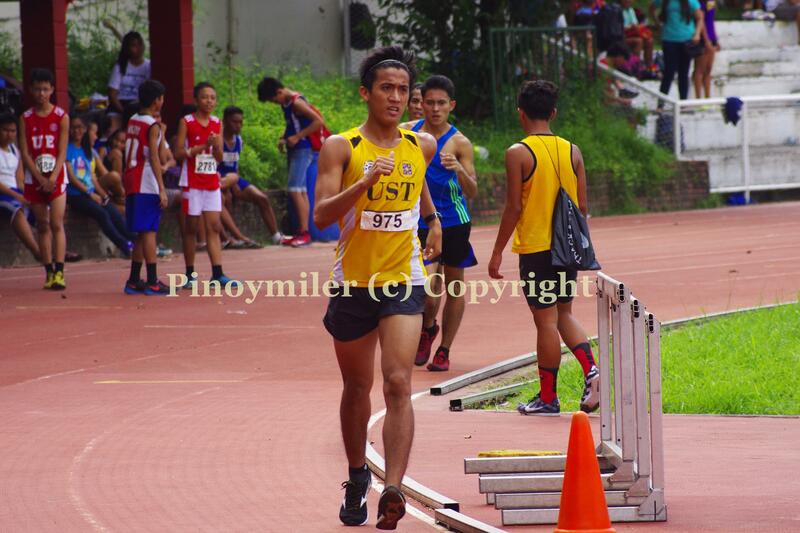 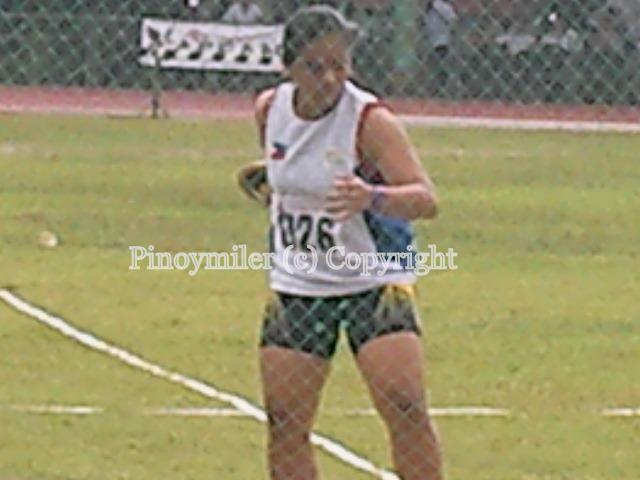 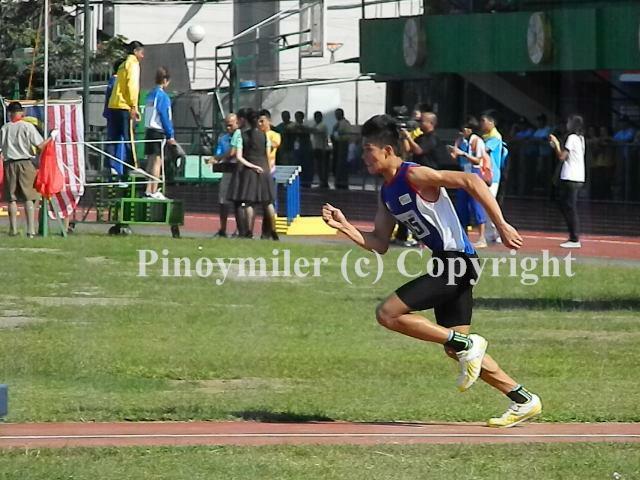 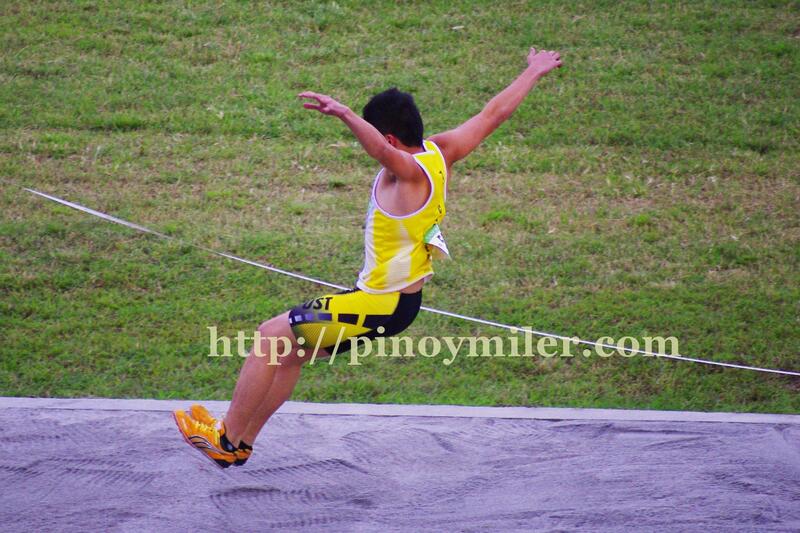 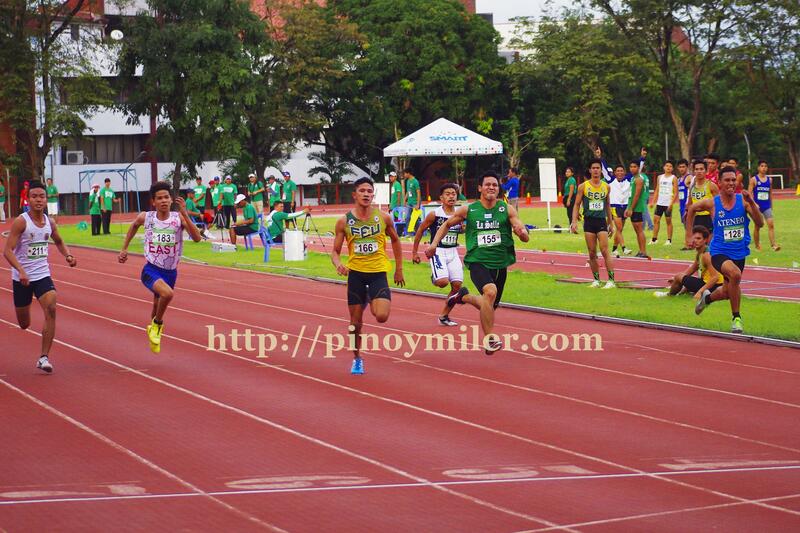 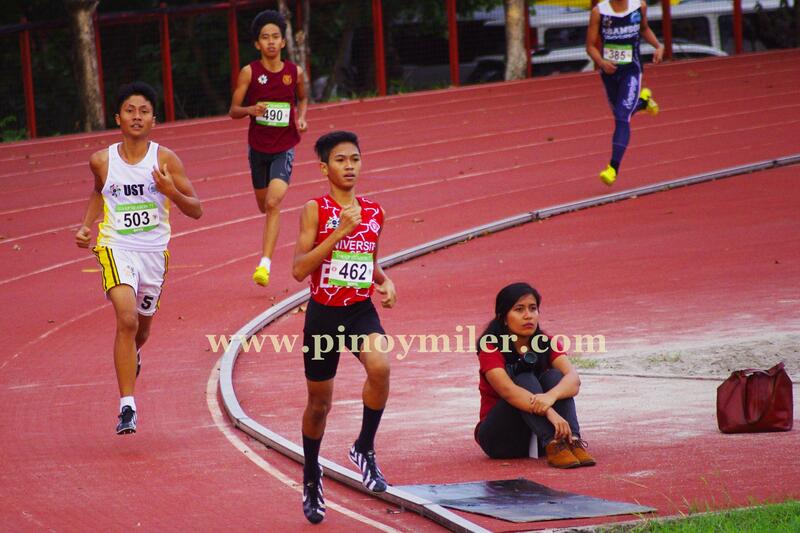 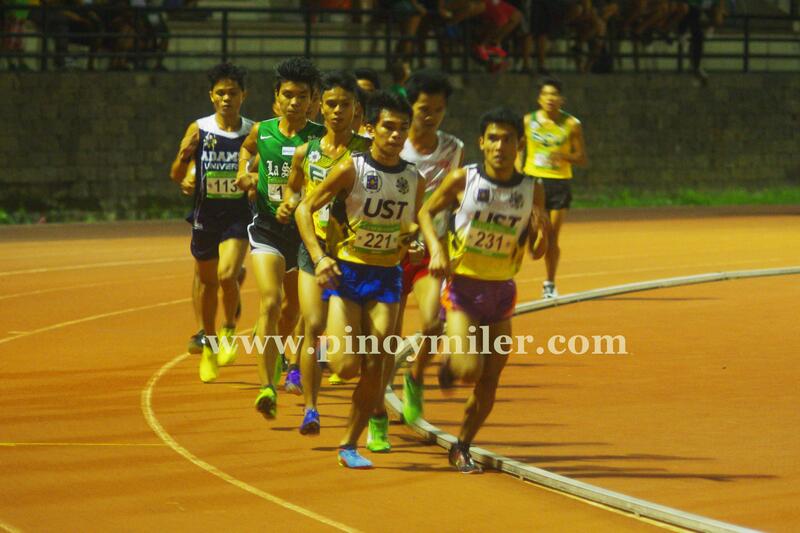 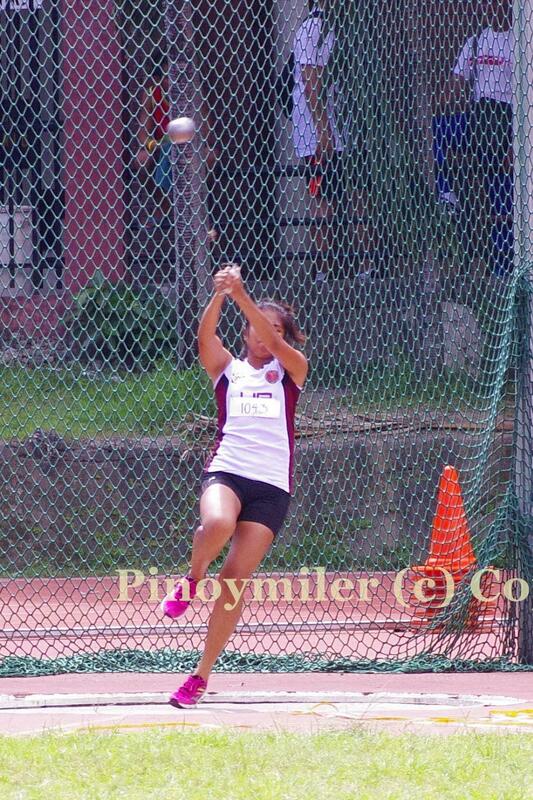 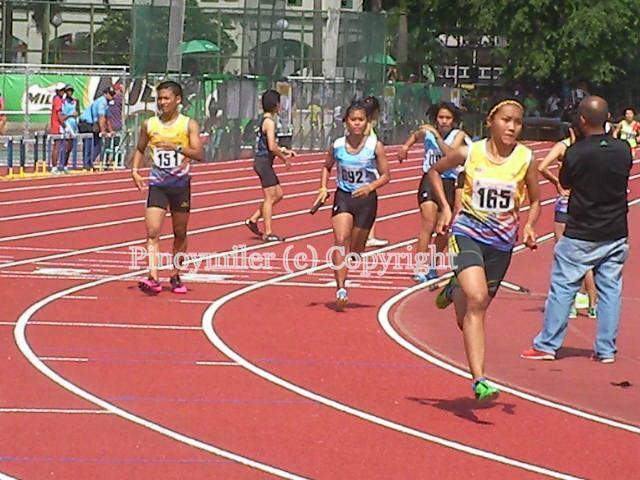 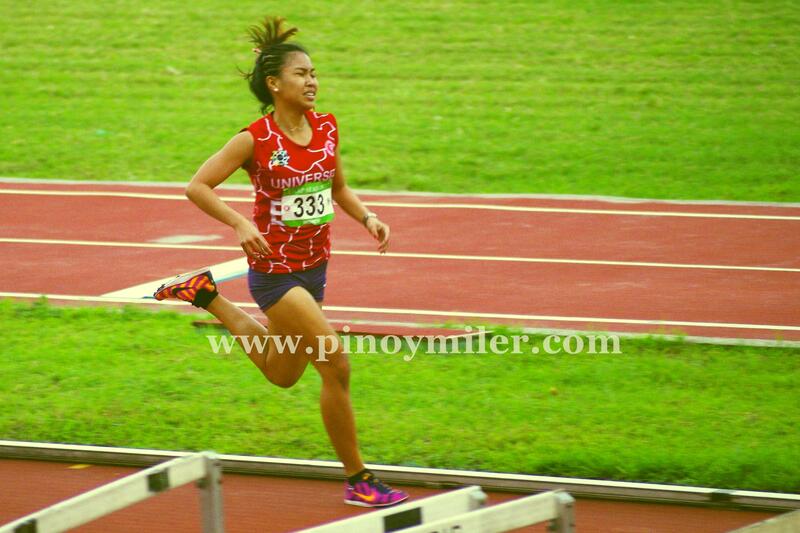 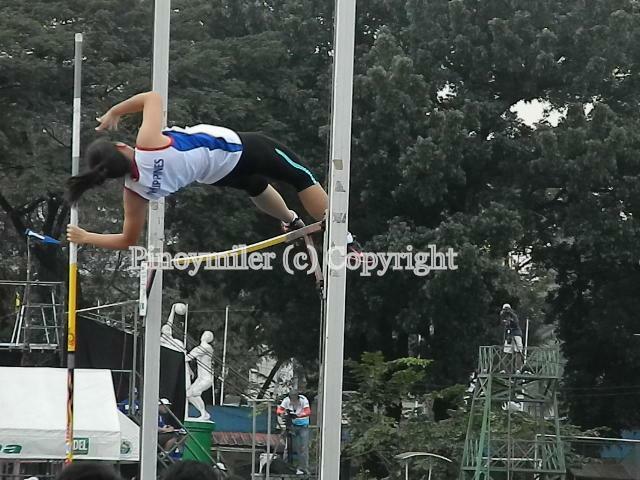 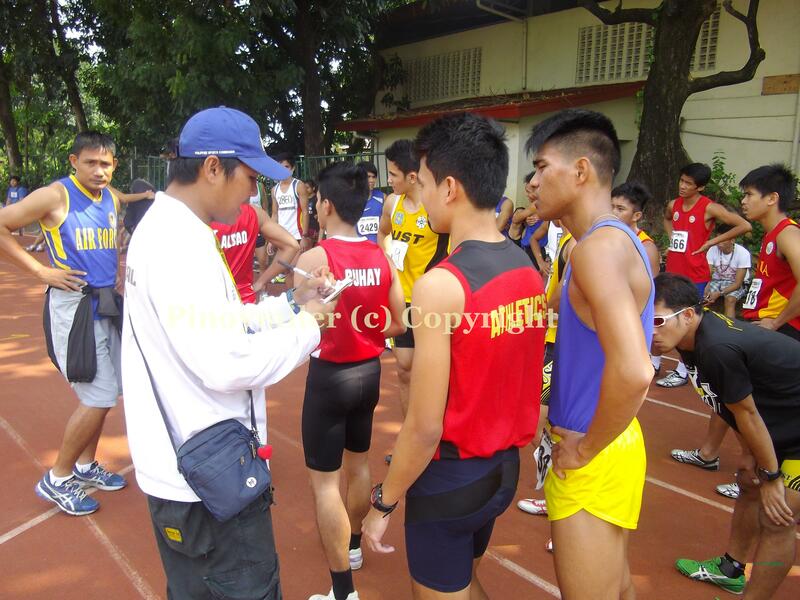 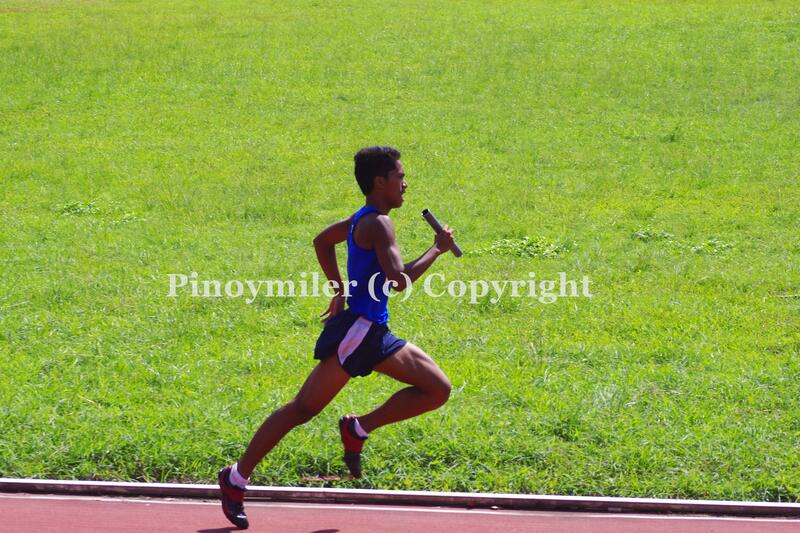 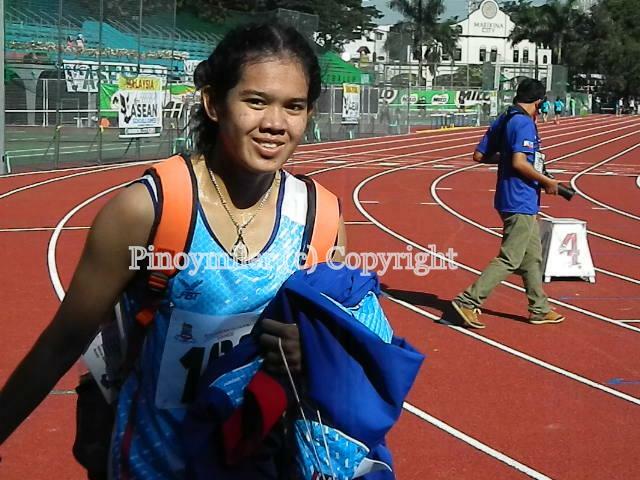 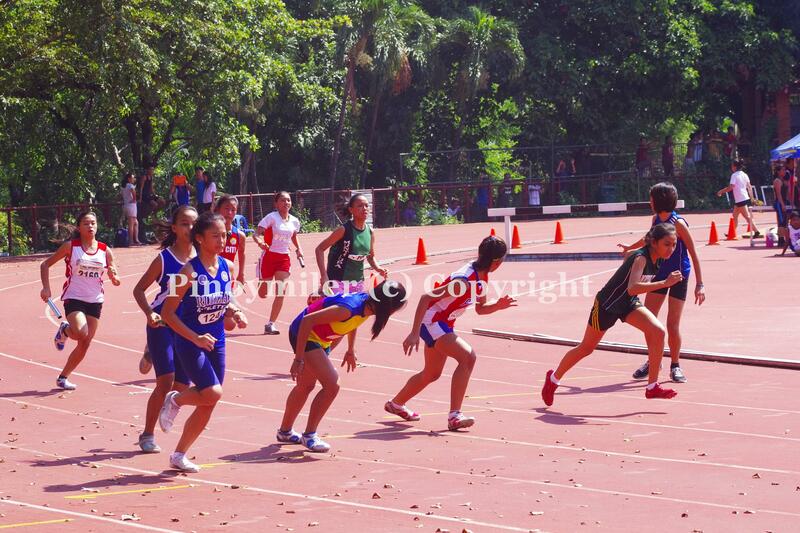 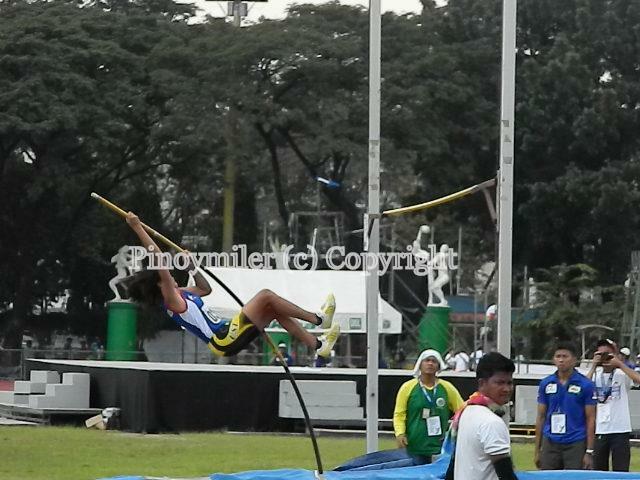 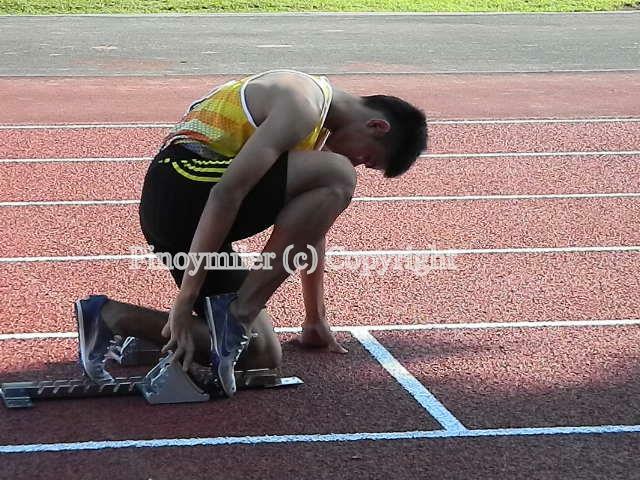 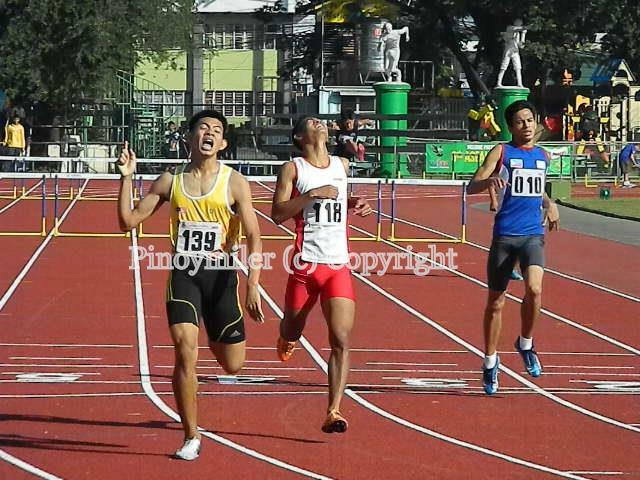 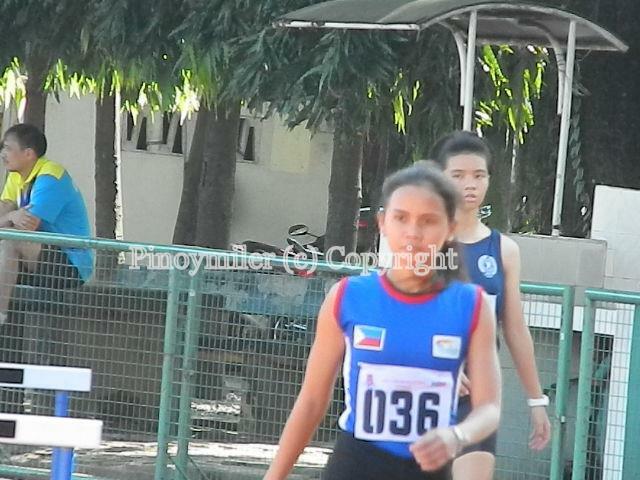 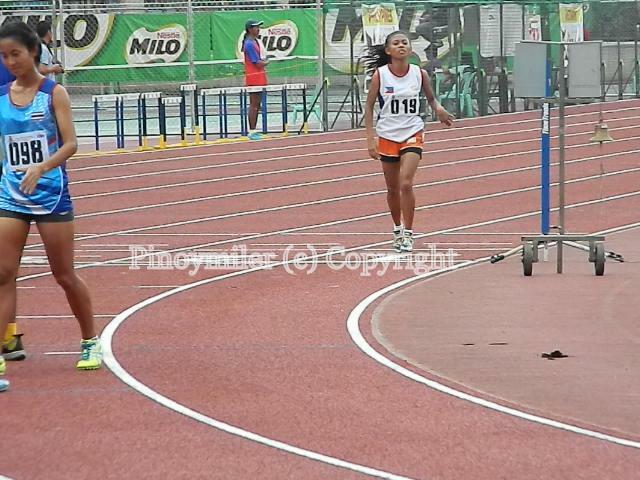 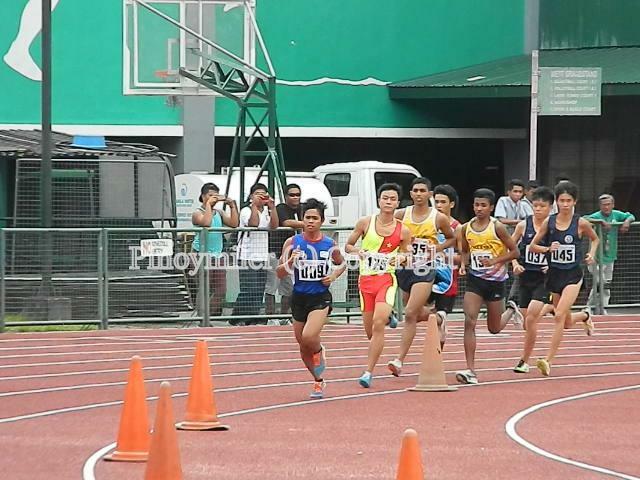 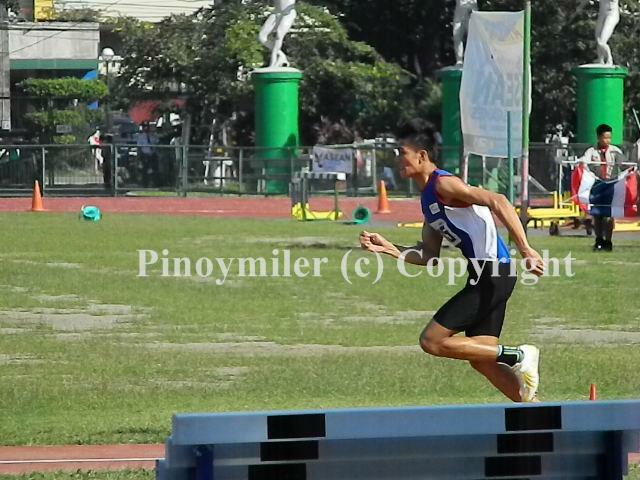 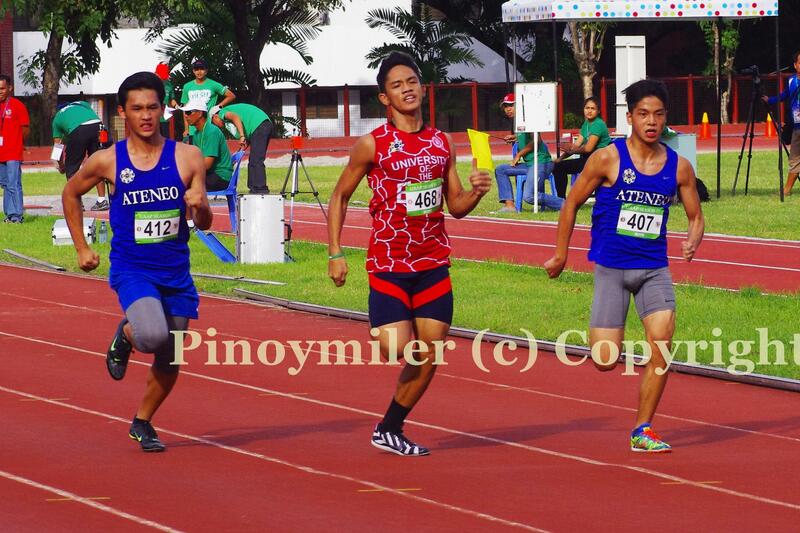 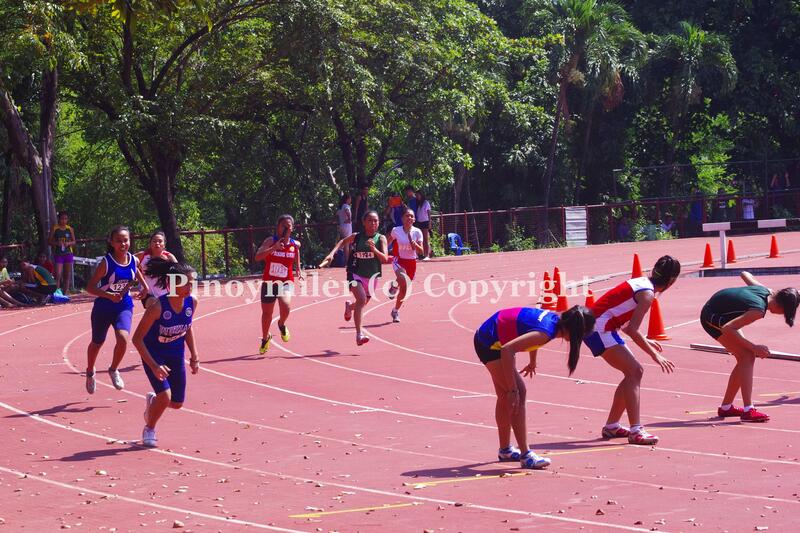 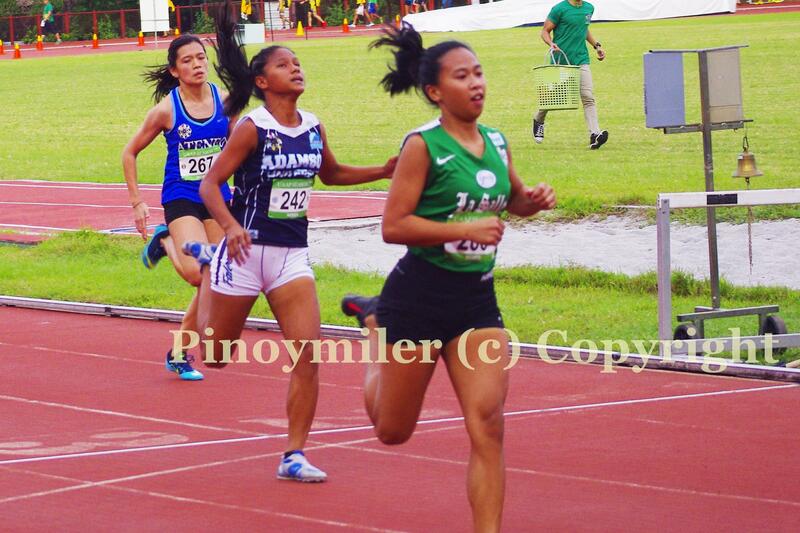 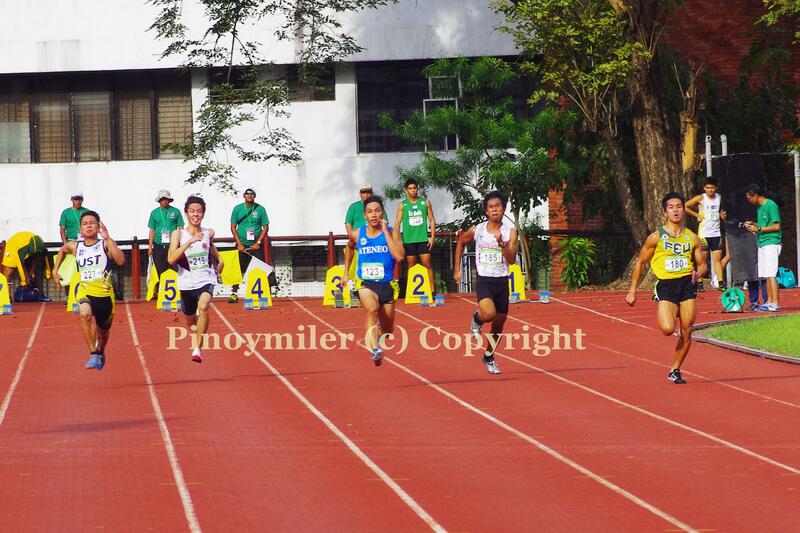 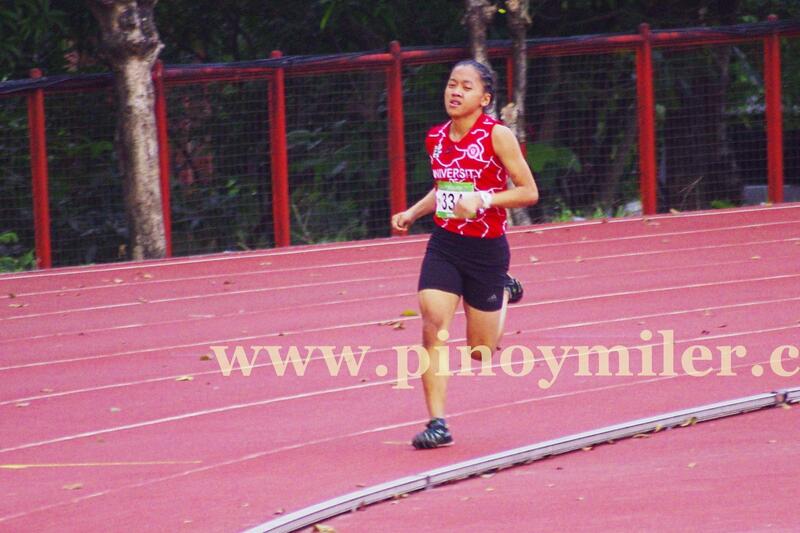 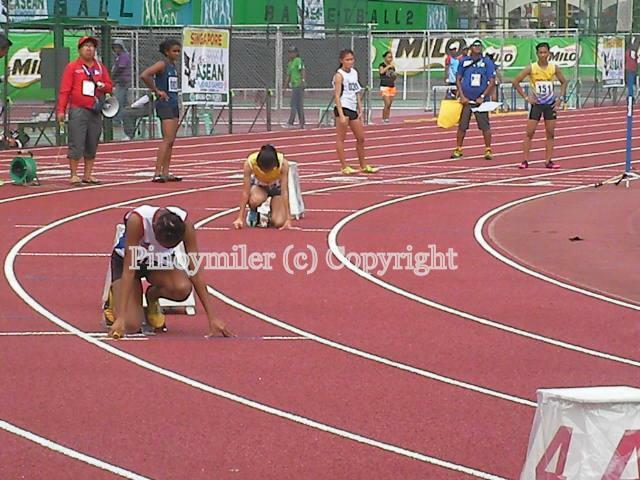 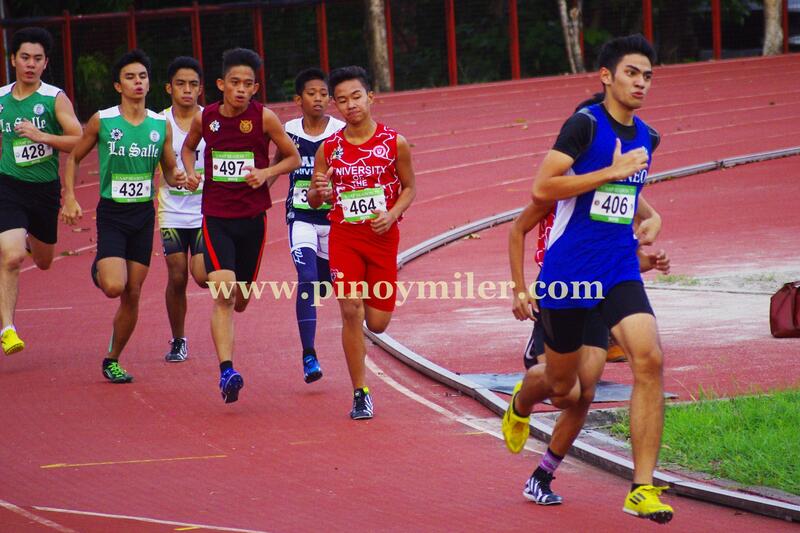 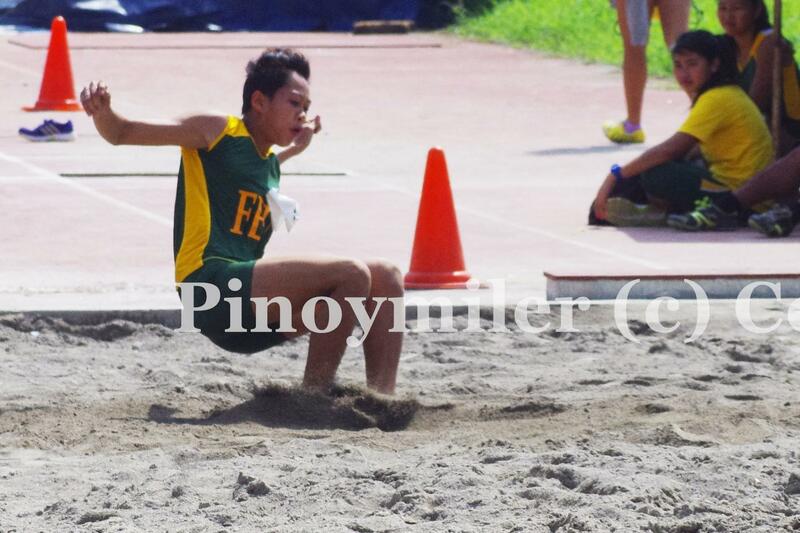 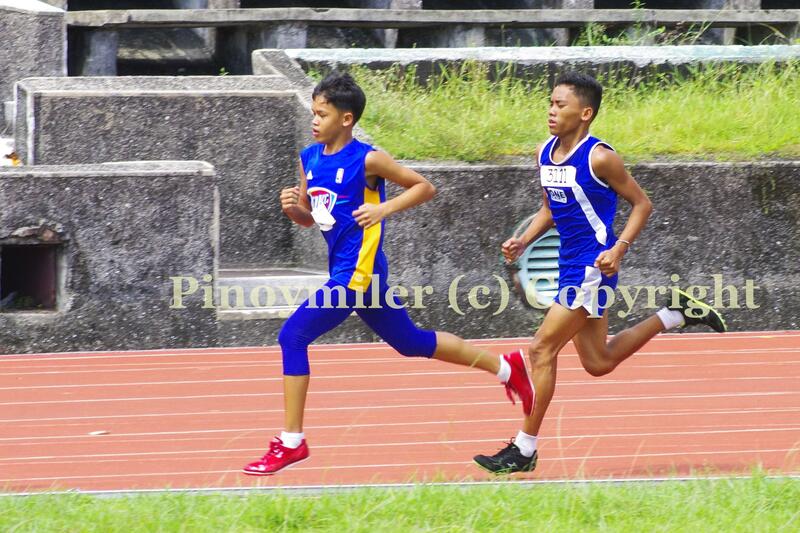 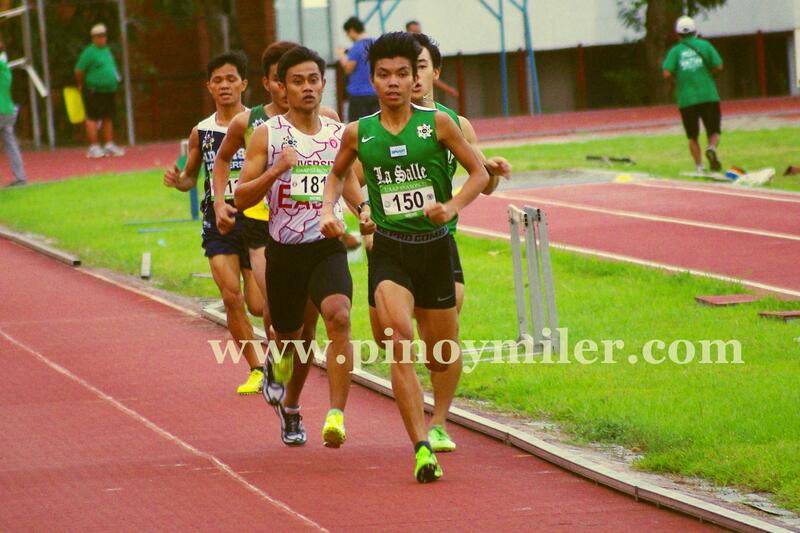 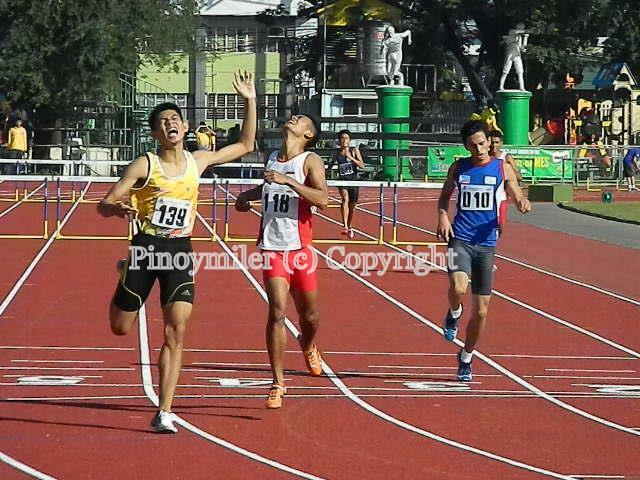 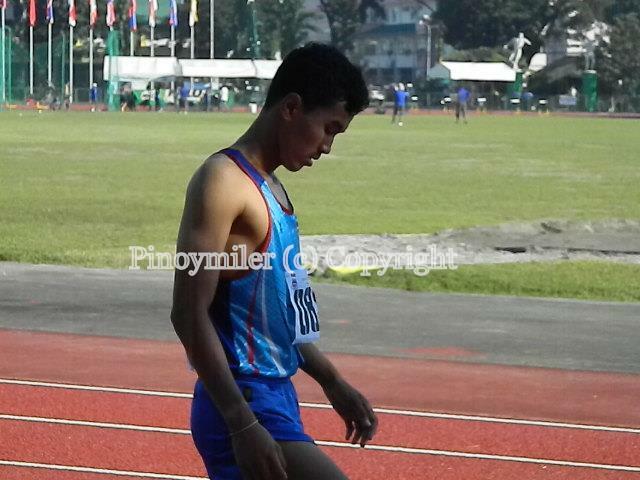 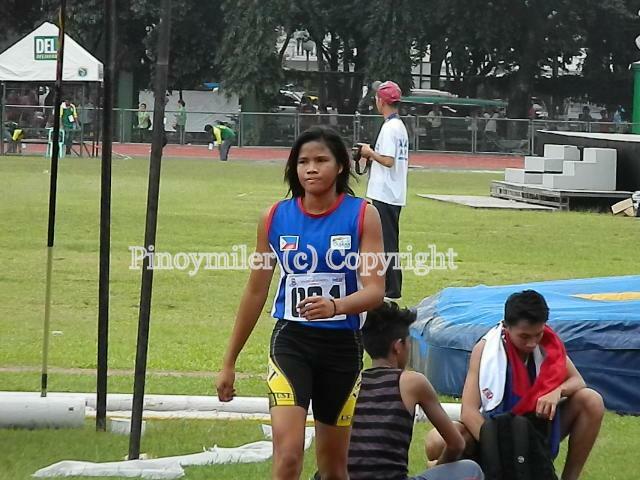 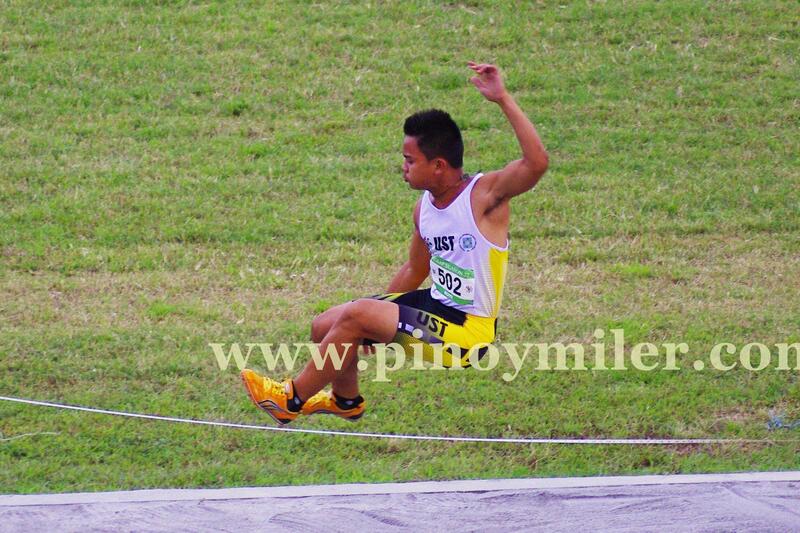 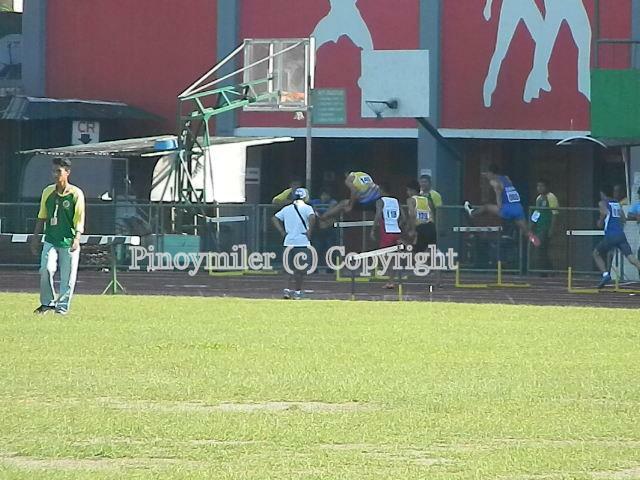 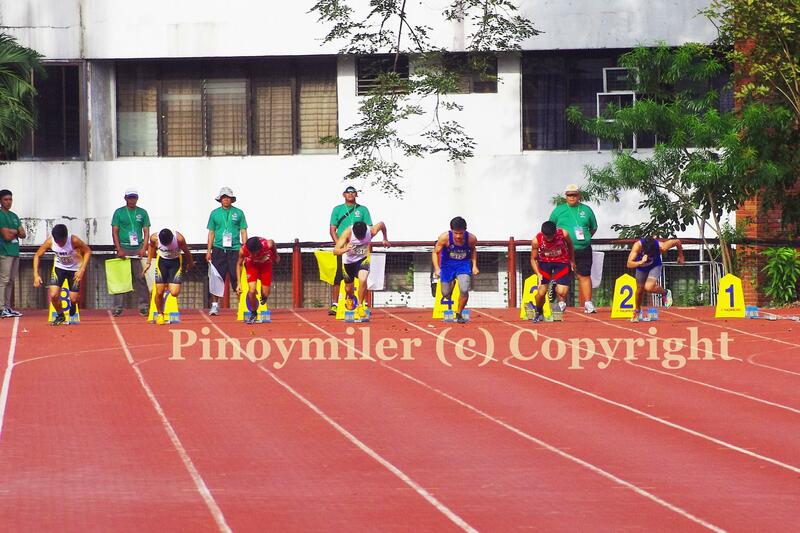 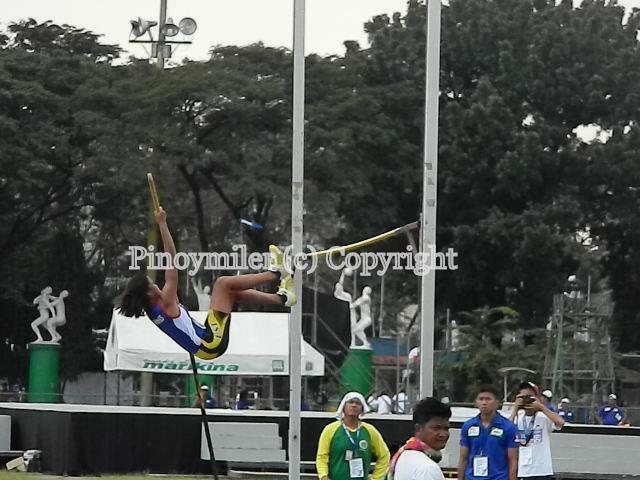 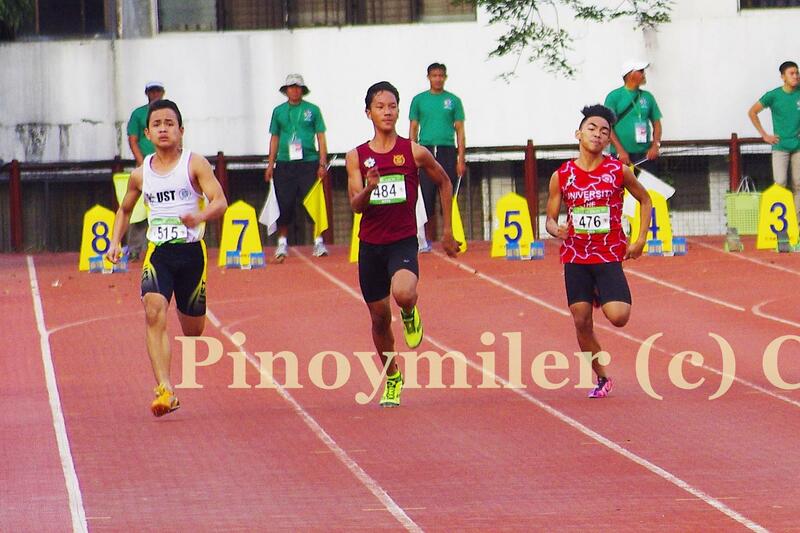 Photos taken during the PATAFA Relays Finals on November 16, 2014. 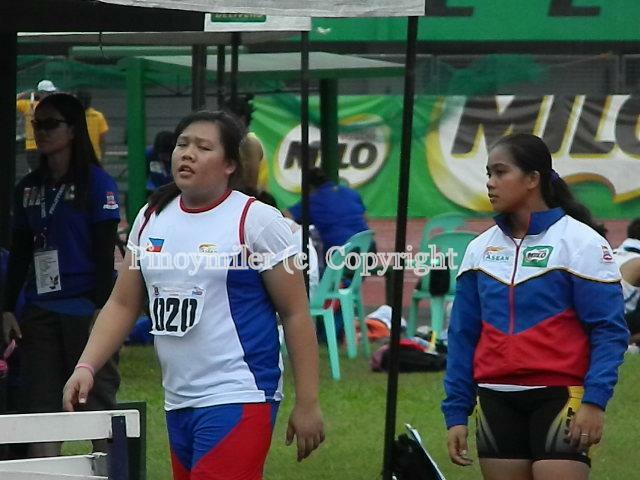 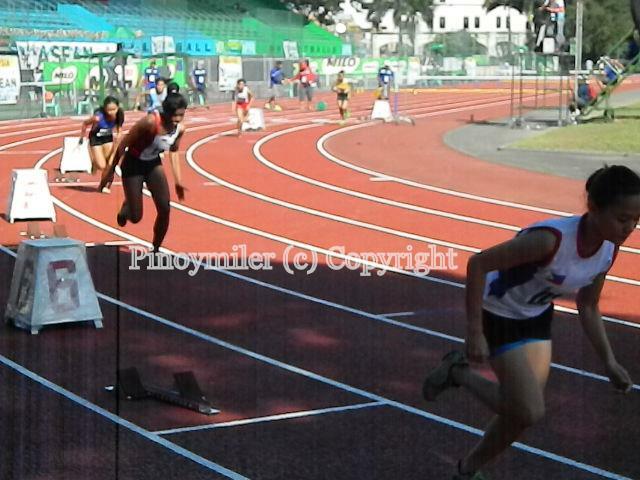 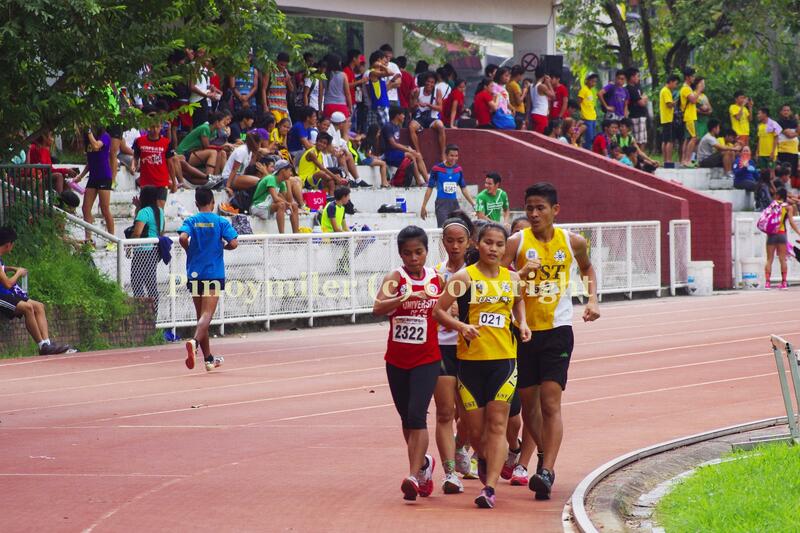 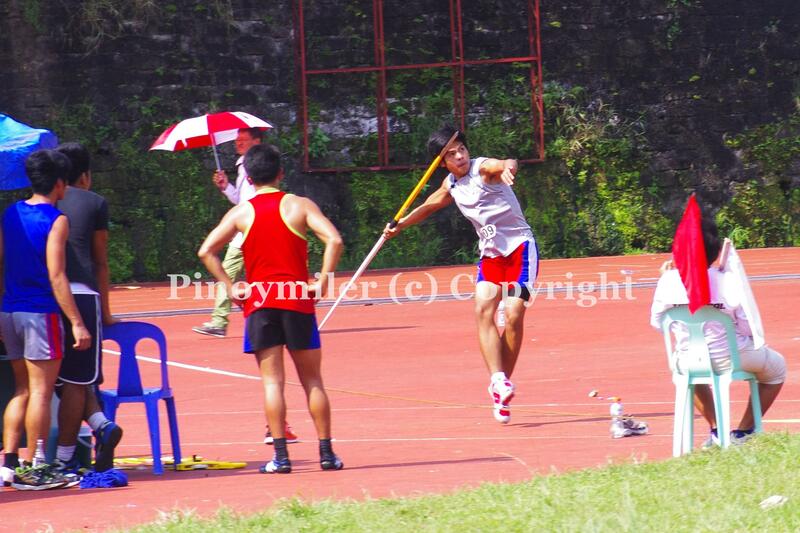 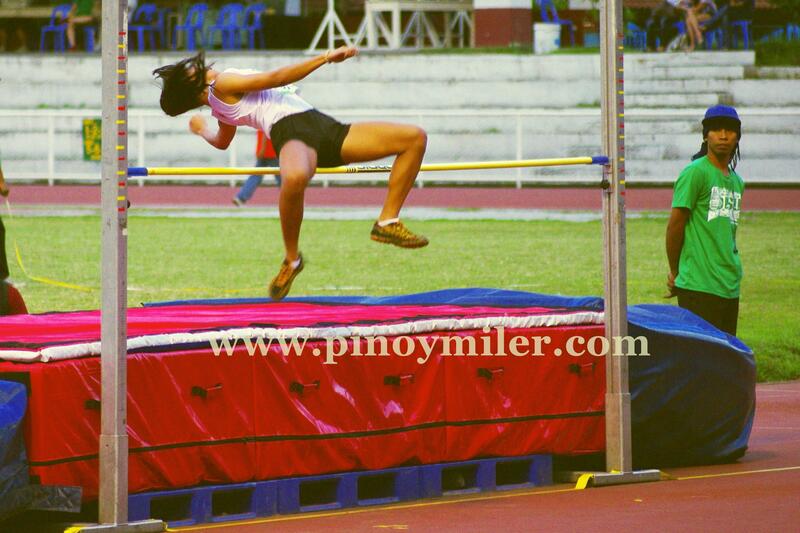 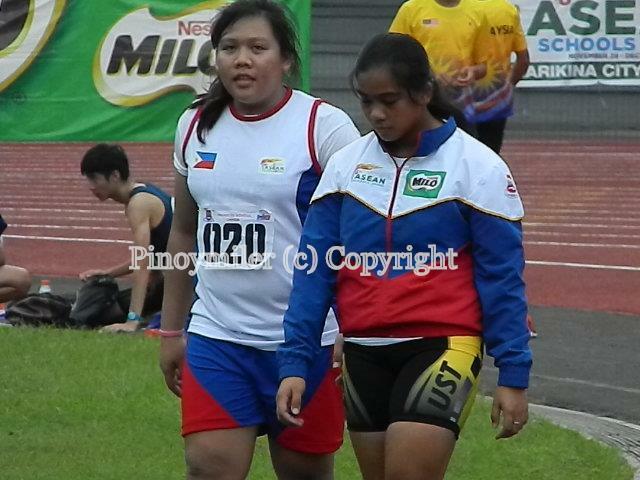 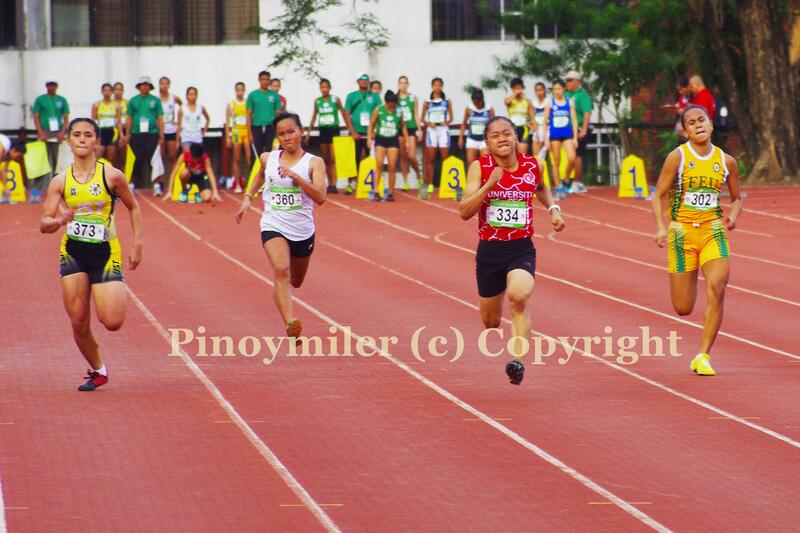 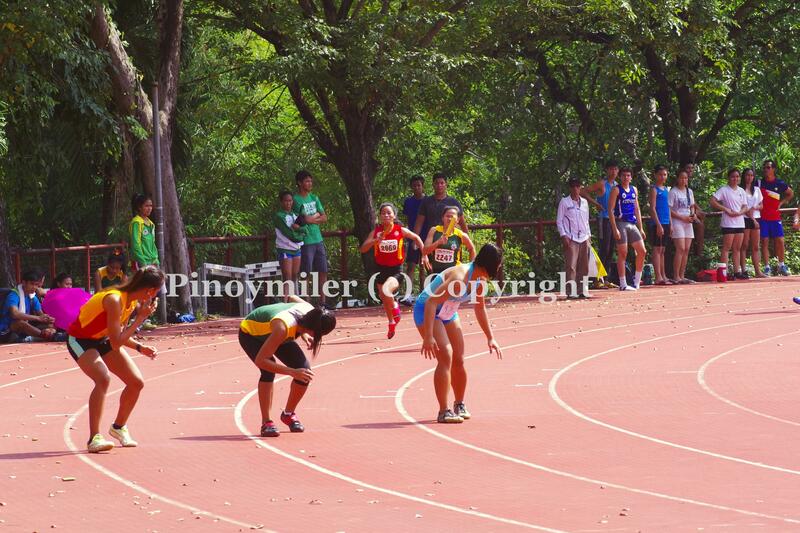 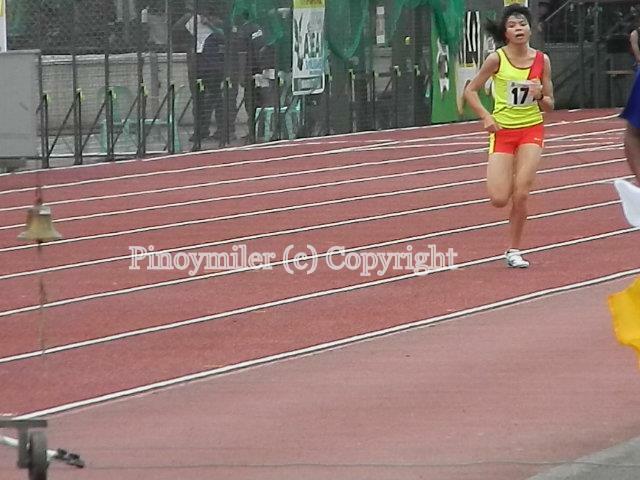 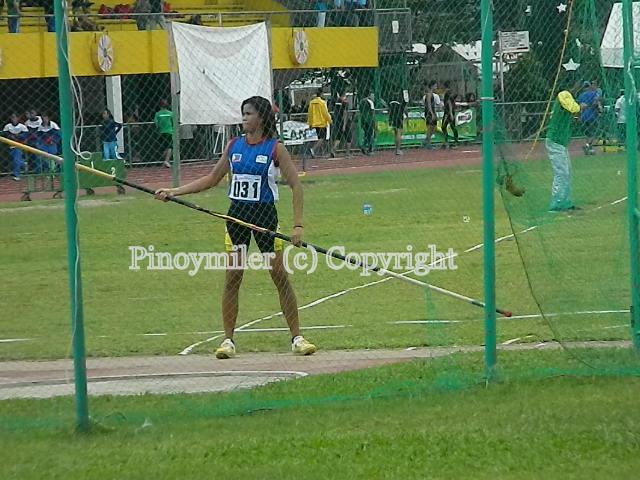 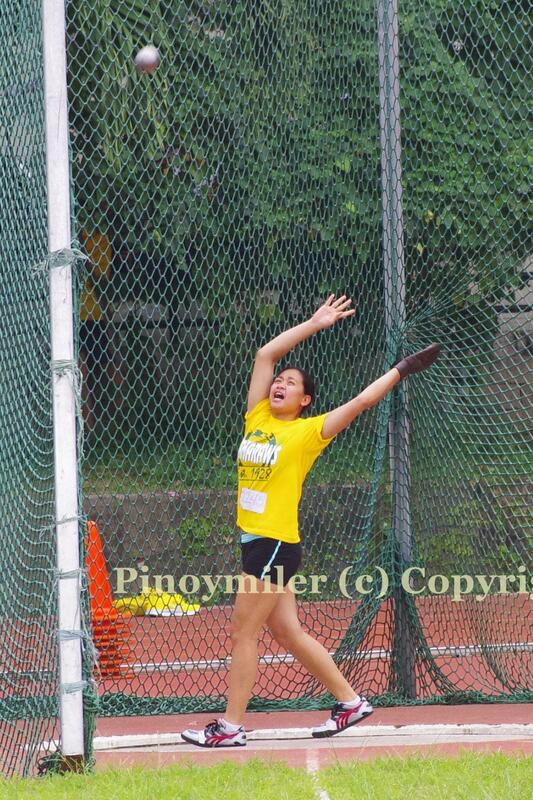 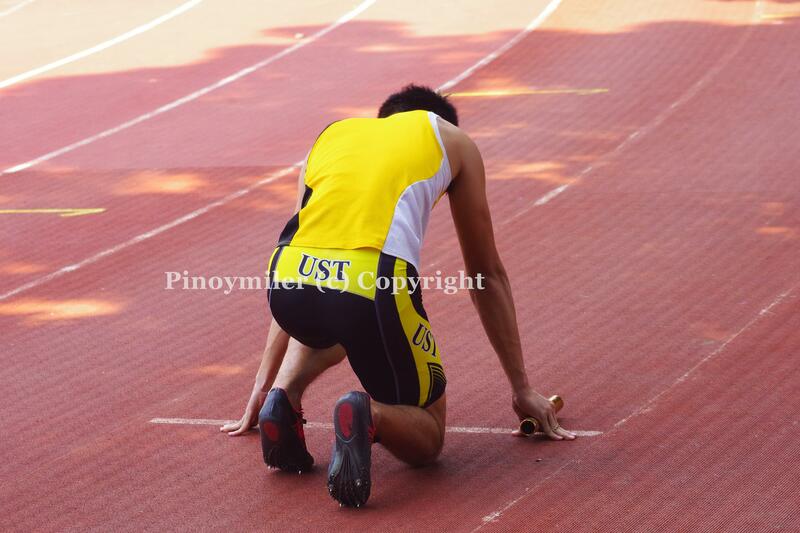 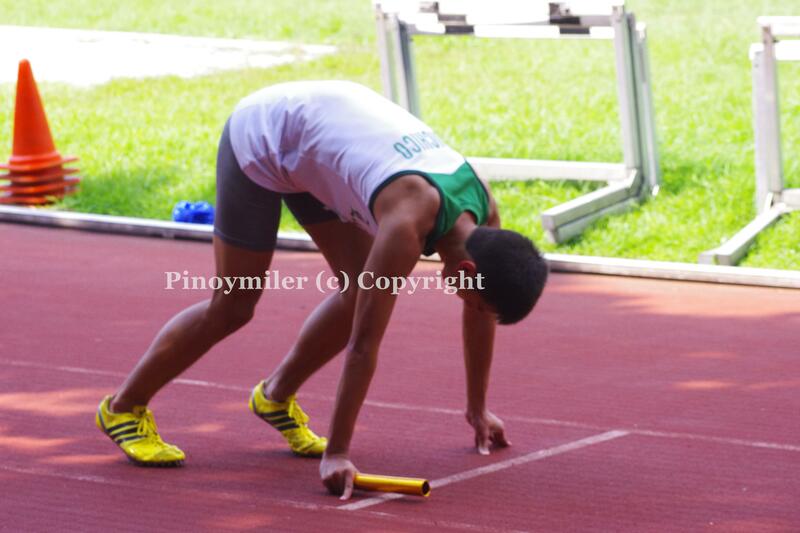 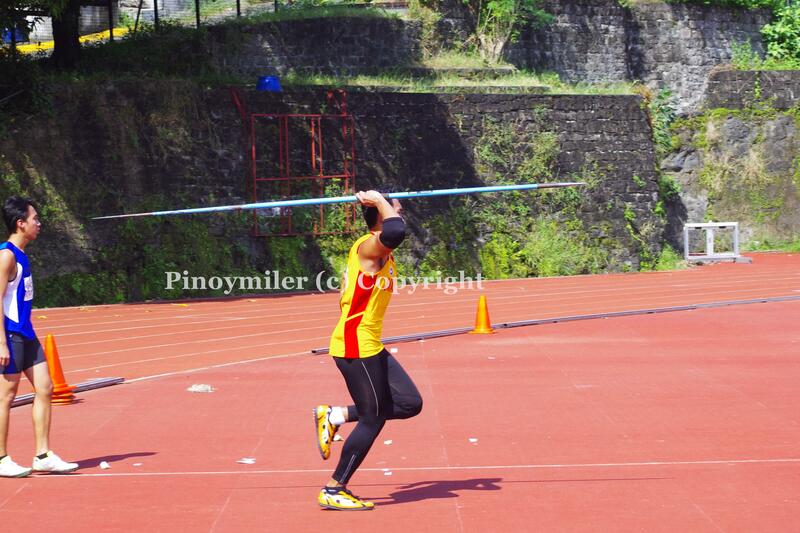 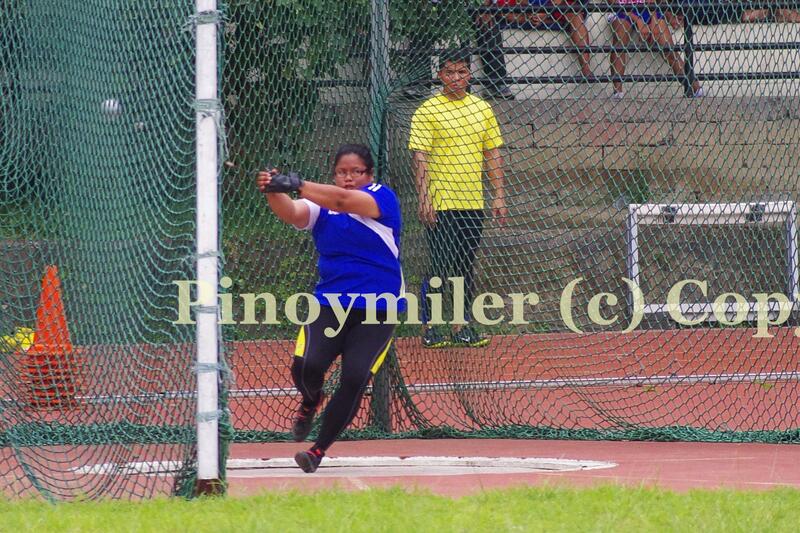 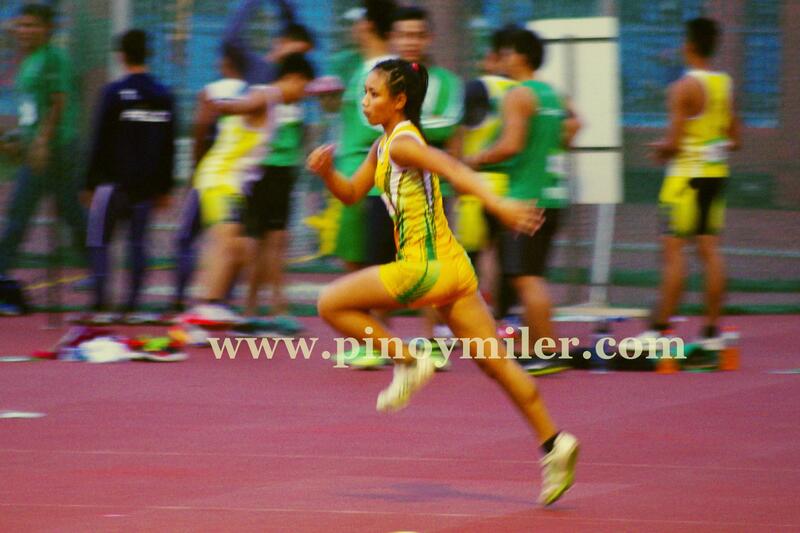 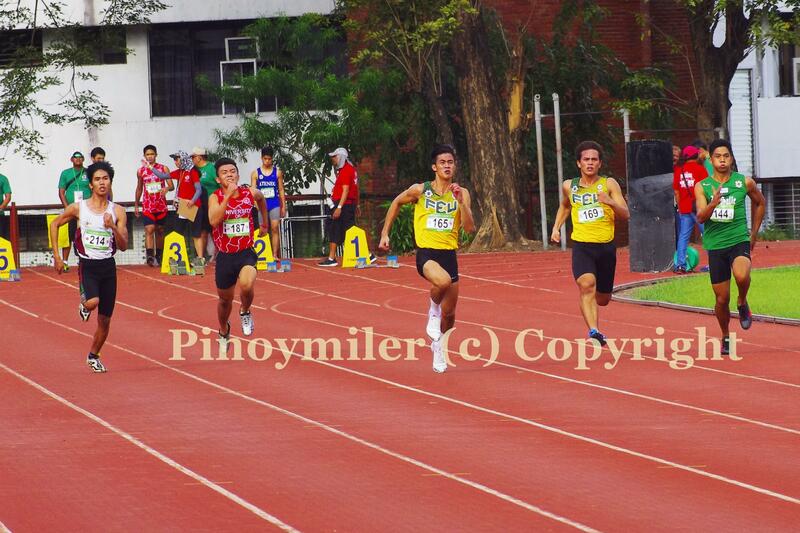 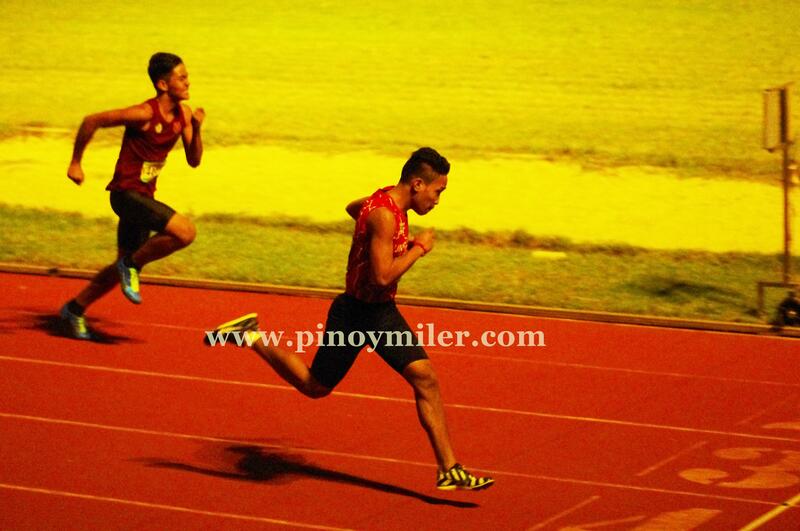 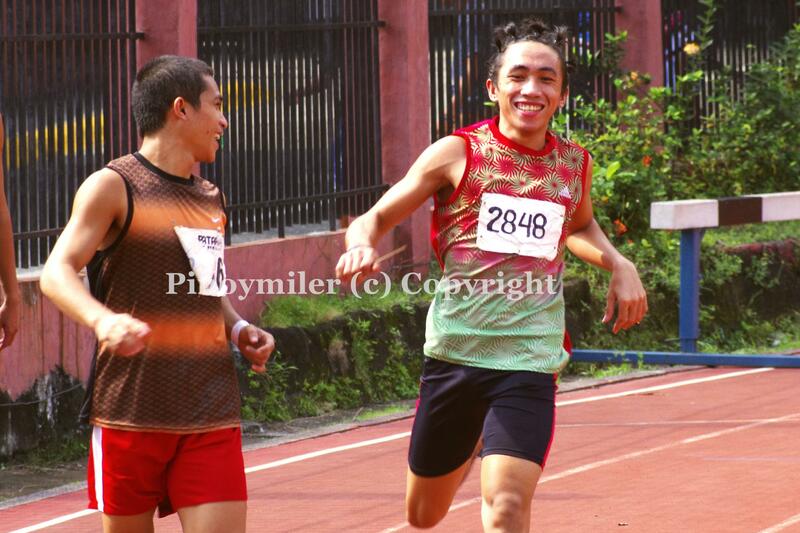 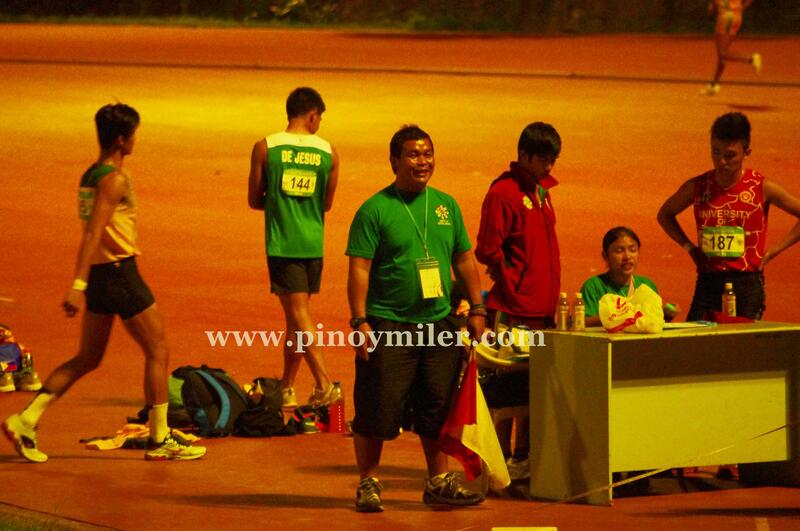 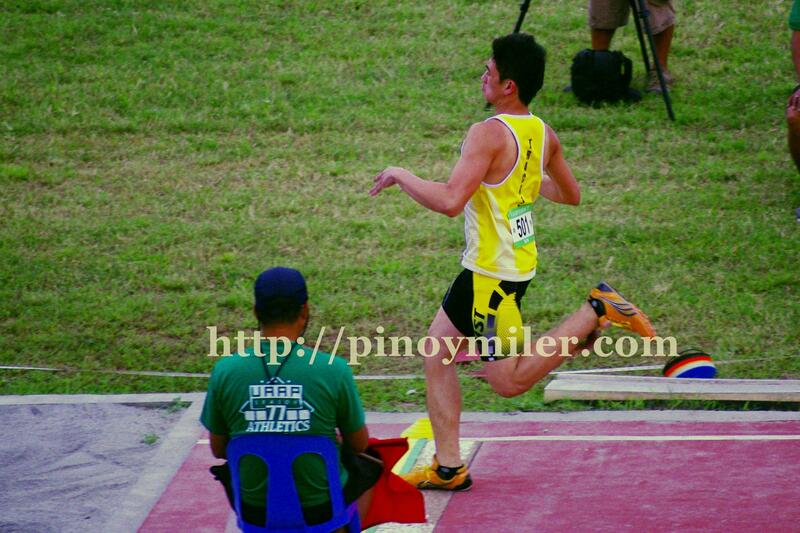 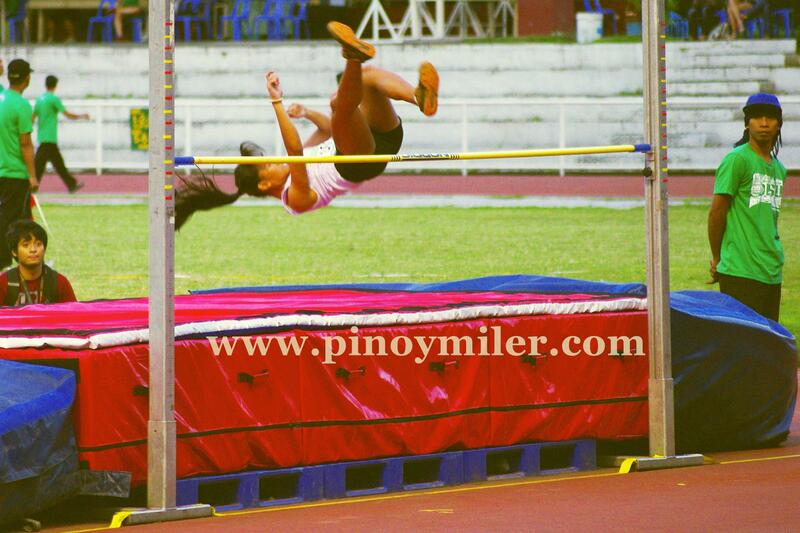 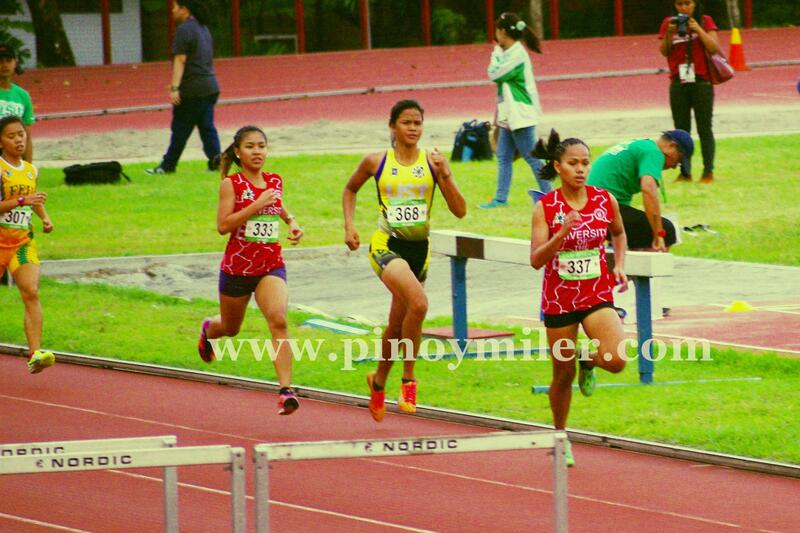 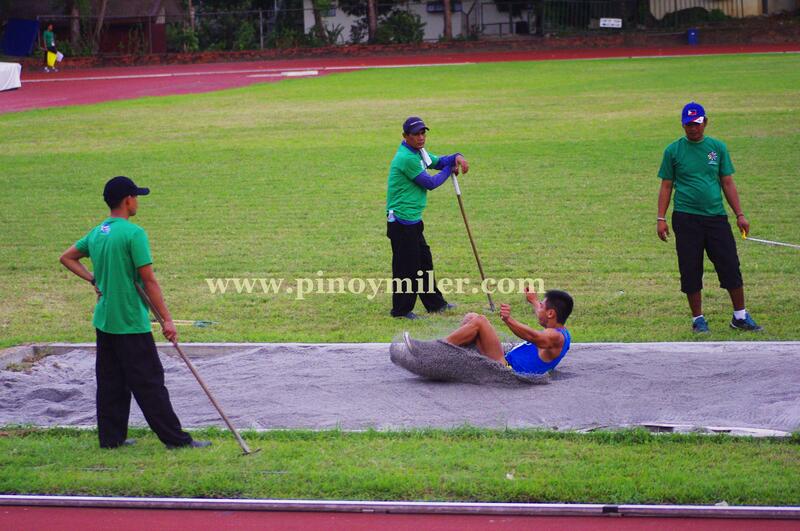 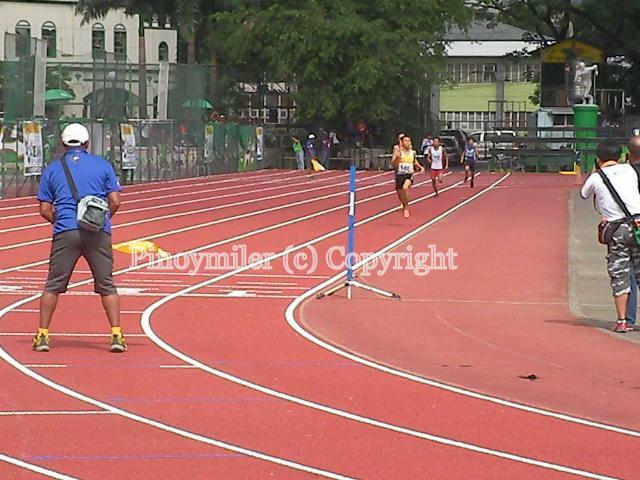 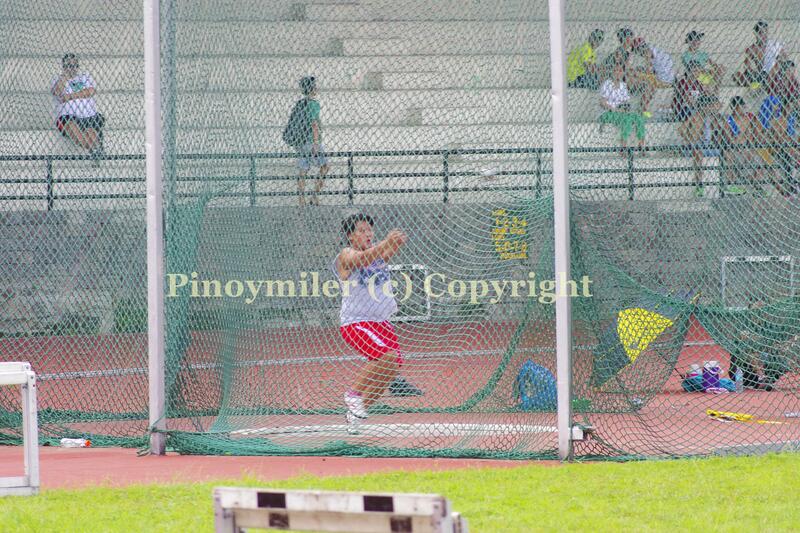 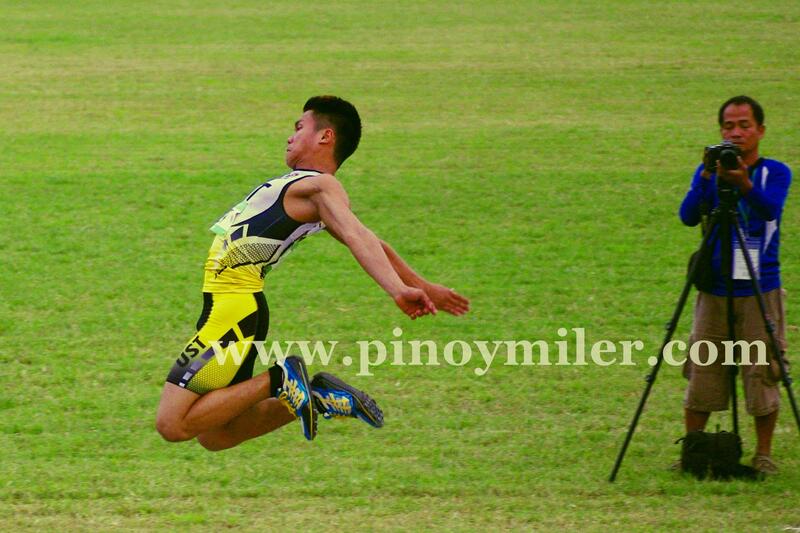 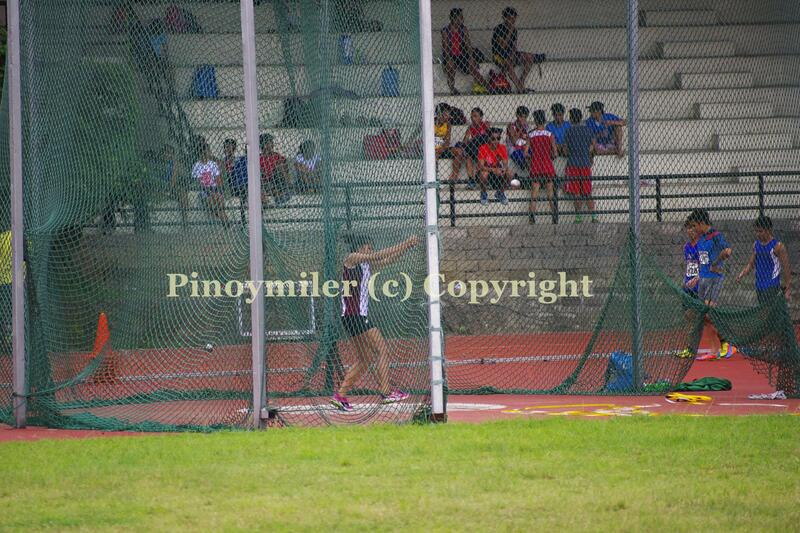 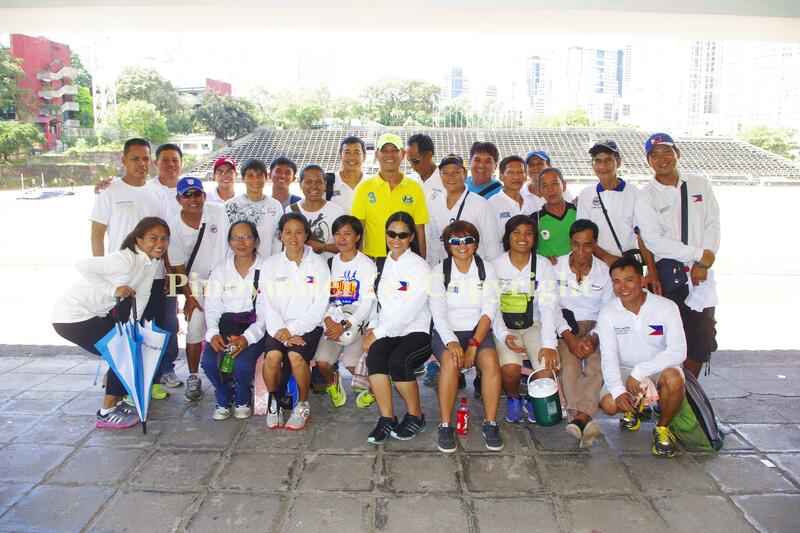 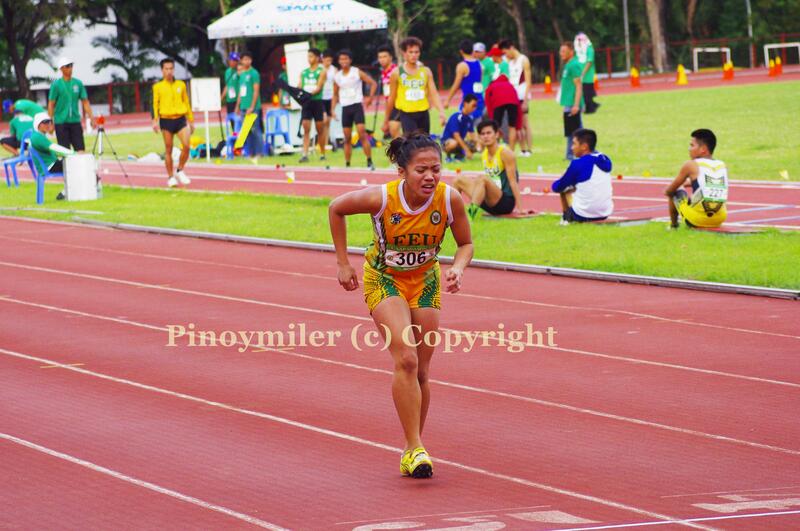 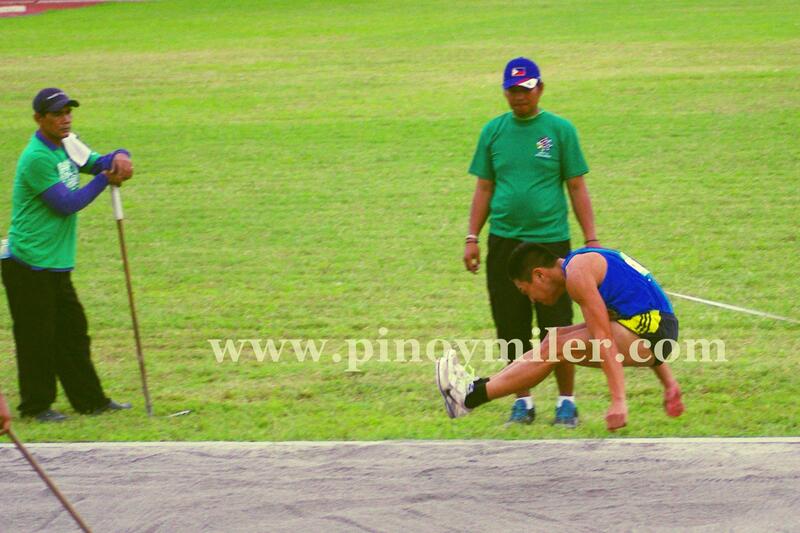 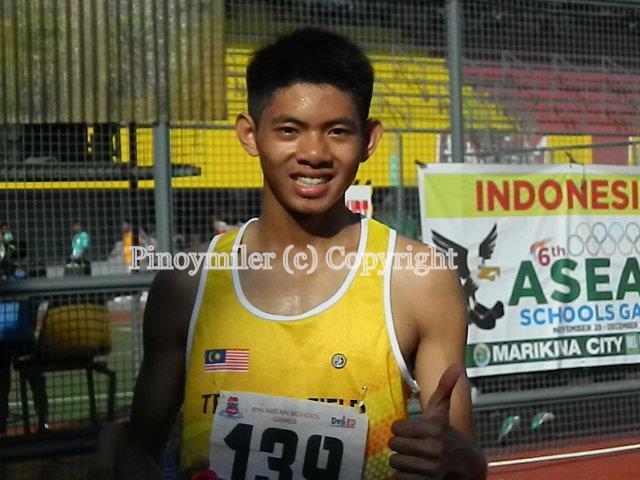 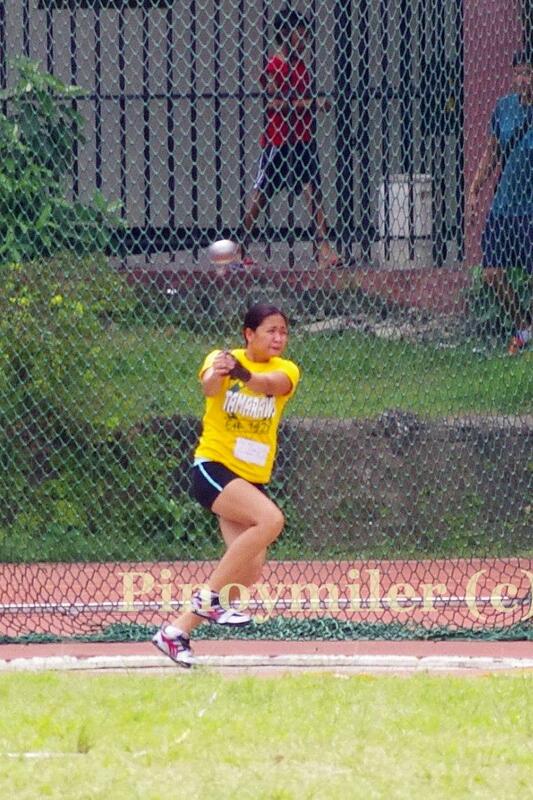 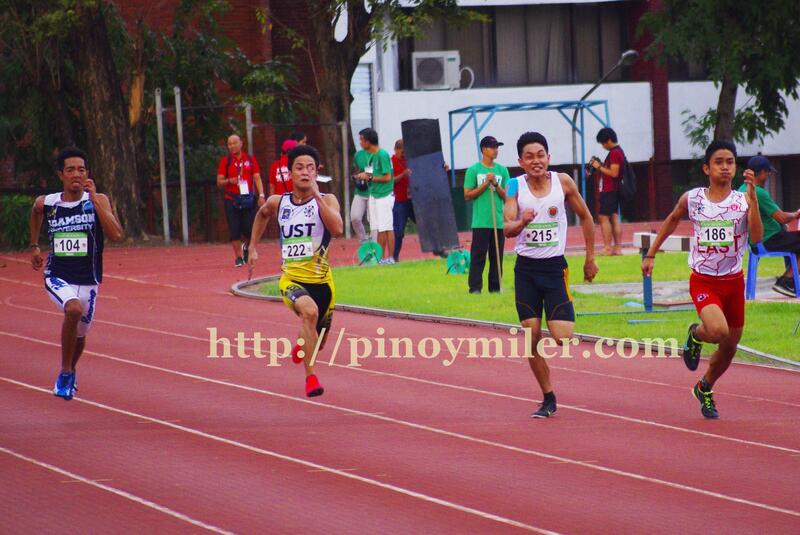 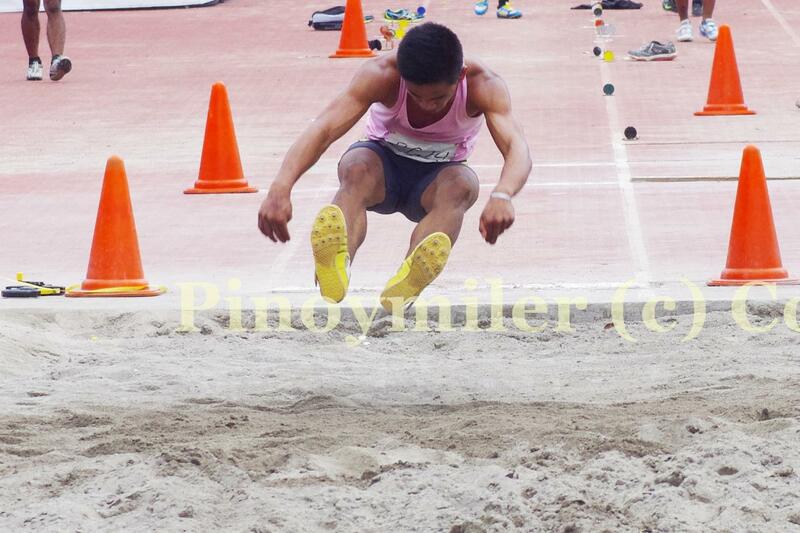 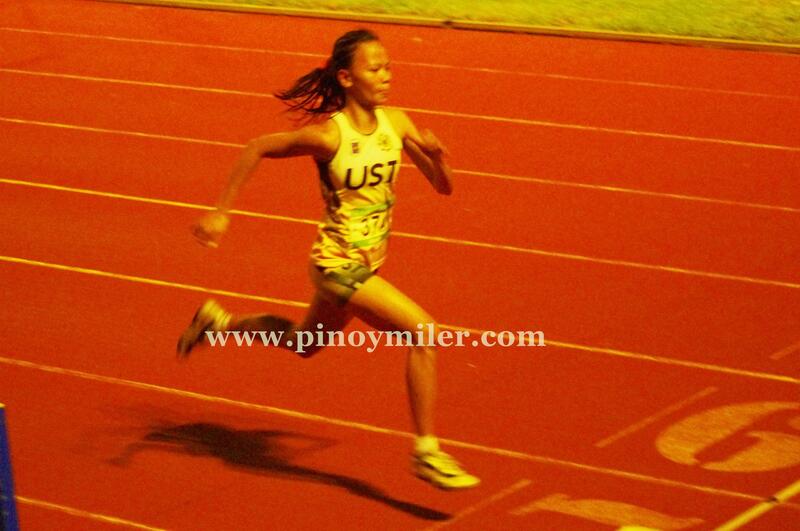 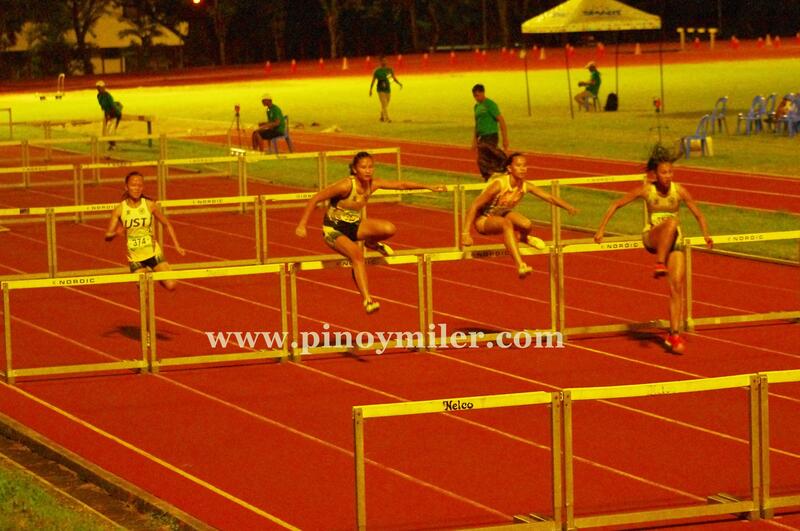 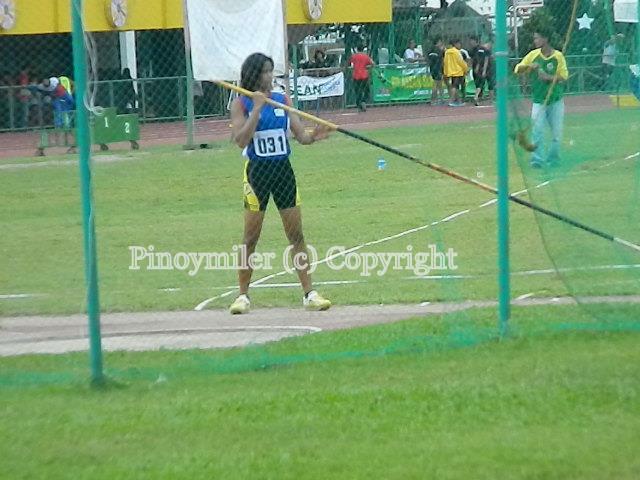 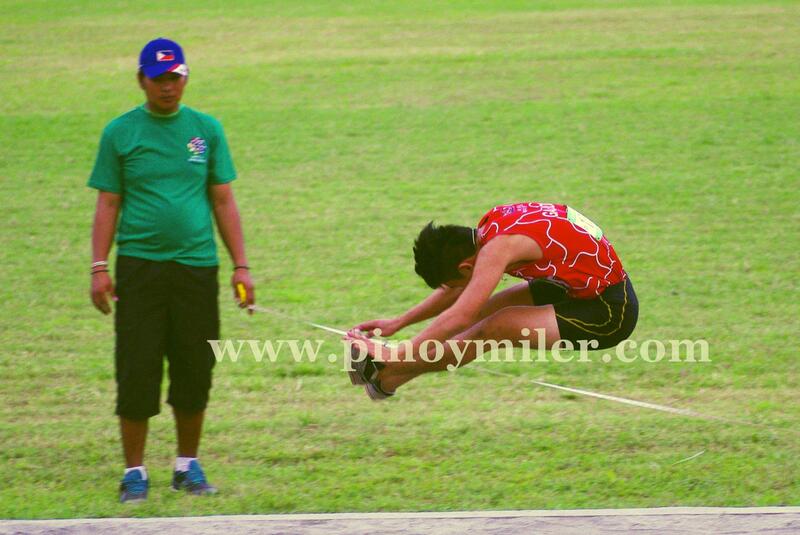 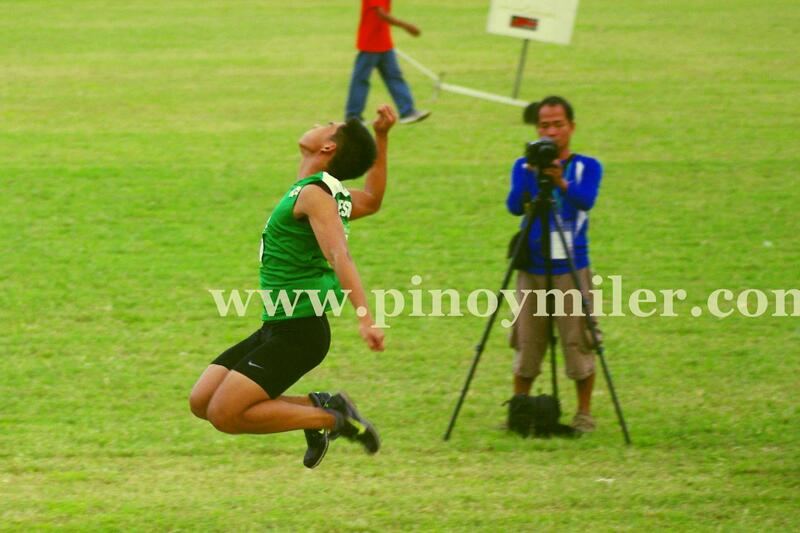 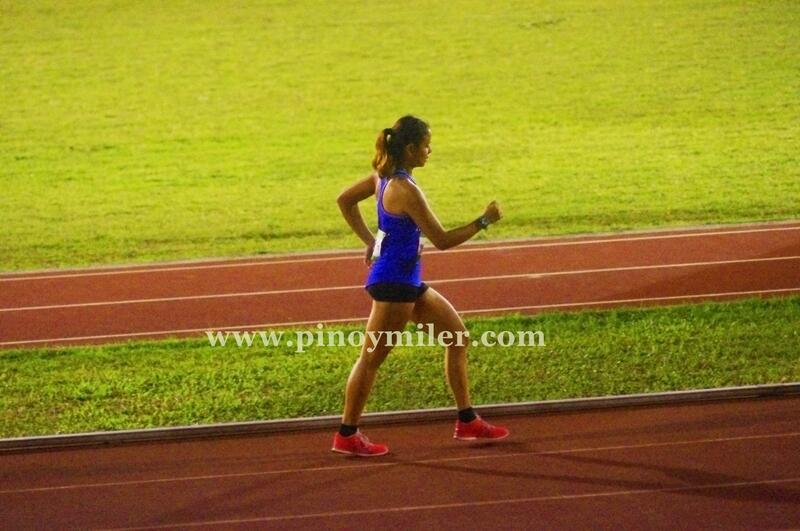 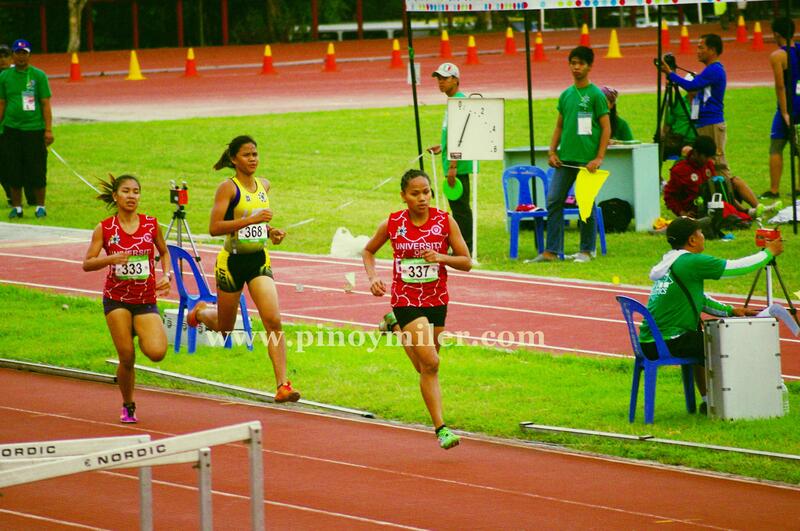 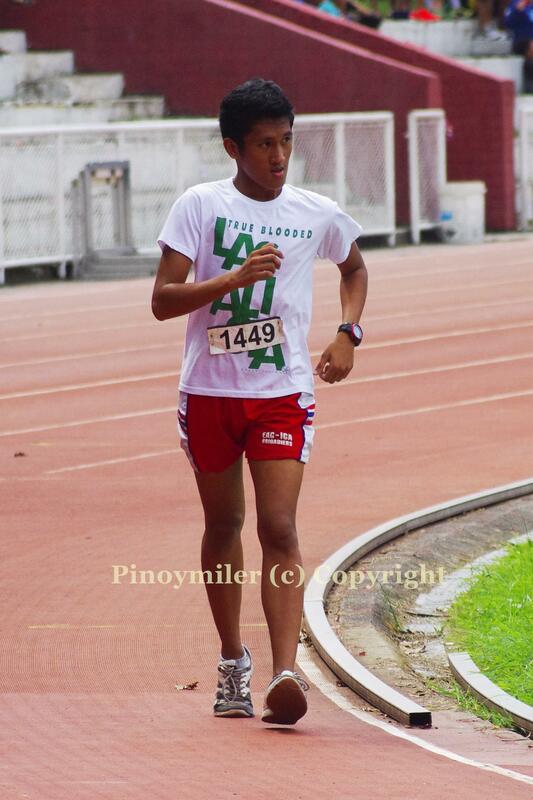 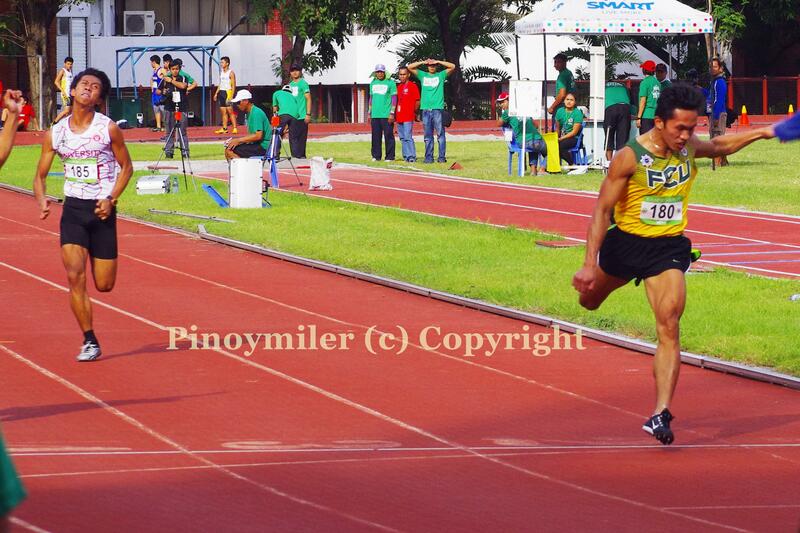 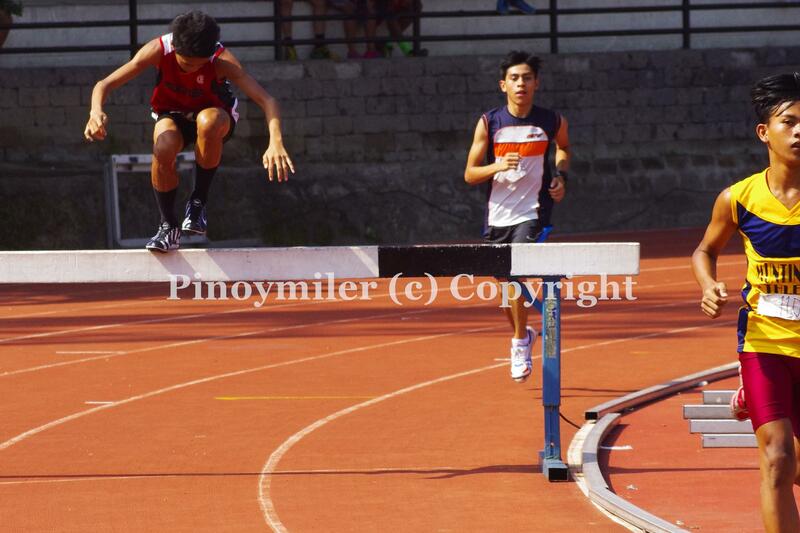 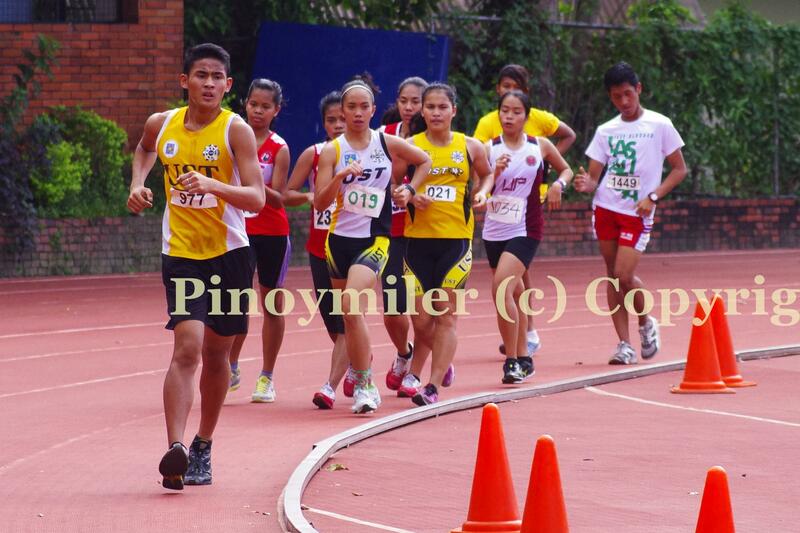 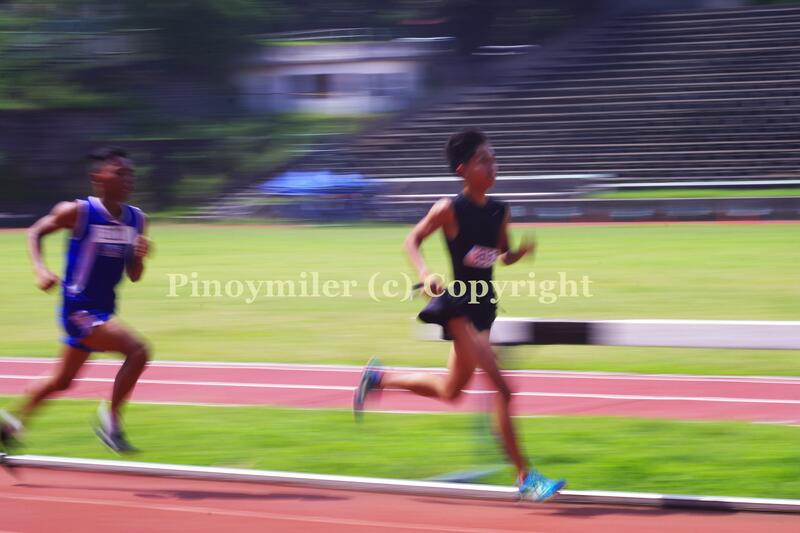 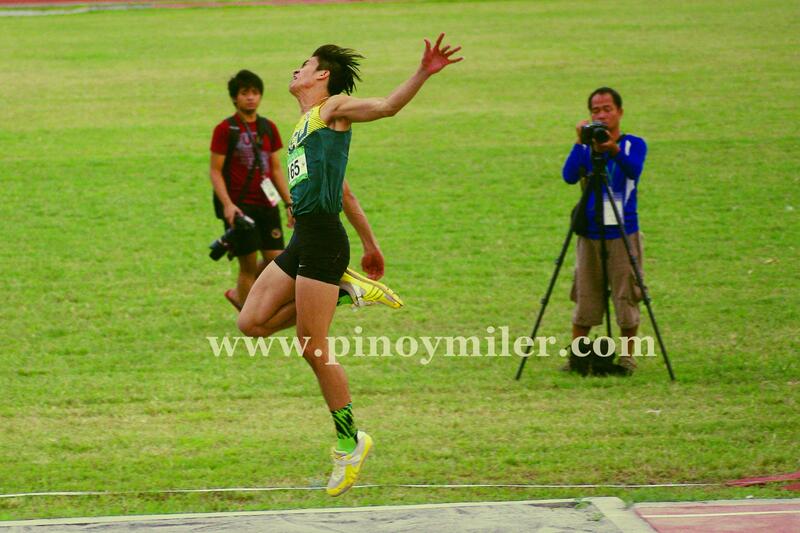 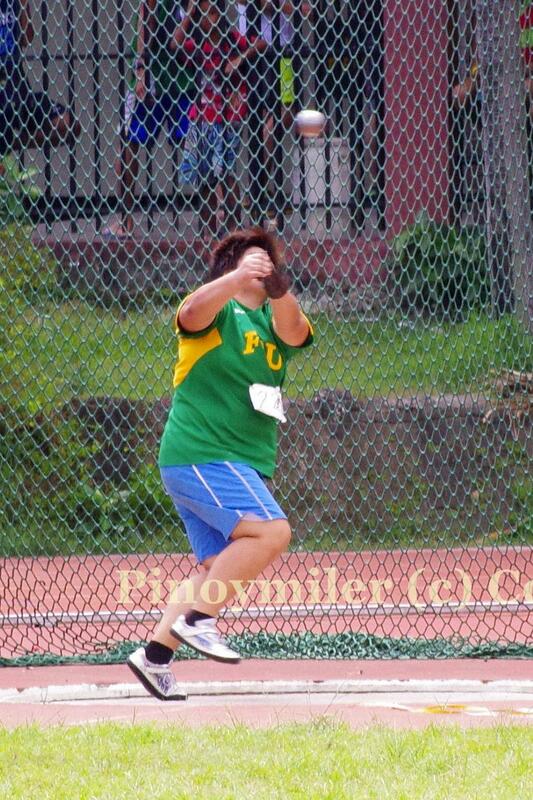 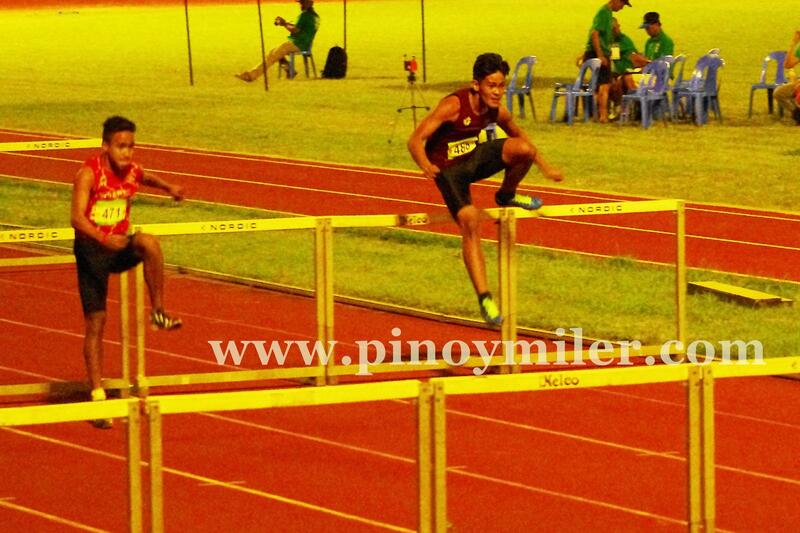 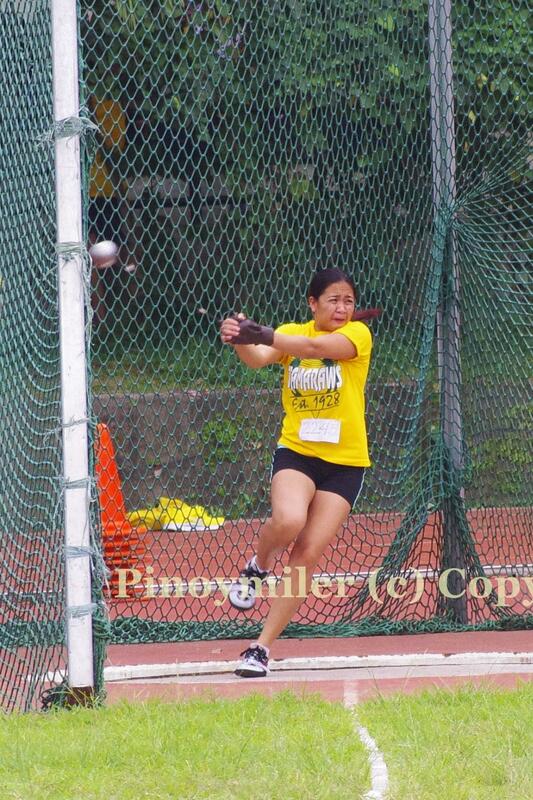 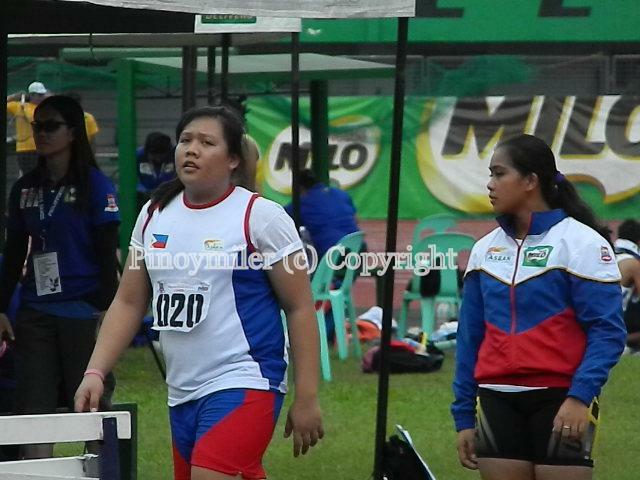 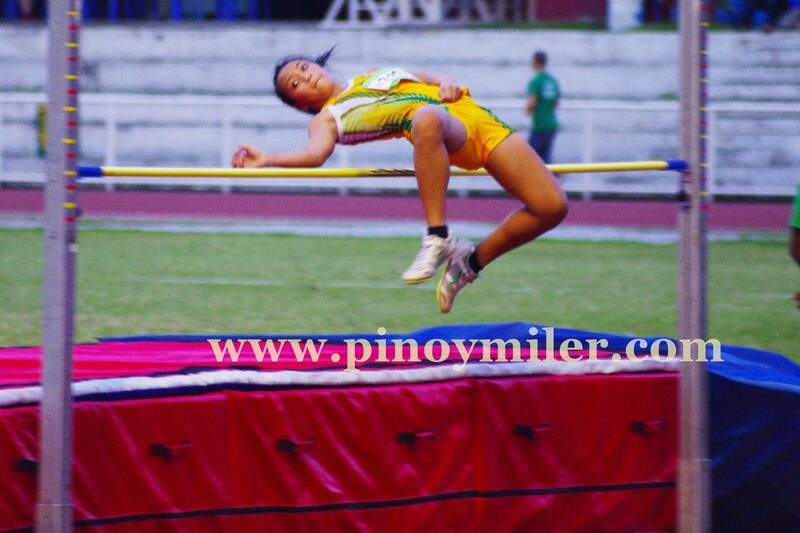 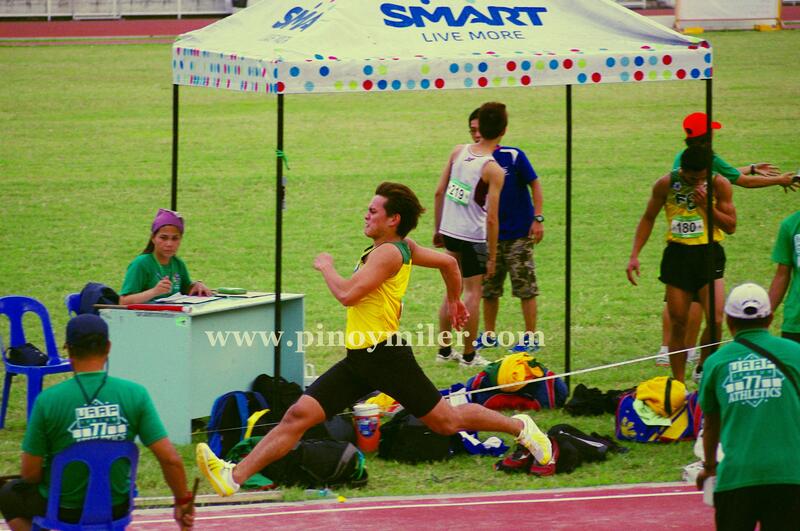 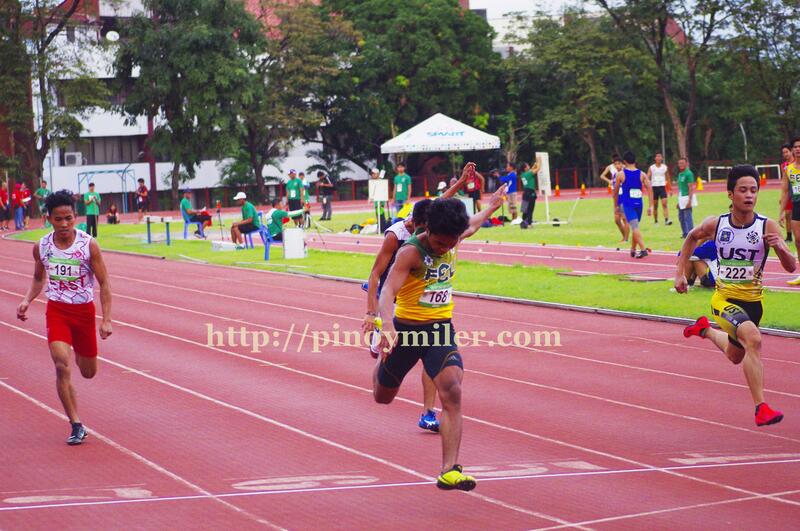 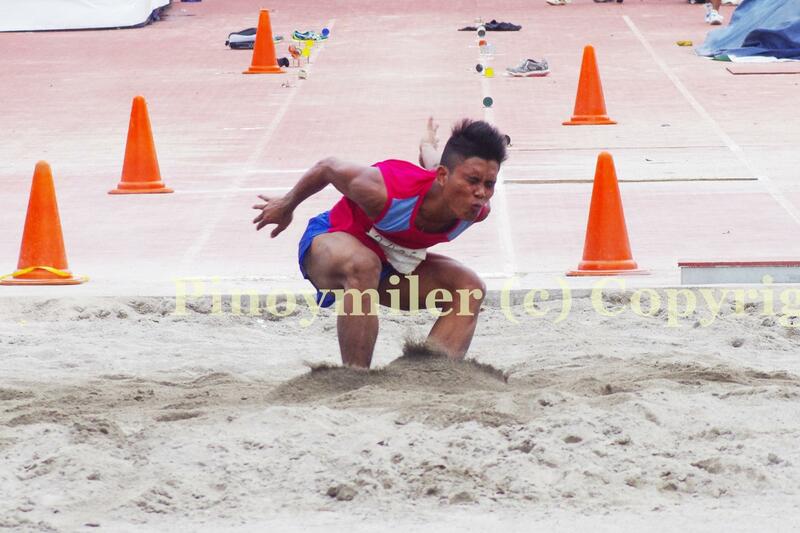 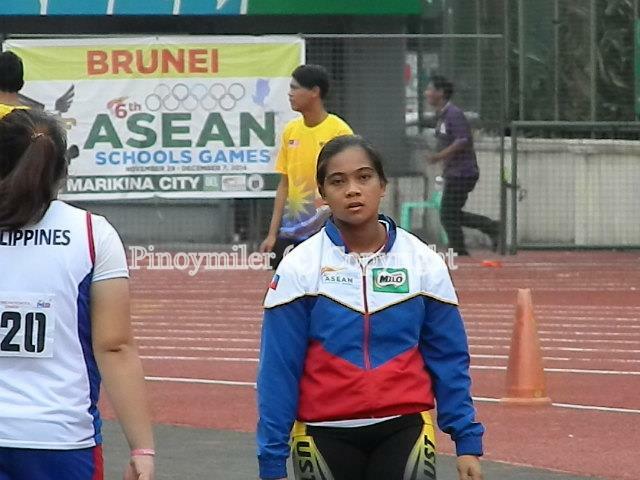 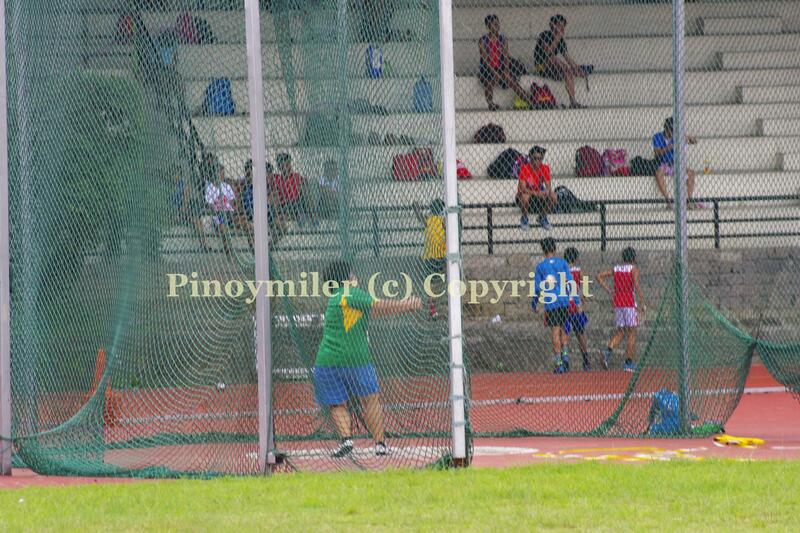 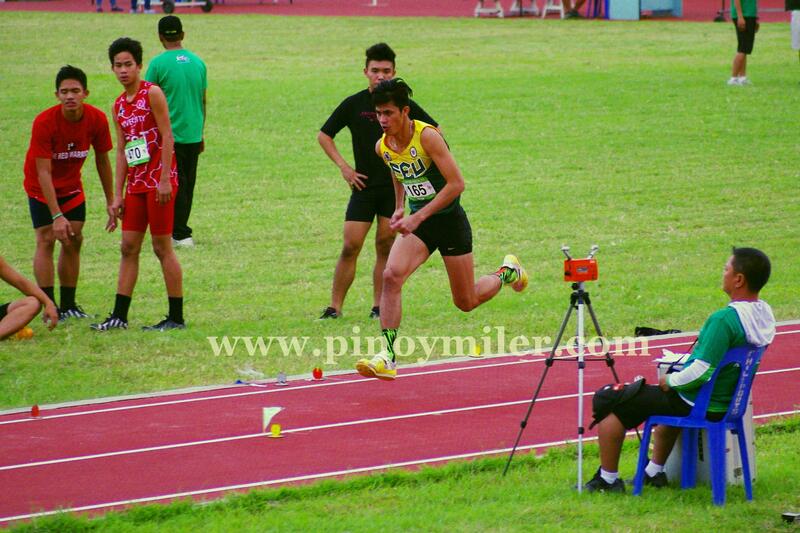 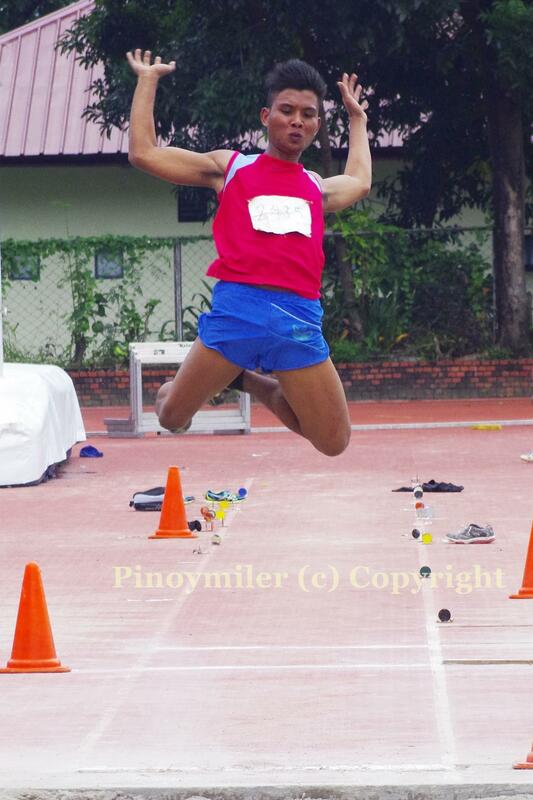 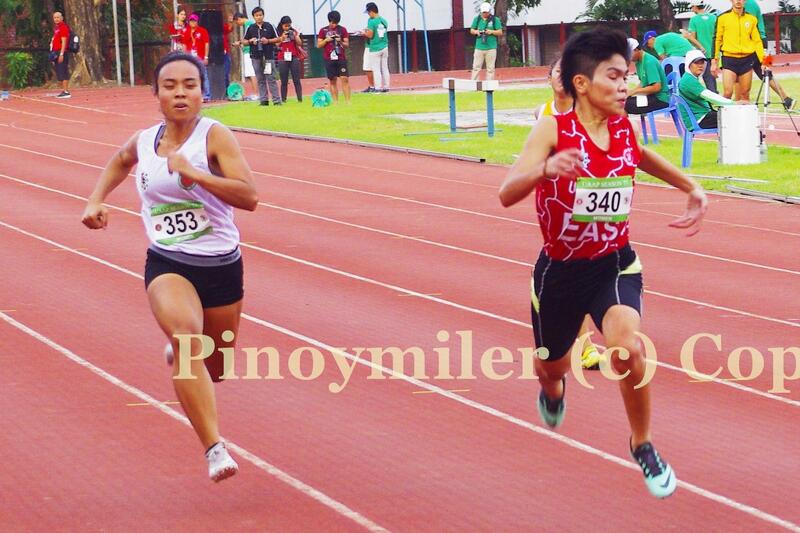 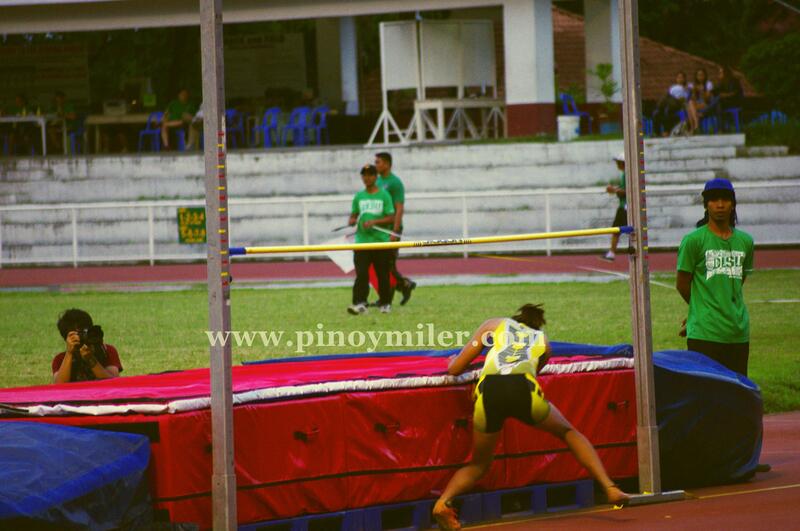 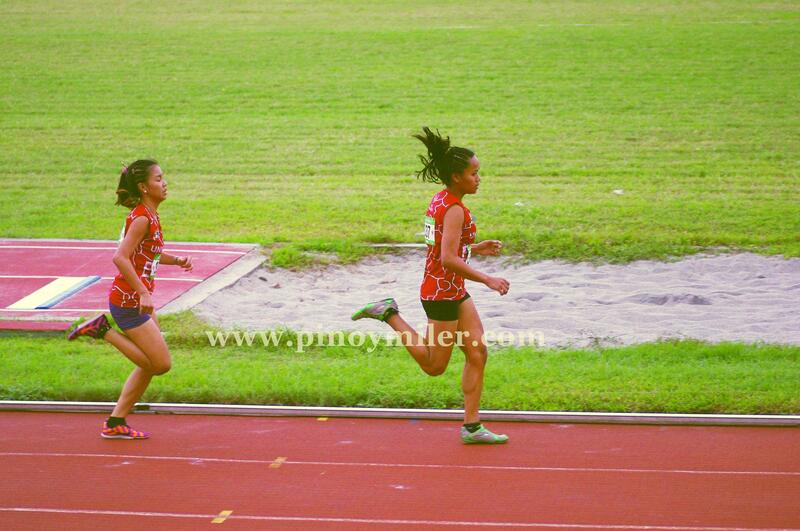 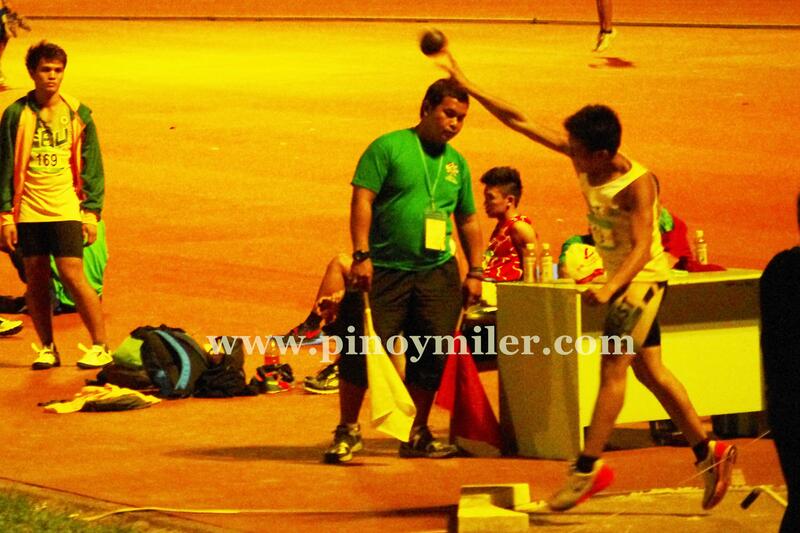 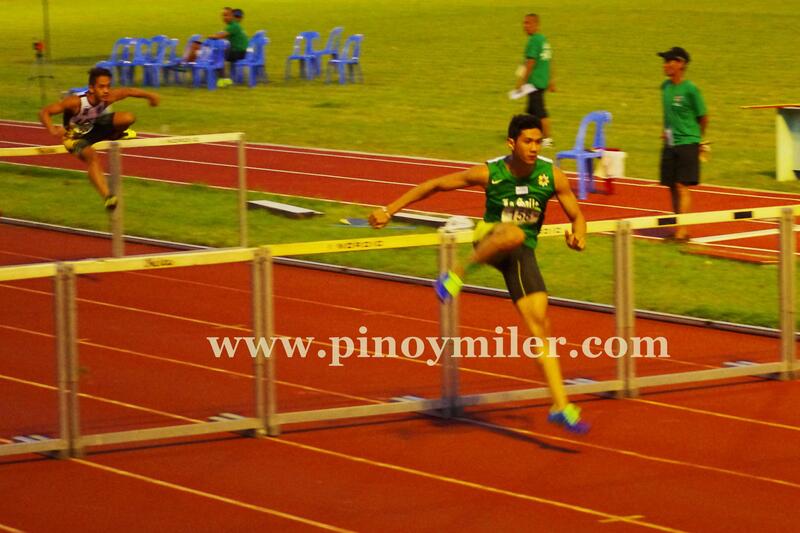 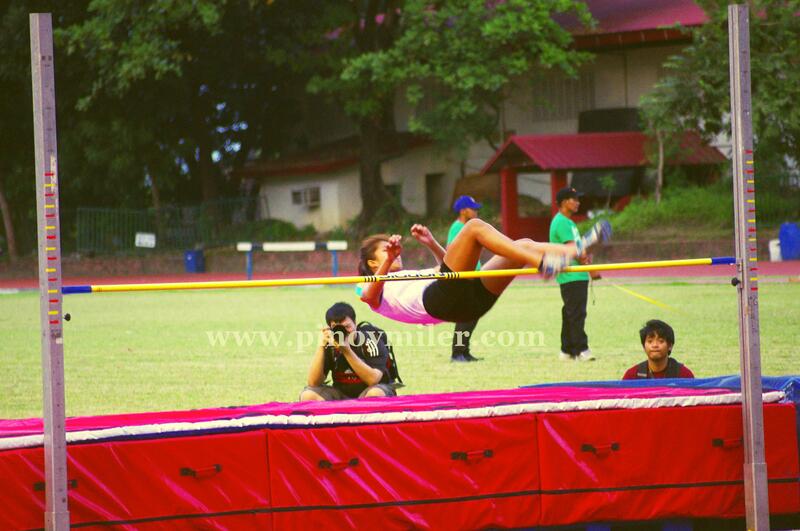 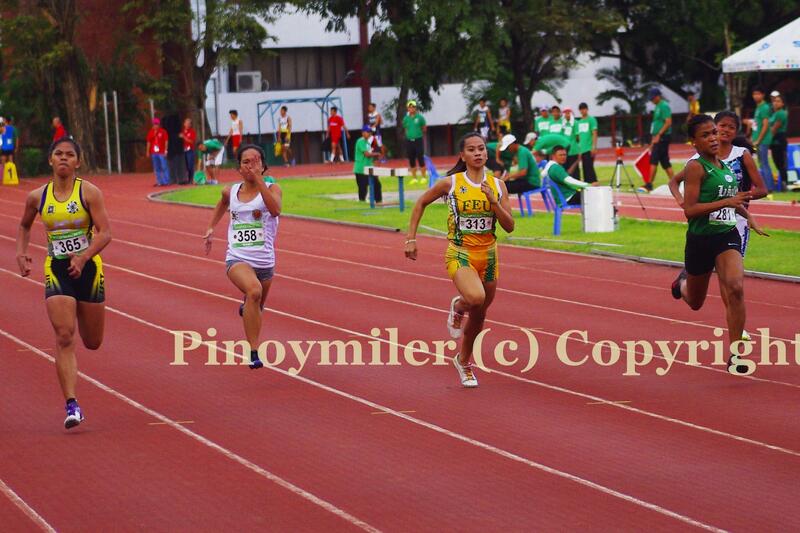 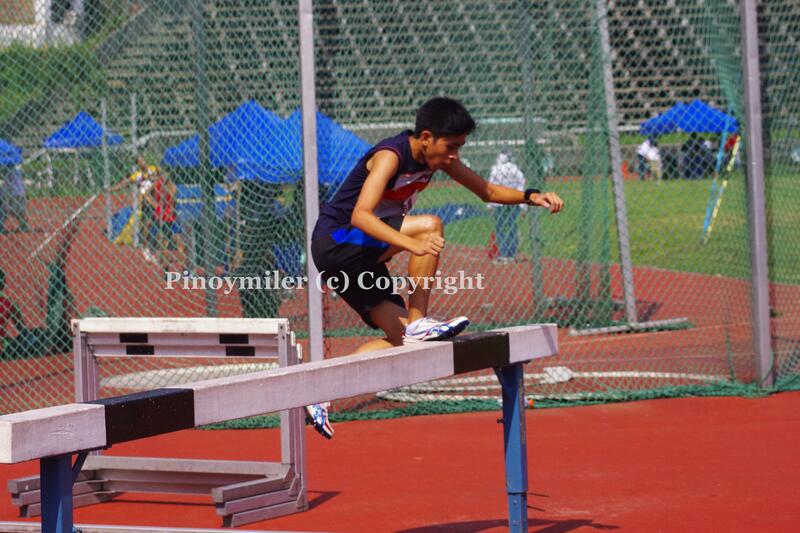 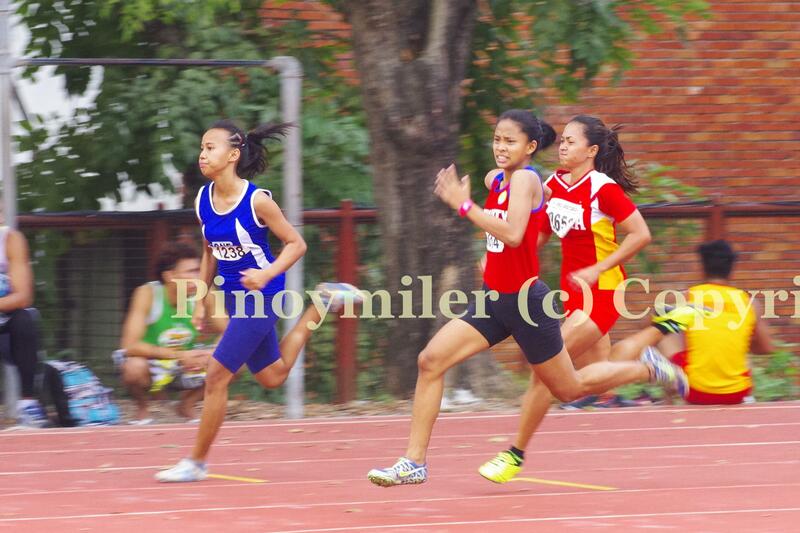 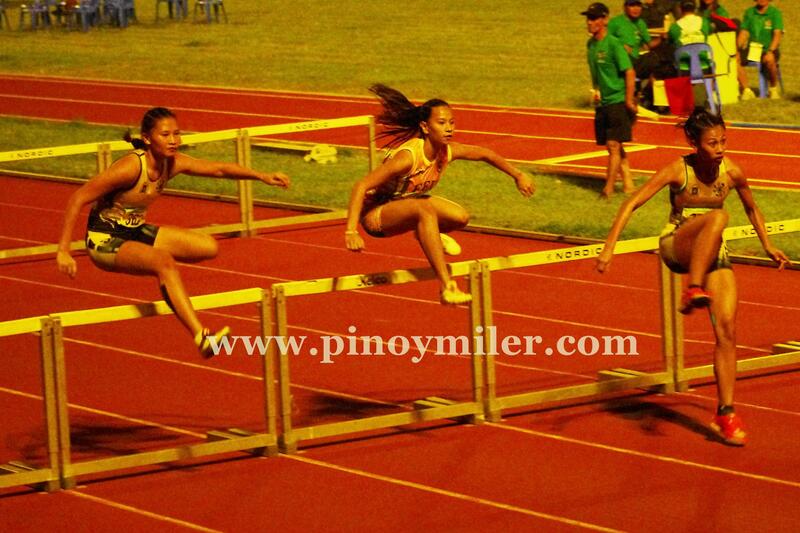 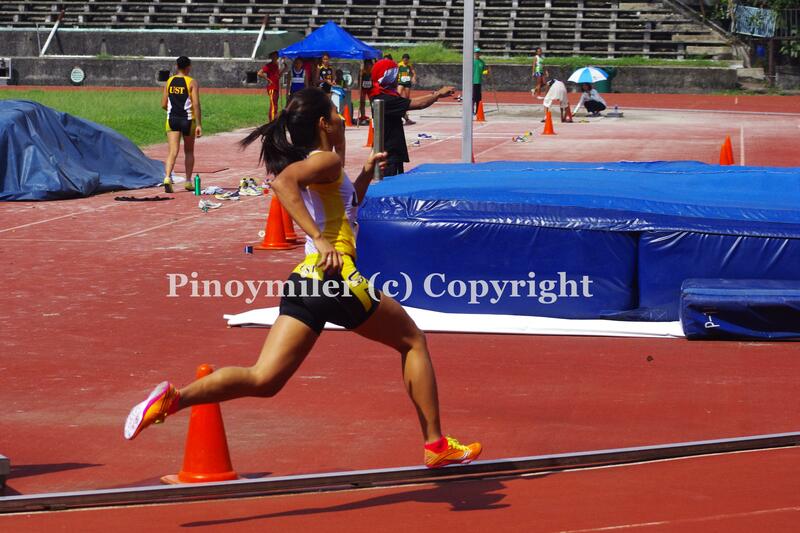 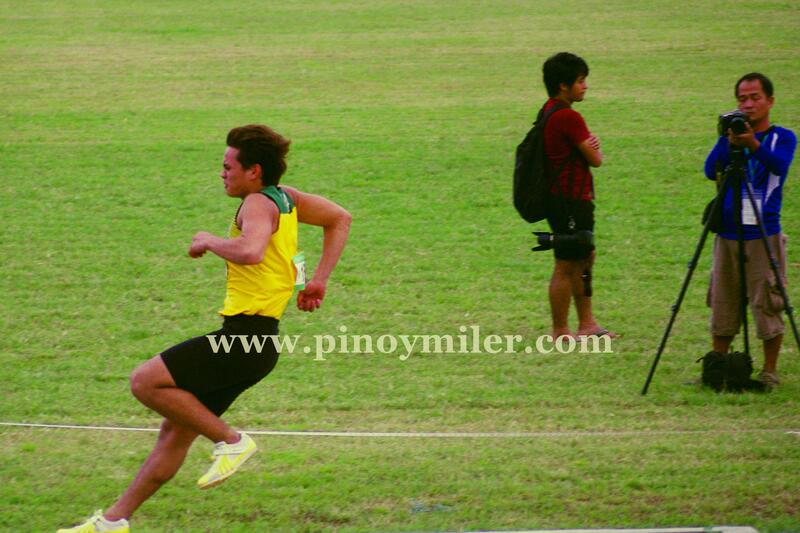 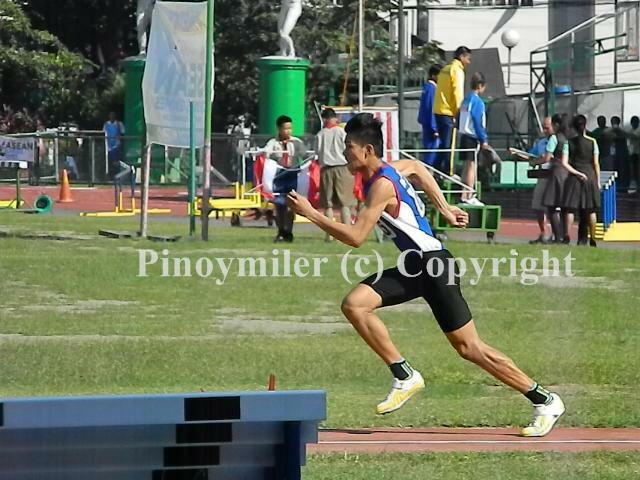 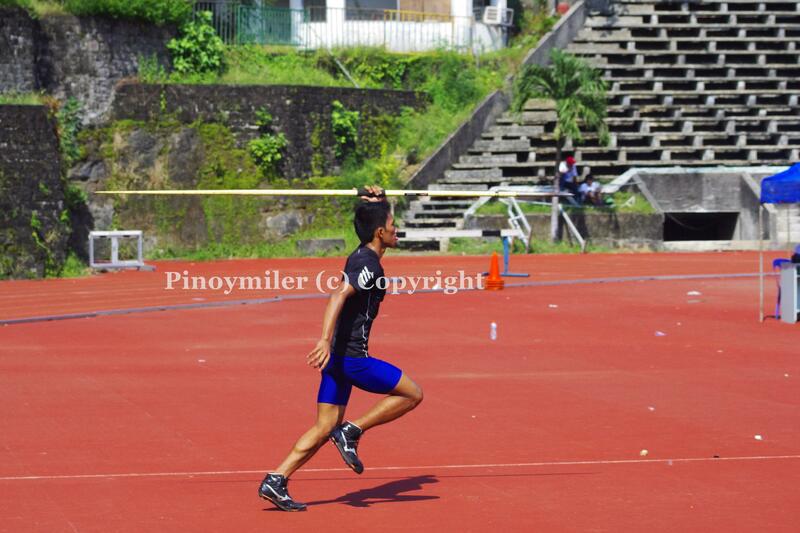 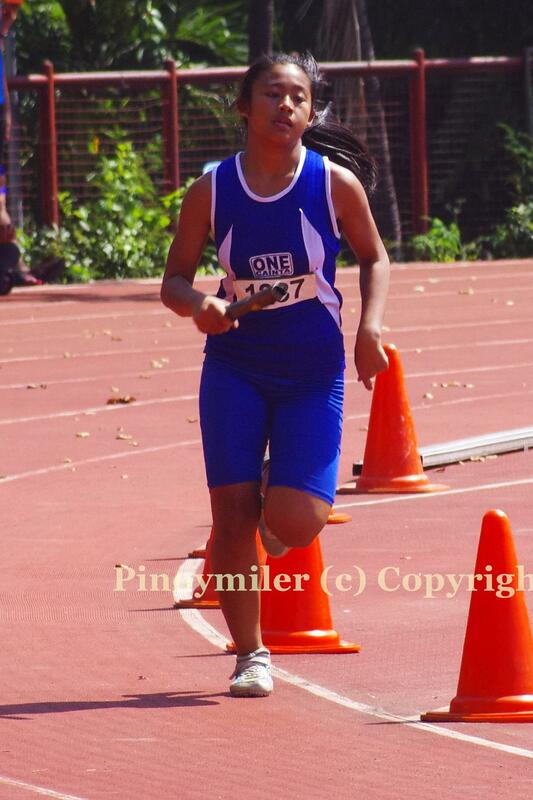 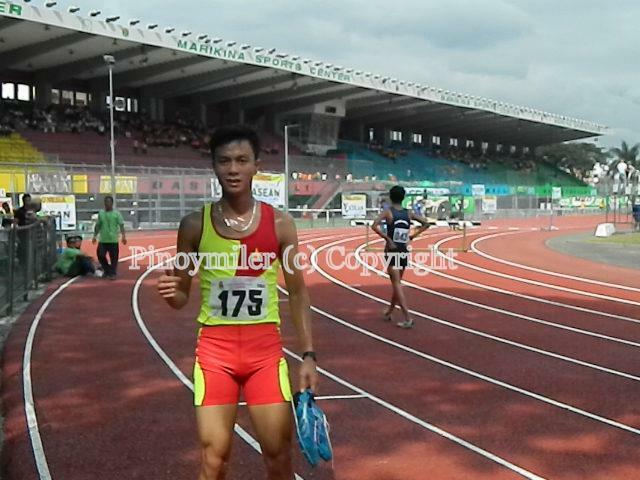 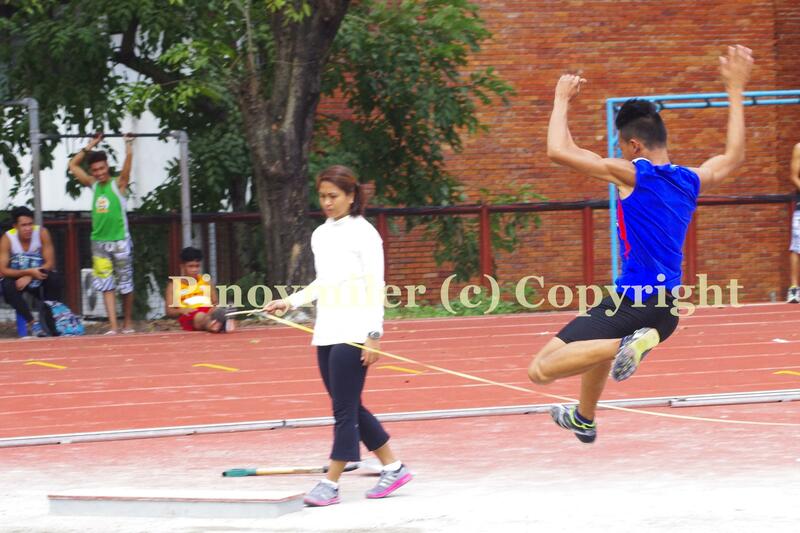 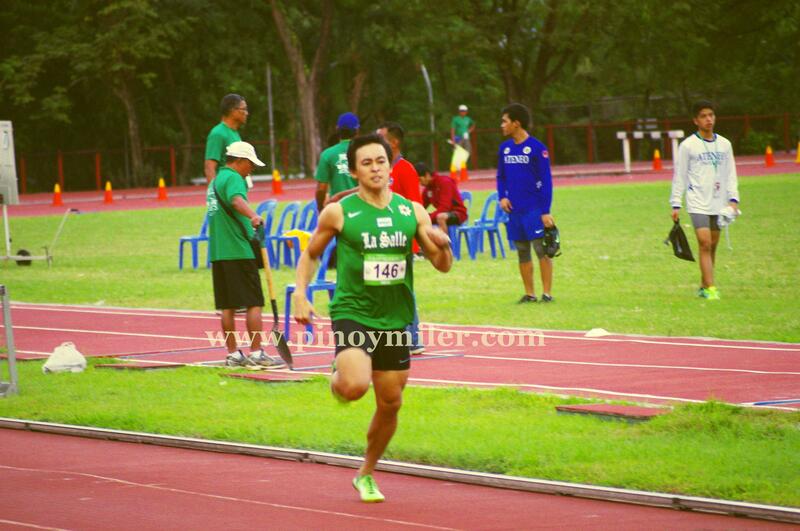 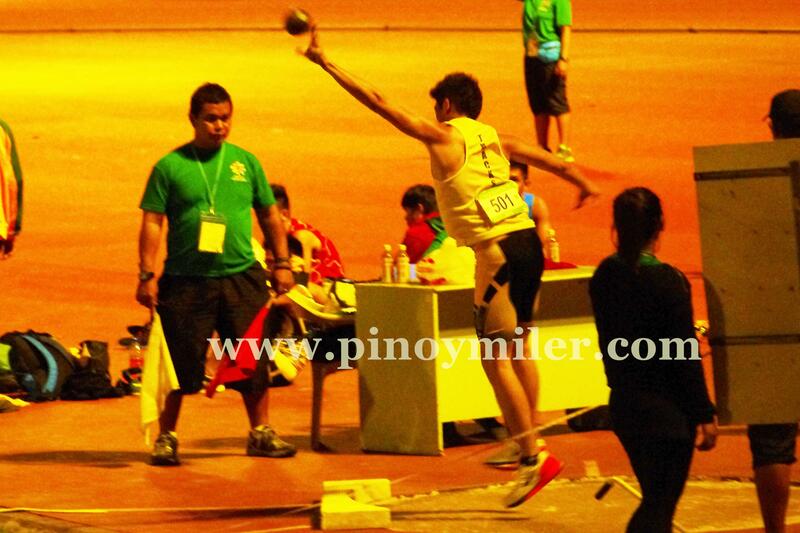 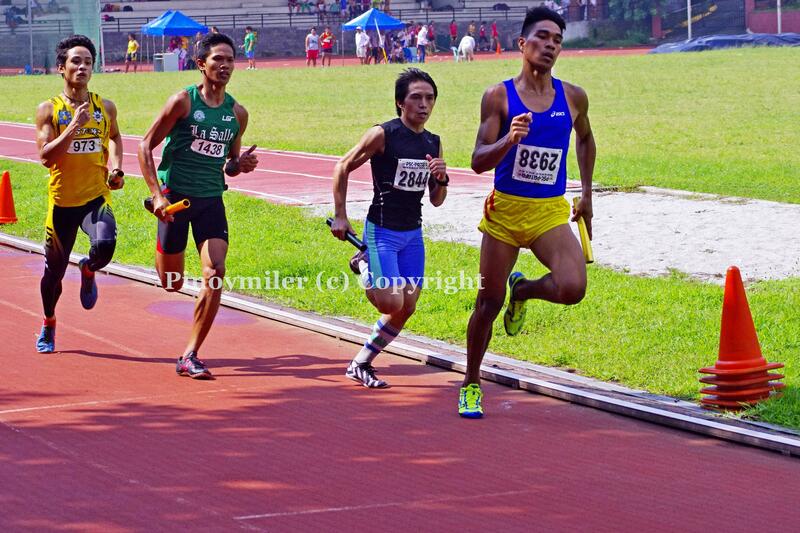 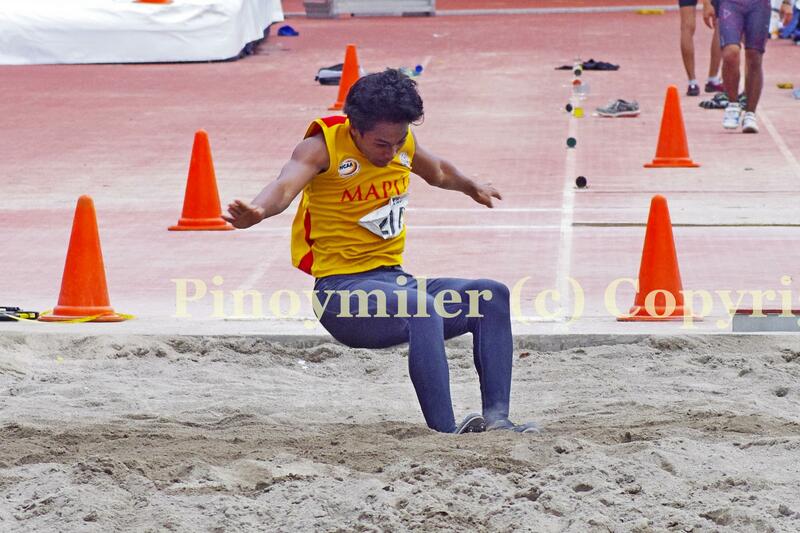 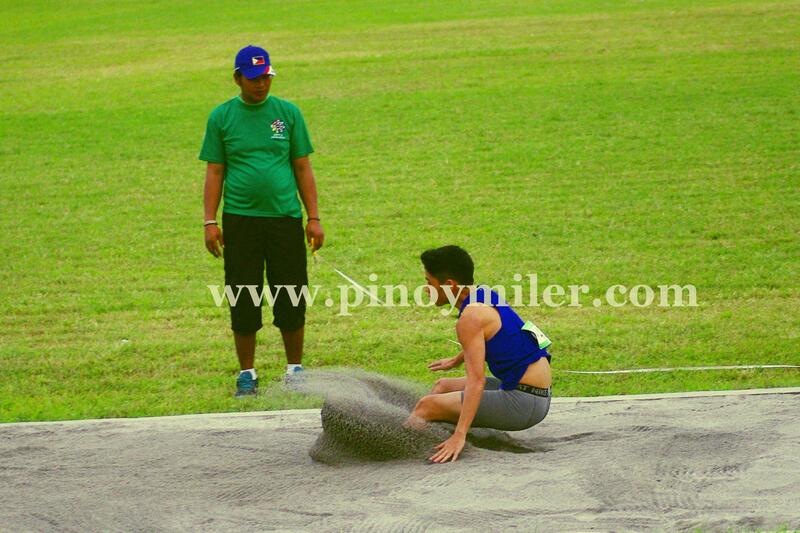 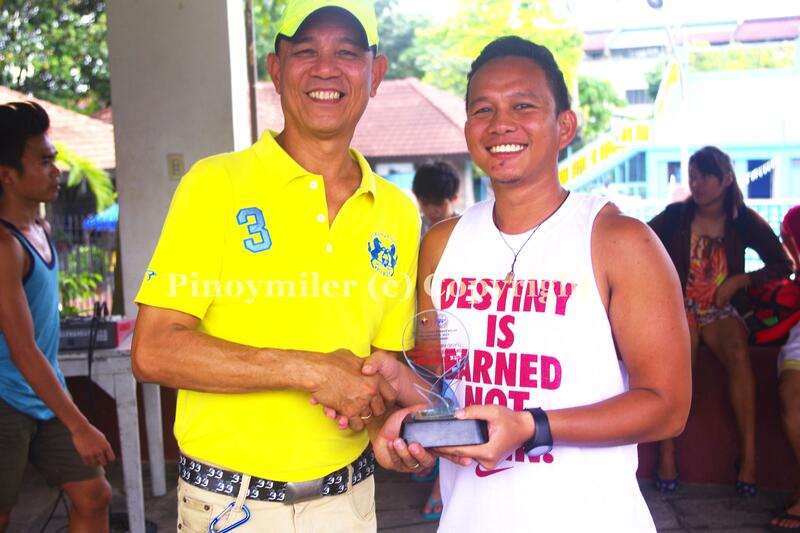 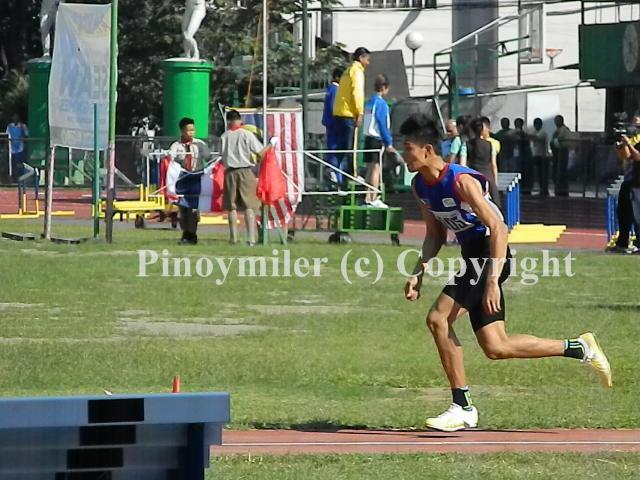 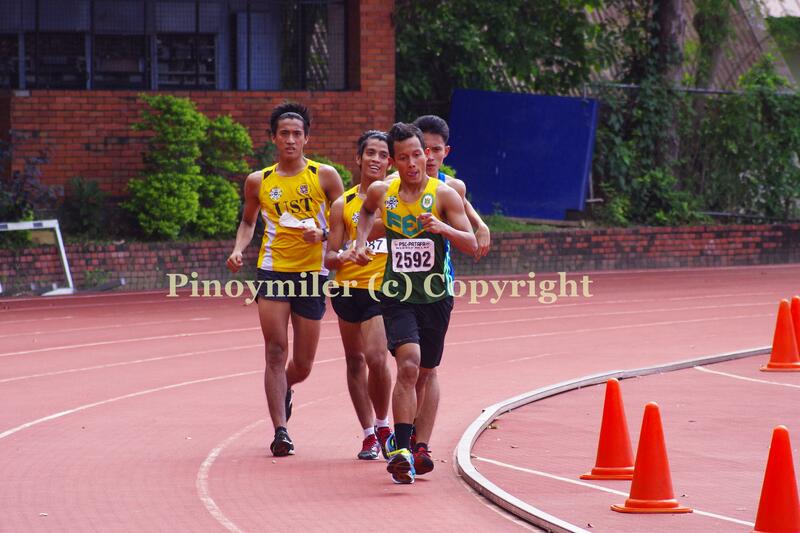 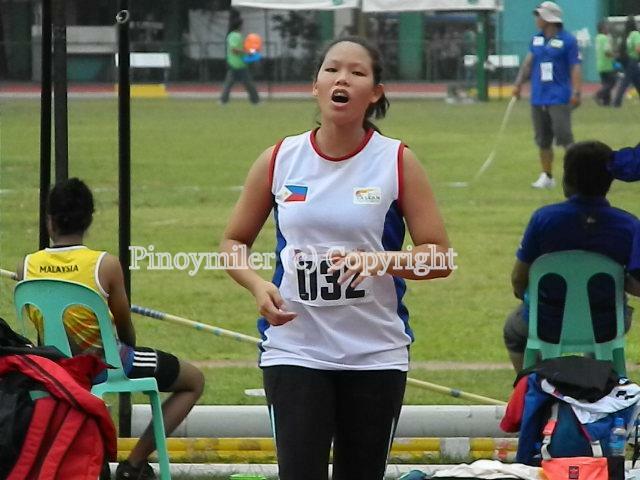 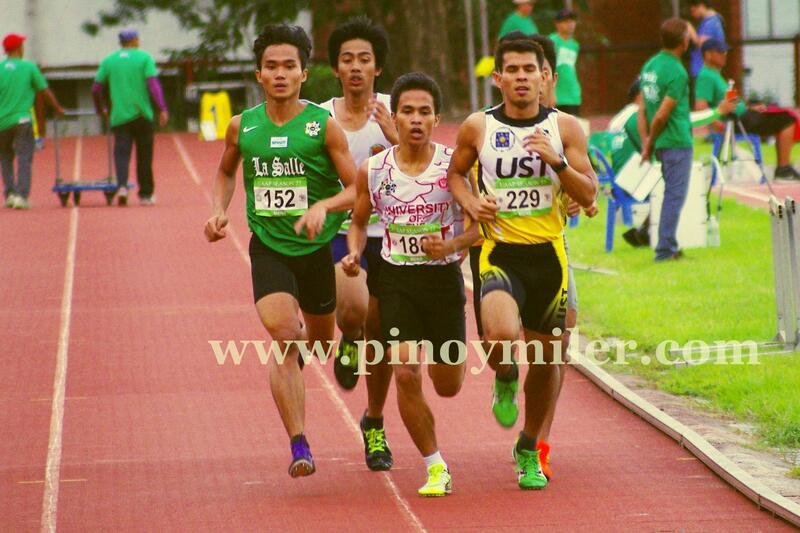 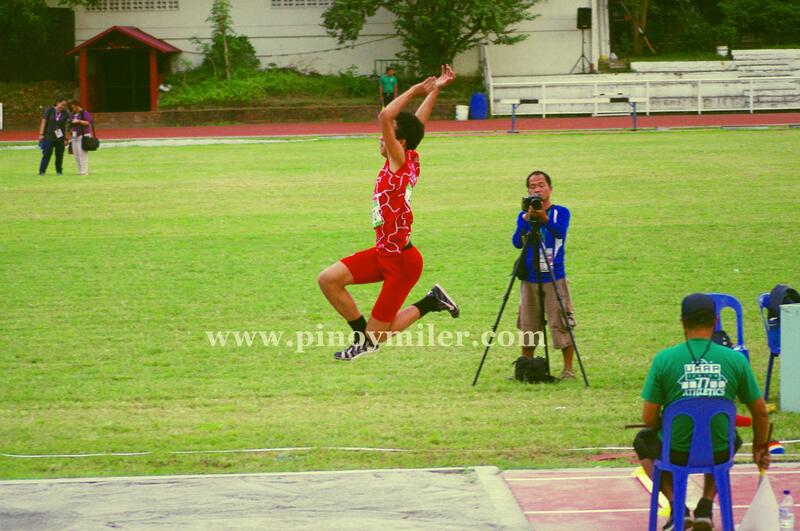 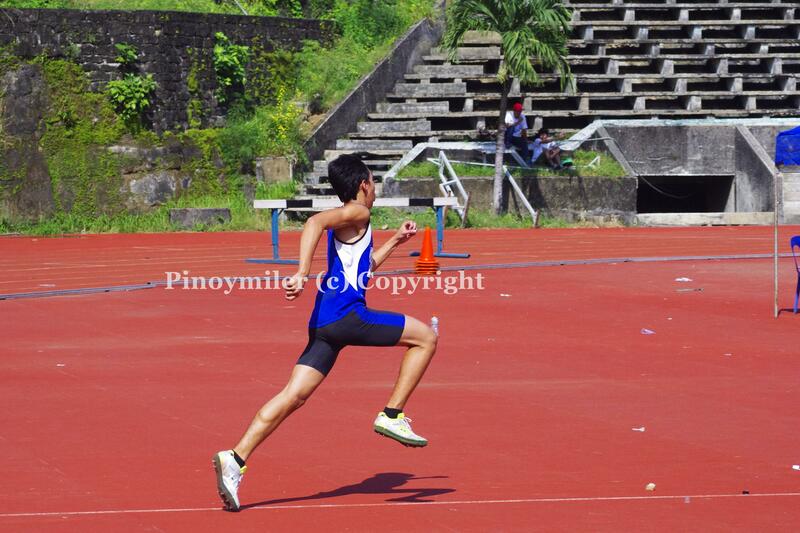 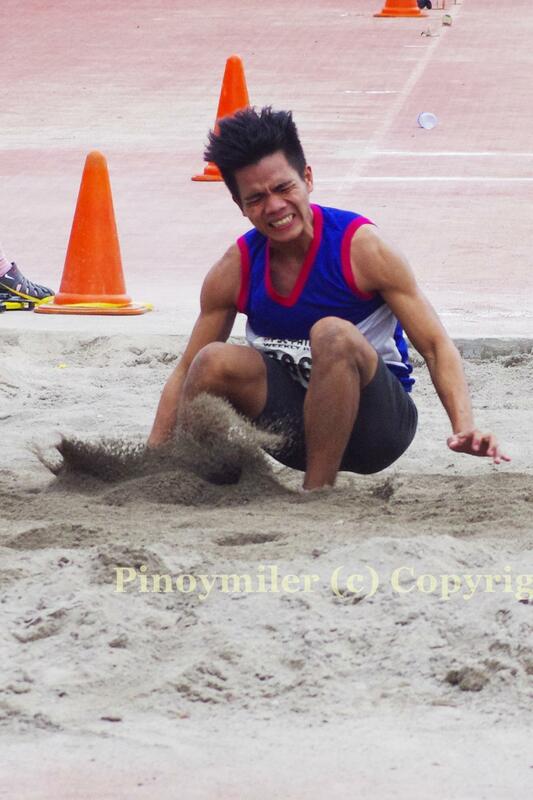 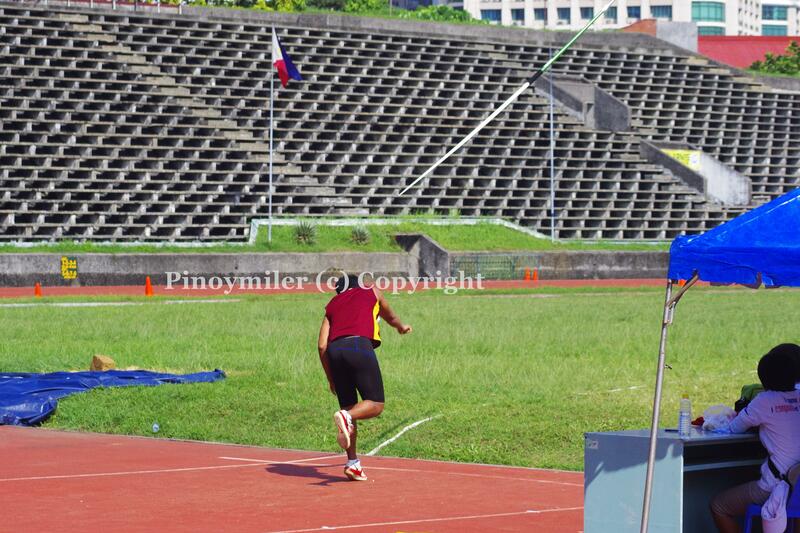 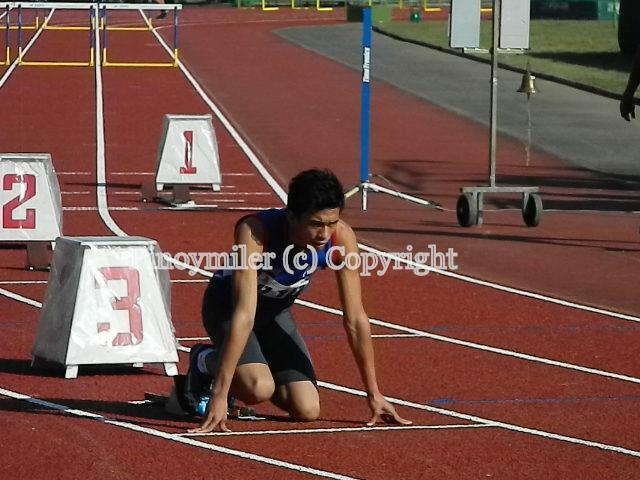 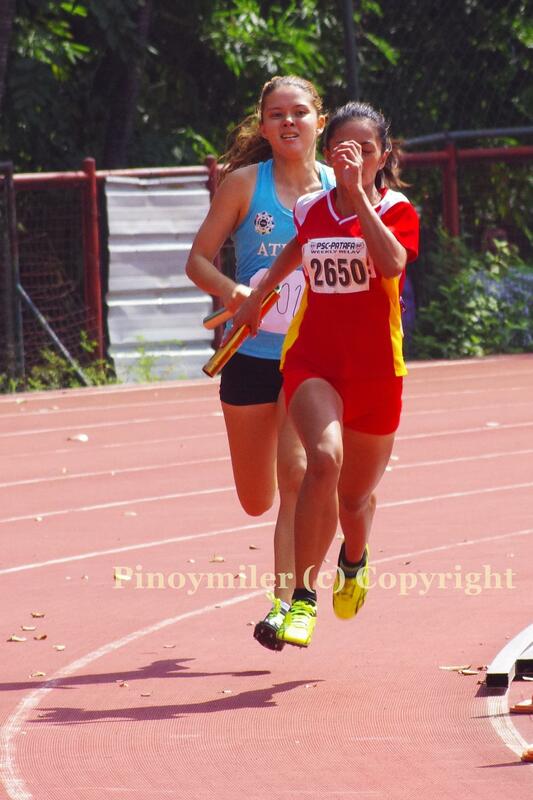 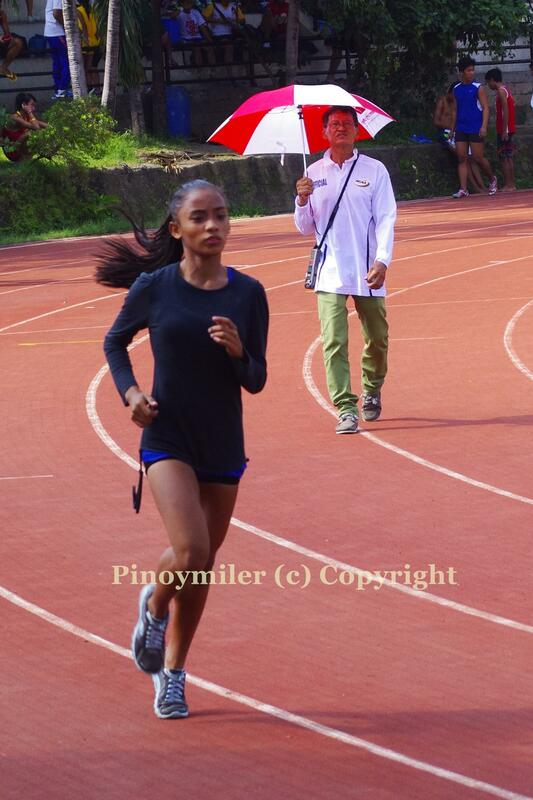 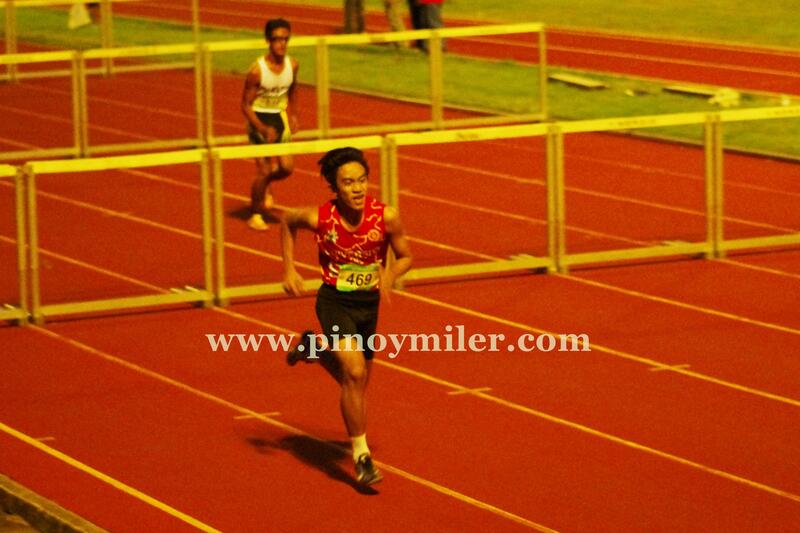 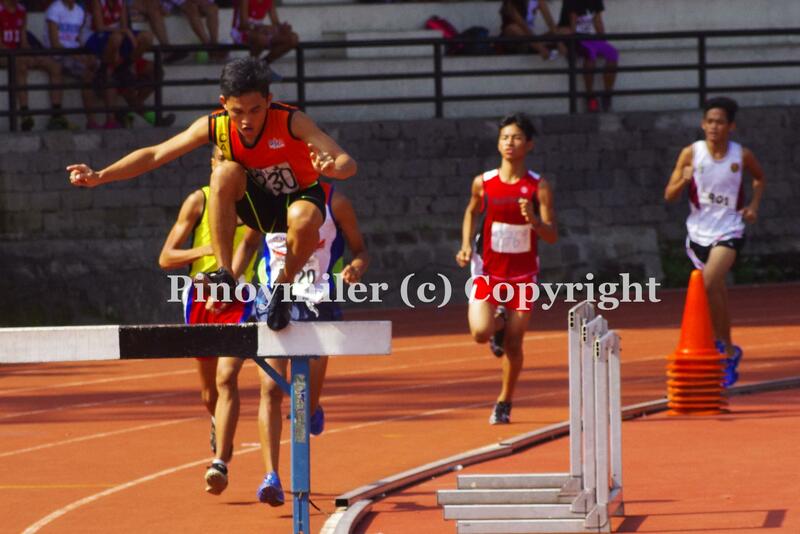 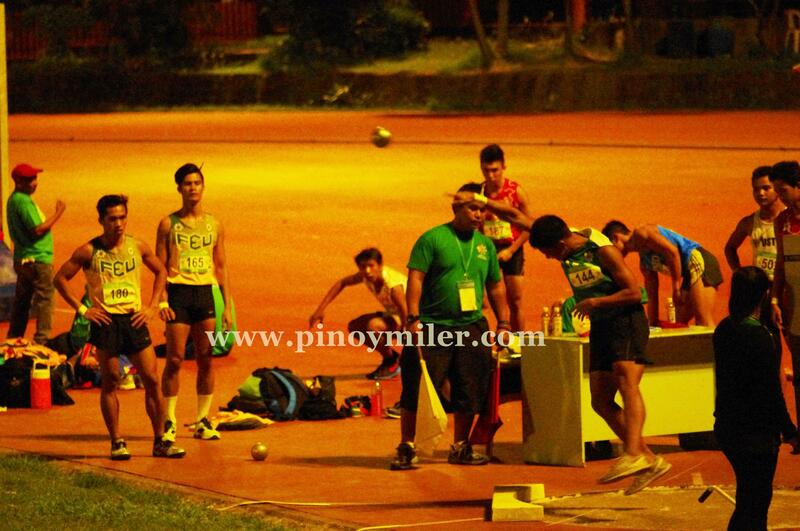 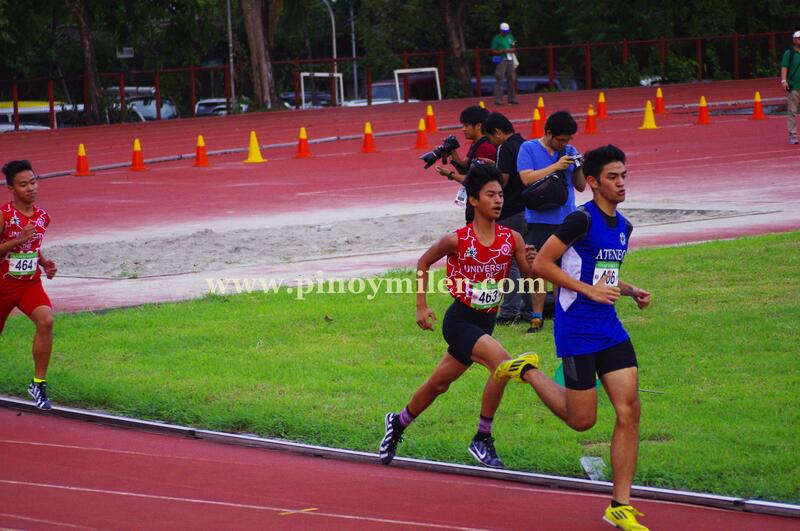 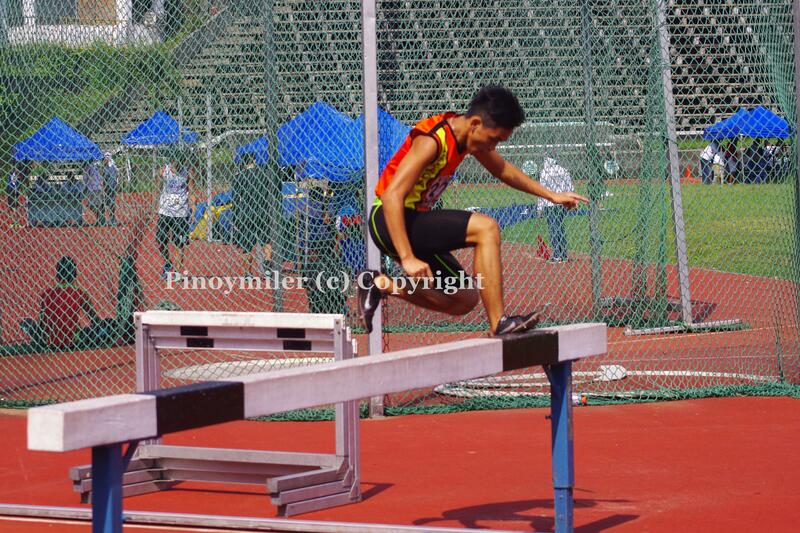 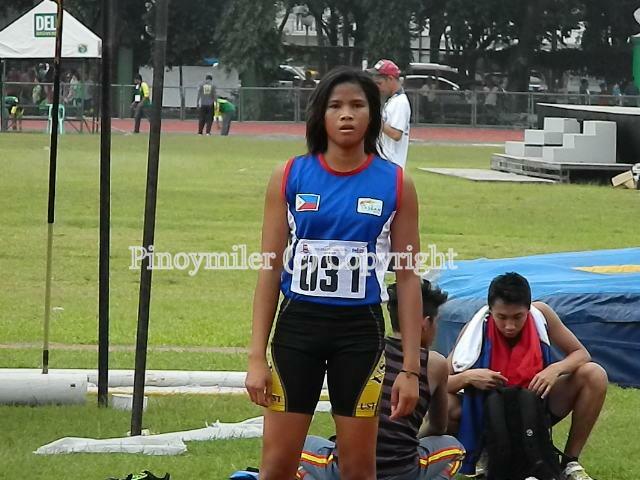 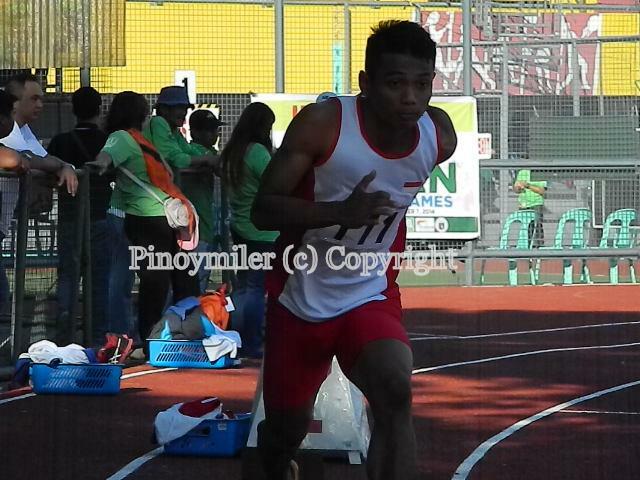 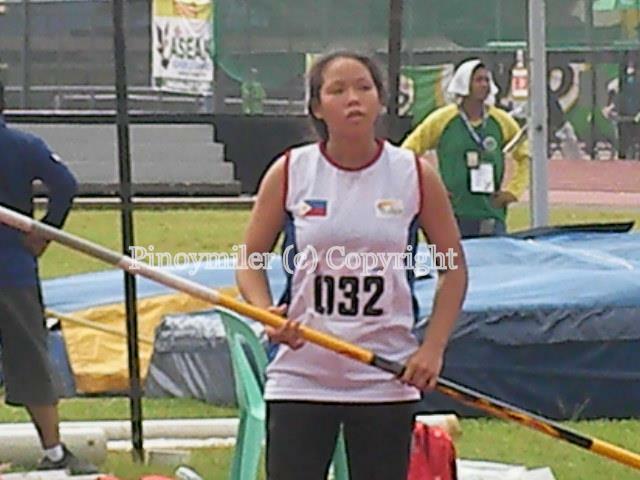 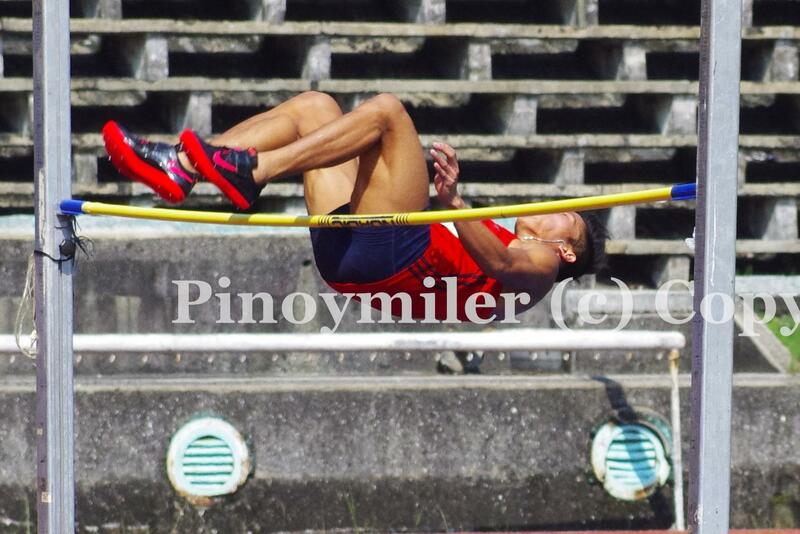 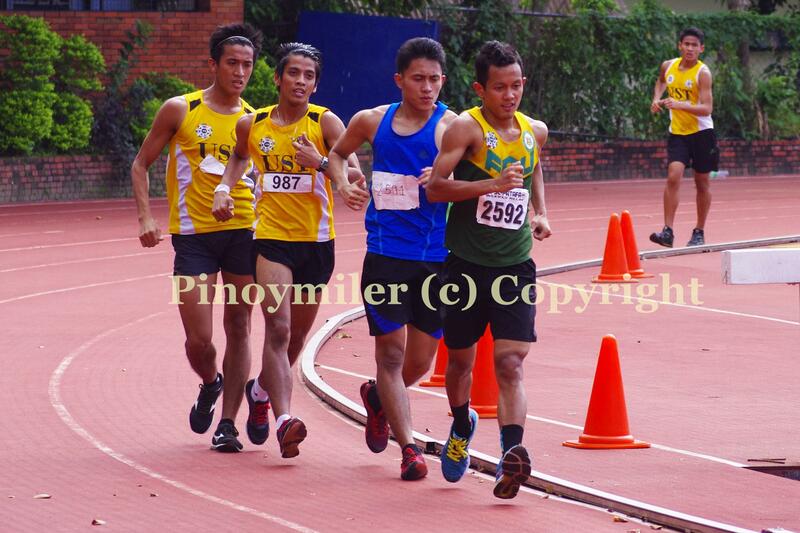 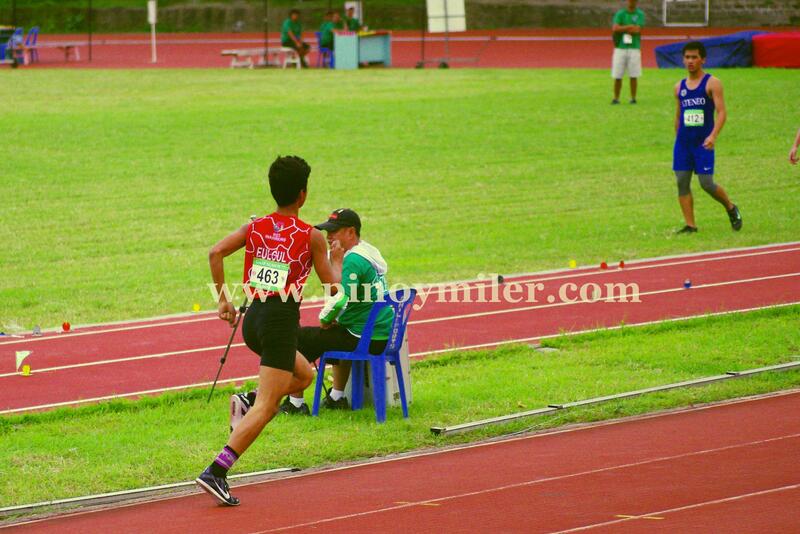 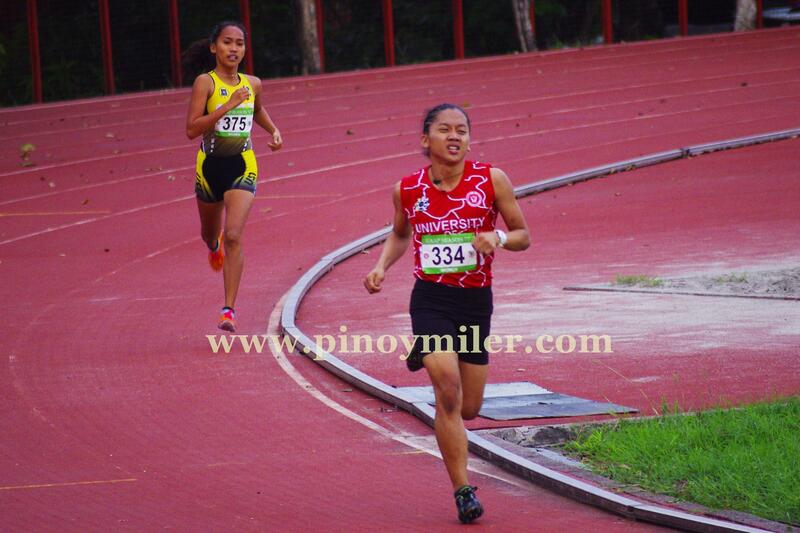 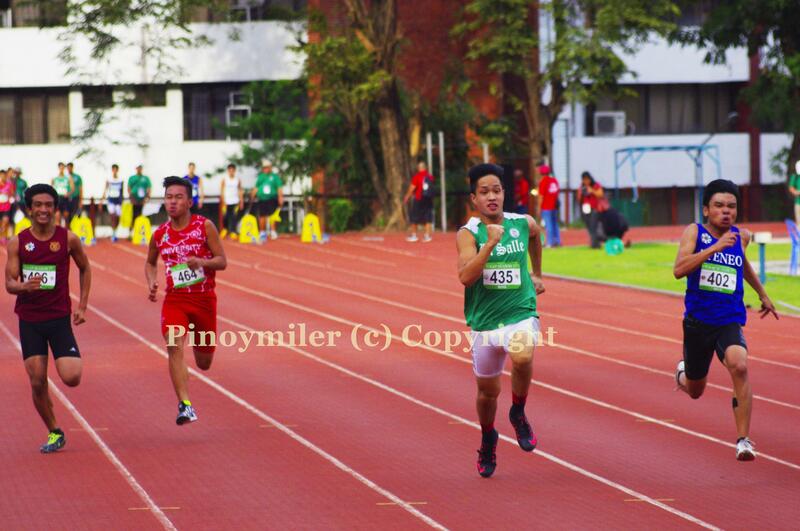 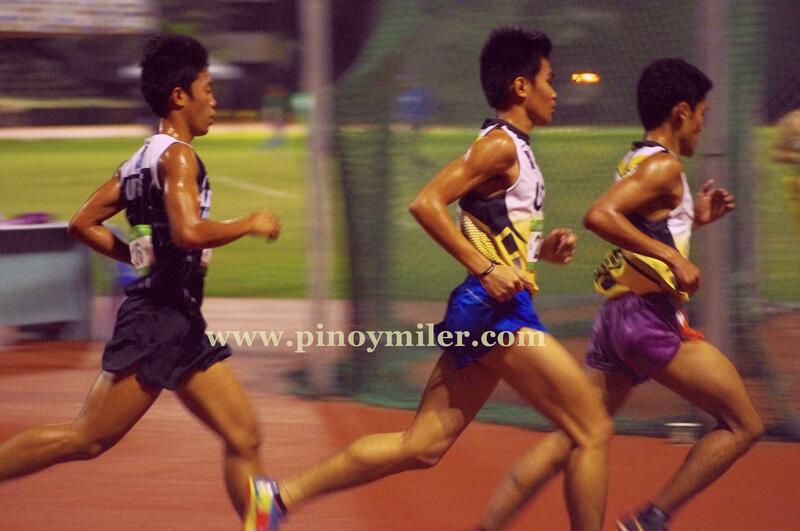 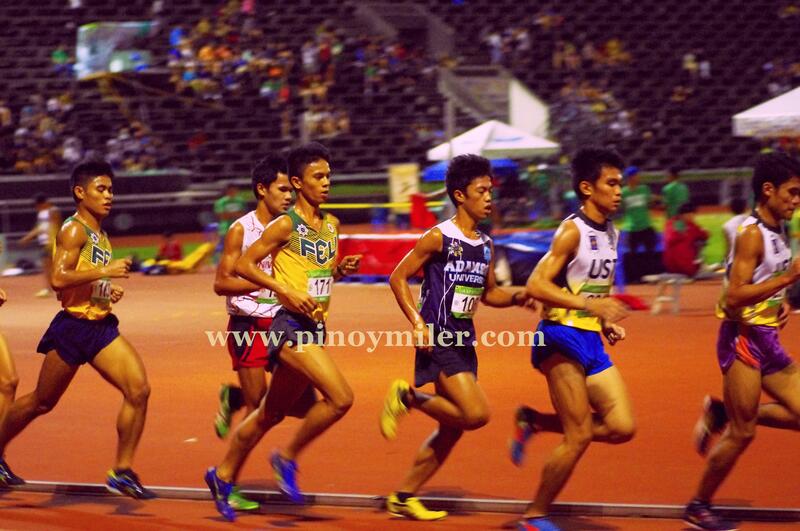 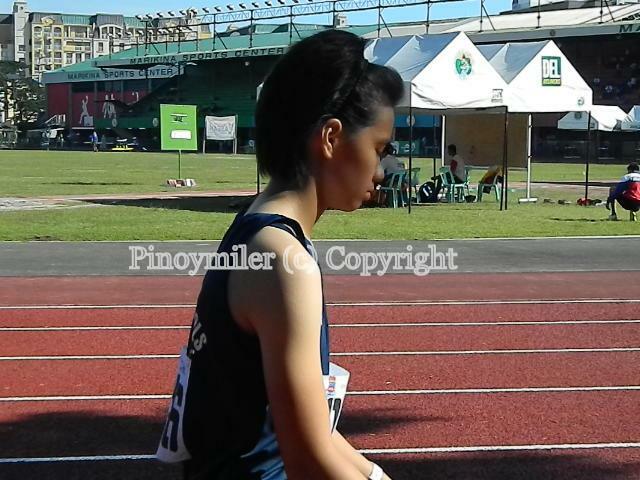 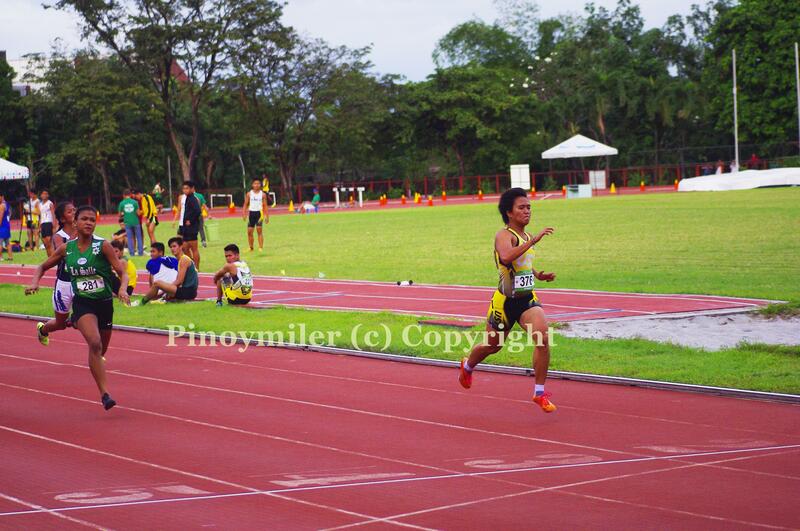 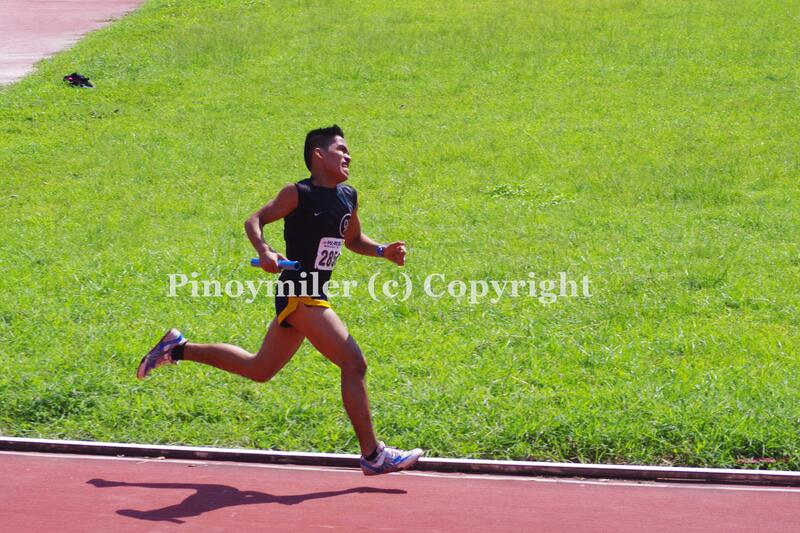 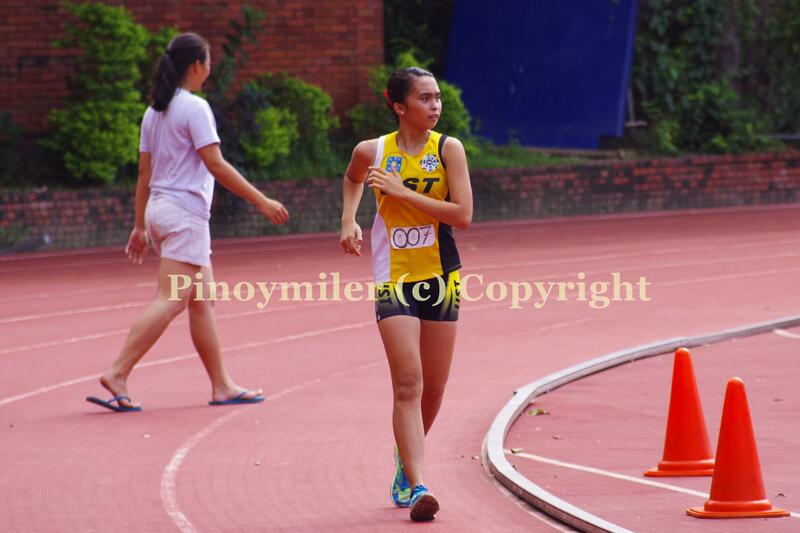 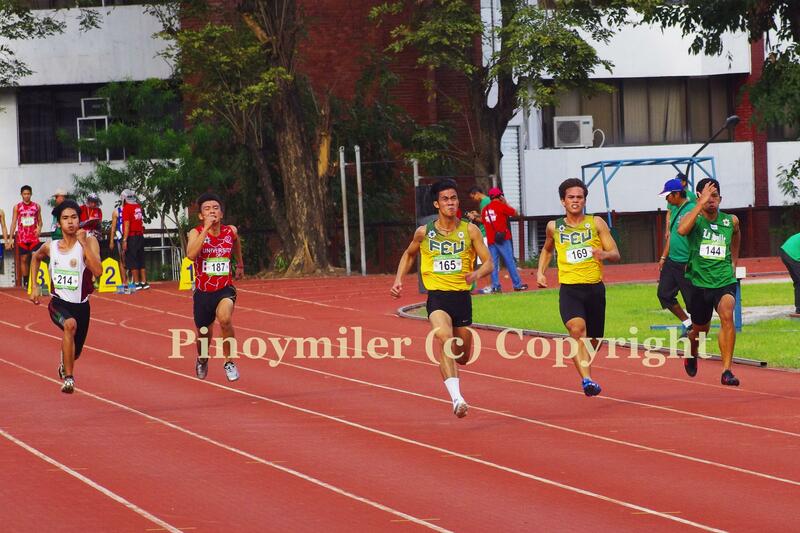 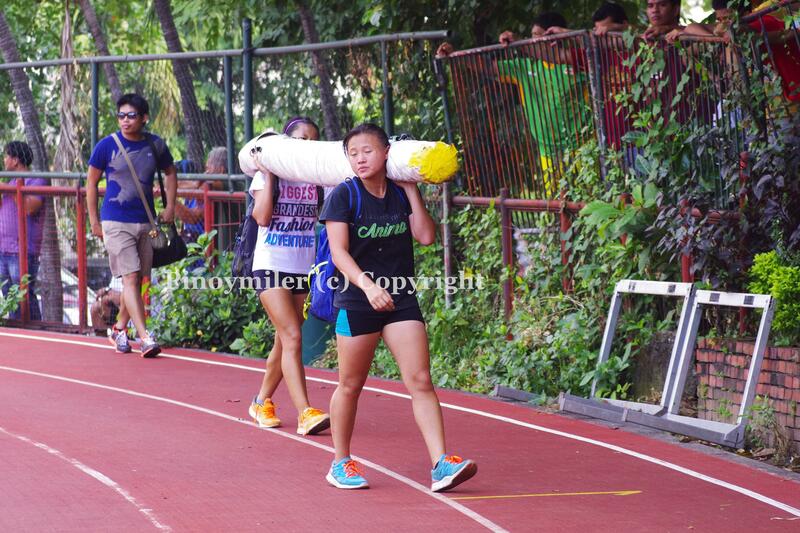 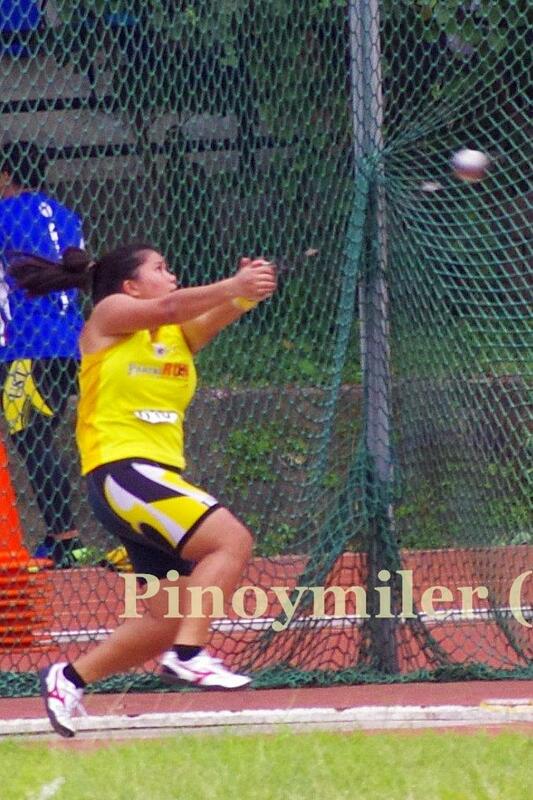 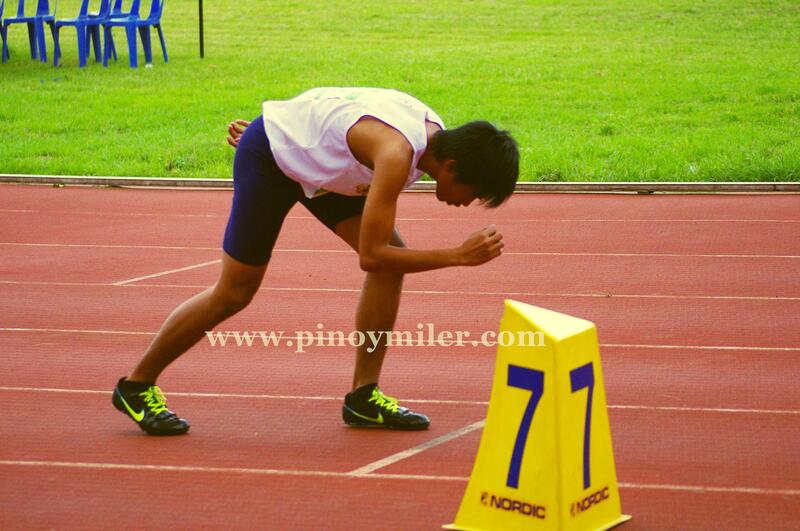 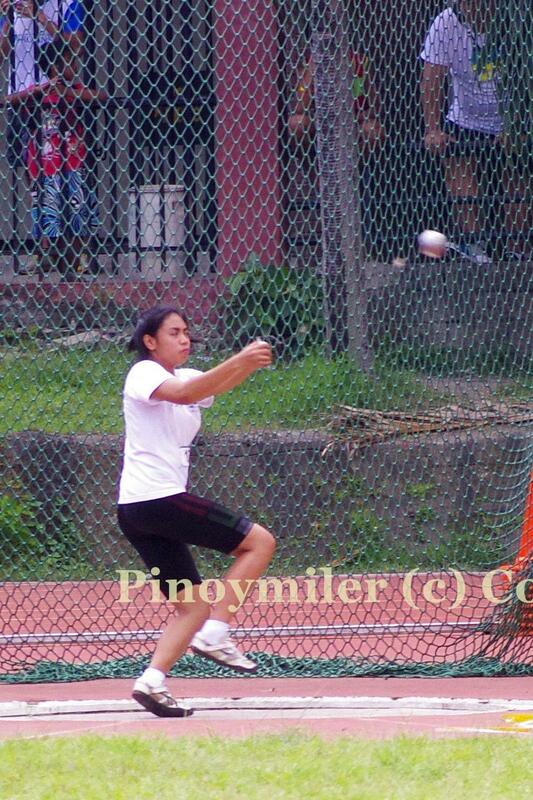 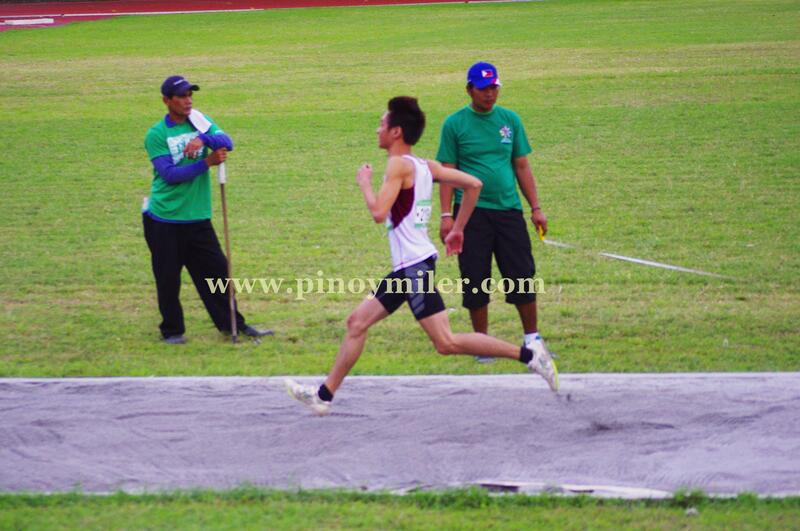 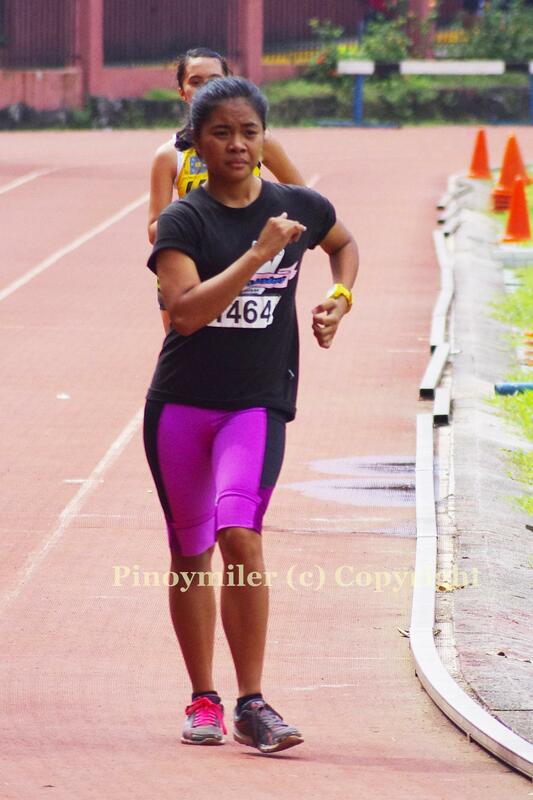 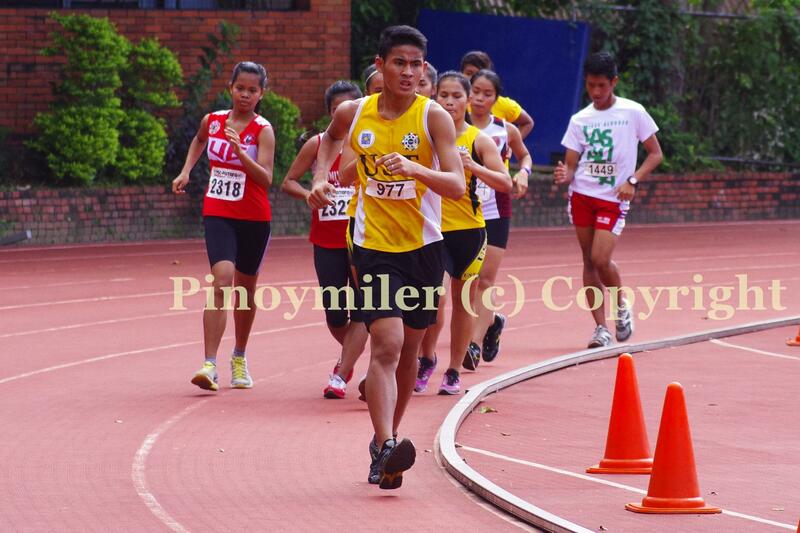 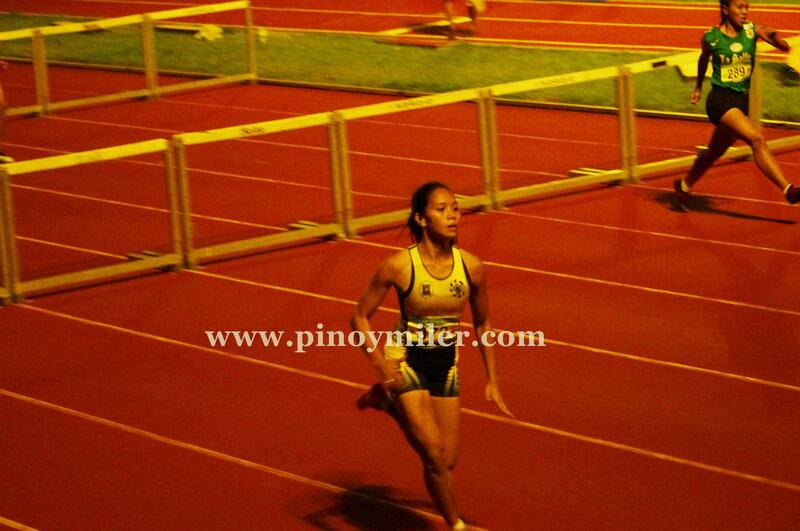 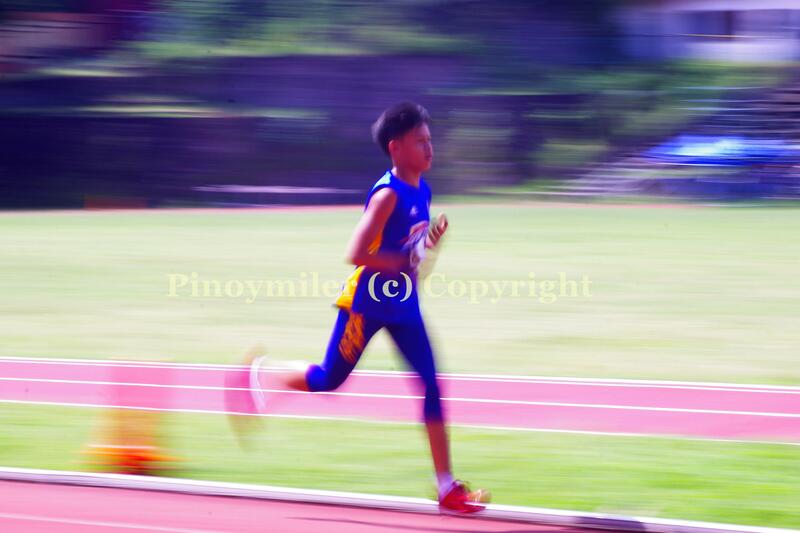 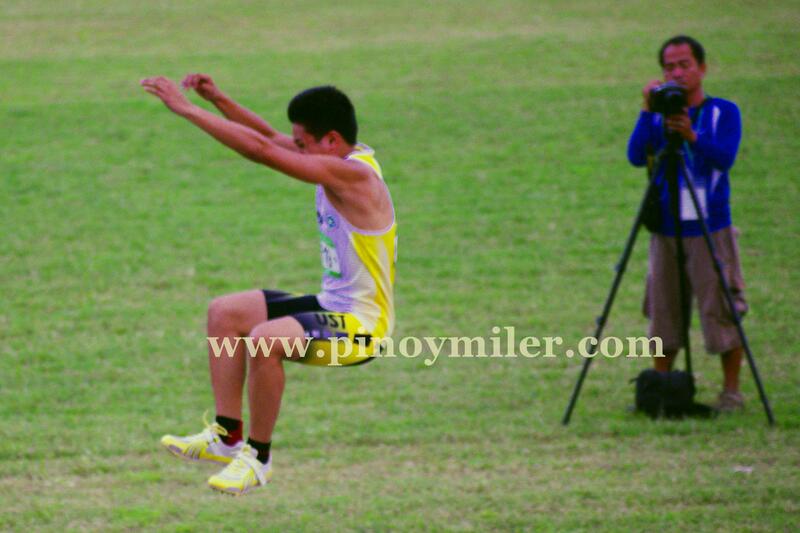 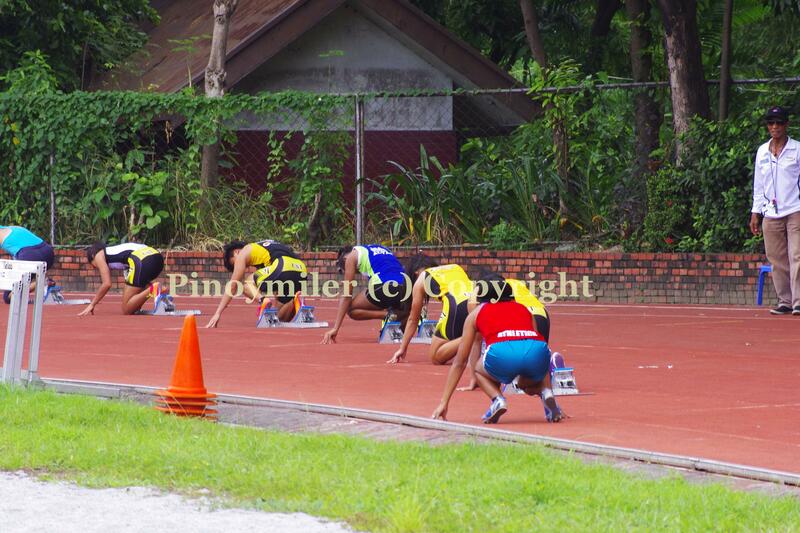 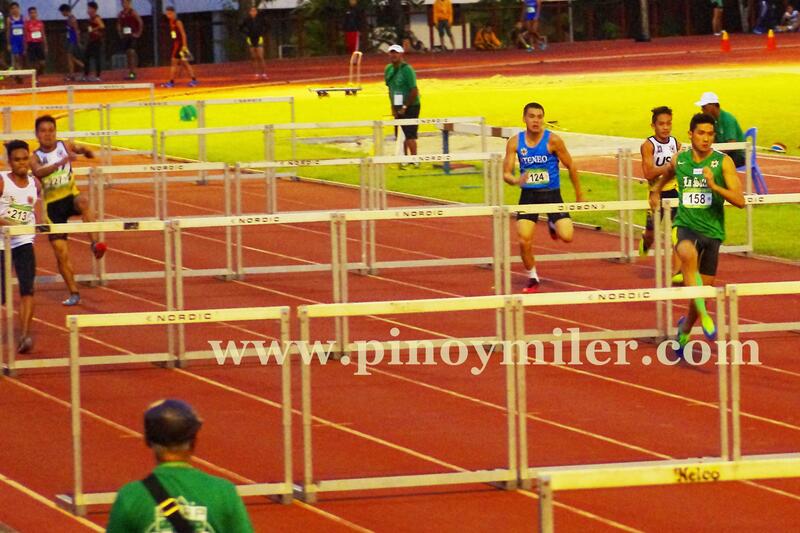 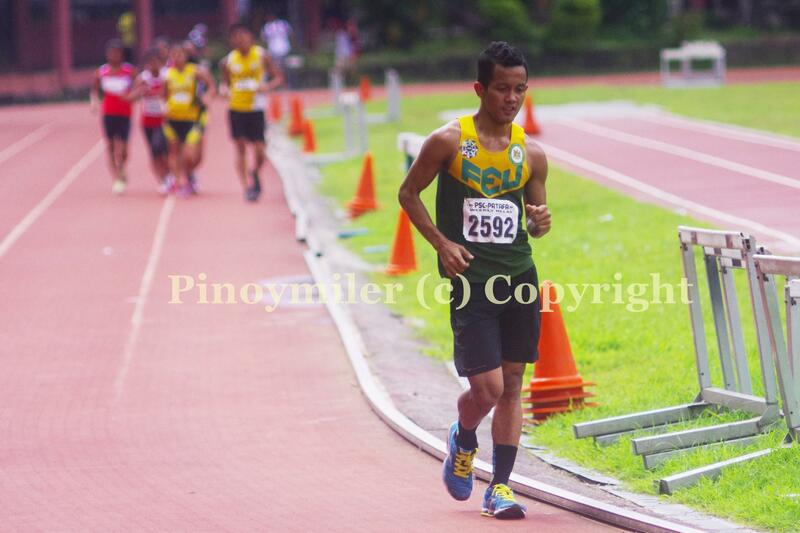 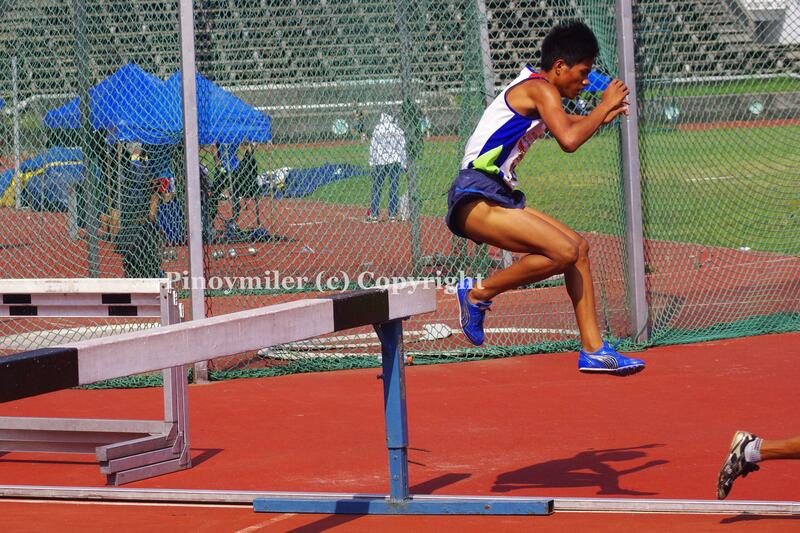 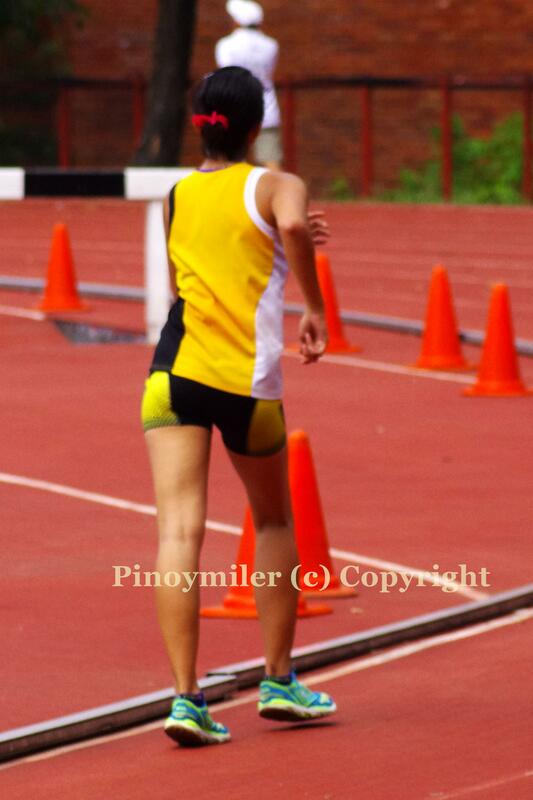 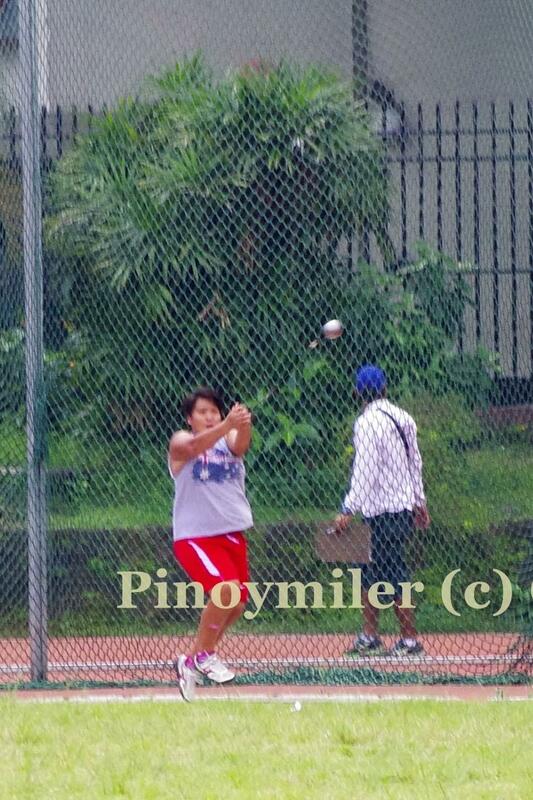 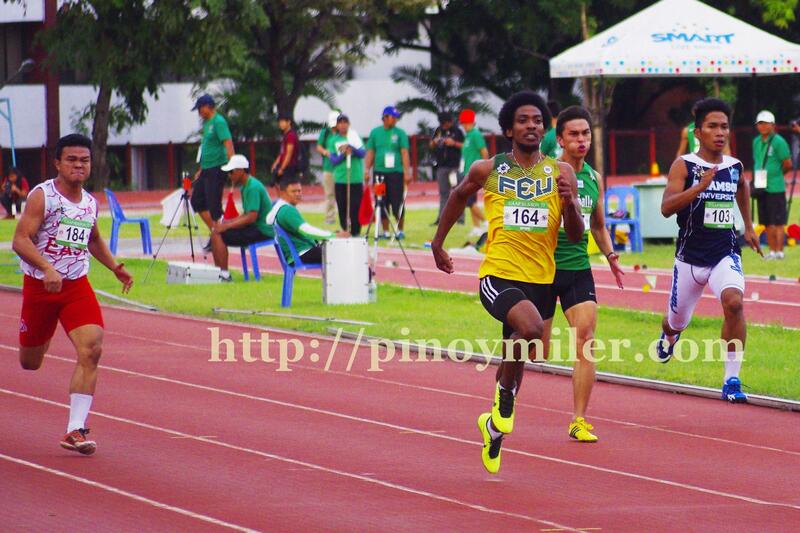 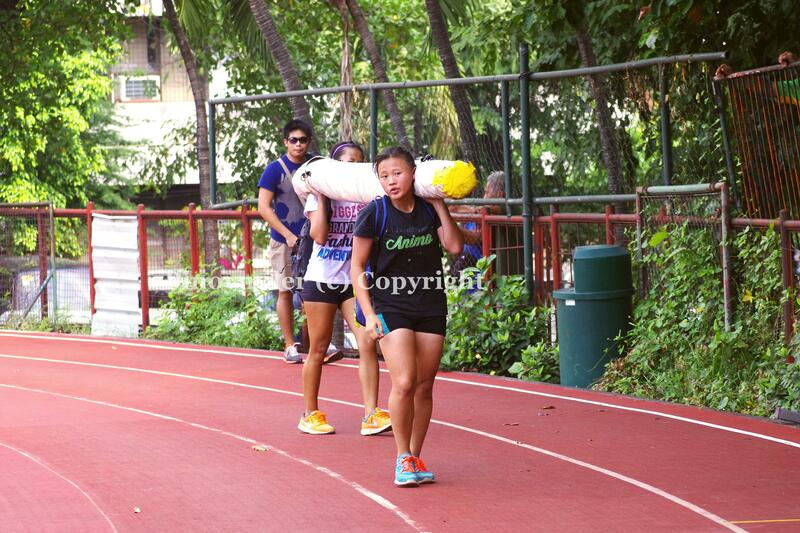 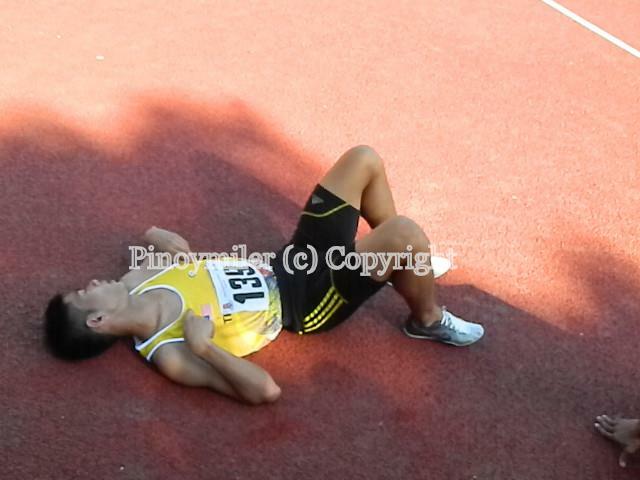 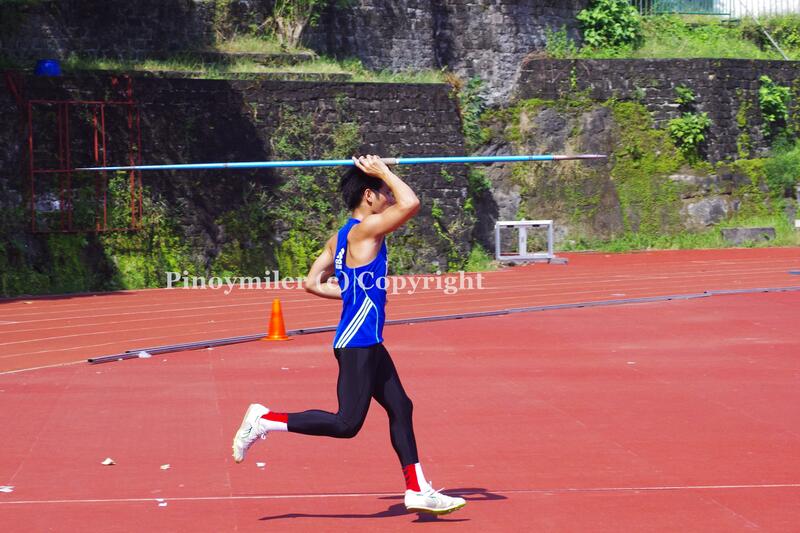 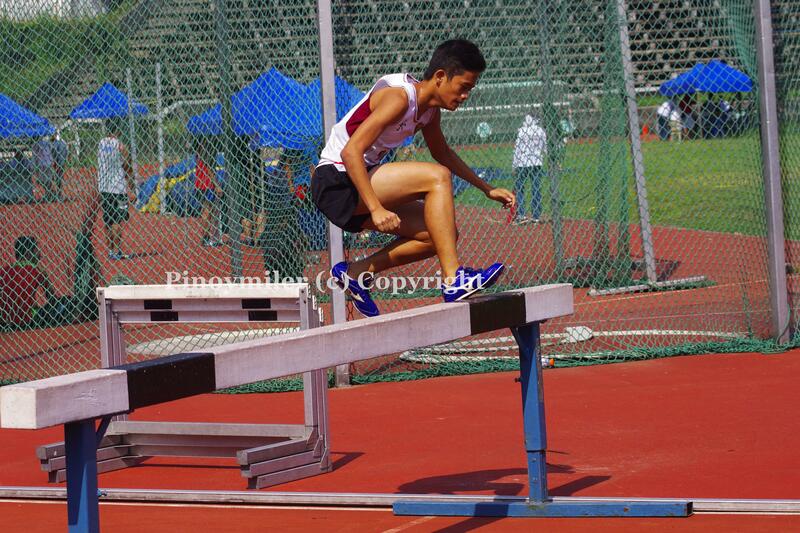 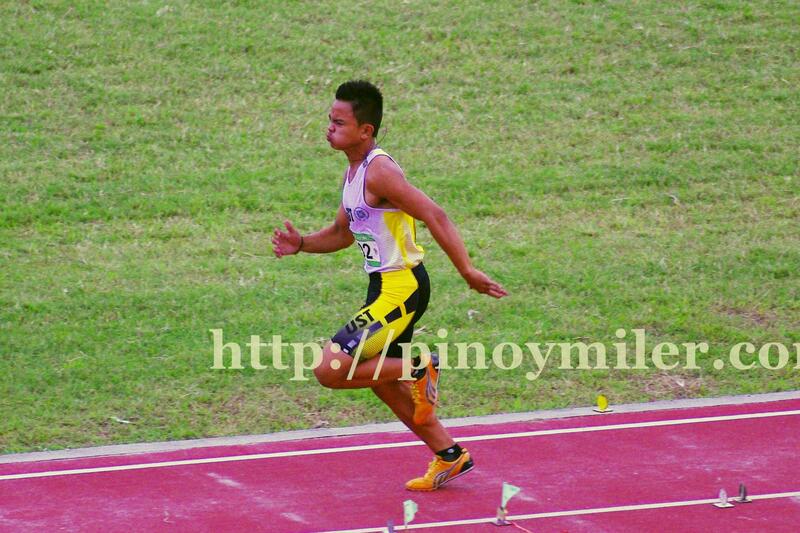 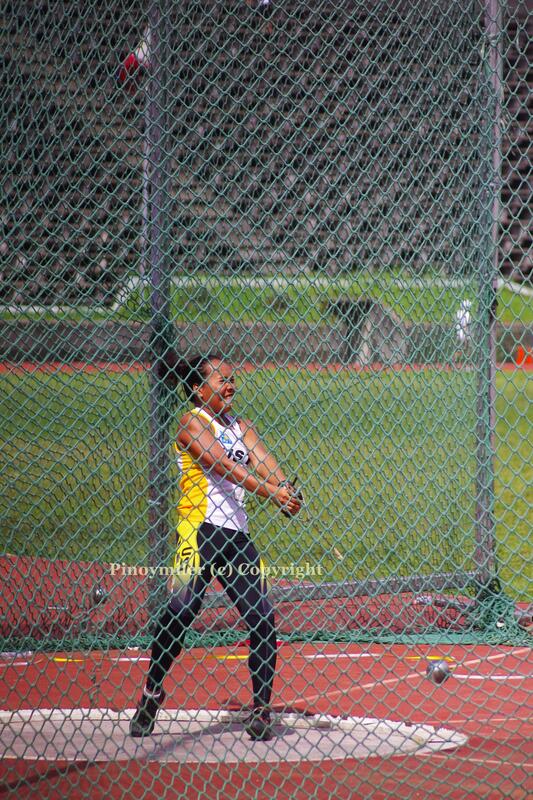 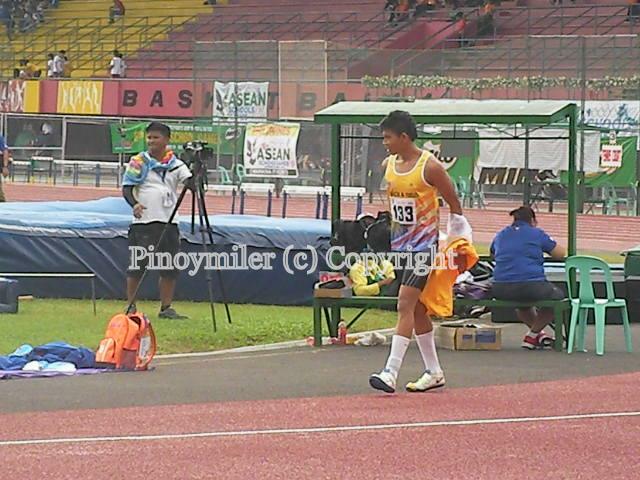 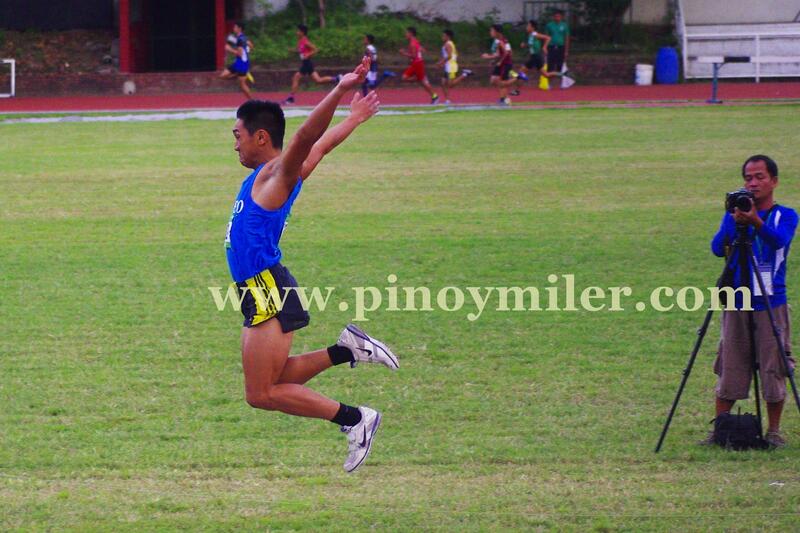 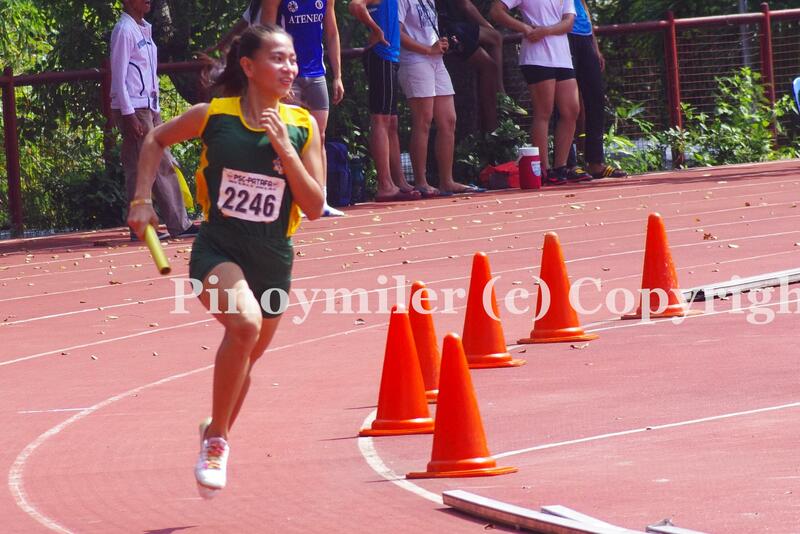 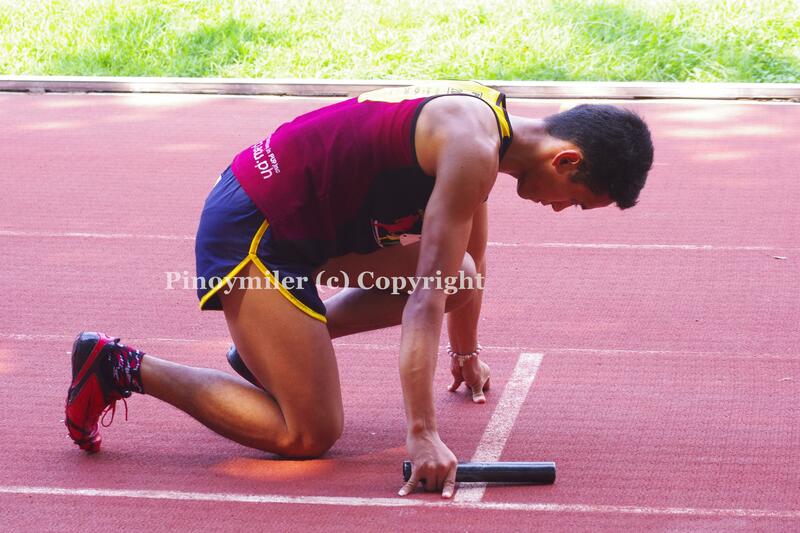 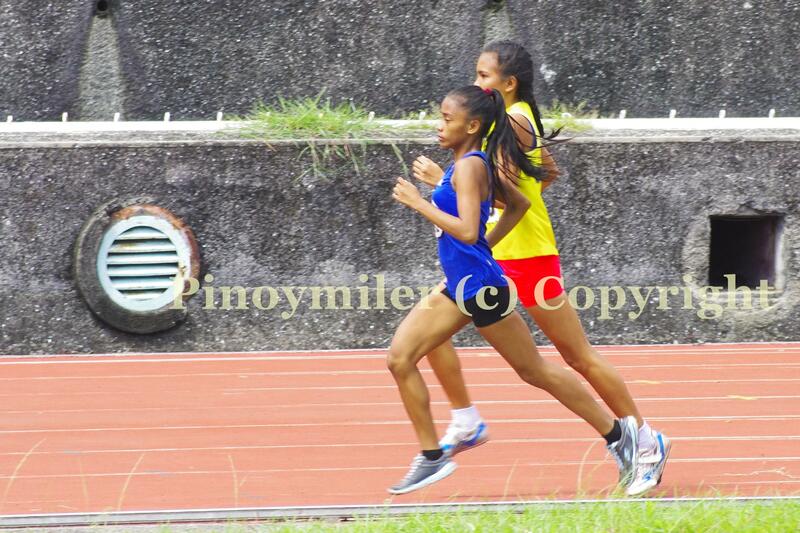 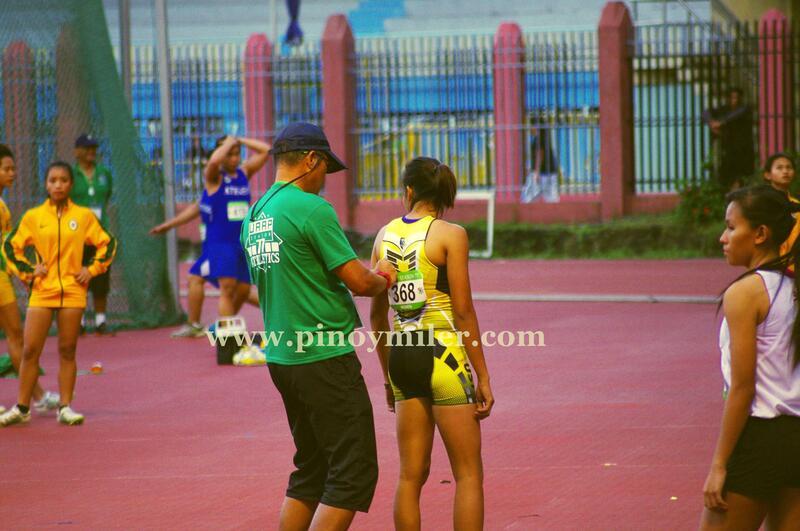 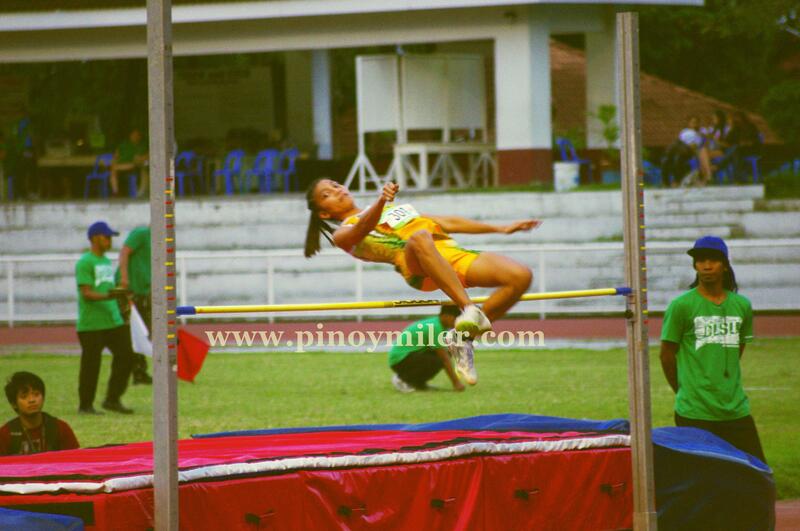 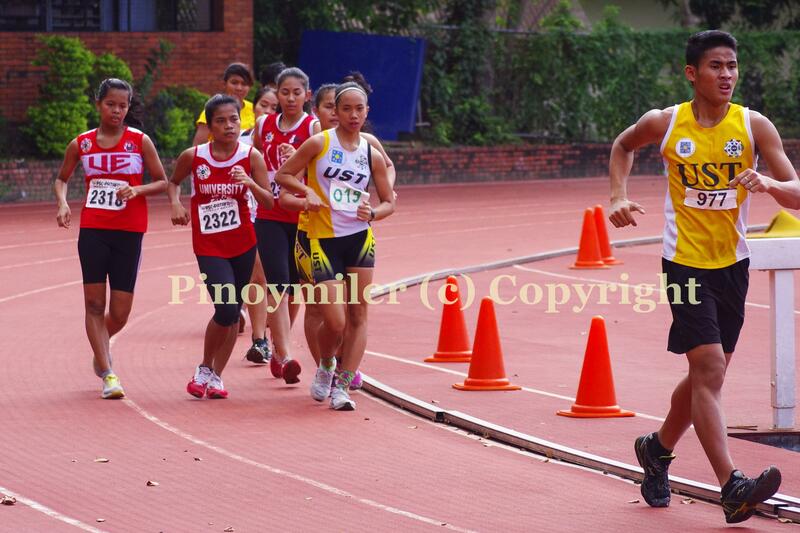 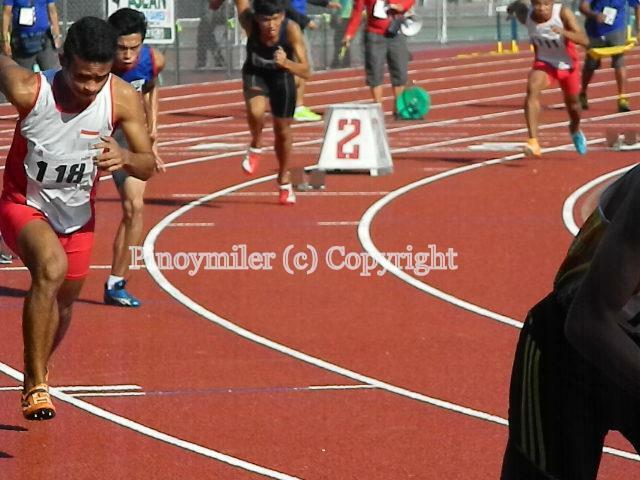 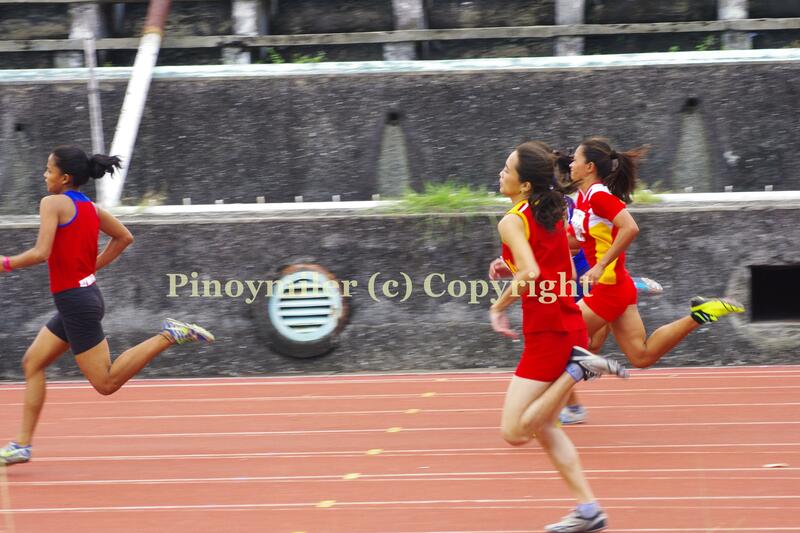 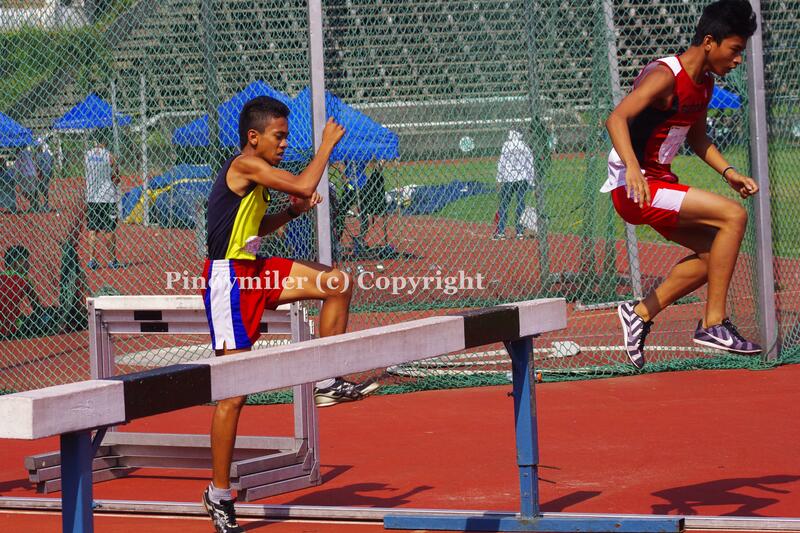 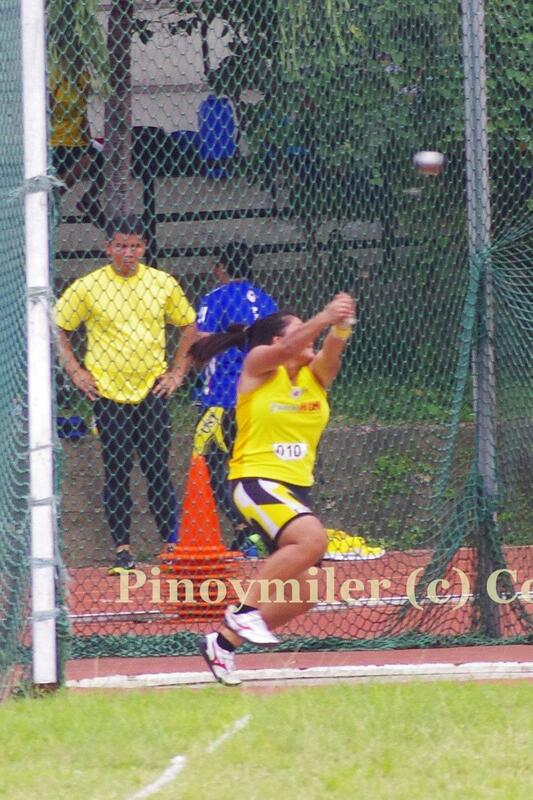 Photos by Roland Roldan for Pinoymiler, All rights reserved. 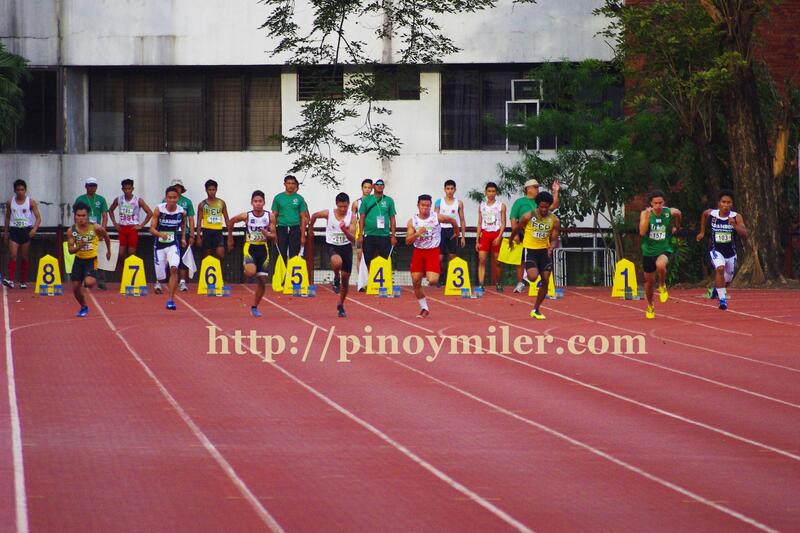 The 38th edition of the Milo Marathon will finally push through this December 13, 2014 at the SM MOA grounds. 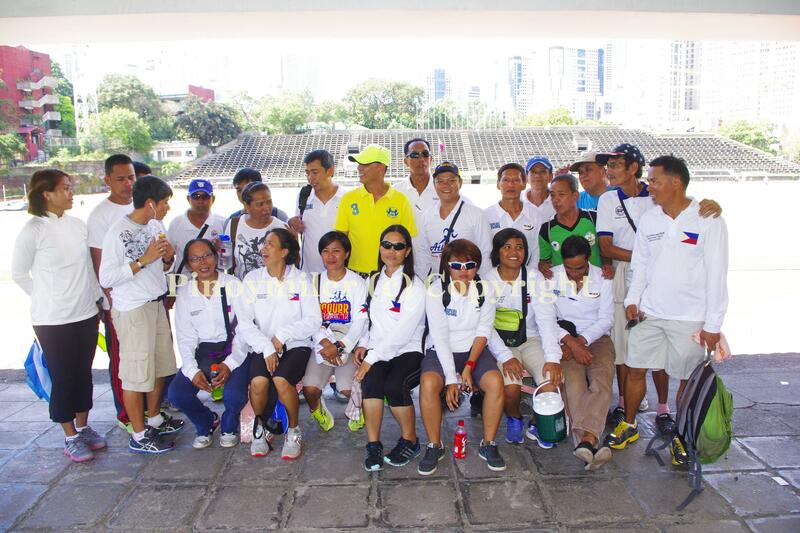 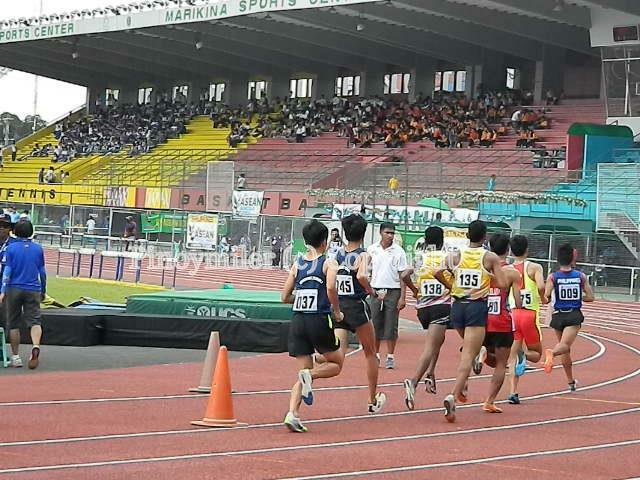 It can be recalled that the longest running marathon event in the Philippines was supposed to fire off last December 7, but was forced to be cancelled due to the imminent danger that typhoon Ruby posed to the participants. 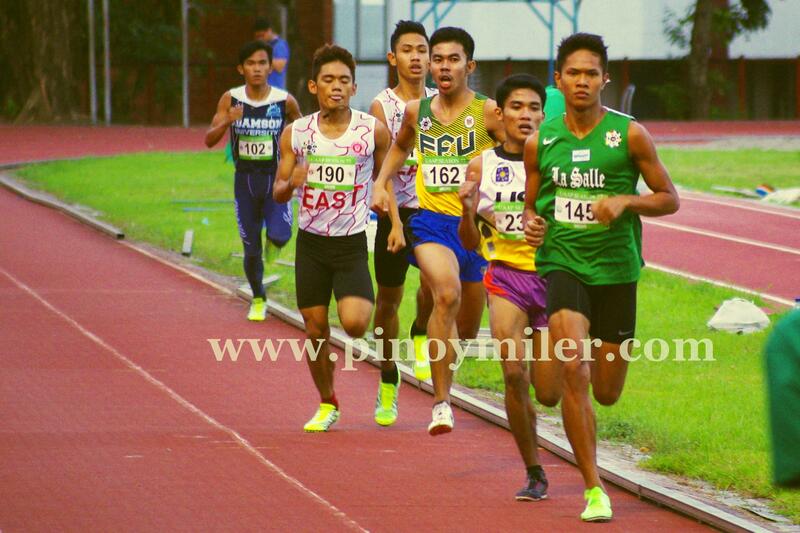 Considered to be the country’s national championships at the marathon and half marathon events, the Milo Marathon continues to attract the marquee names in the long distance community of the country. 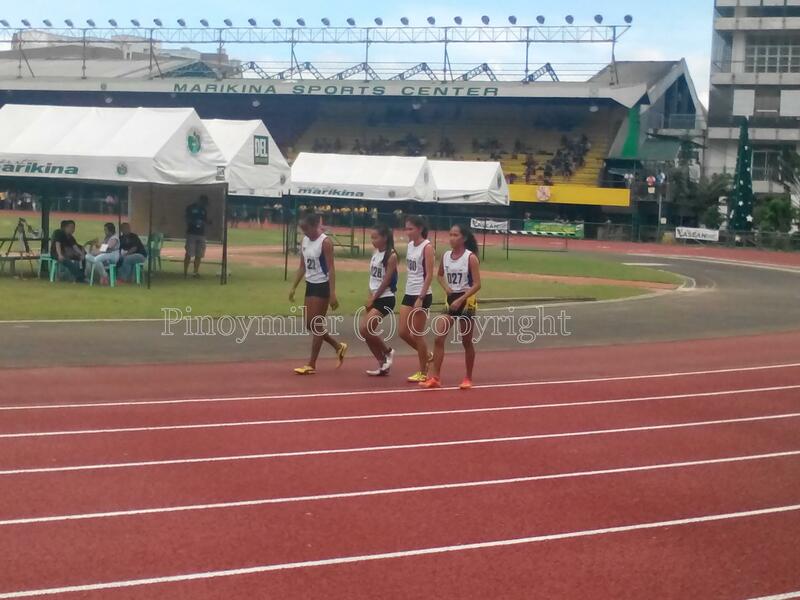 Manila-based Kenyans have spurred up the competition level in both women and men’s division as they have joined the Milo circuit about three years ago. 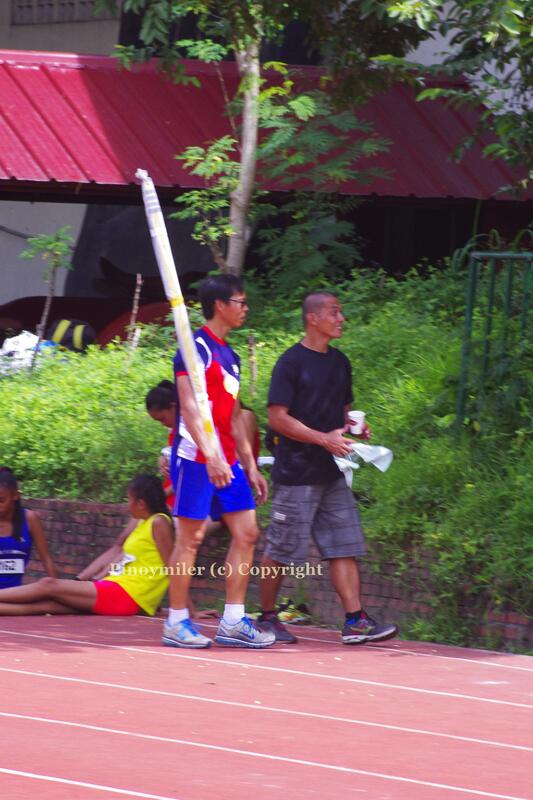 The great Roy Vence holds the most number of titles in the men’s division with 6 titles, followed by 2 time Olympian and National record holder Eduardo Buenavista with 5 titles. 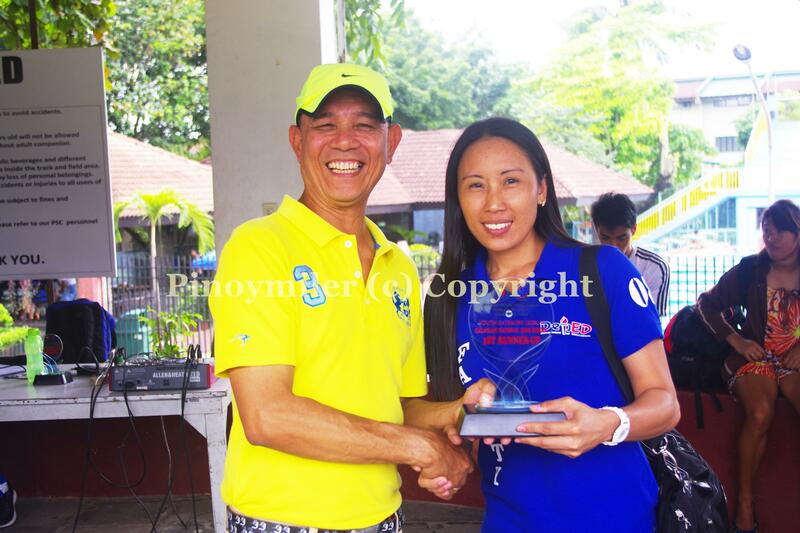 In the women’s side, long retired great Arsenia Sagaray won the Milo title 5 times. 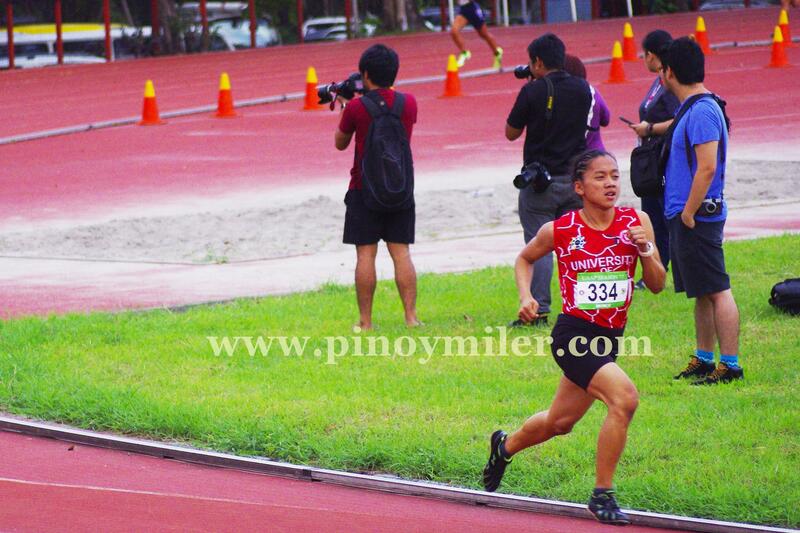 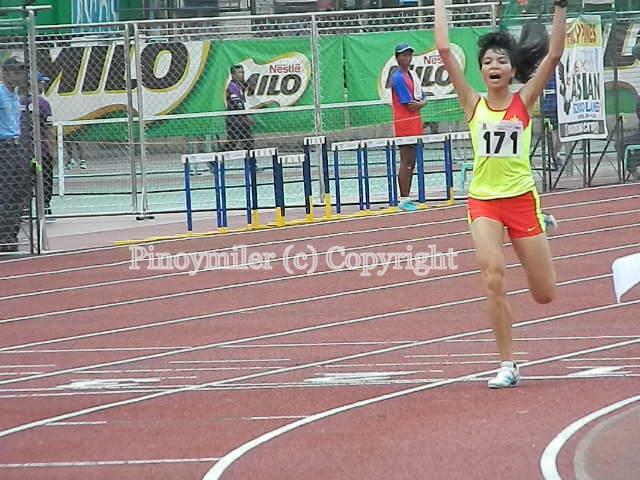 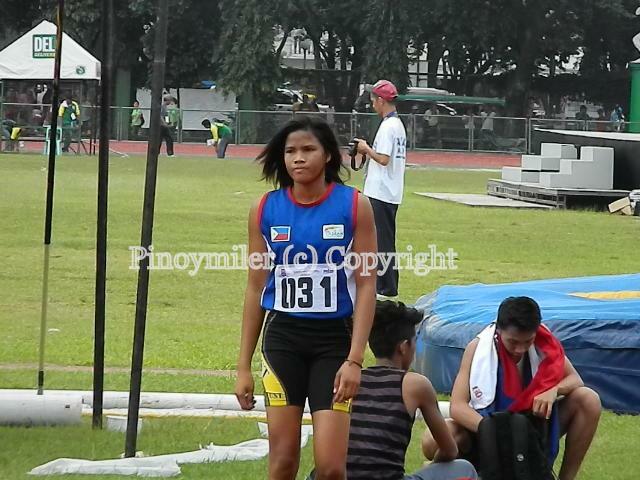 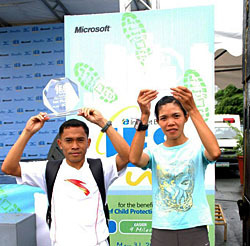 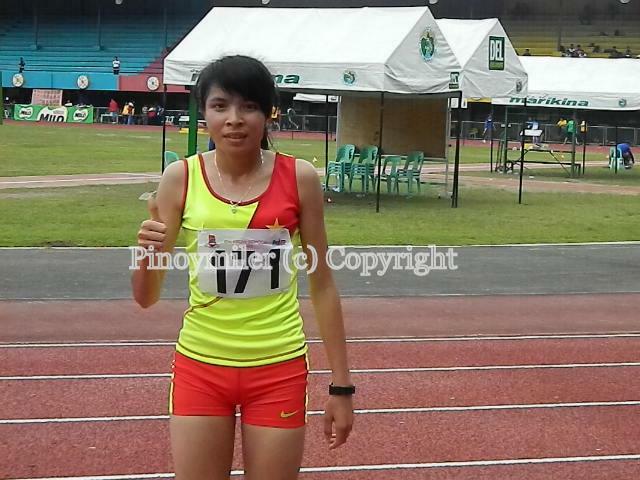 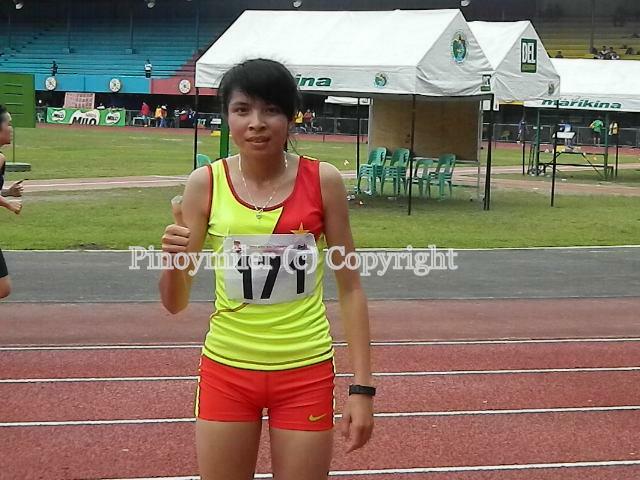 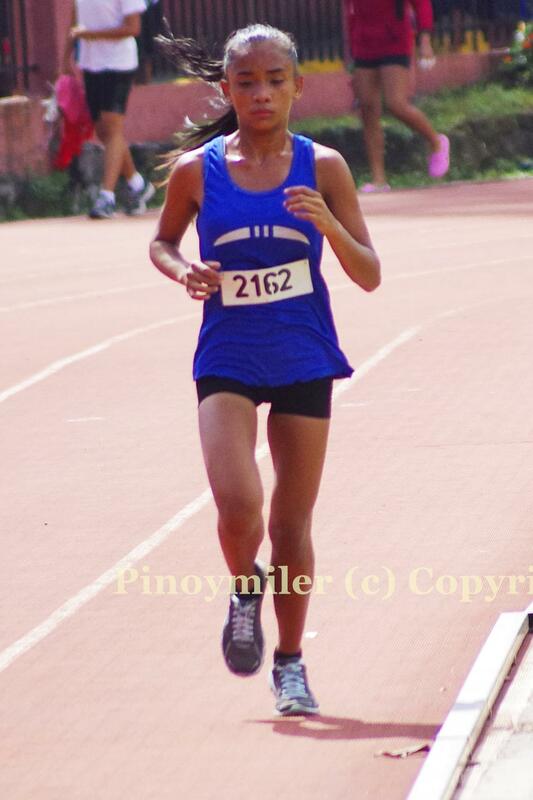 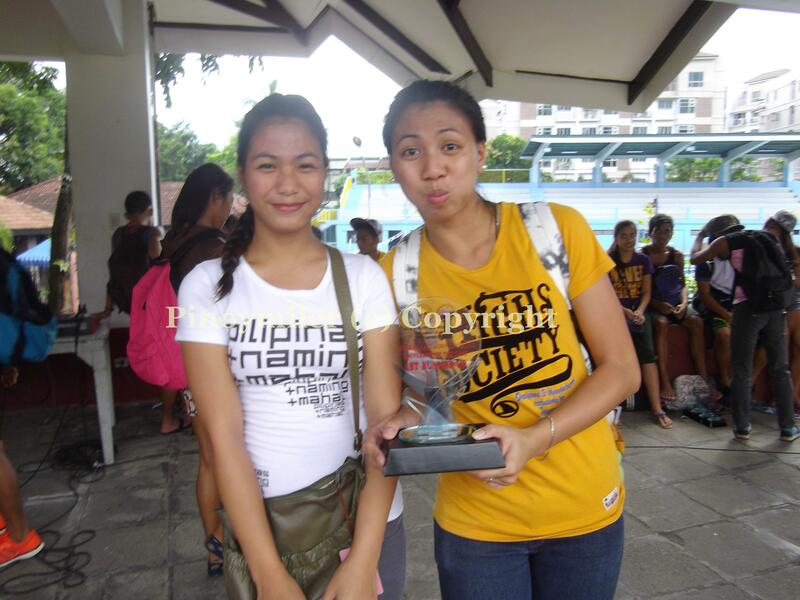 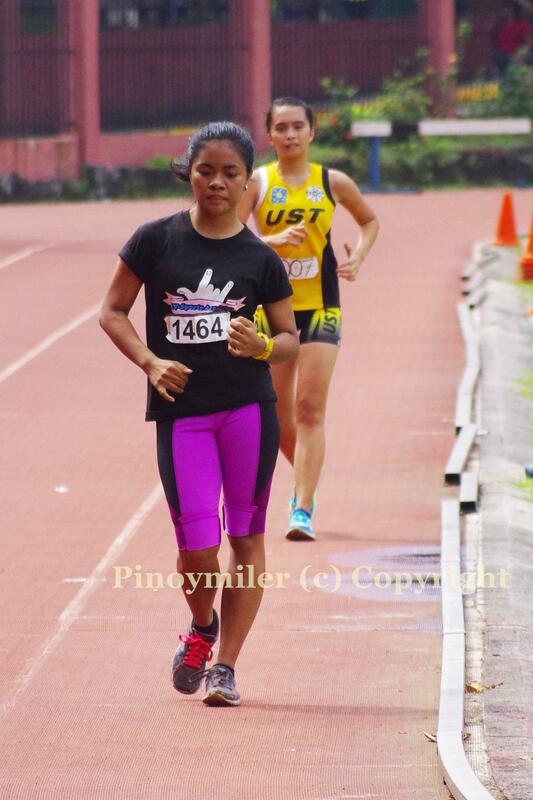 Followed by 10k national record holder Cristabel Martes with 4 titles. 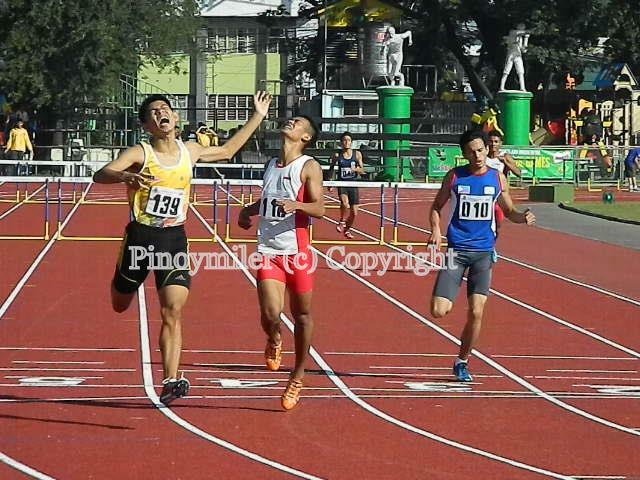 This saturday, Buenavista and Martes tries to put their names in history as they both attempt to equal Vence’s and Sagaray’s titles respectively. 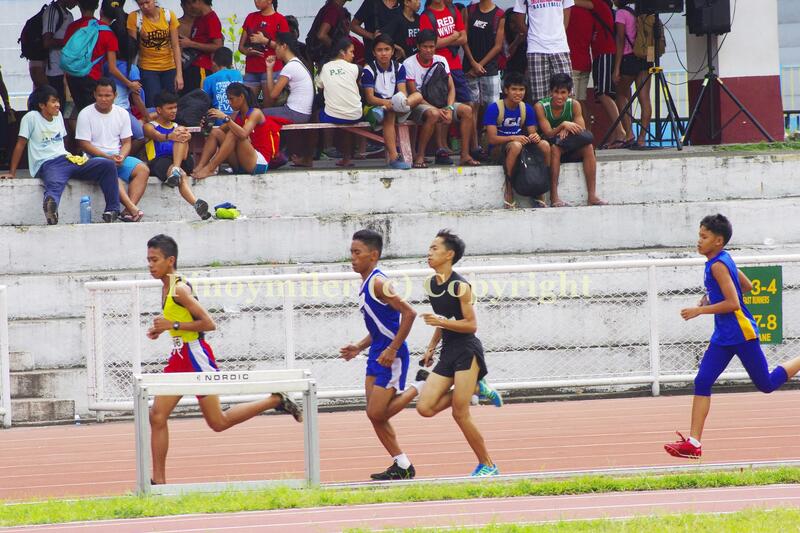 Photos taken on December 4, 2014. 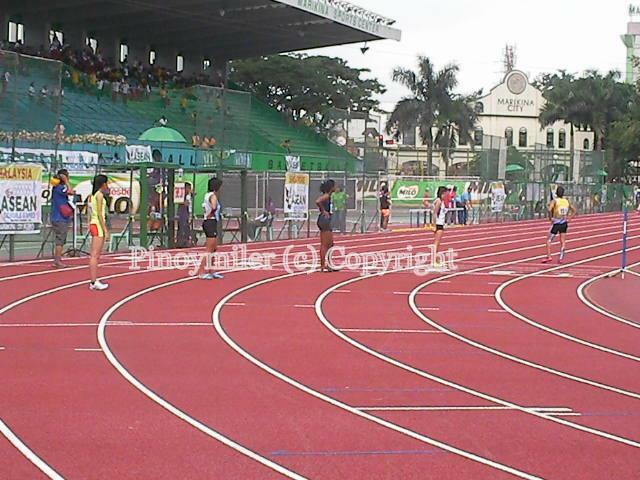 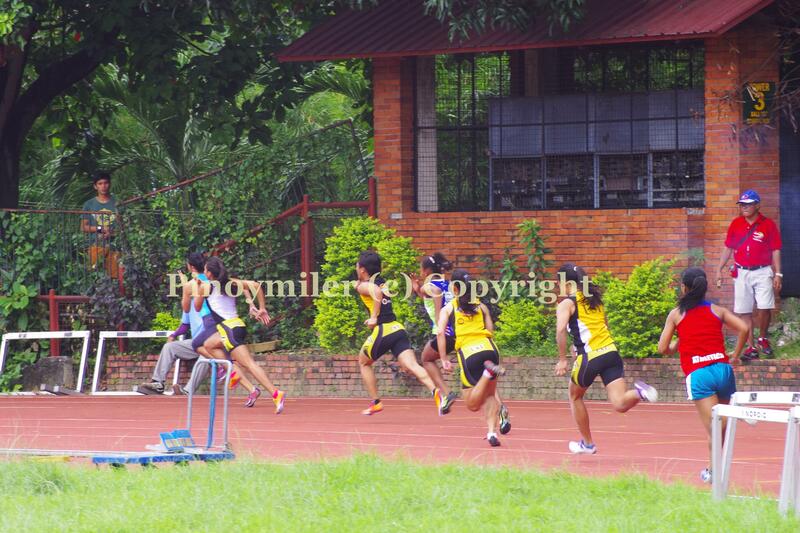 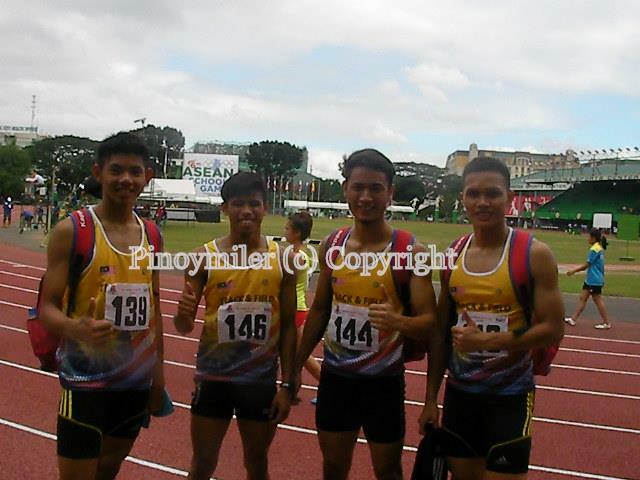 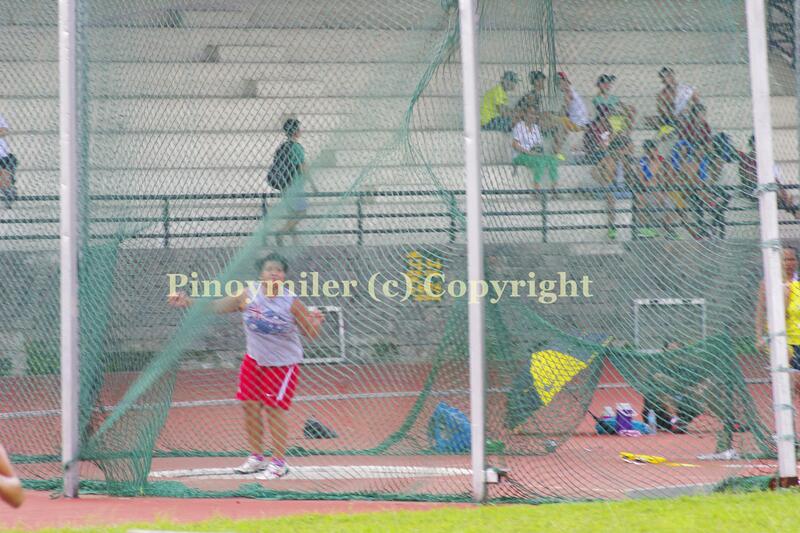 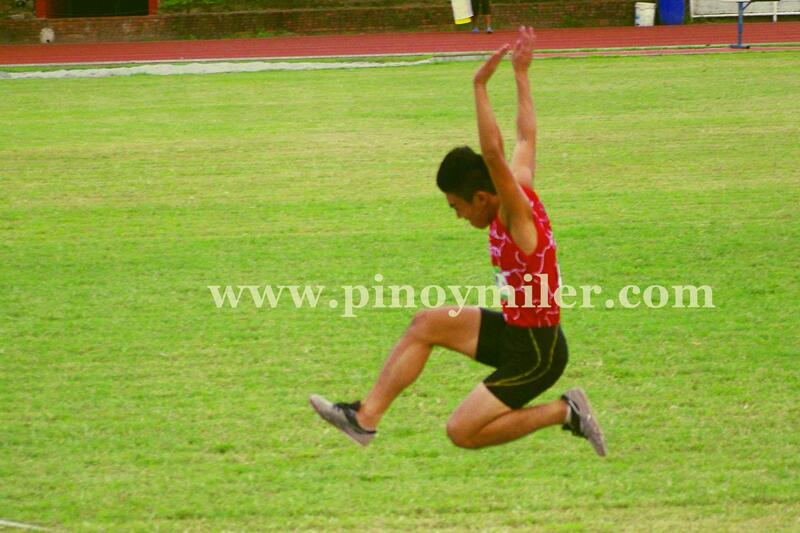 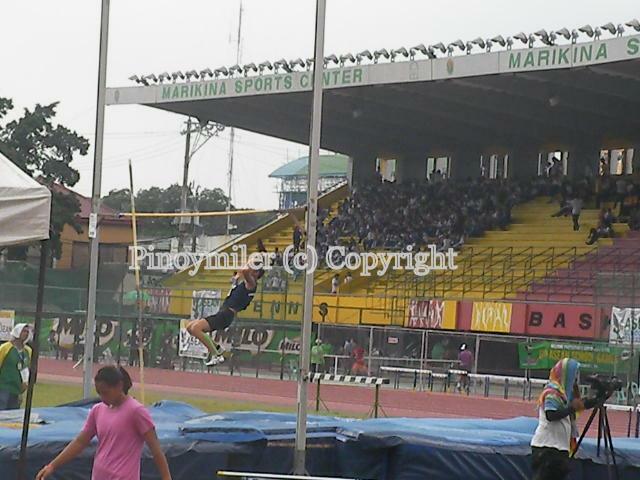 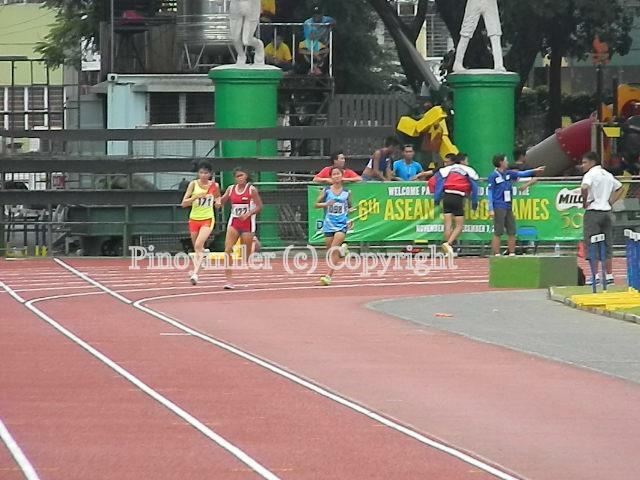 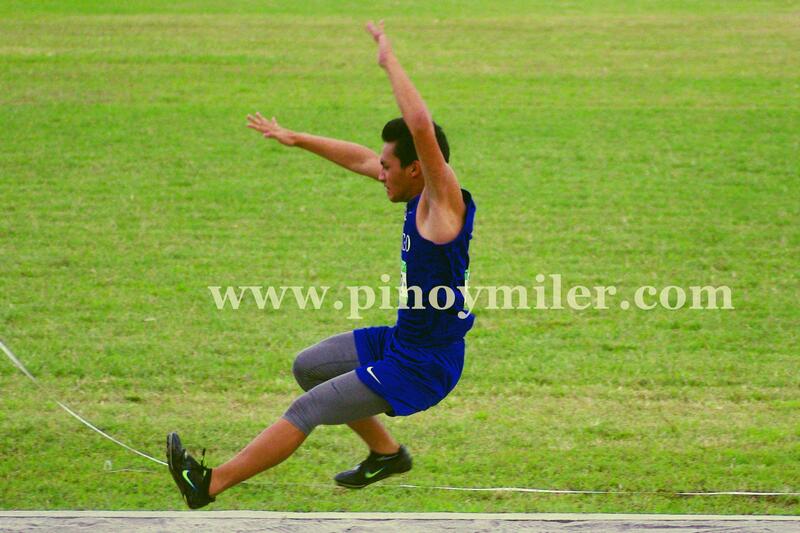 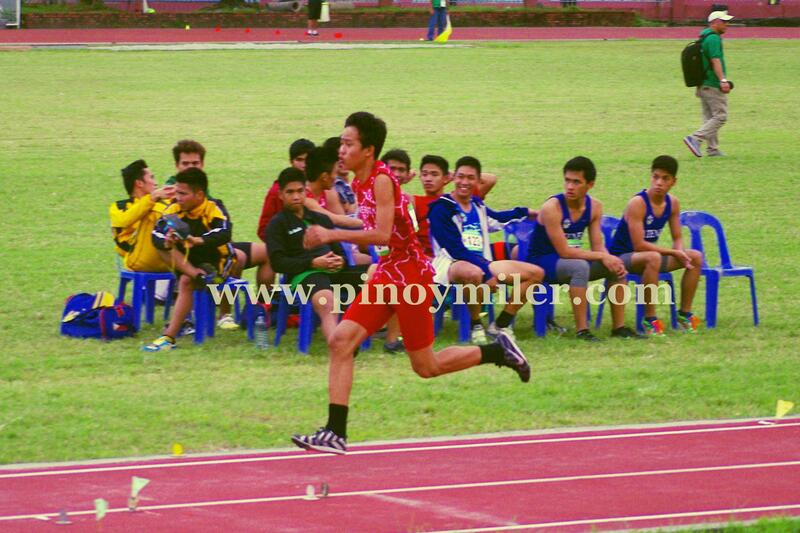 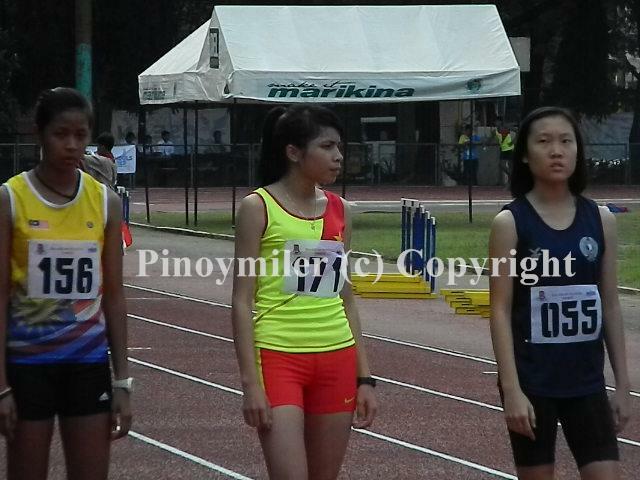 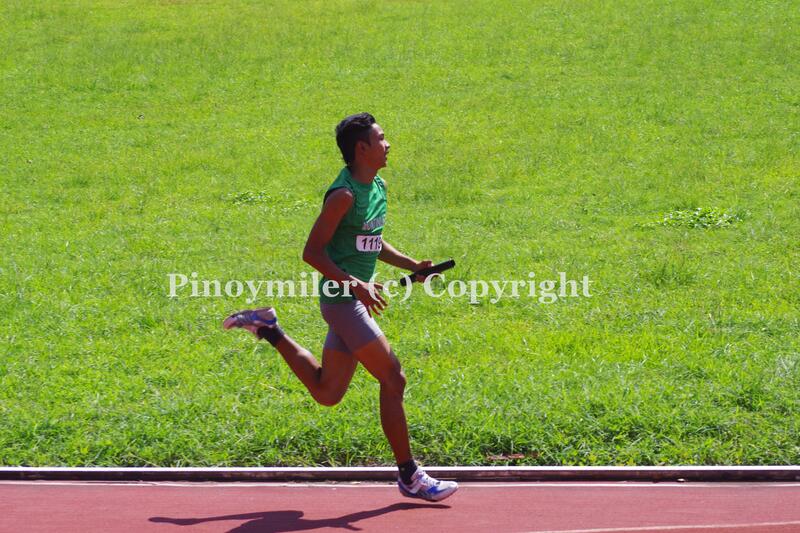 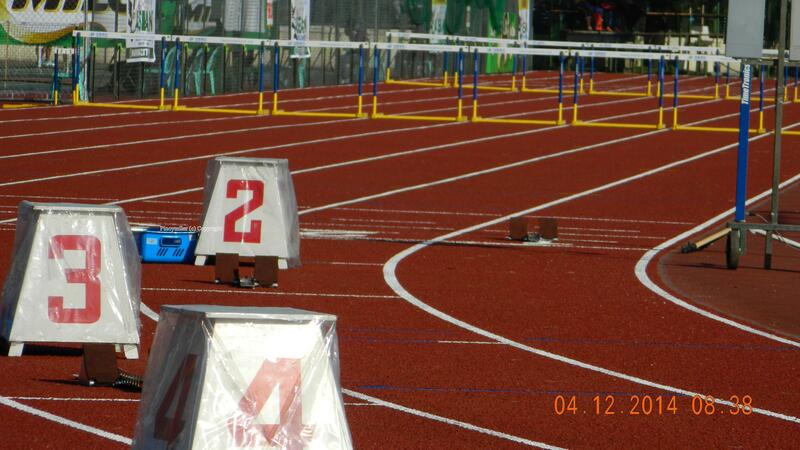 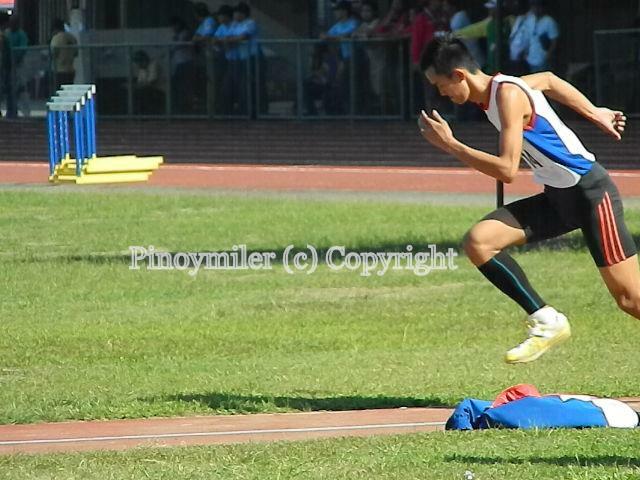 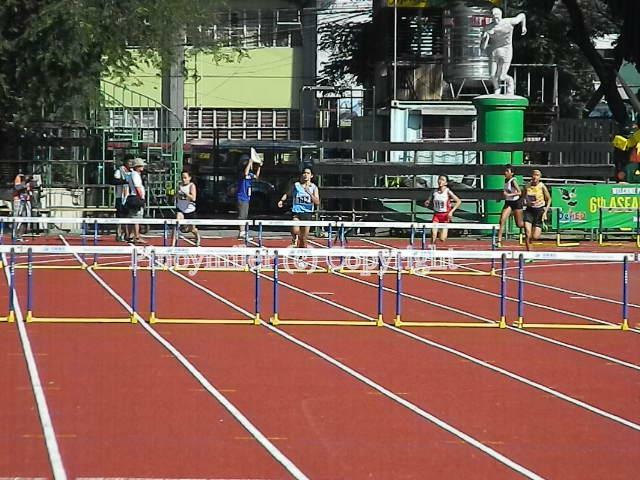 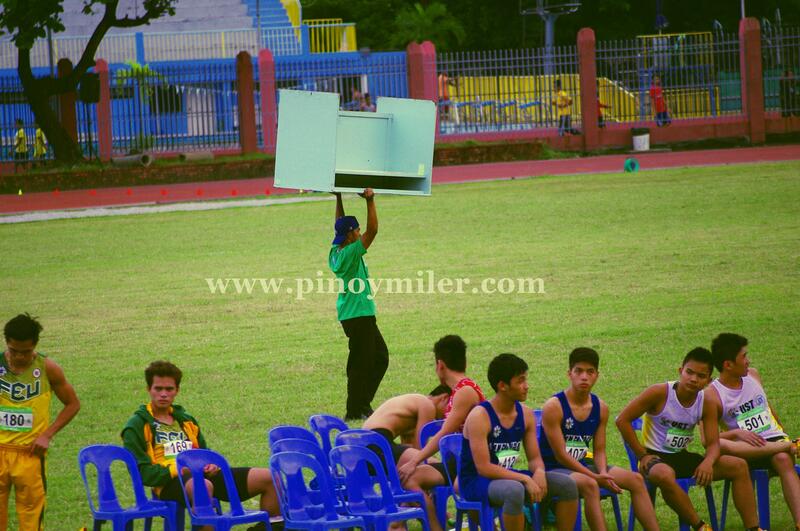 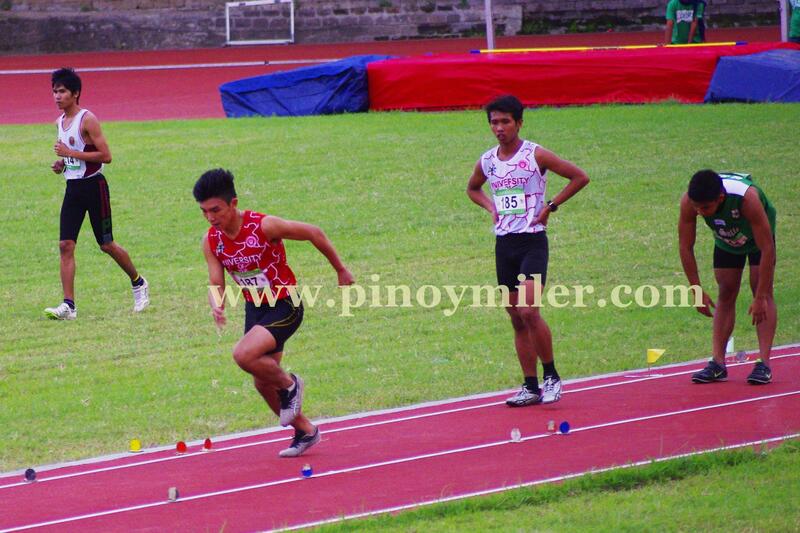 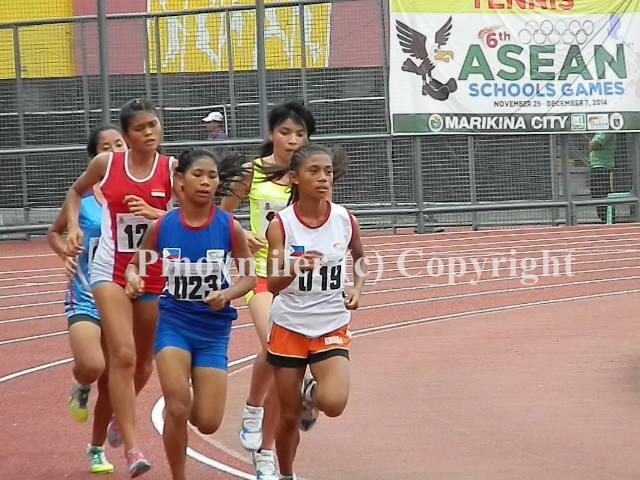 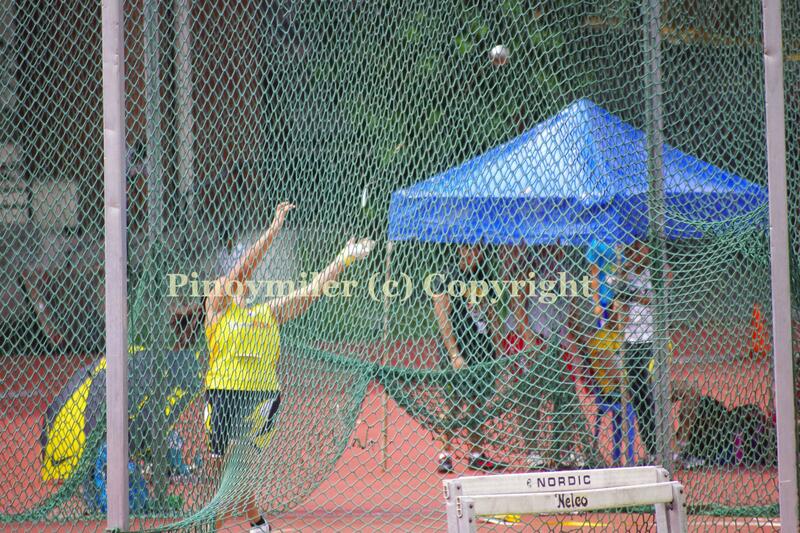 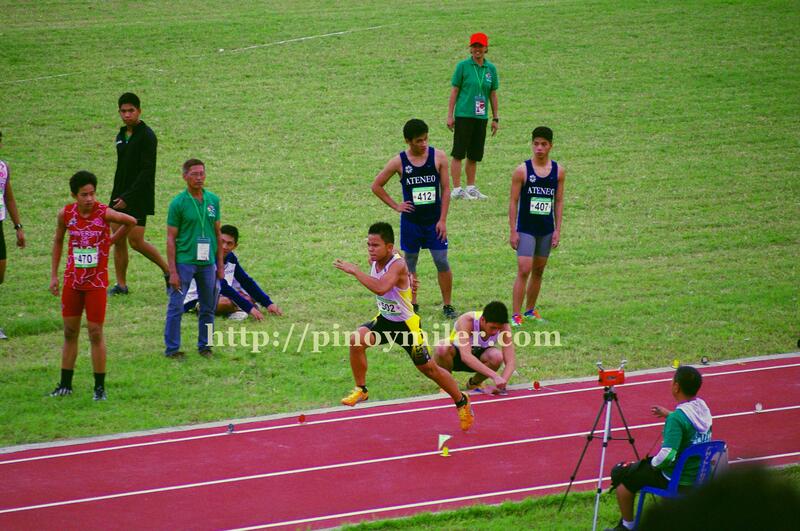 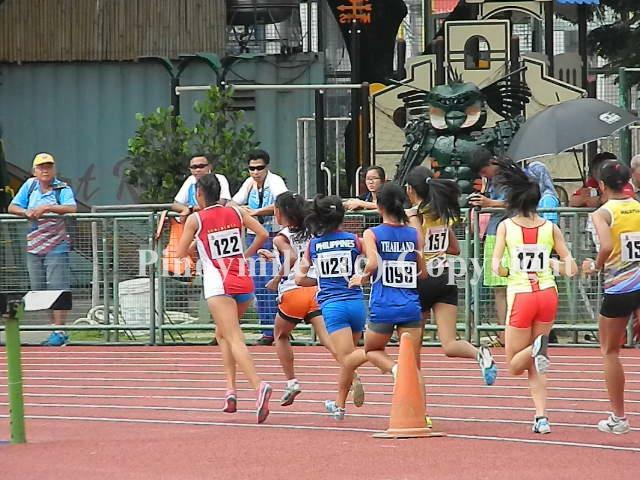 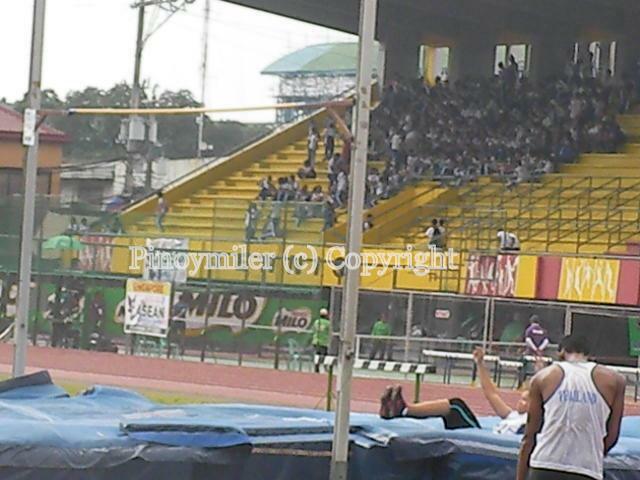 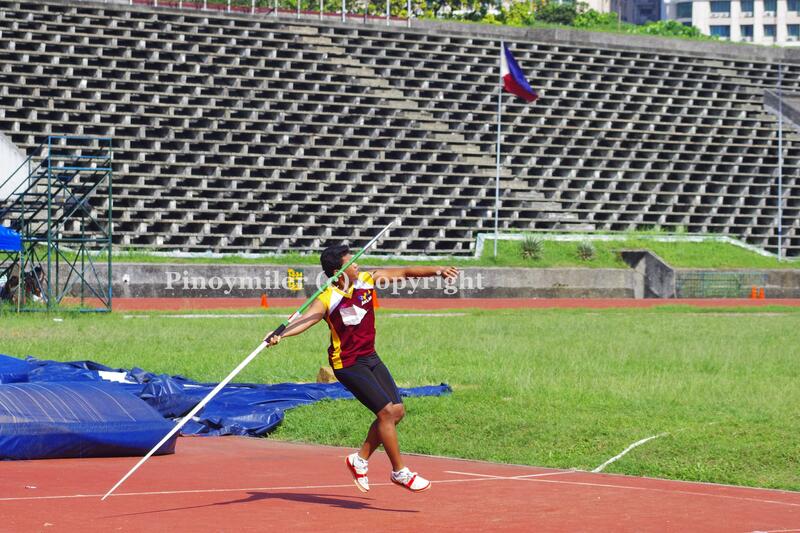 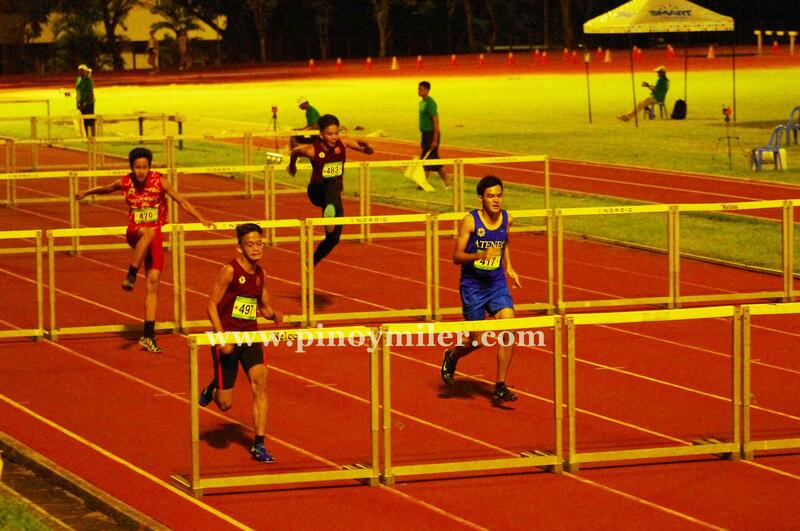 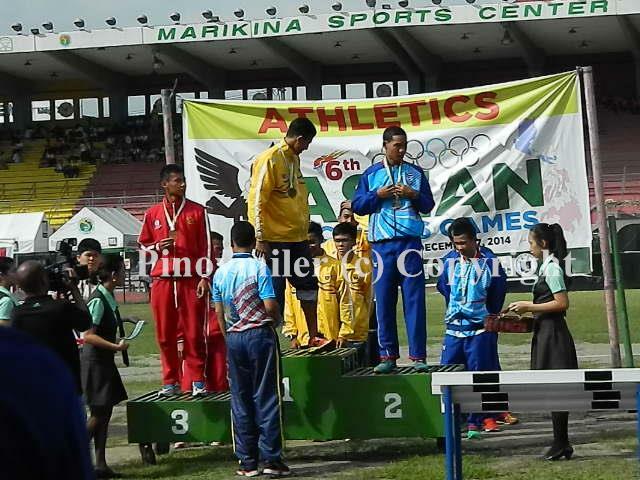 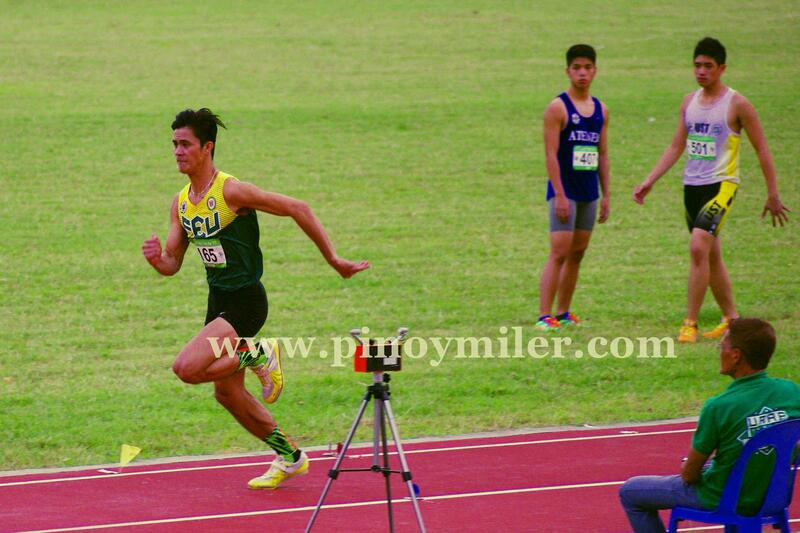 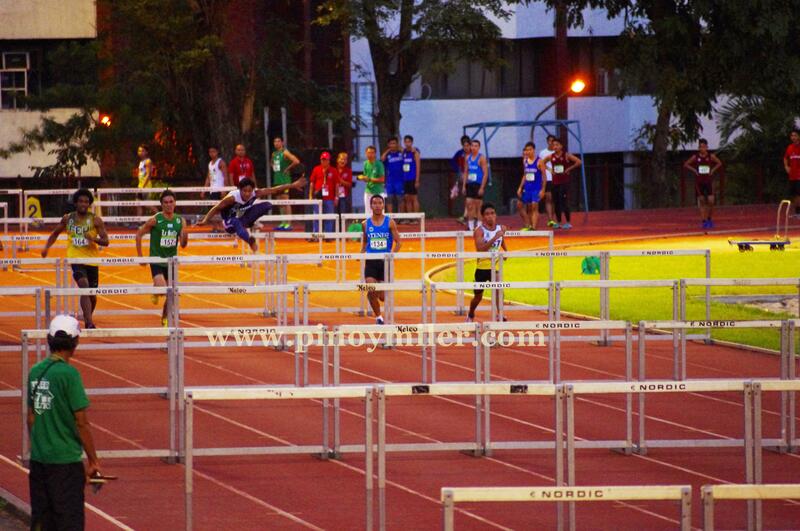 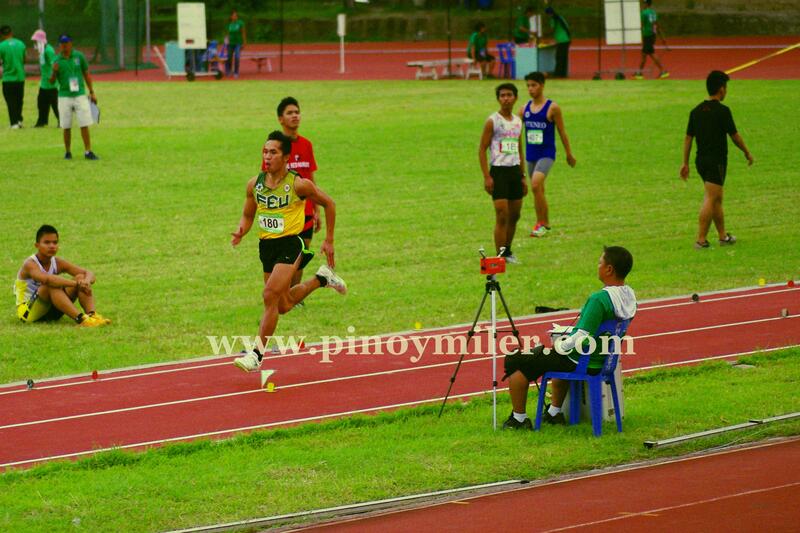 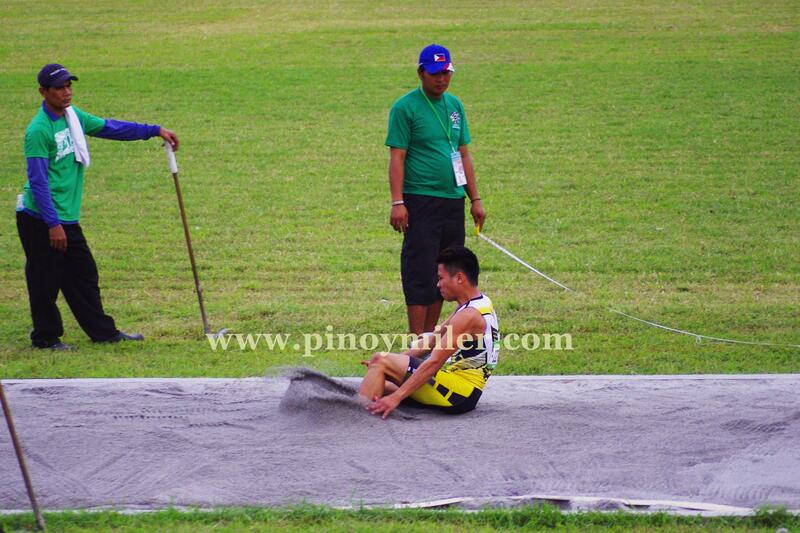 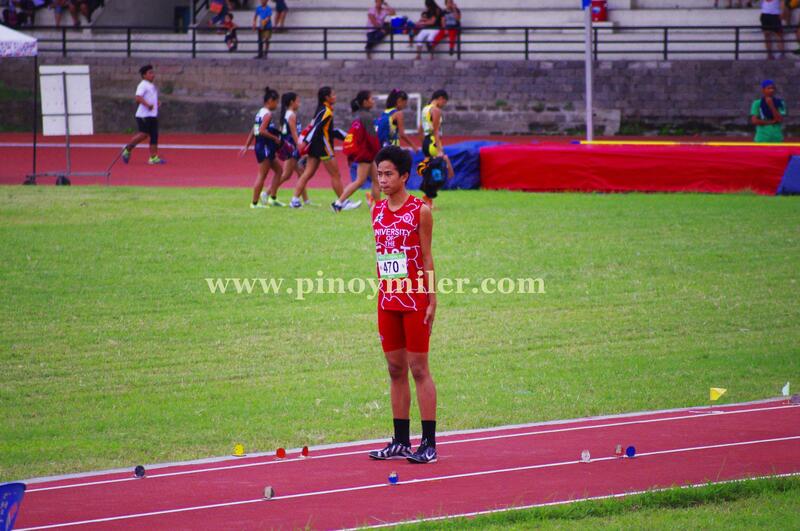 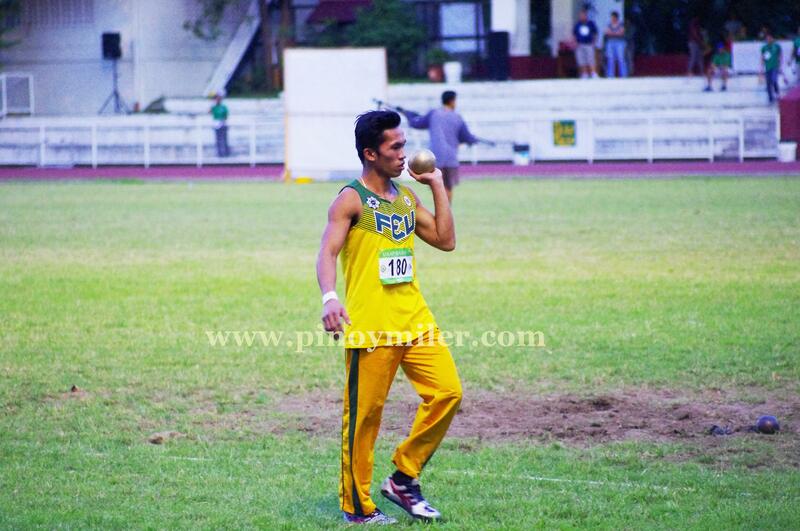 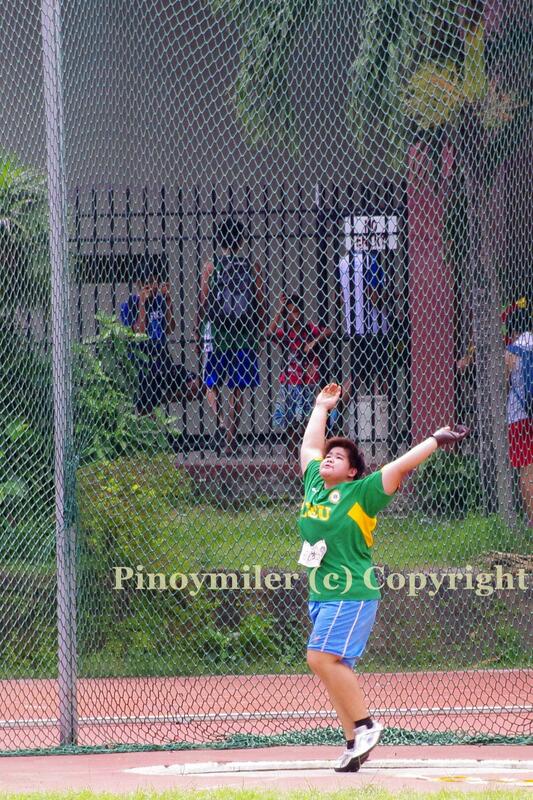 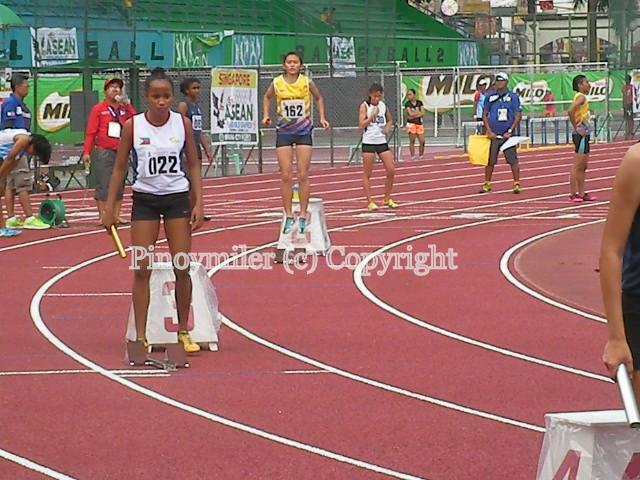 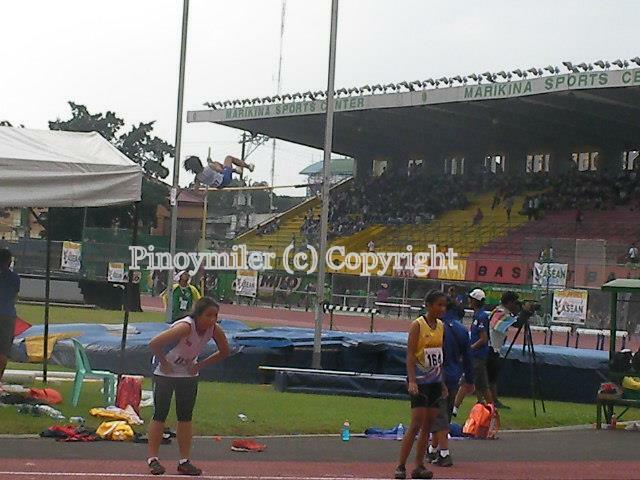 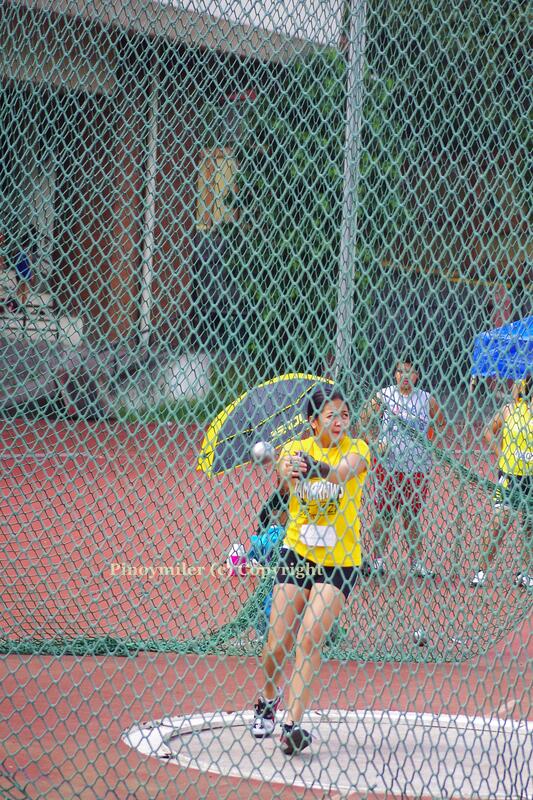 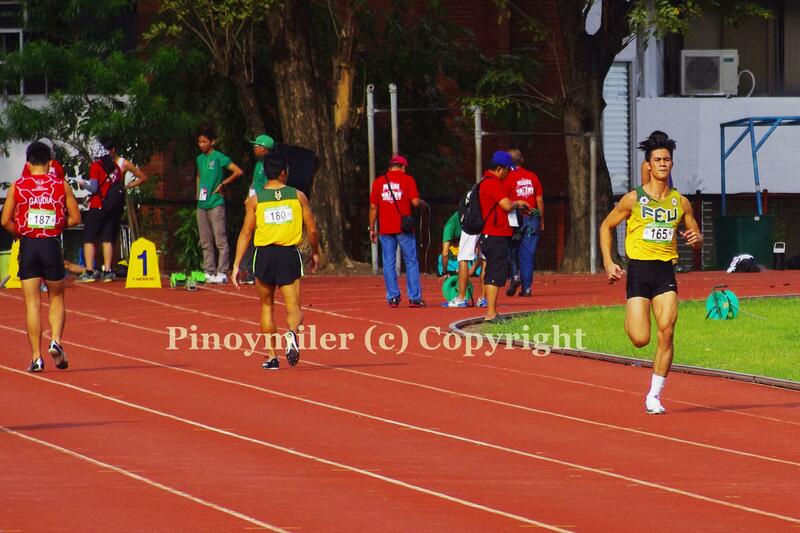 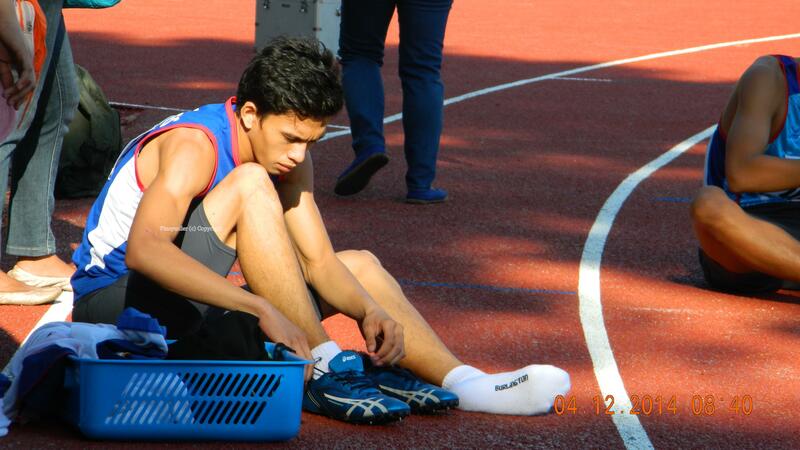 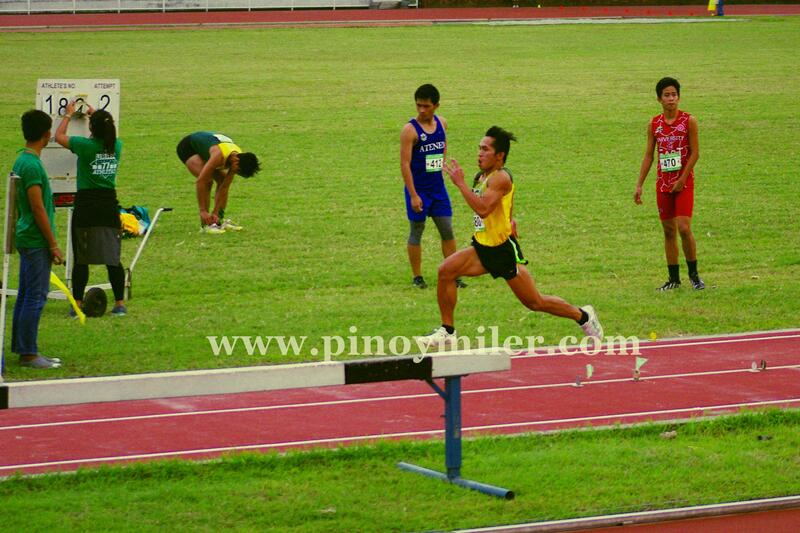 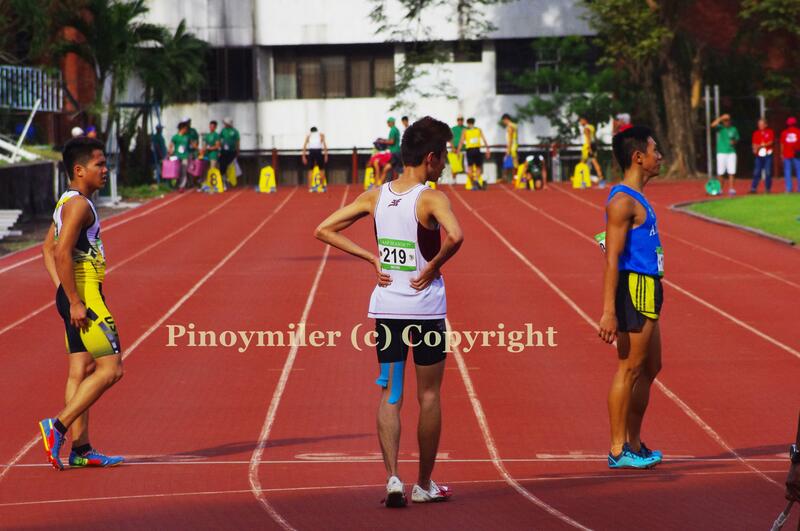 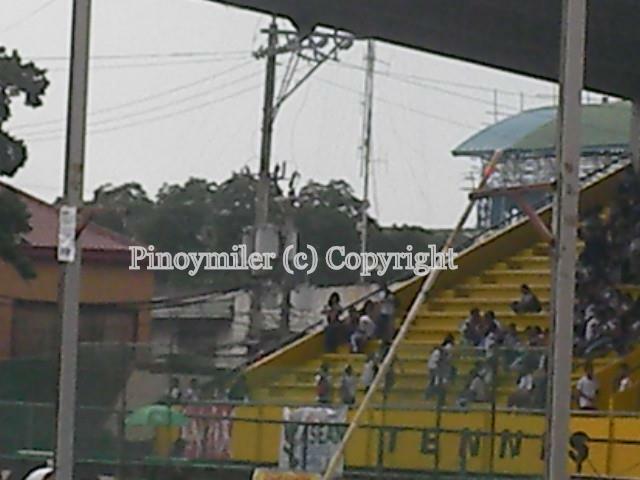 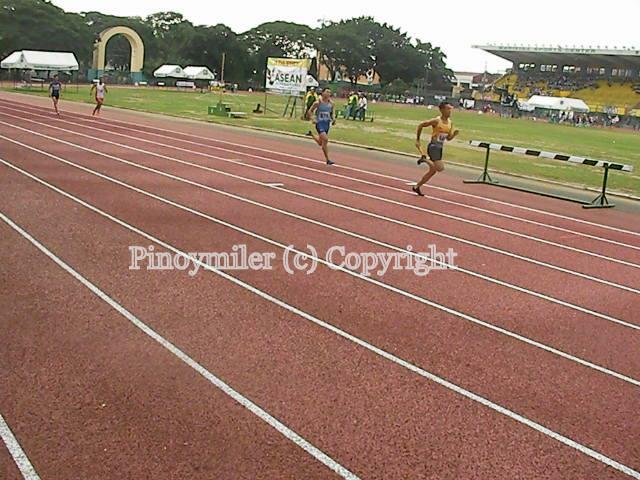 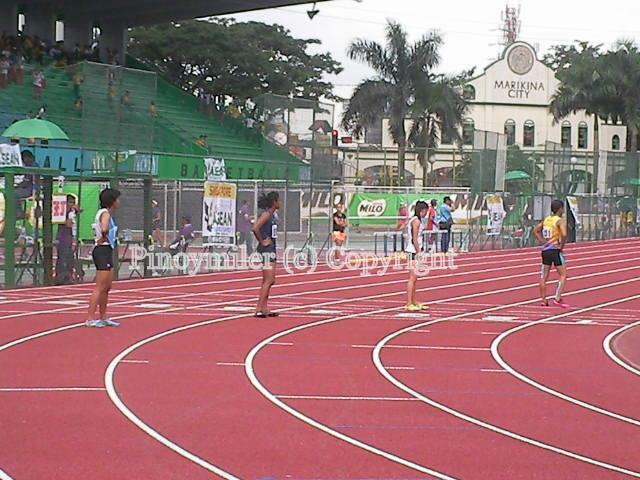 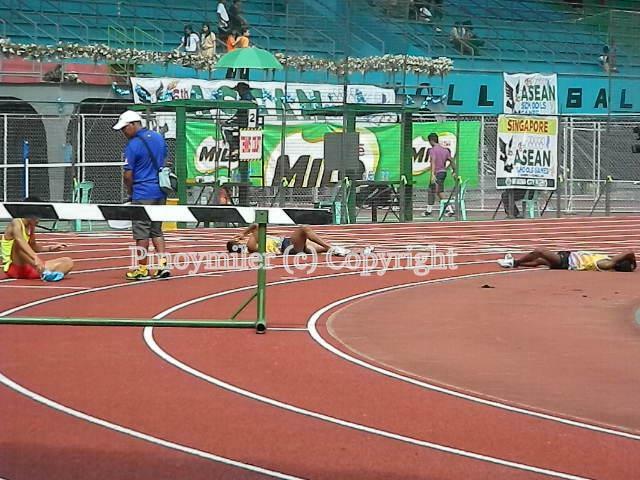 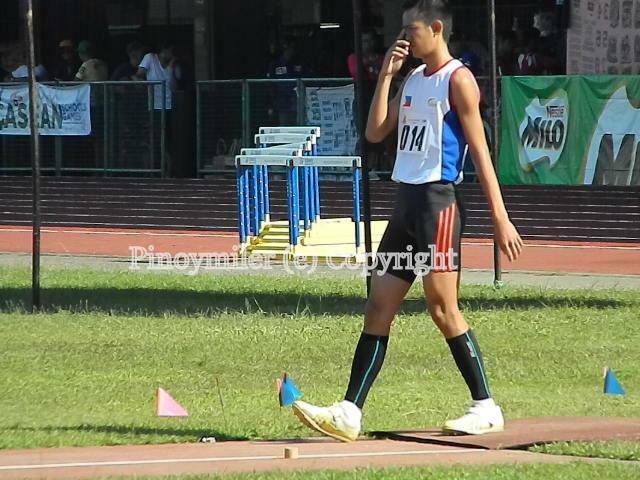 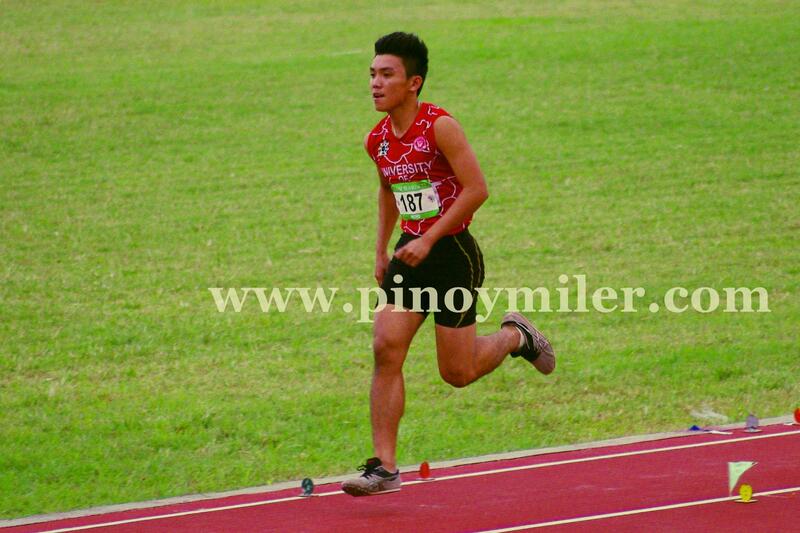 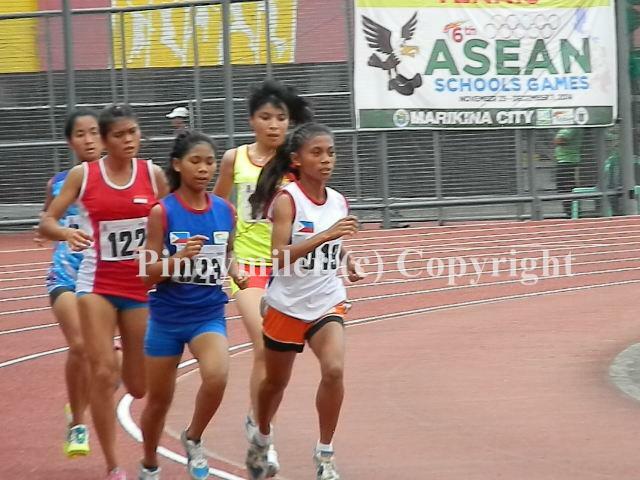 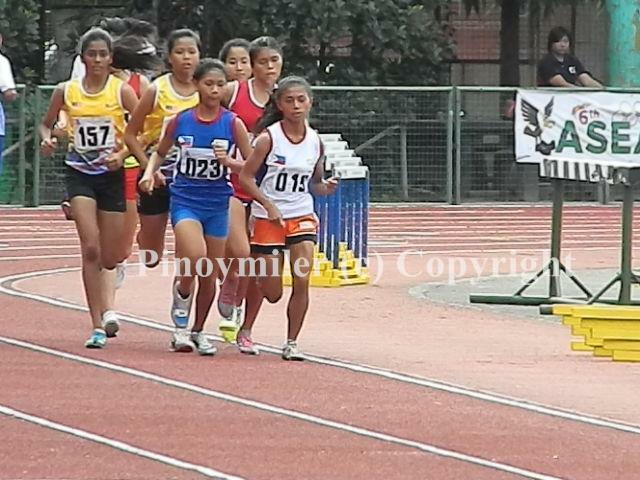 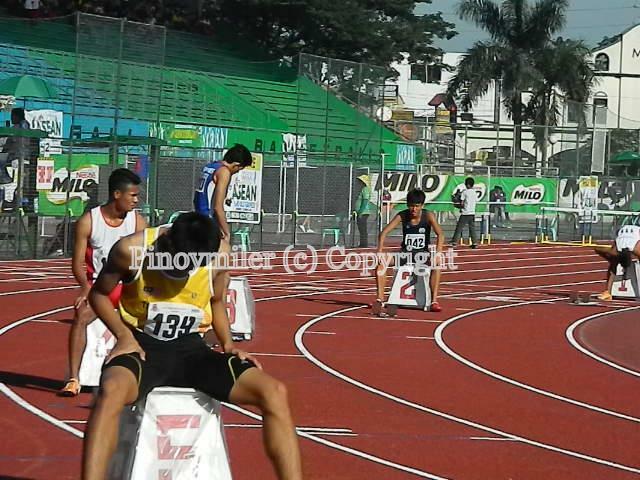 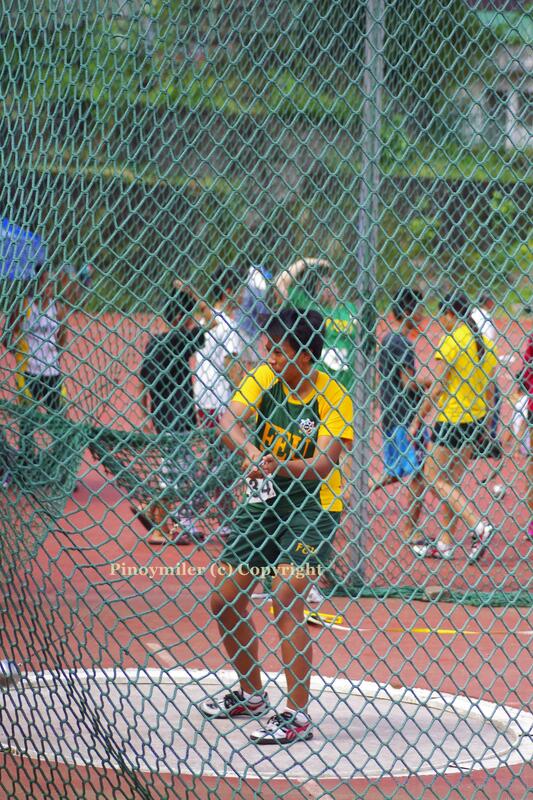 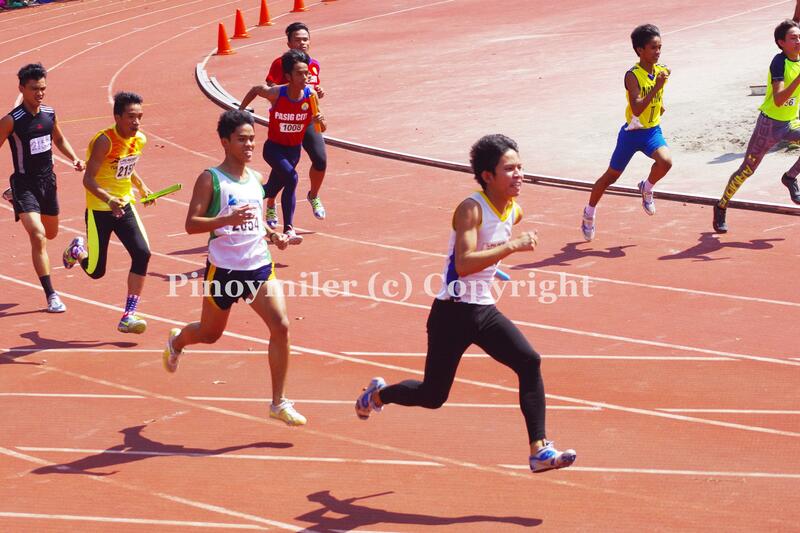 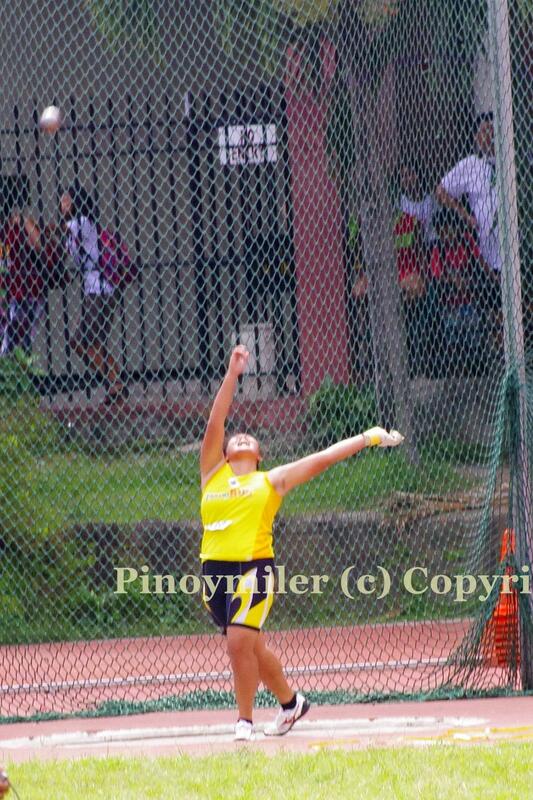 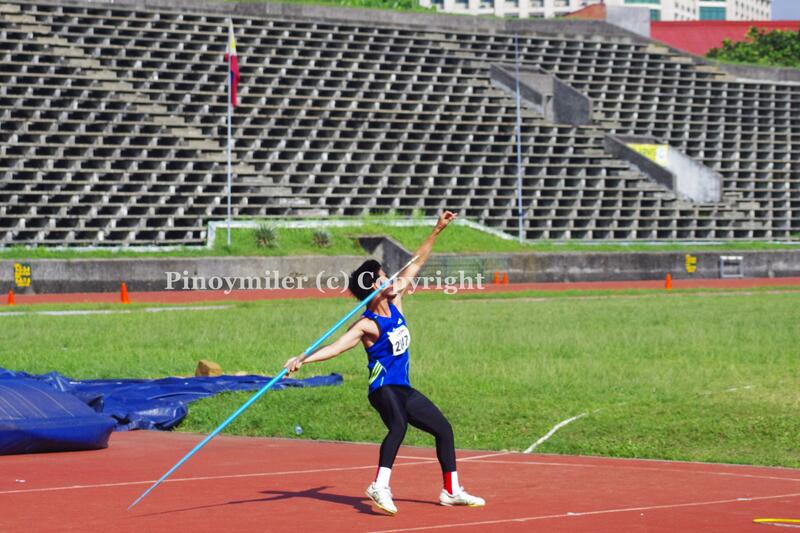 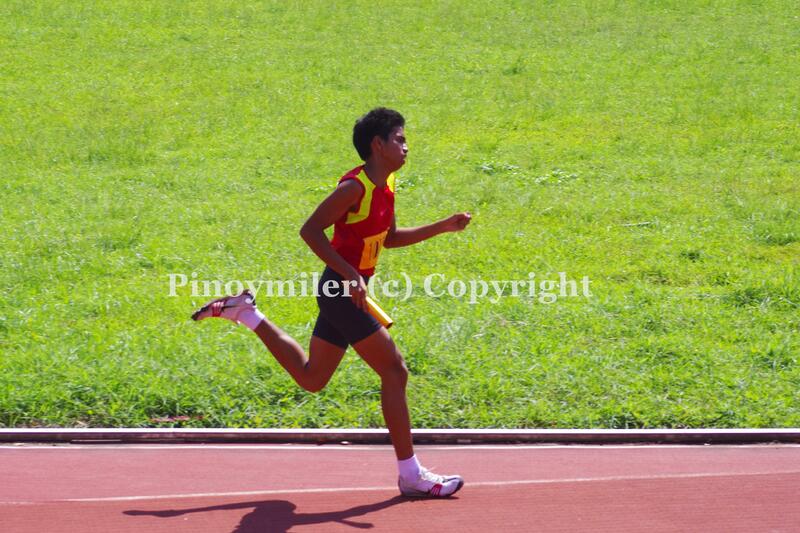 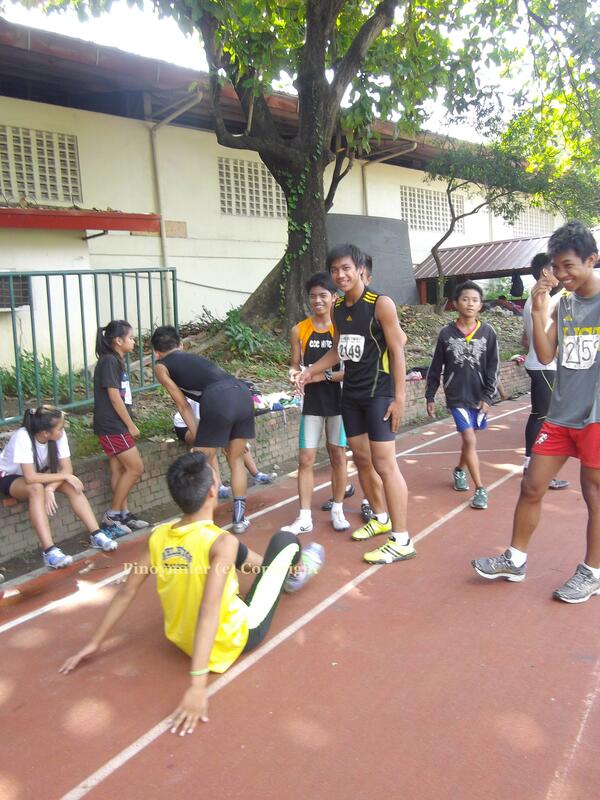 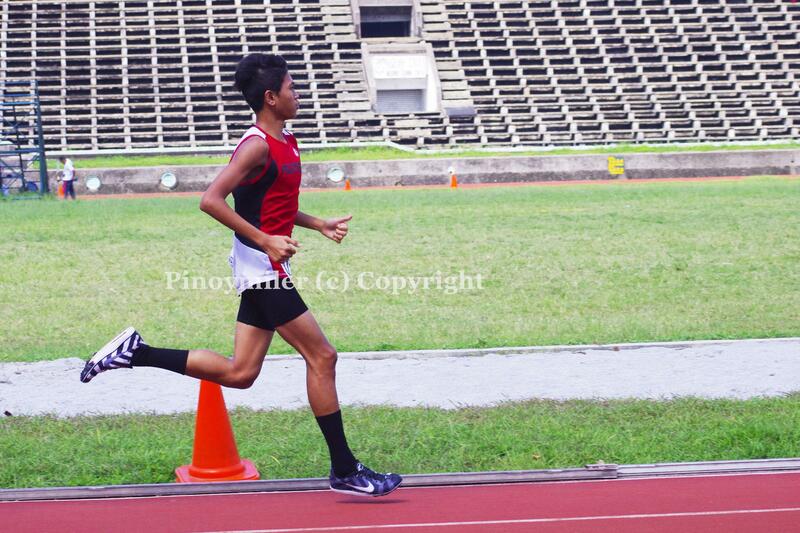 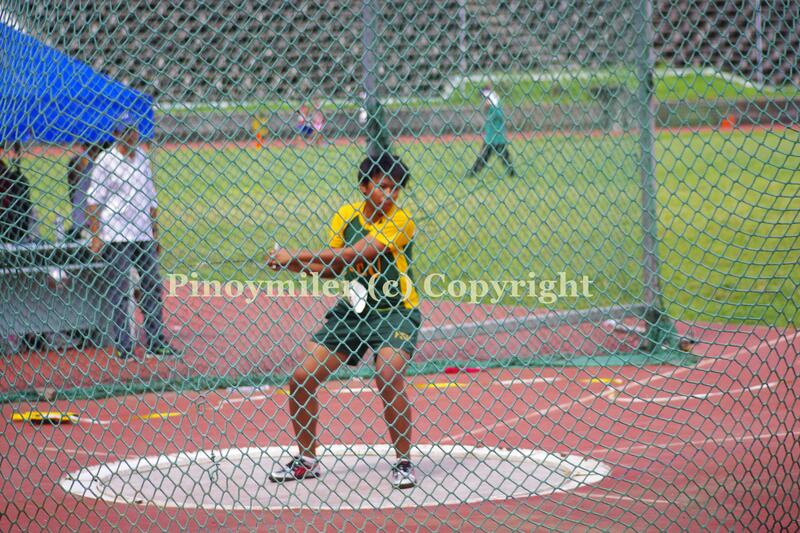 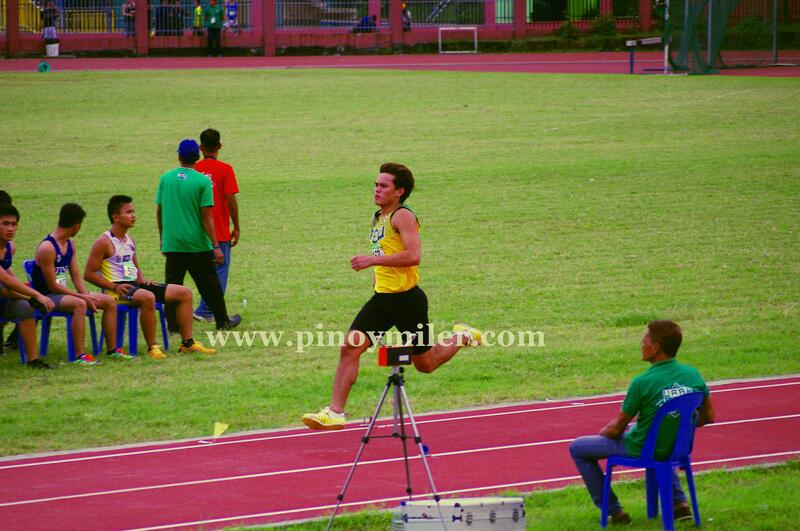 Day 4 of Athletics competitions, Marikina Sports Stadium, Philippines. 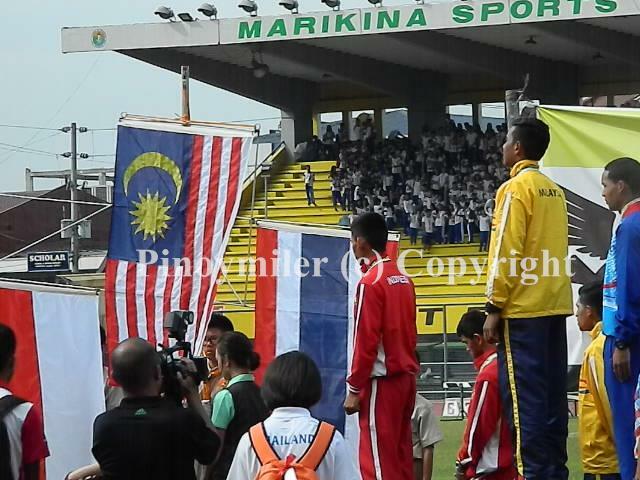 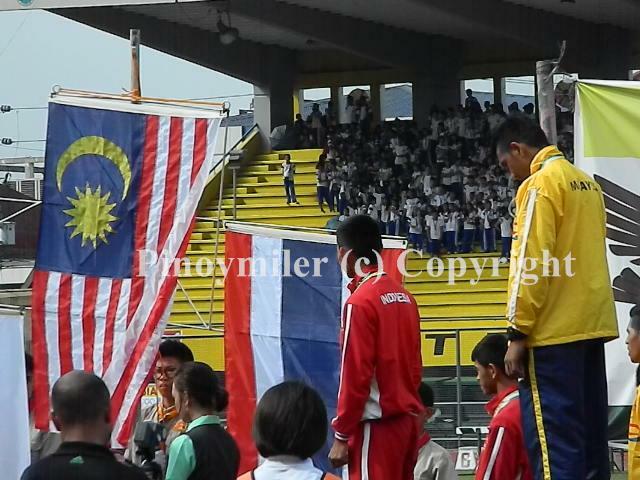 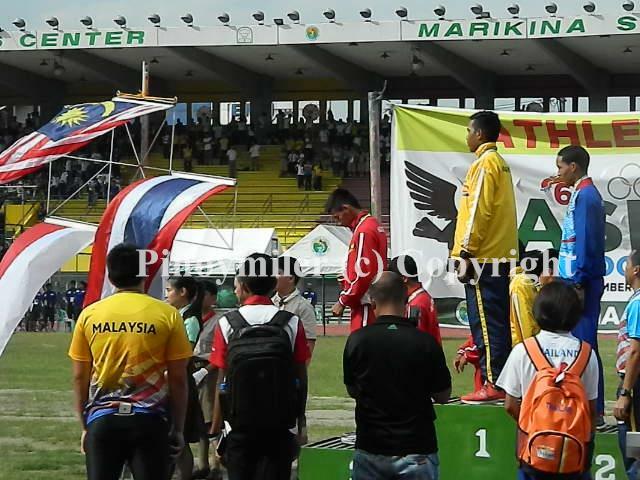 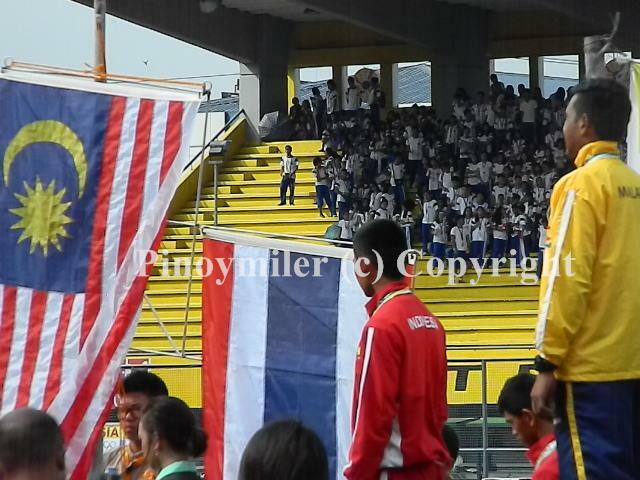 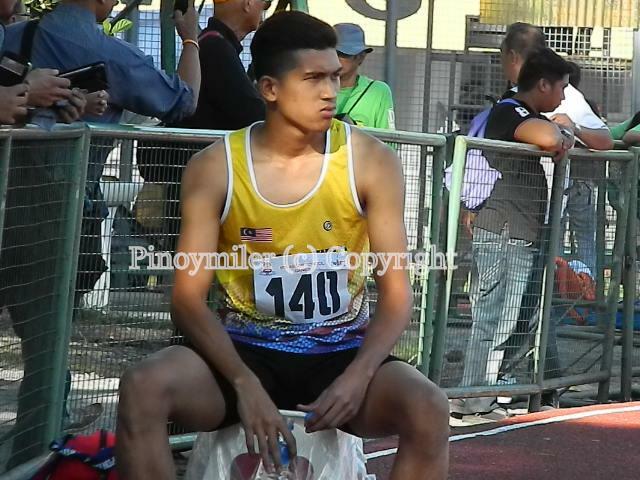 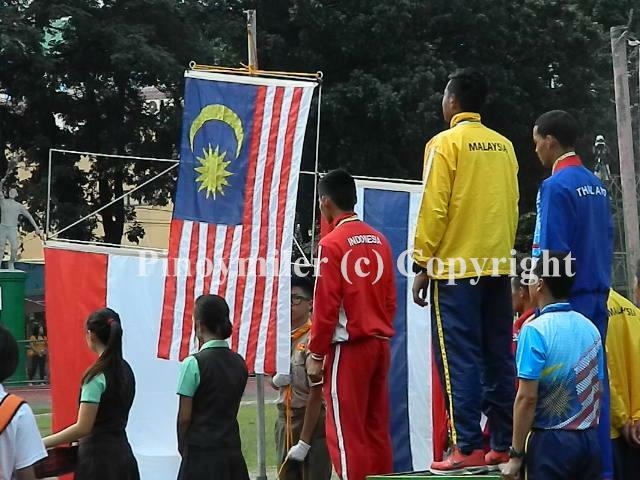 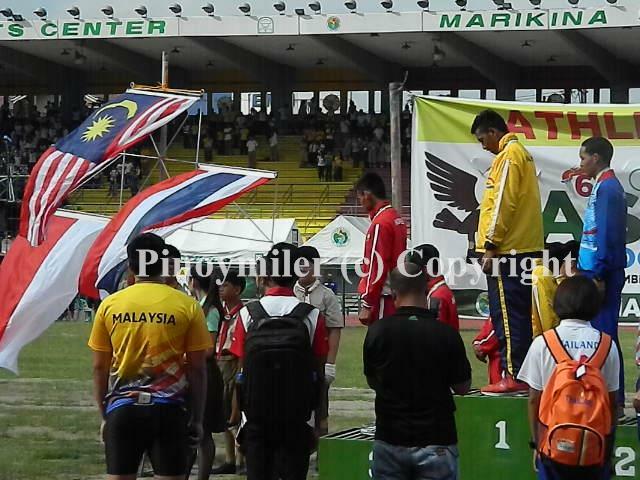 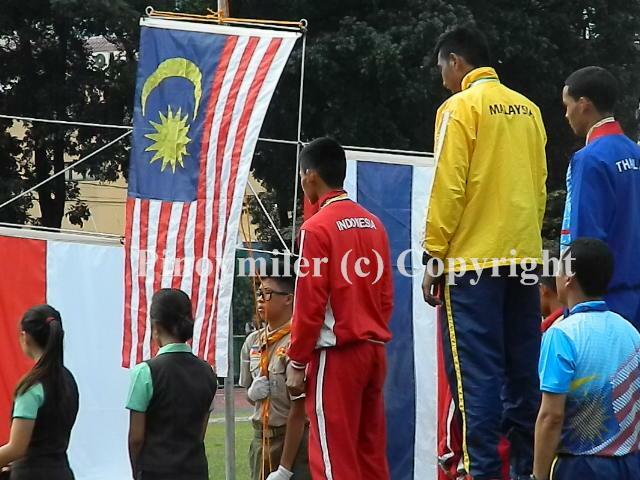 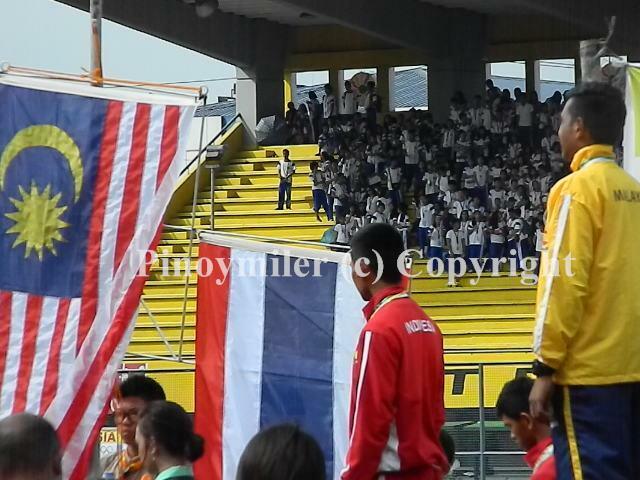 Malaysia dominated the athletics competitions of the 6th ASEAN Schools Games by tallying 15-9-6 gold-silver-bronze deal haul in the 4 day track meet. Thailand came in second with a 7-8-10. 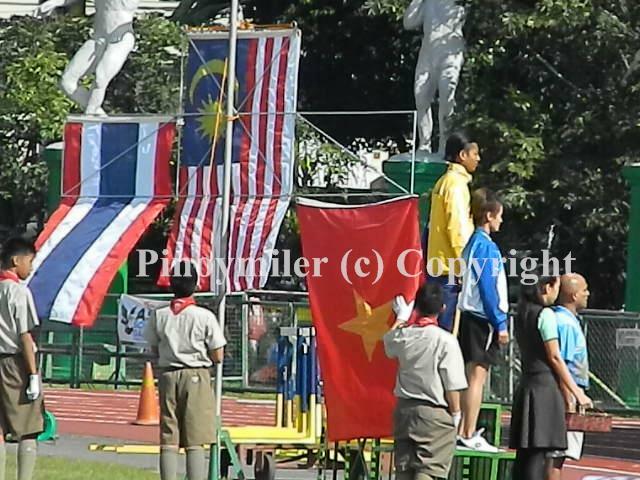 Vietnam came in third with a 7-3-1 tally. 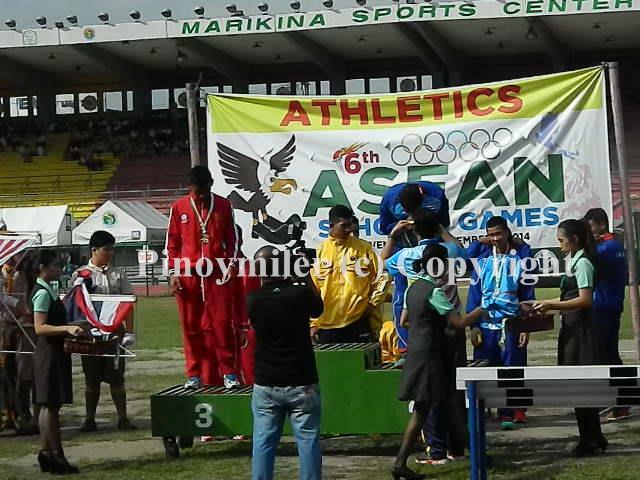 Host Philippines placed 4th with a 2-9-10 medal tally in its best ever performance in the annual games.